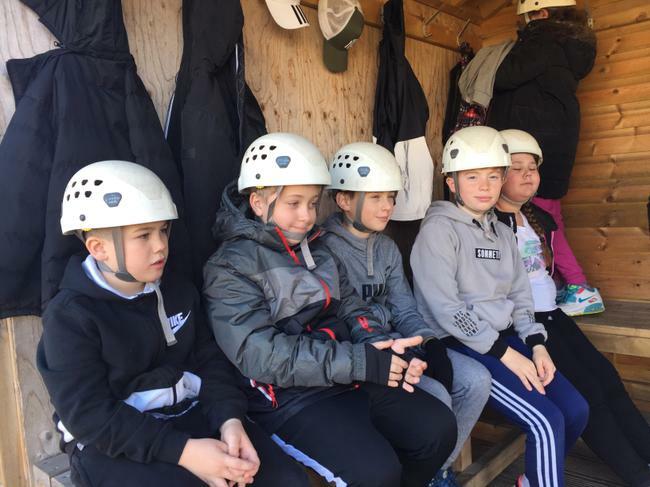 After another night of plentiful sleep, pupils awoke to omelettes for breakfast with a choice of bacon or sausage to fuel them for the day. 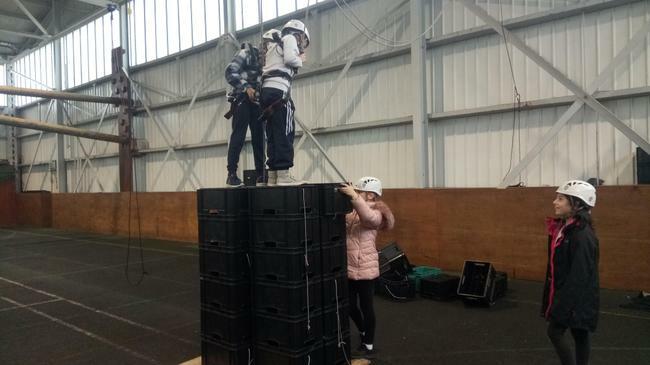 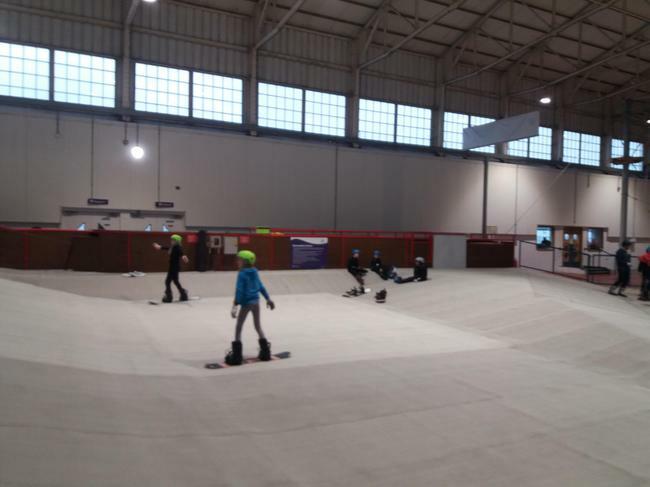 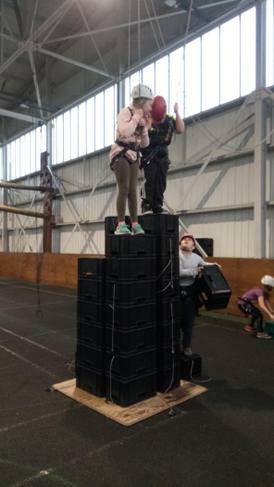 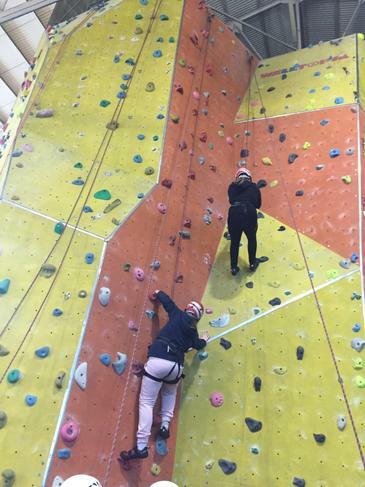 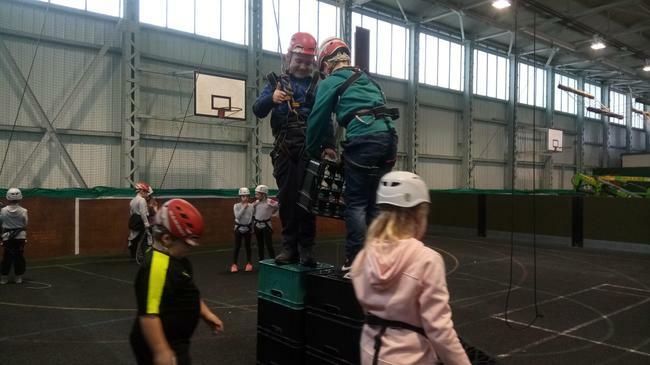 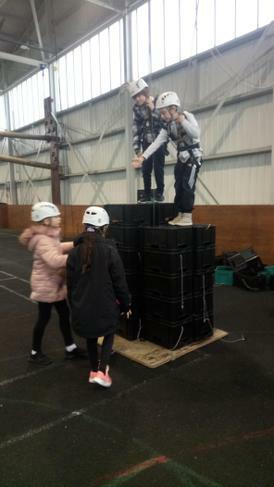 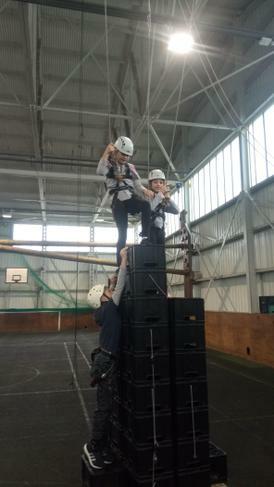 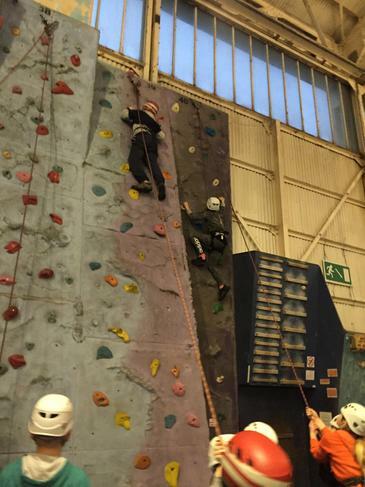 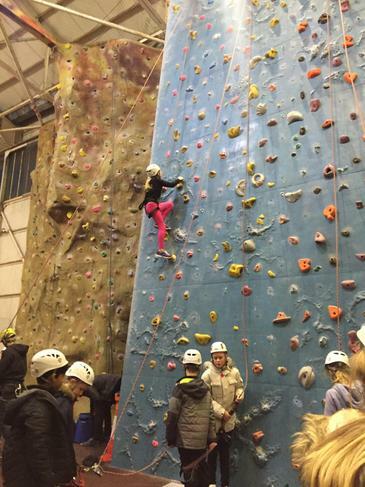 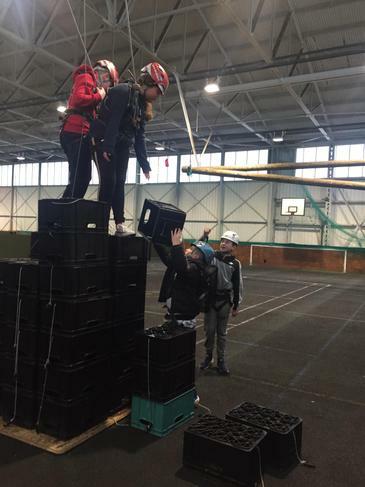 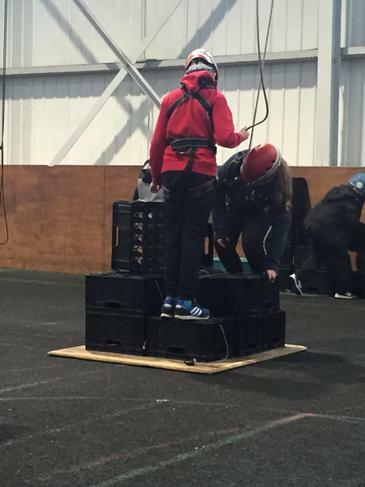 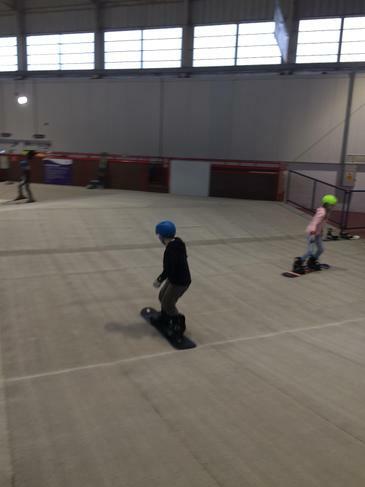 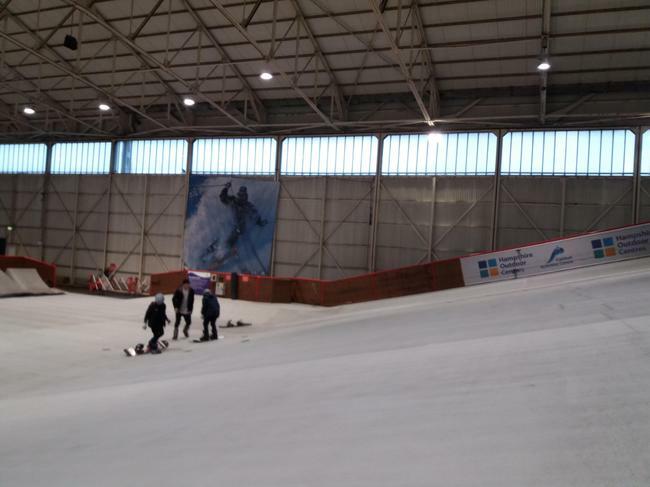 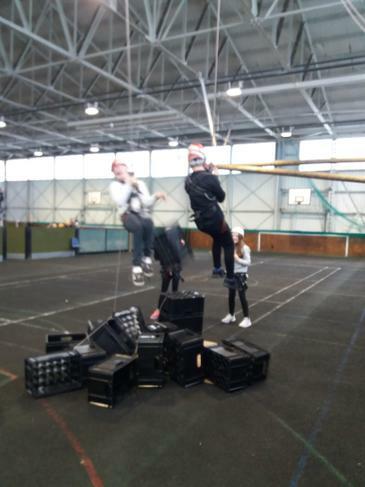 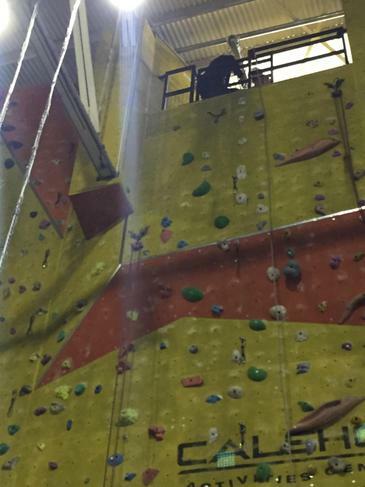 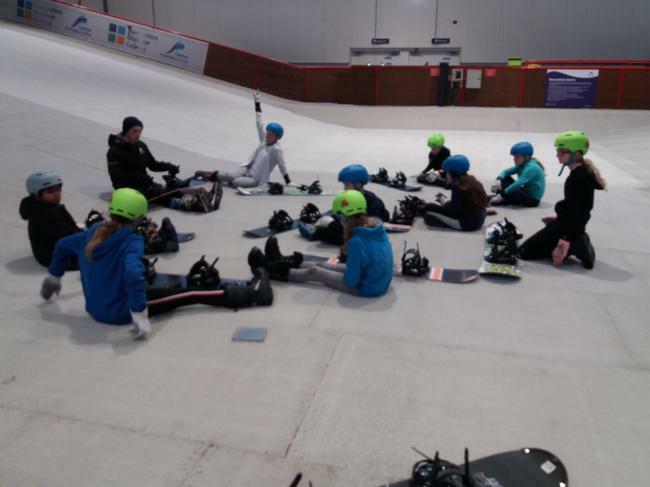 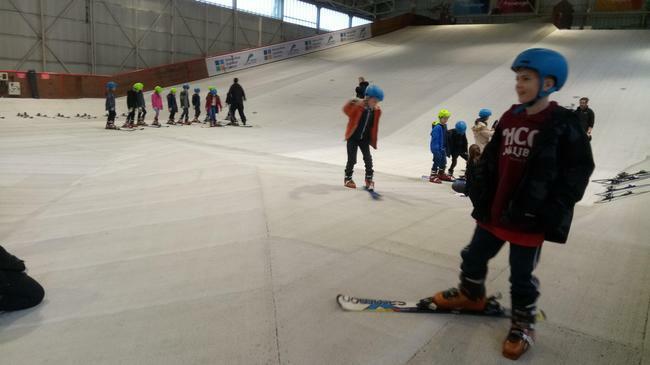 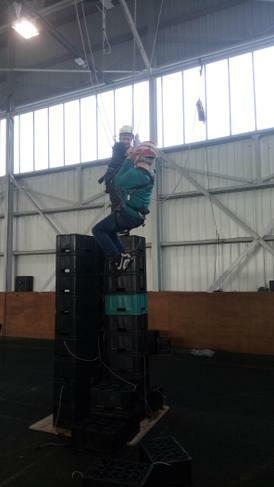 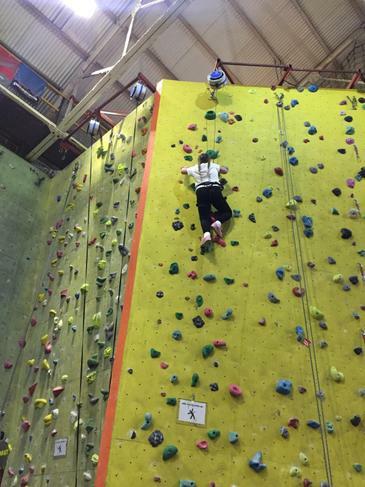 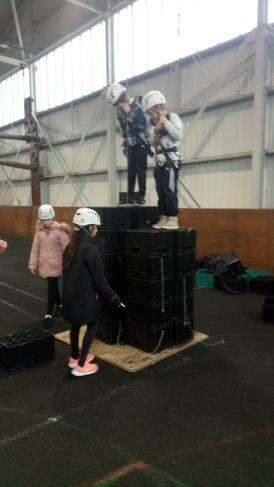 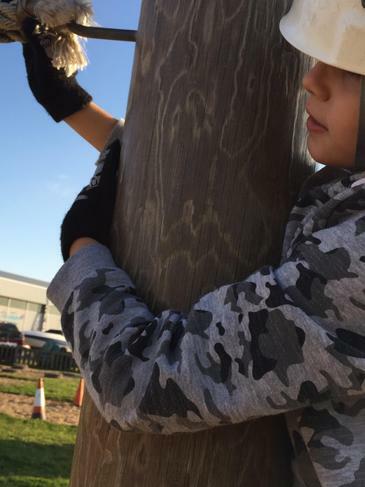 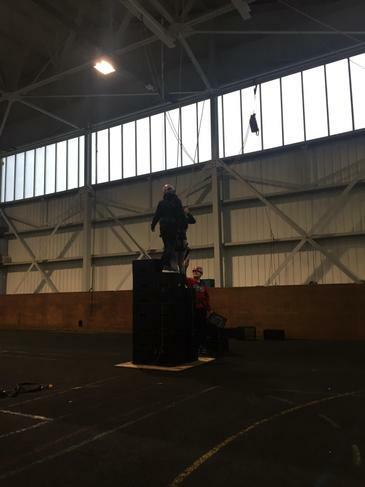 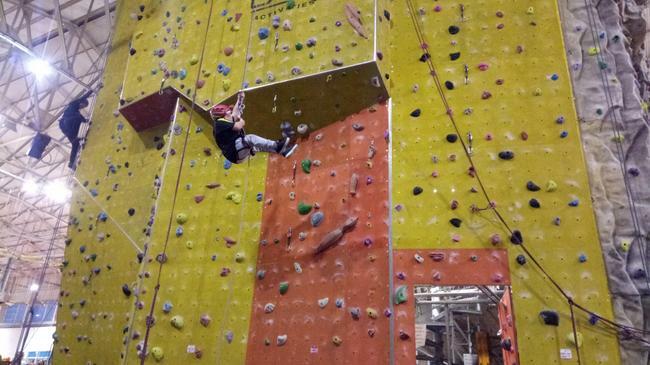 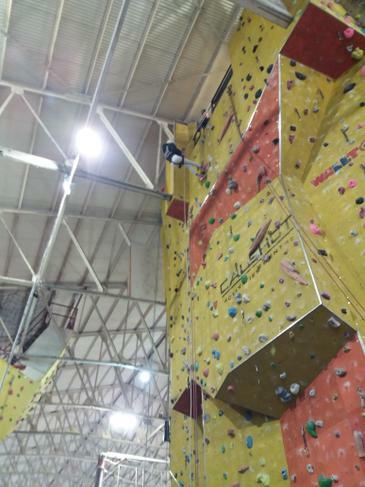 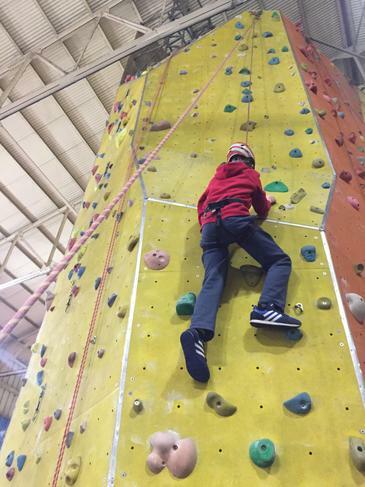 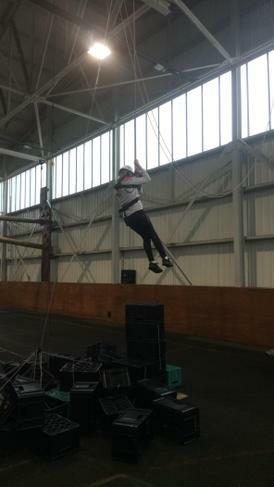 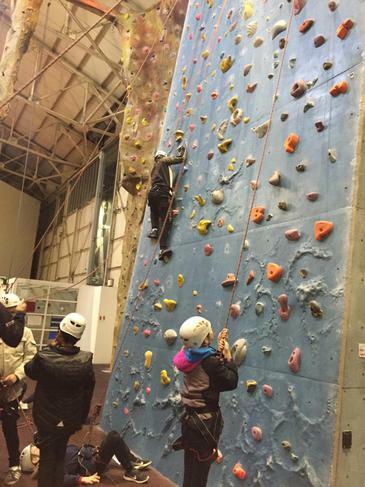 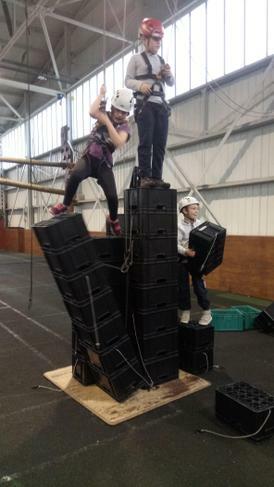 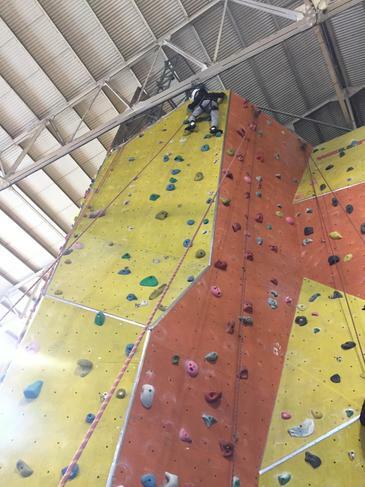 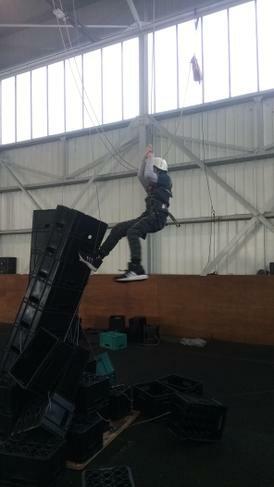 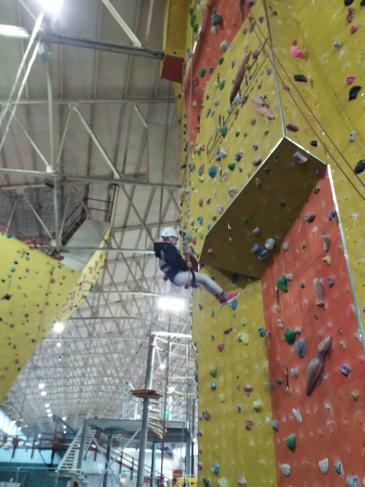 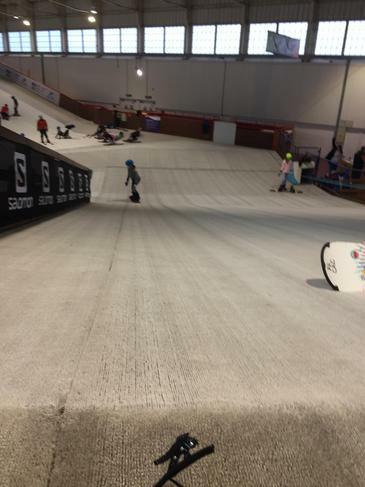 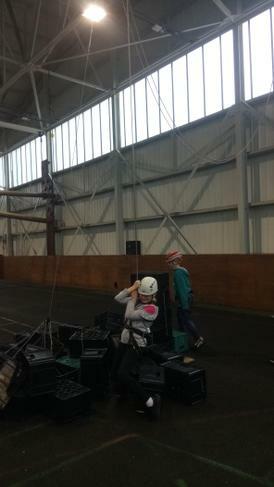 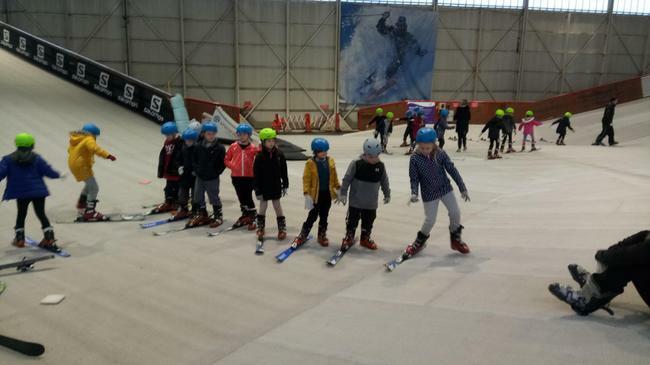 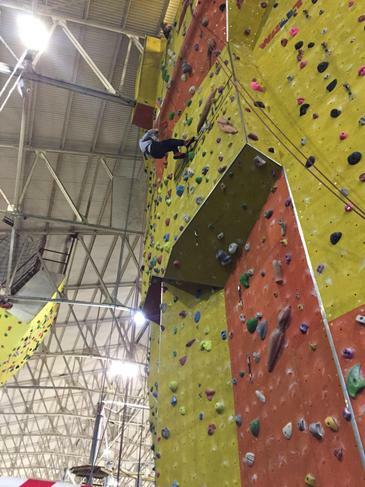 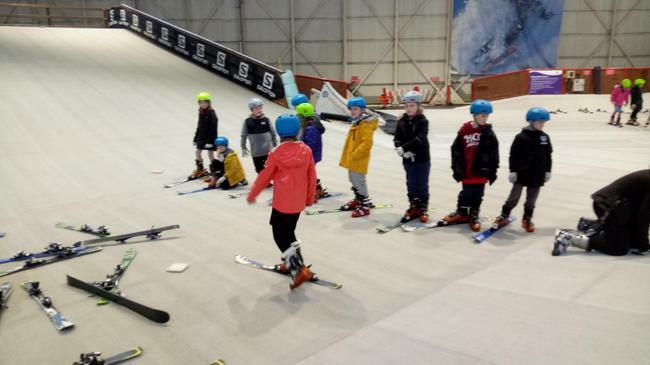 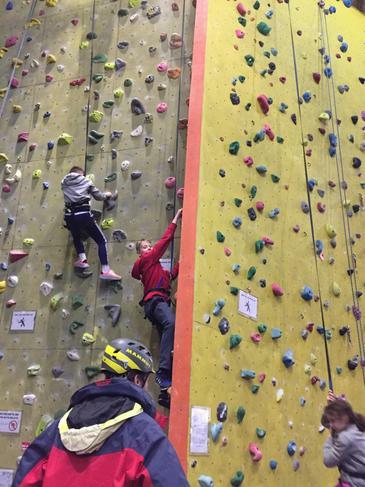 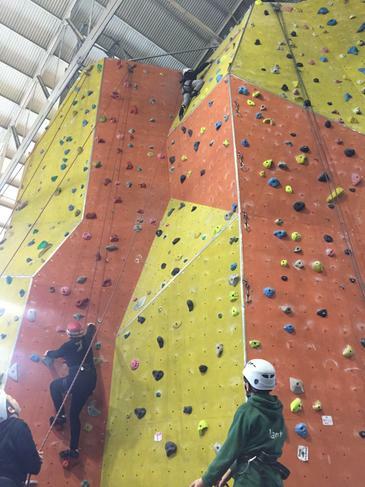 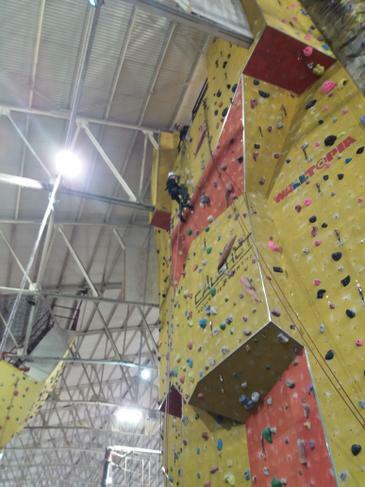 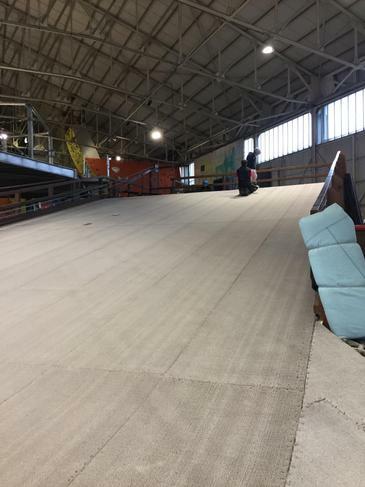 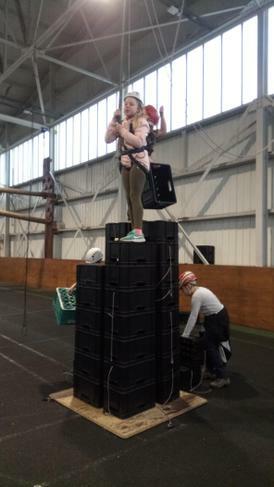 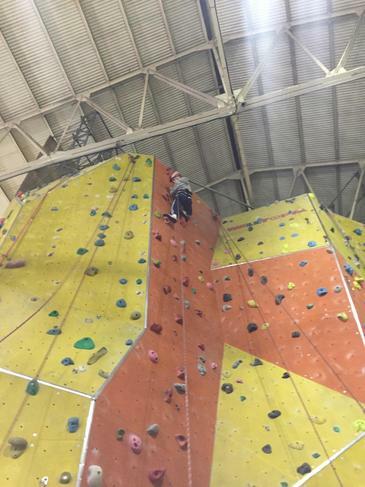 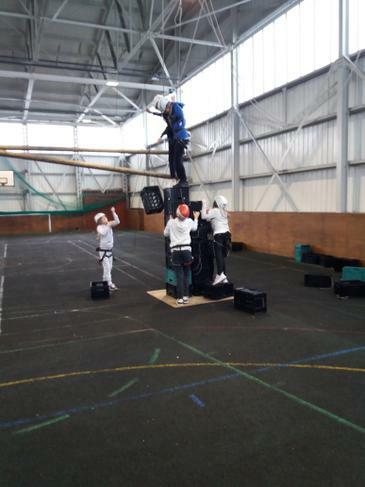 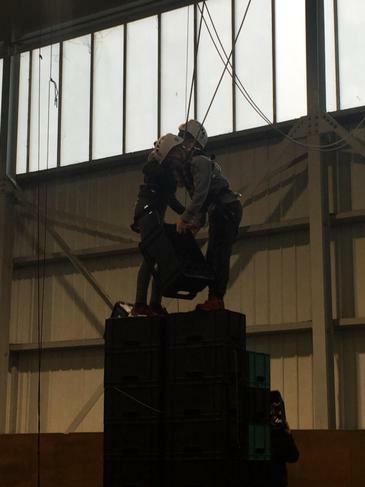 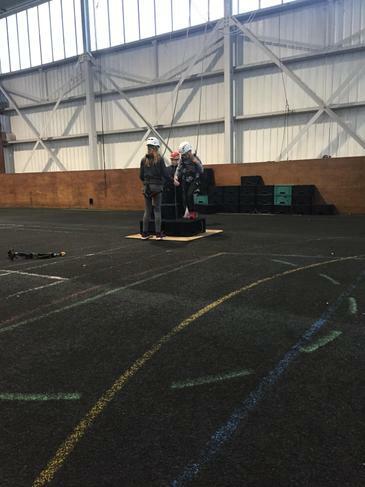 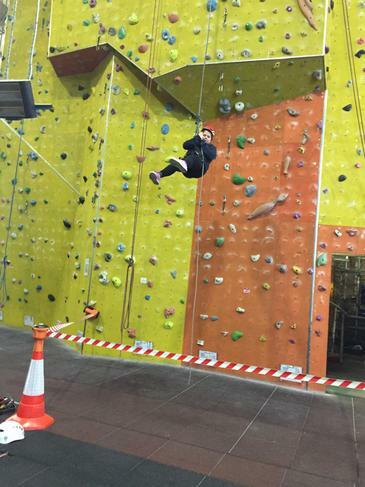 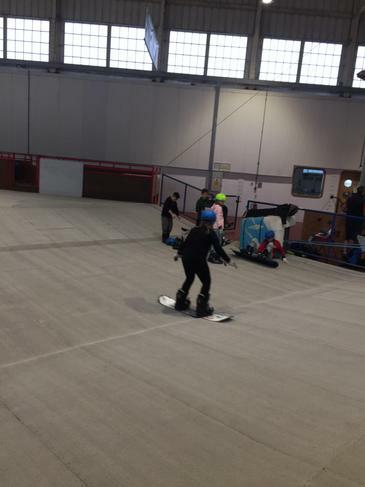 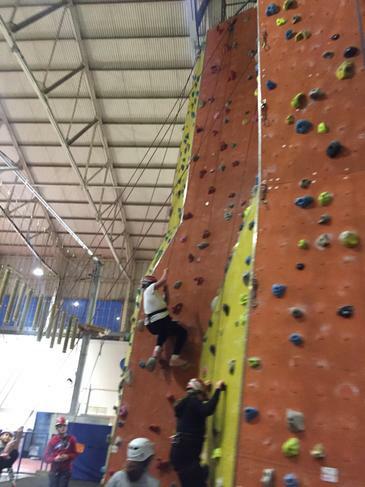 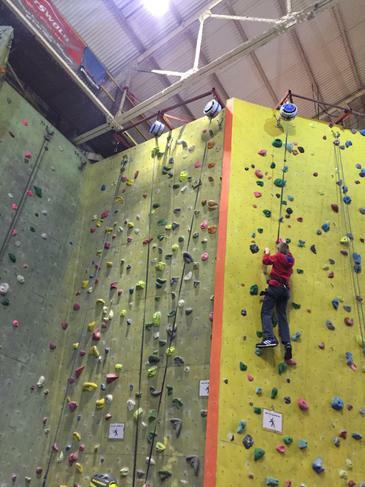 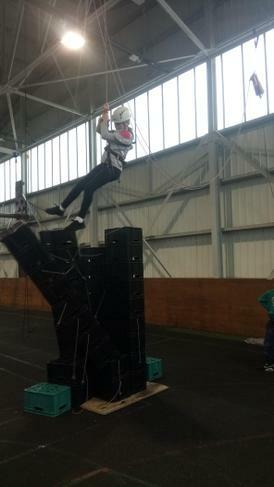 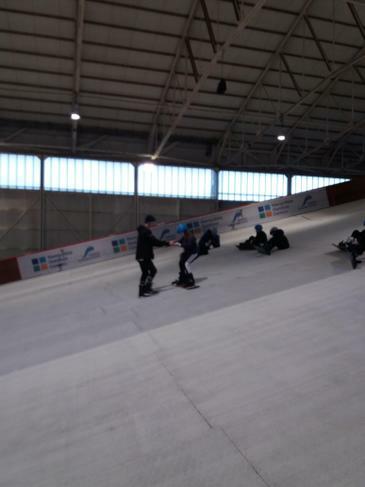 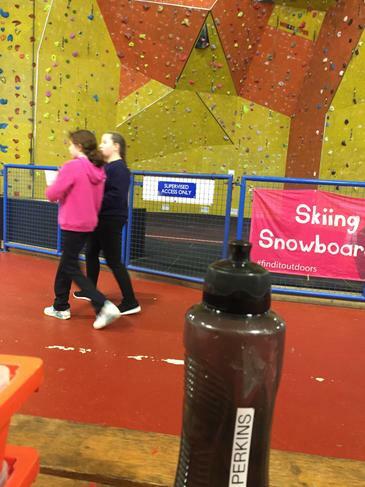 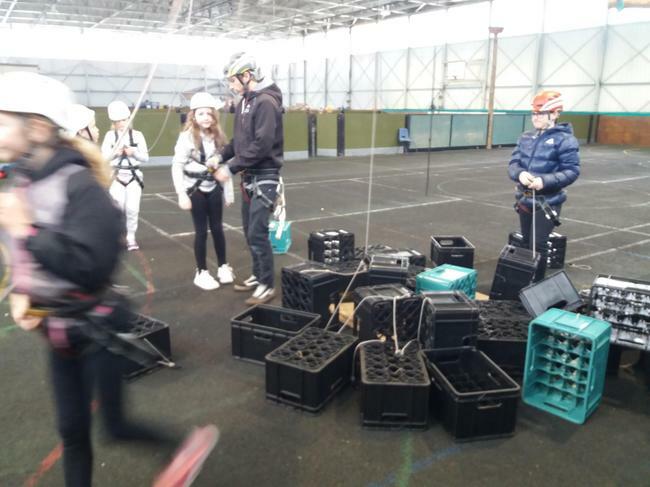 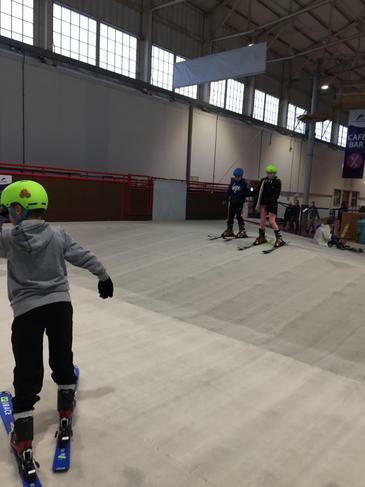 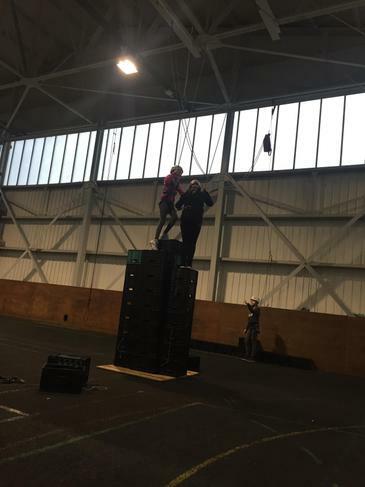 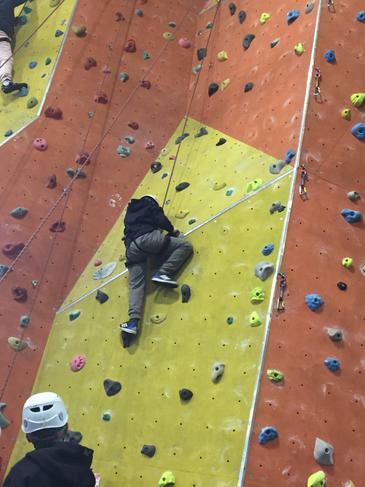 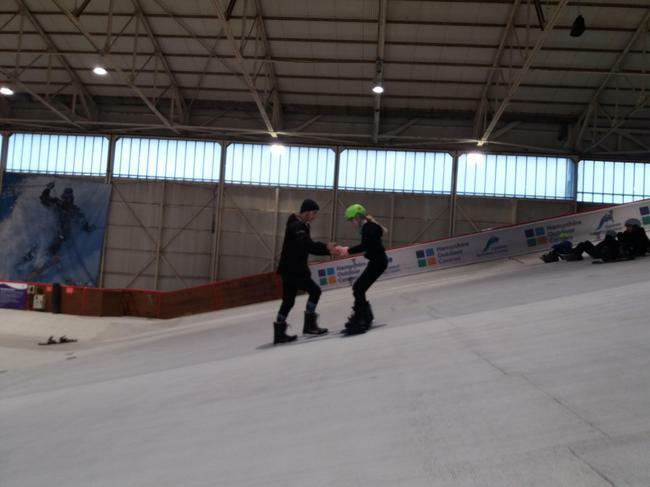 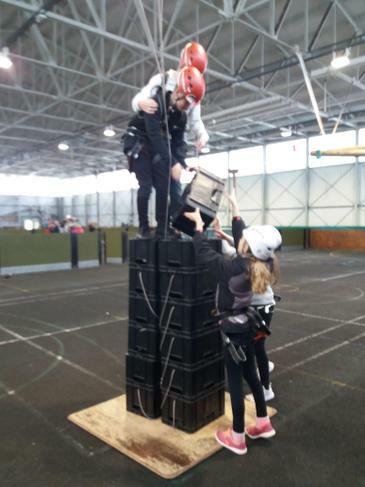 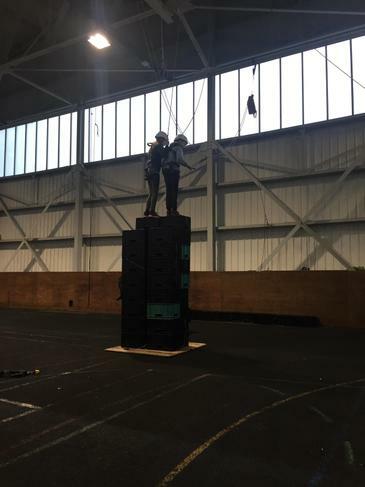 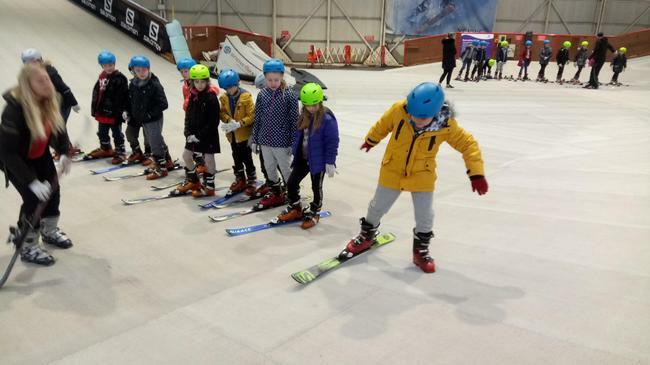 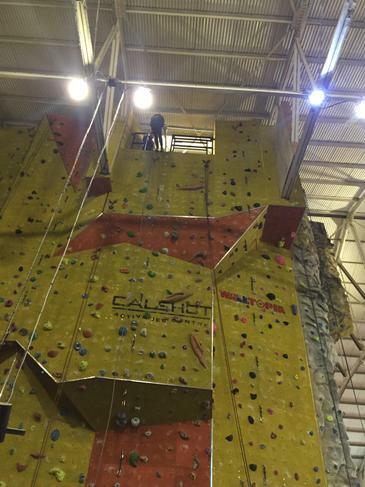 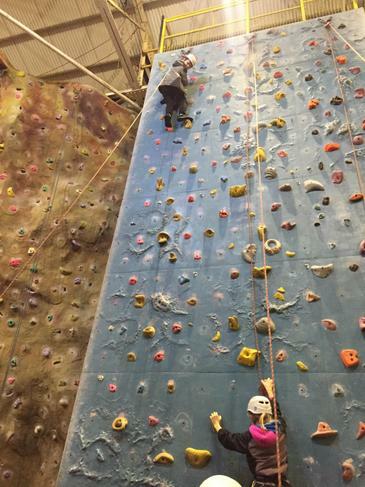 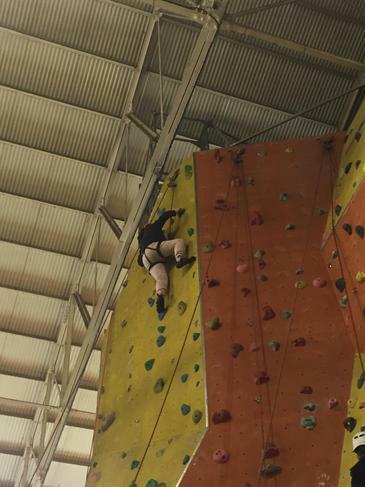 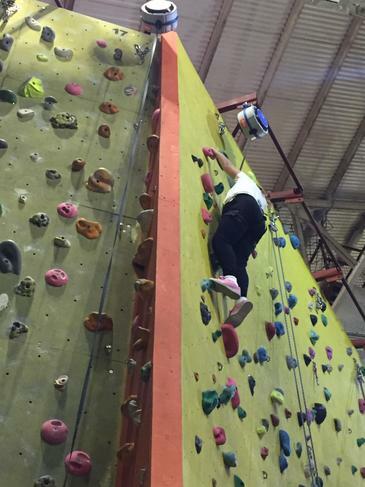 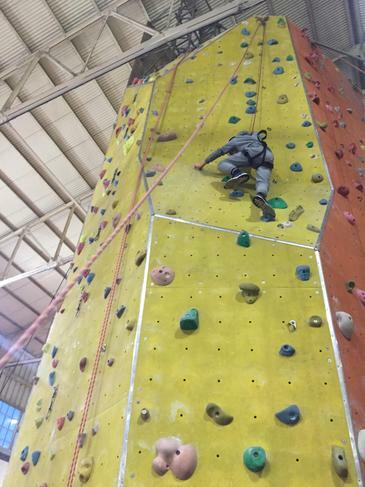 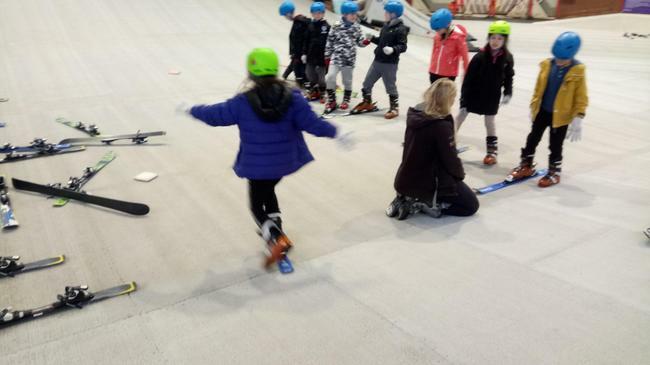 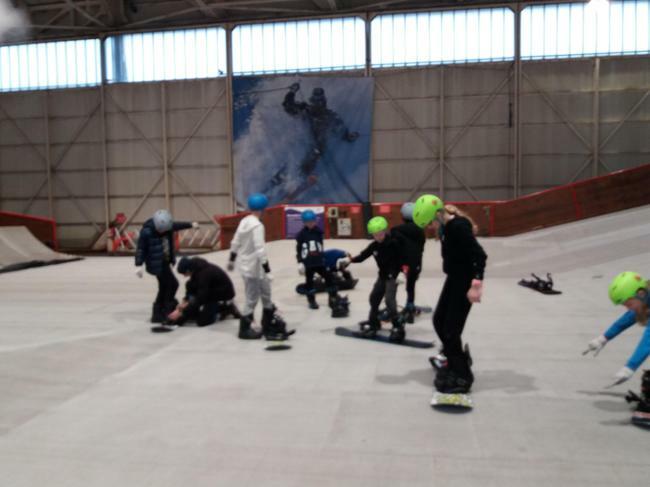 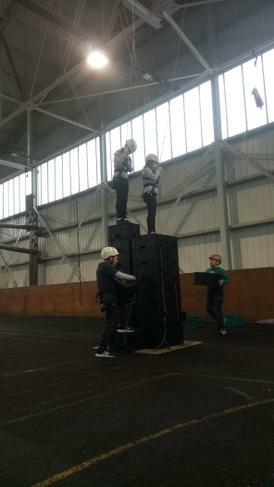 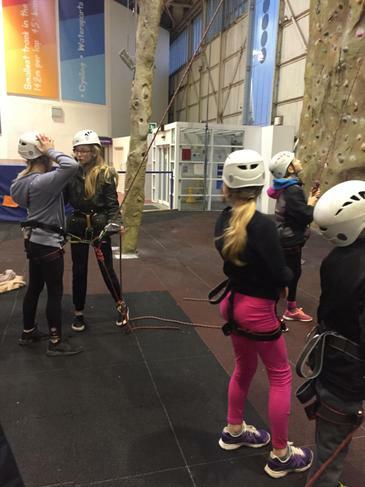 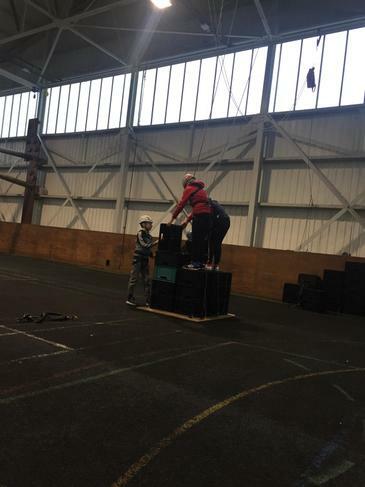 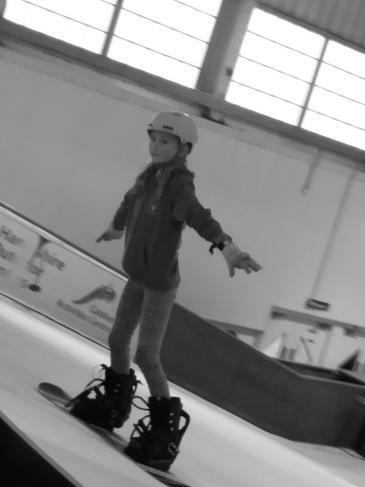 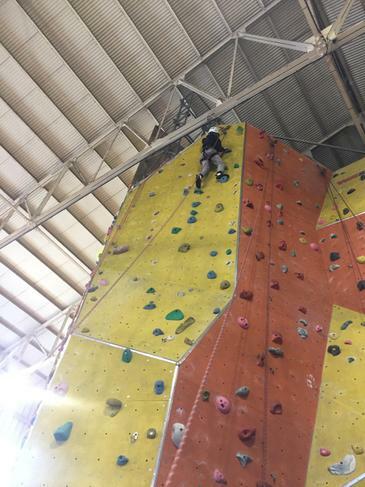 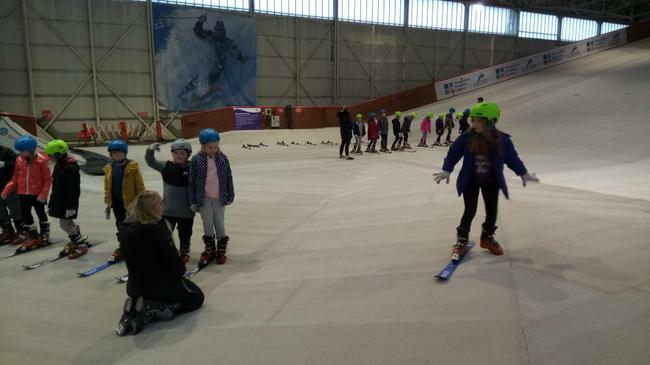 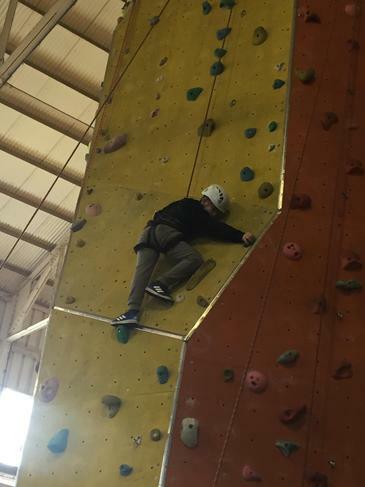 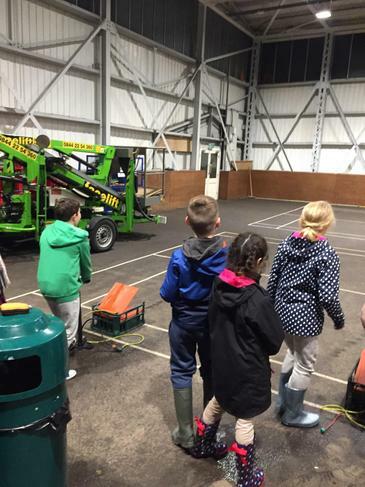 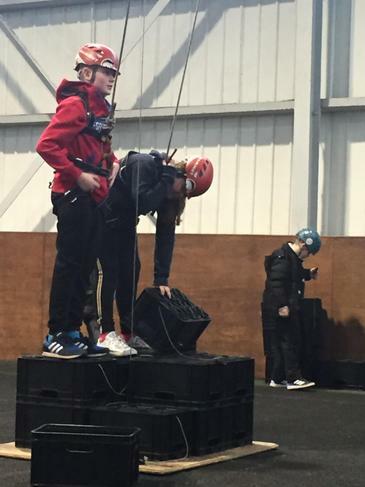 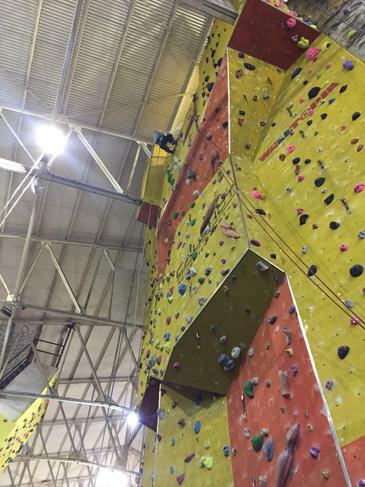 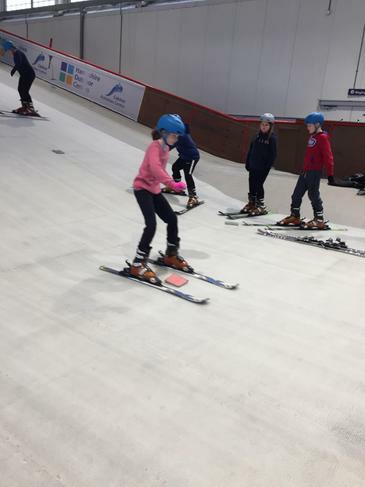 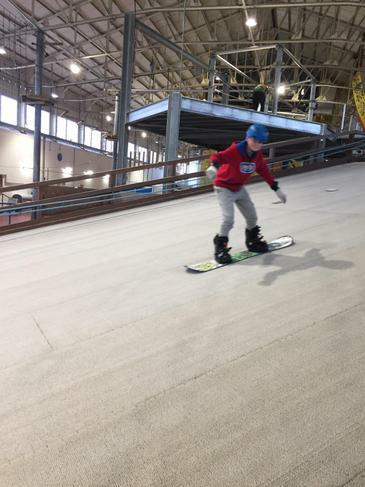 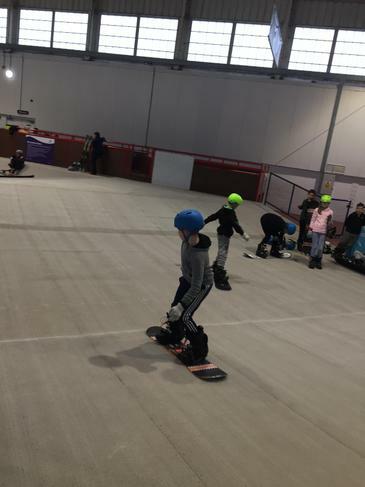 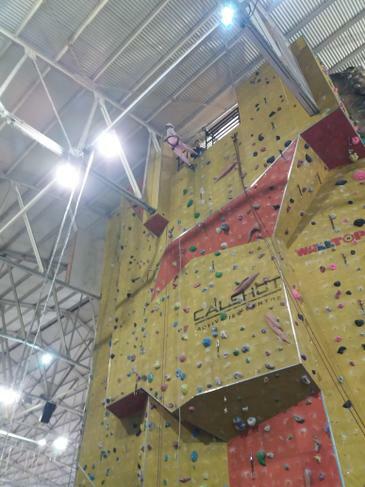 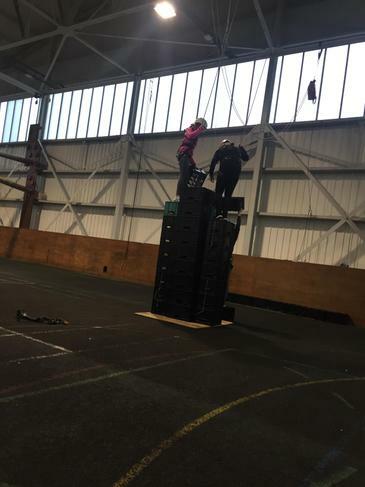 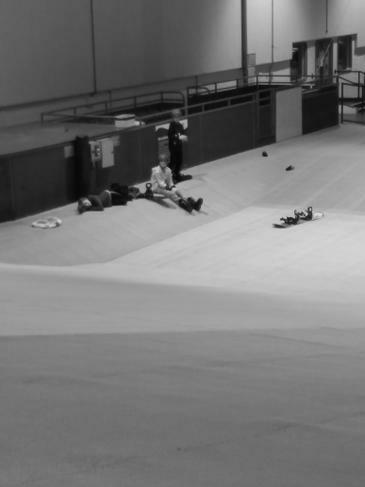 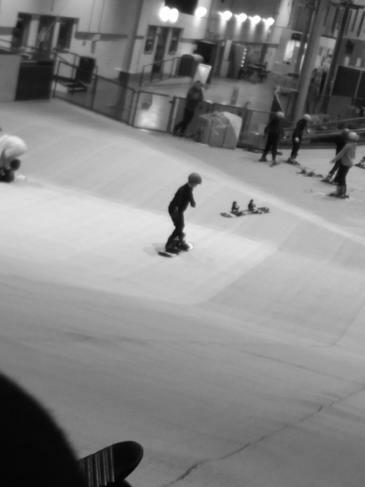 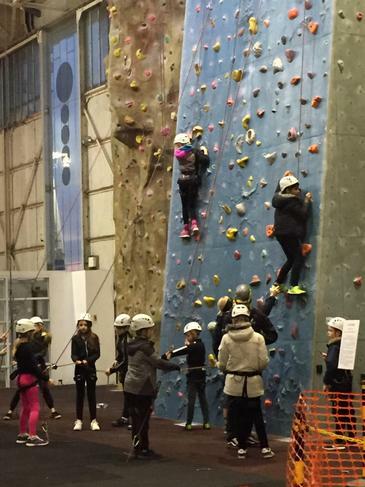 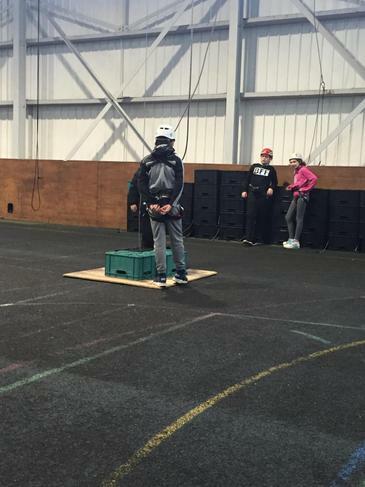 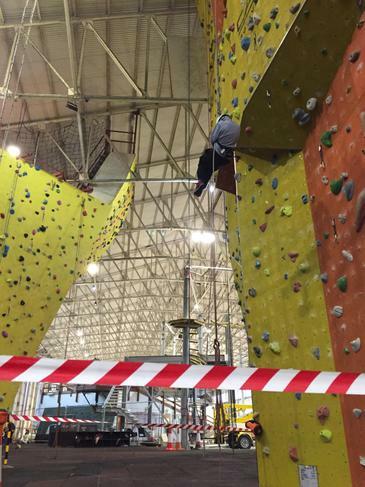 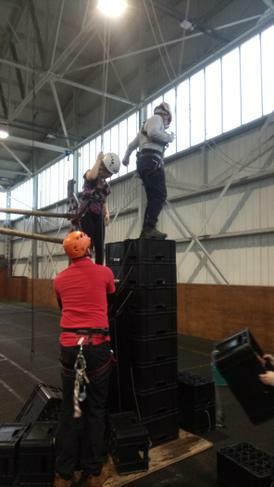 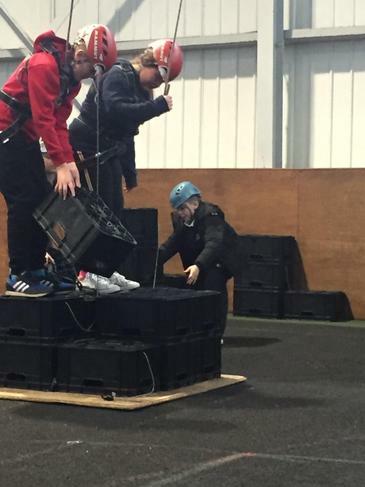 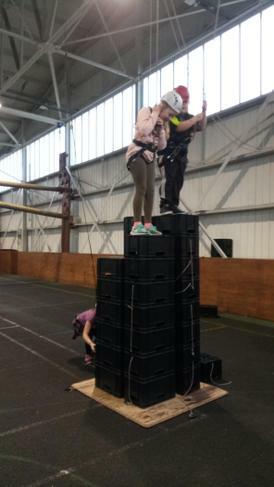 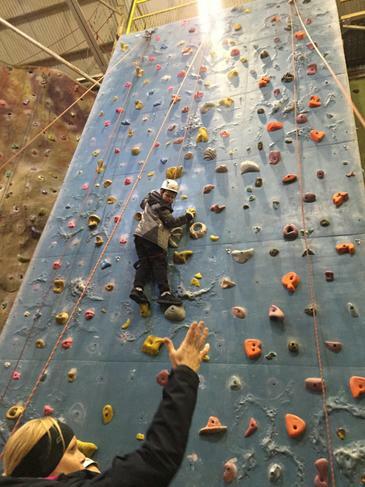 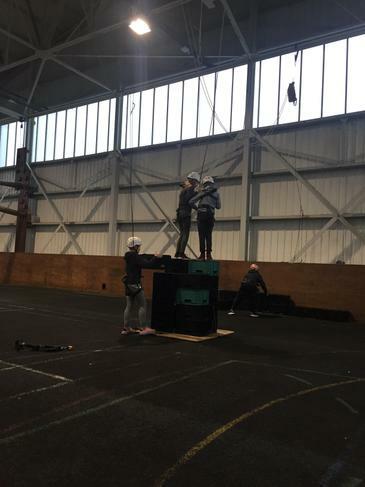 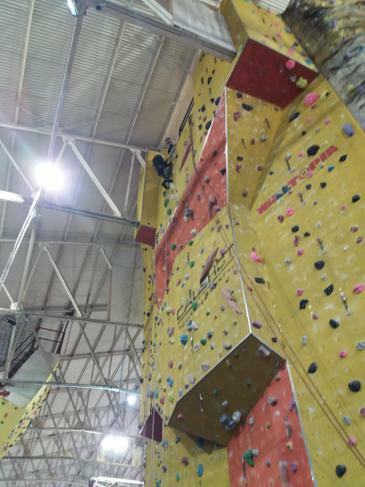 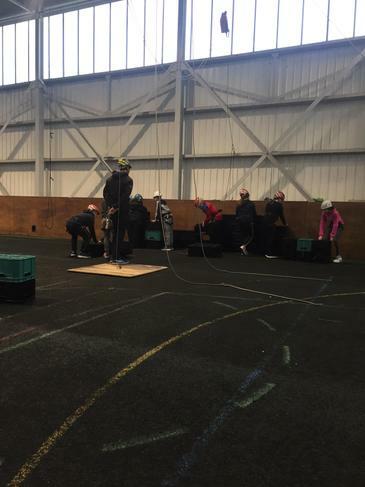 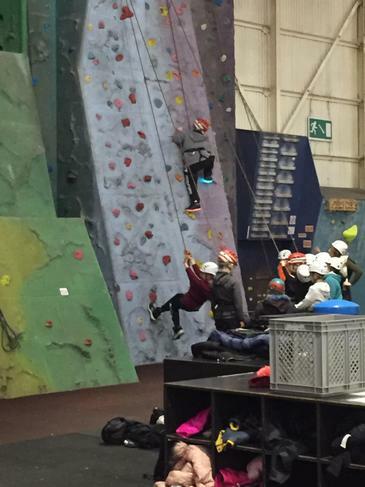 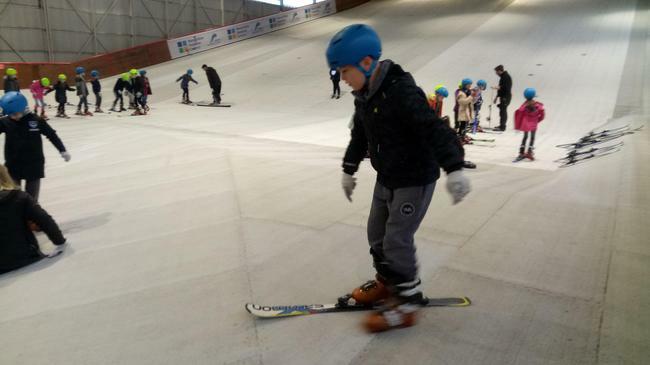 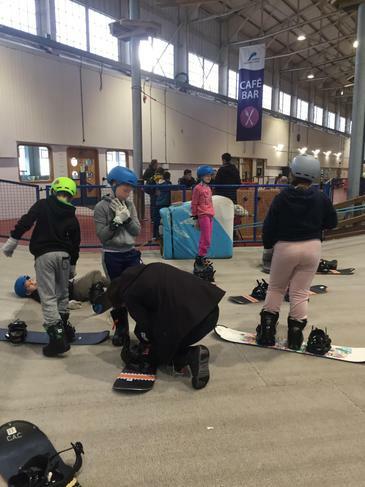 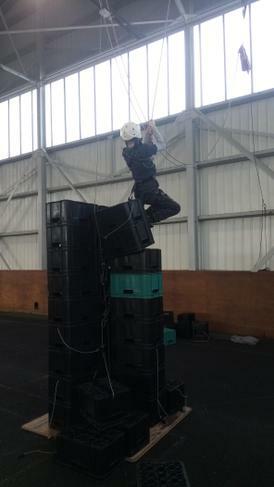 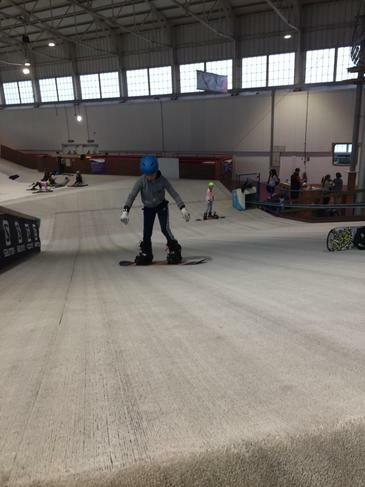 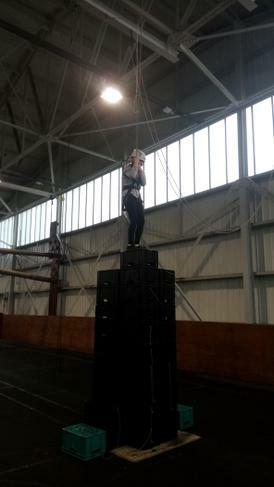 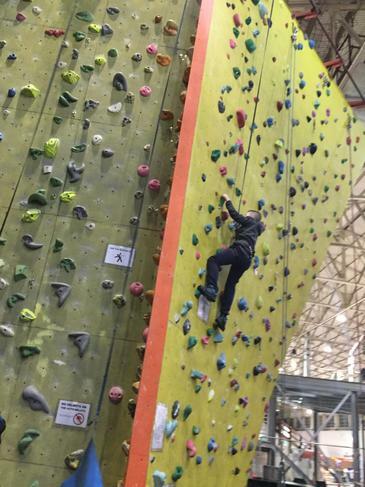 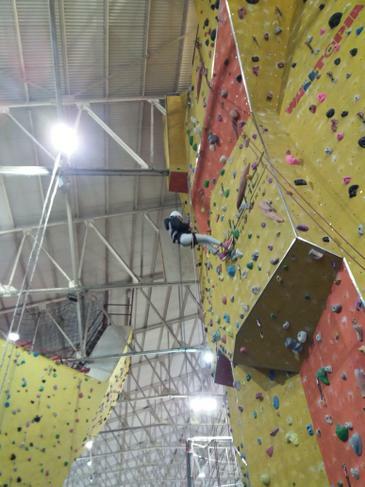 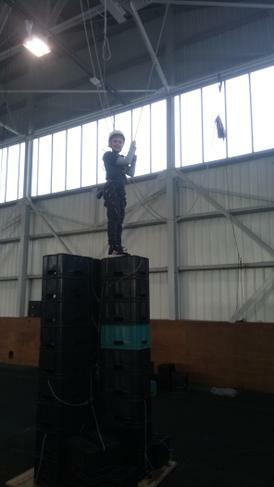 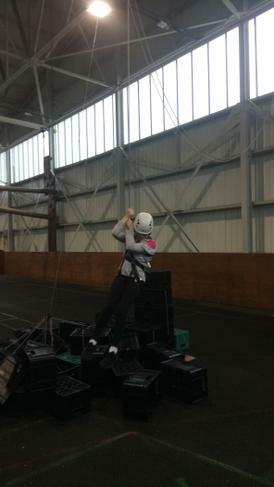 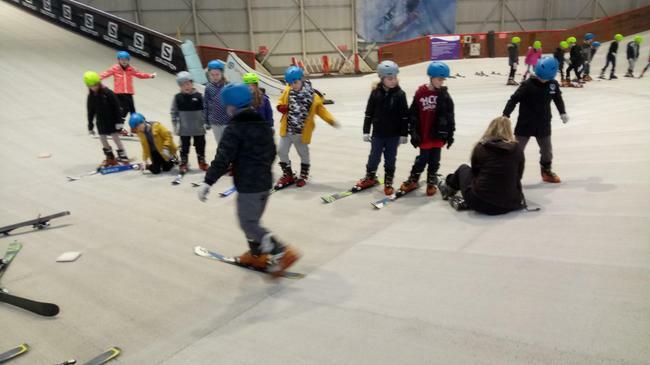 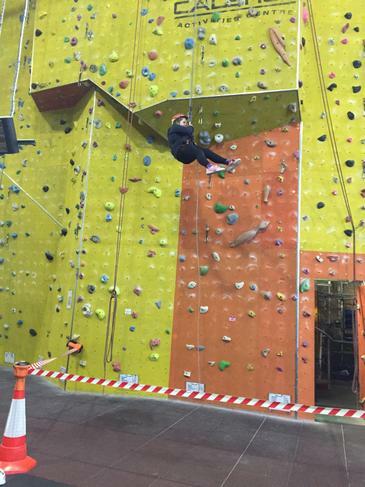 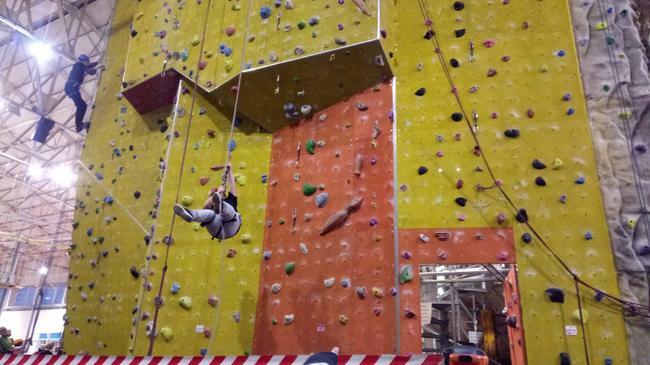 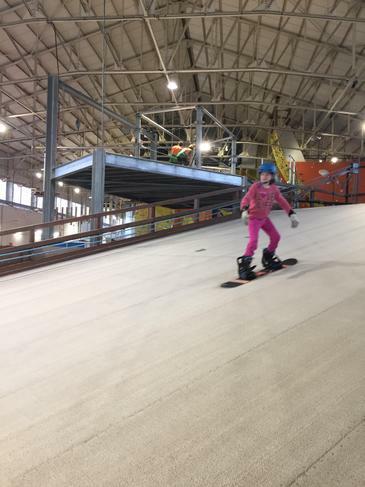 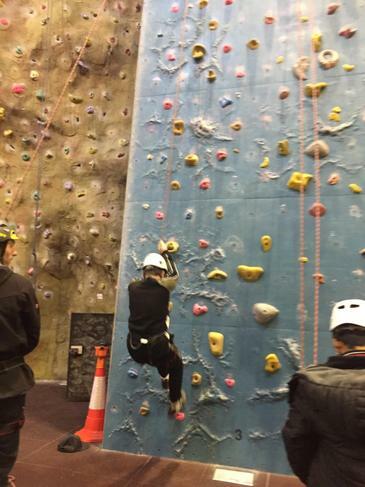 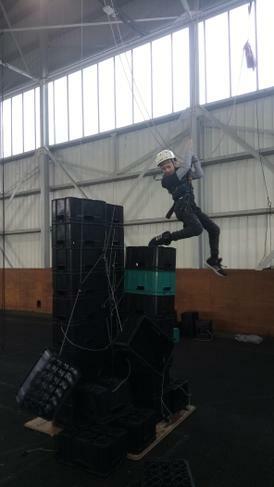 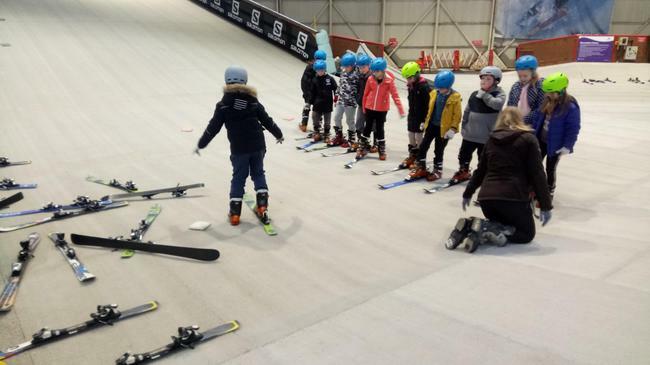 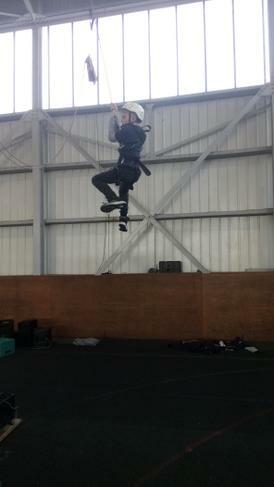 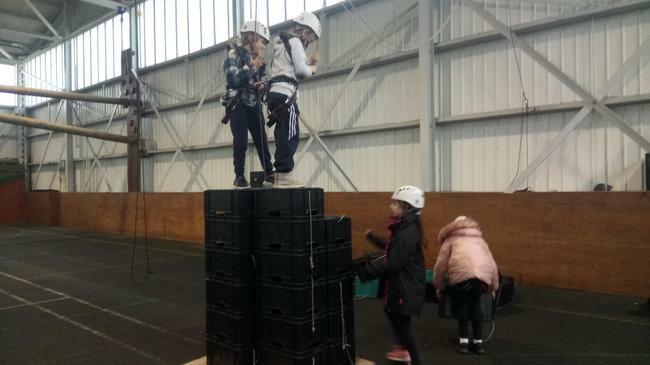 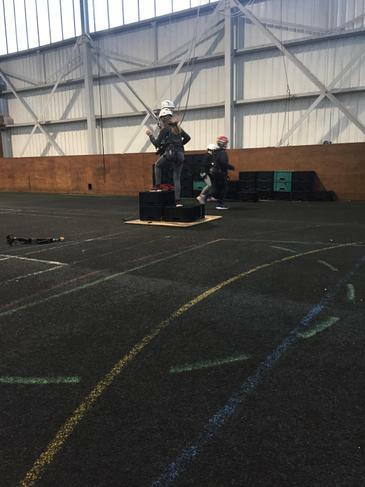 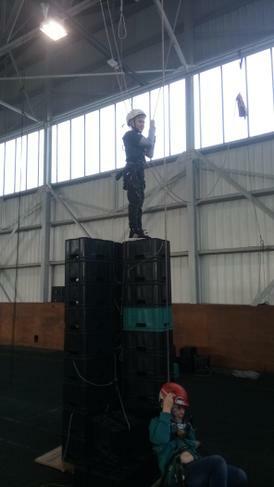 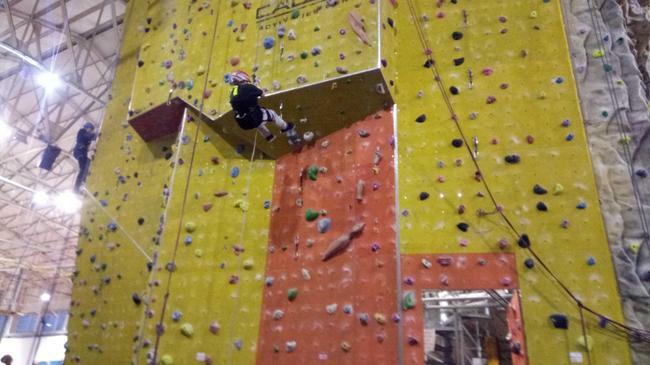 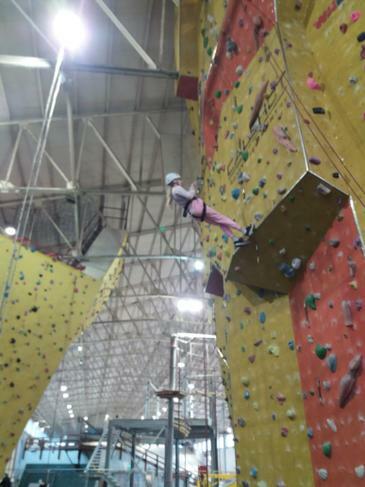 They have taken part in further activities: crate stack, snowboarding and a second climbing session. 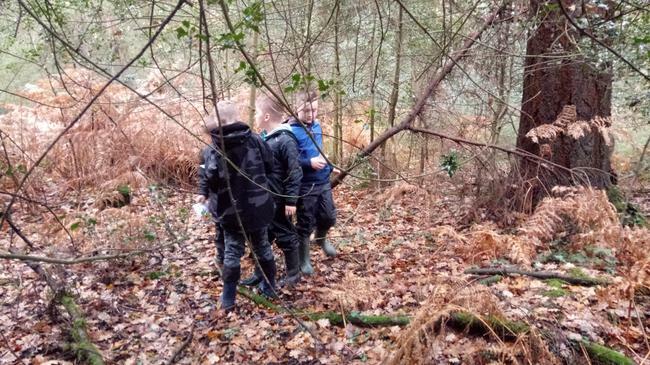 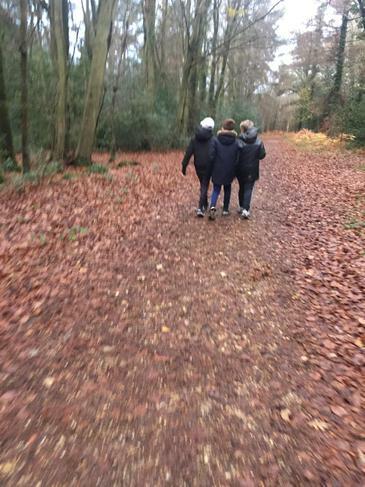 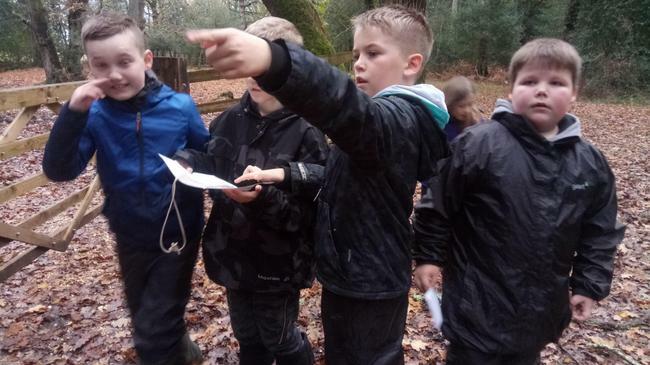 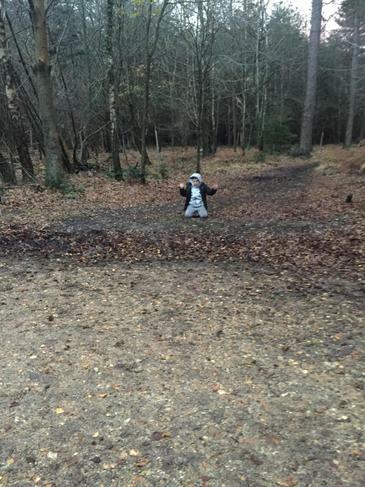 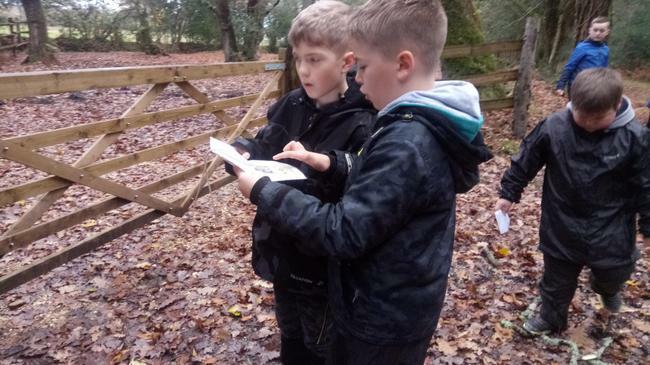 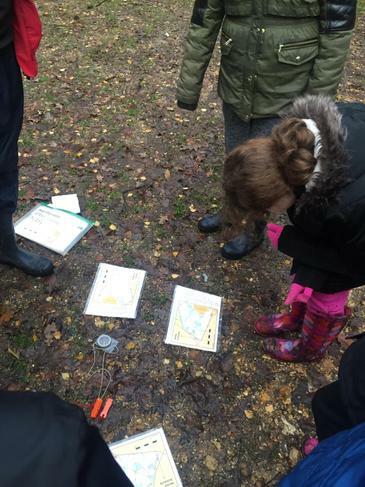 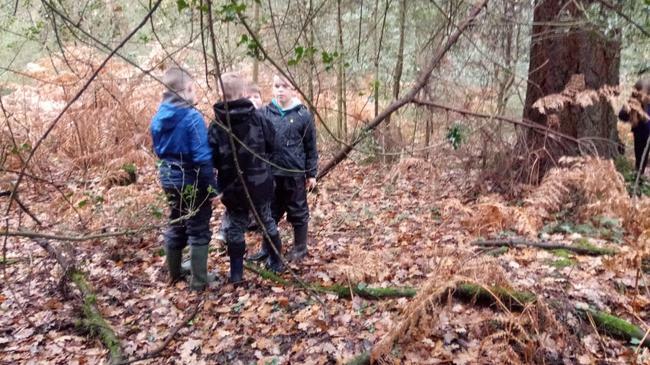 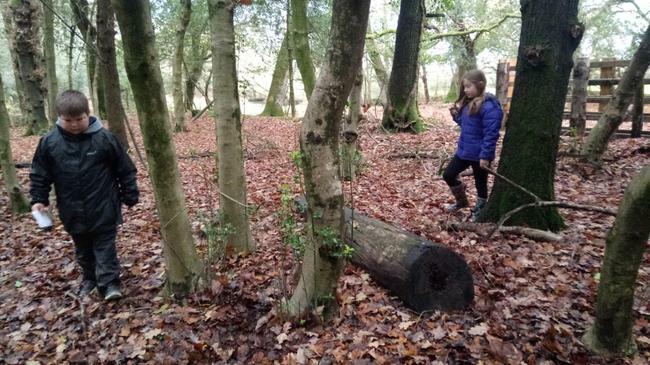 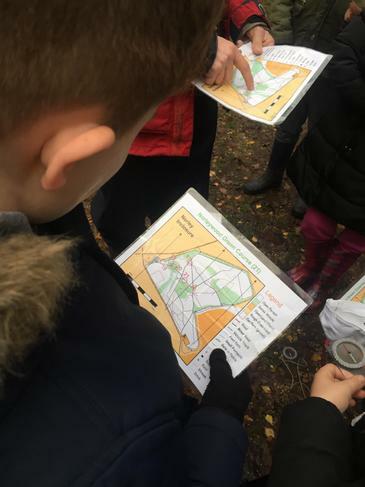 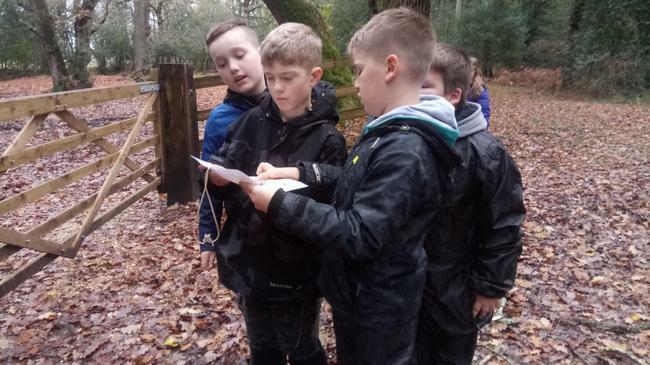 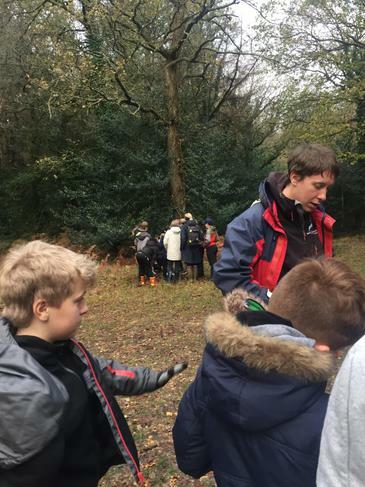 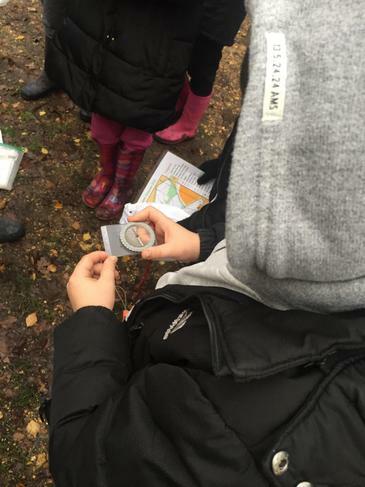 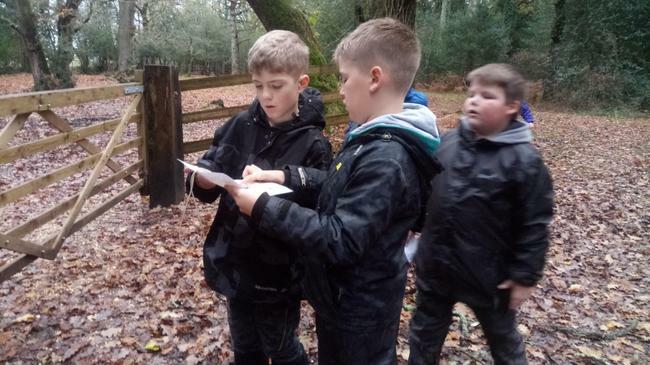 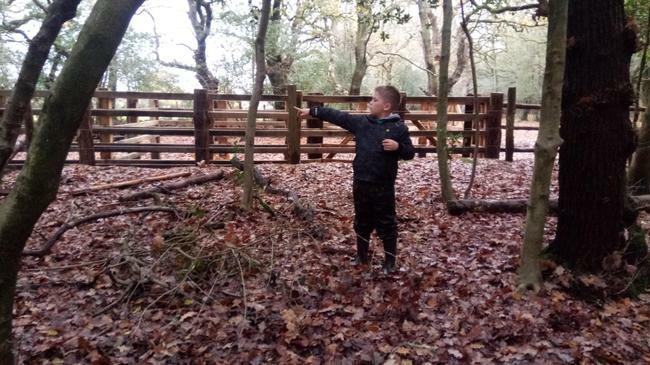 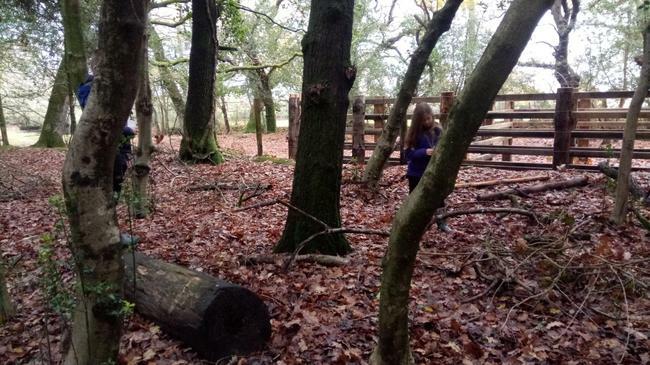 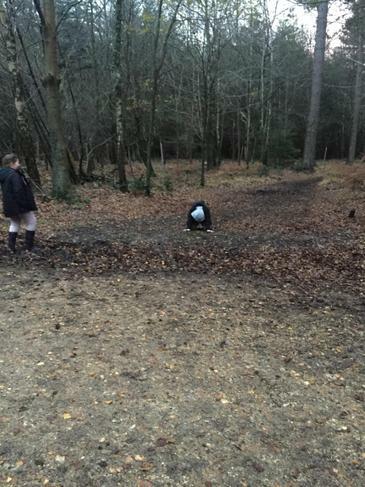 After lunch, pupils have completed orienteering in a muddy part of the new forest before enjoying a warm cup of hot chocolate. 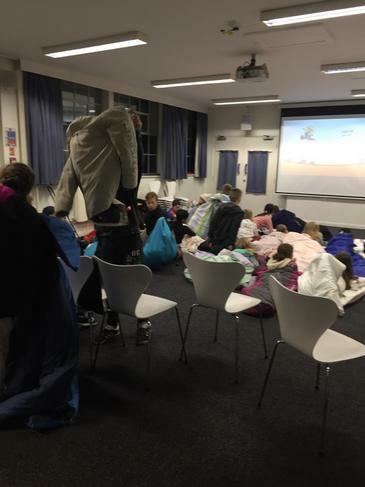 To finish the day, as many are exhausted, they have had movie night with their peers. 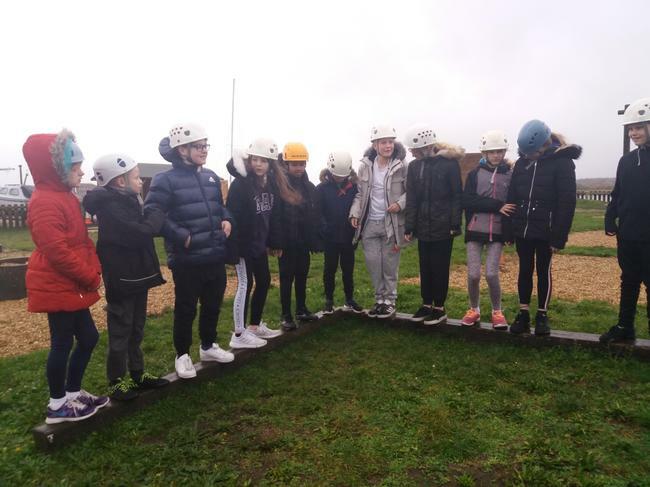 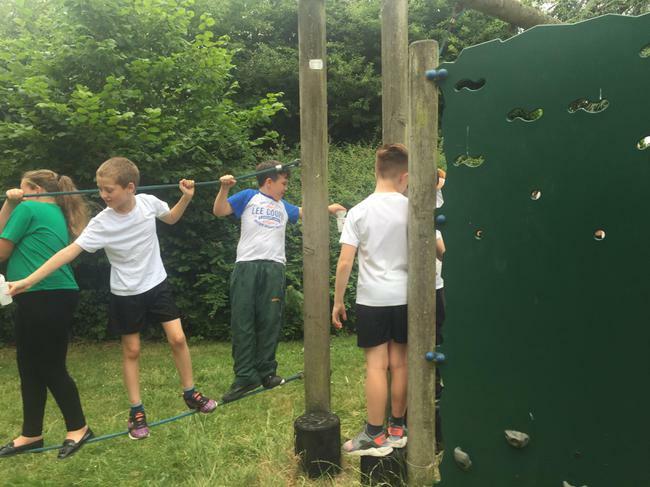 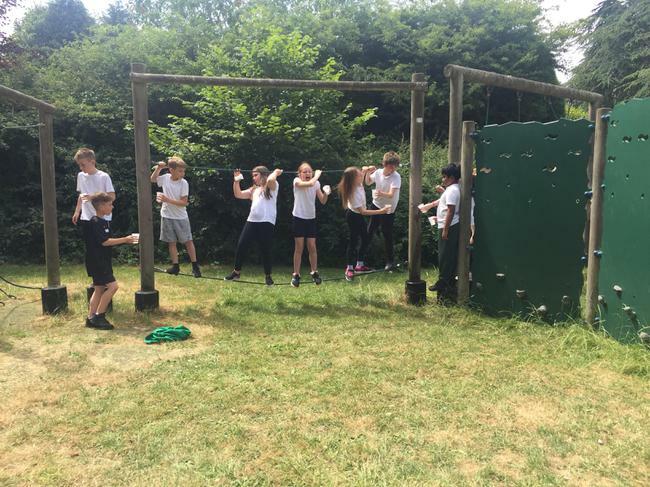 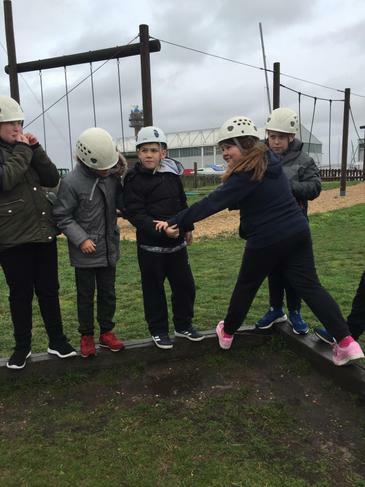 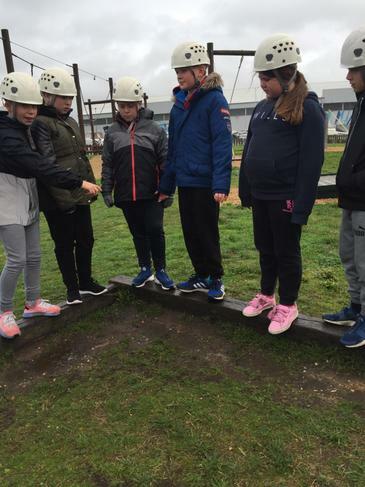 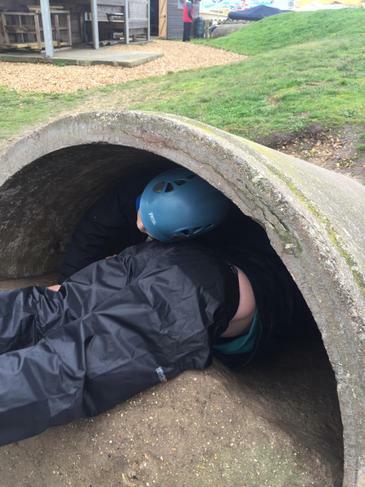 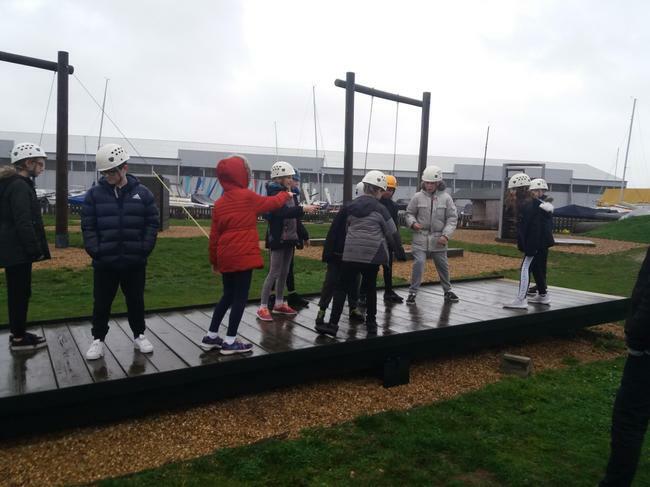 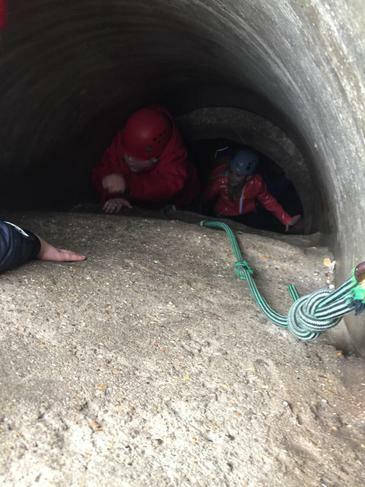 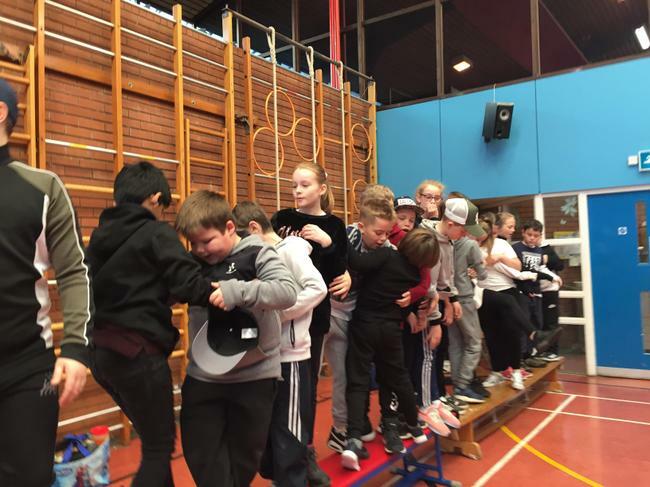 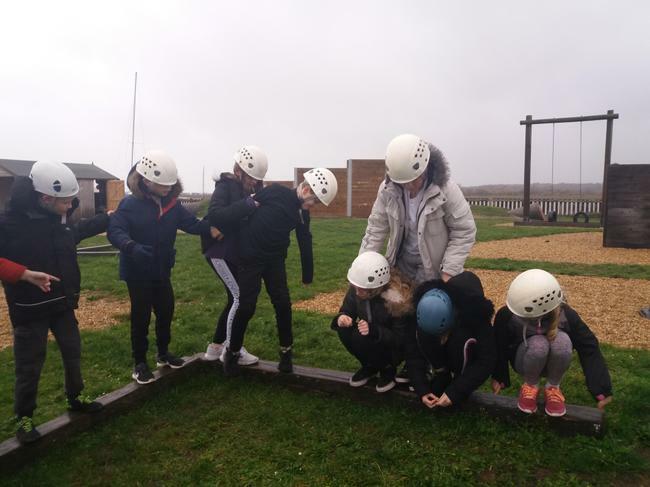 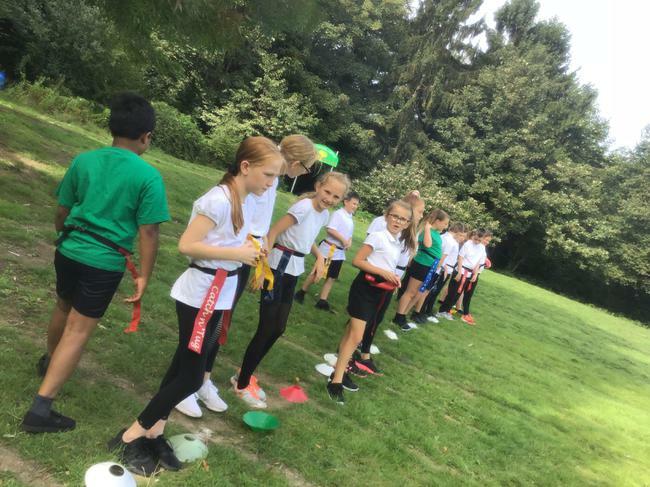 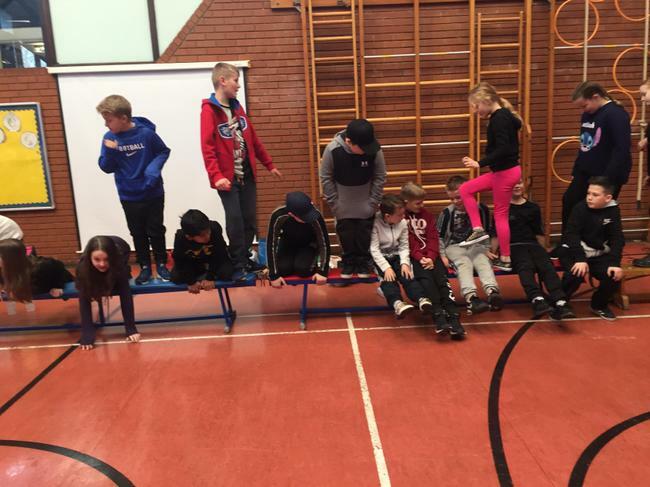 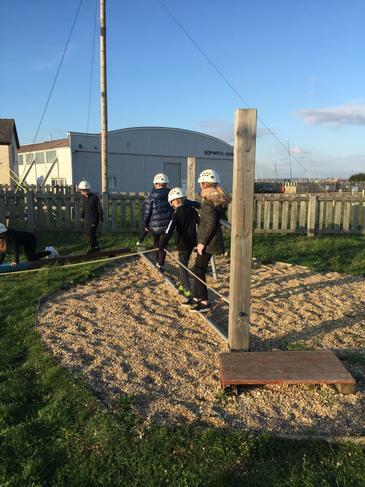 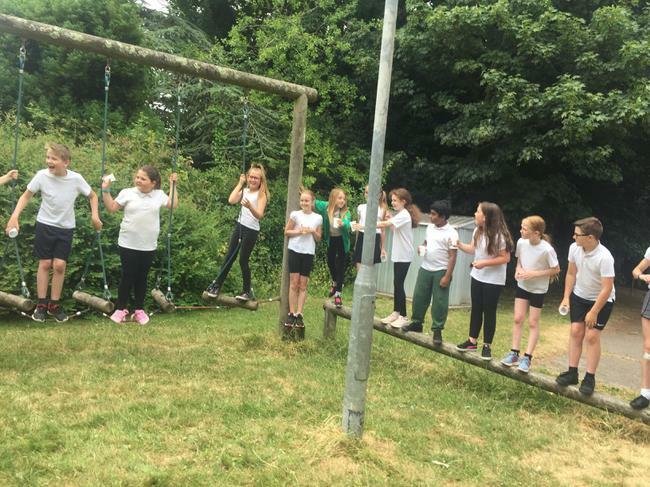 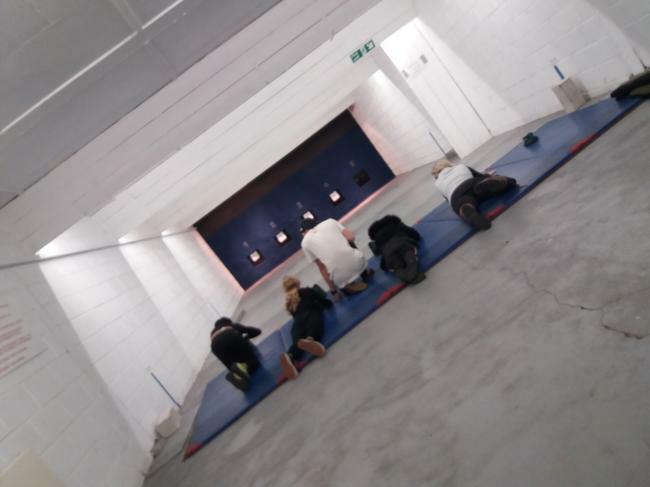 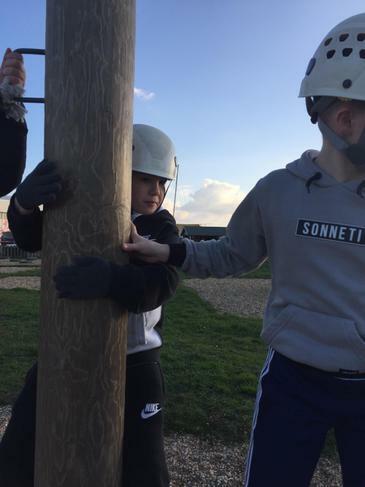 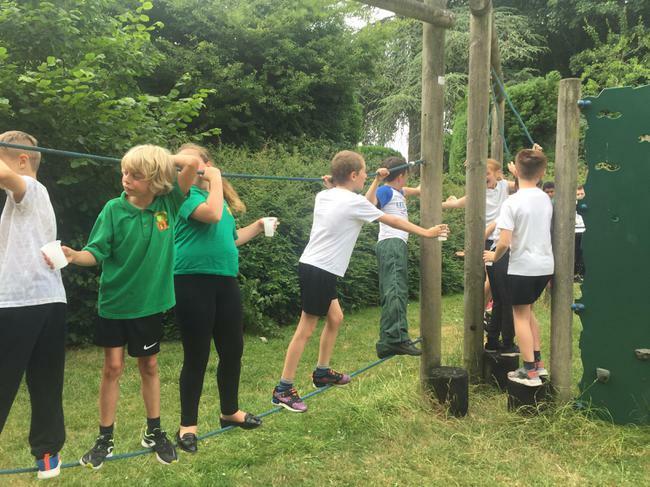 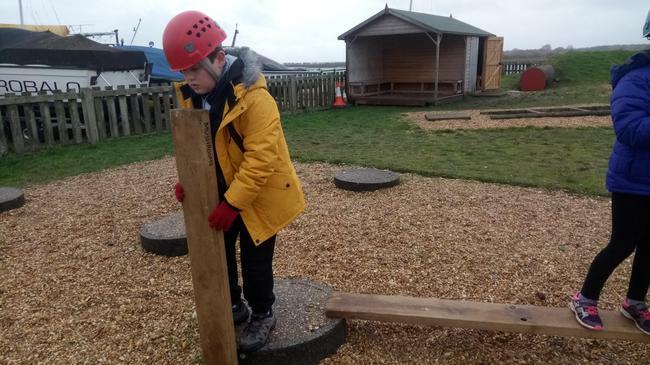 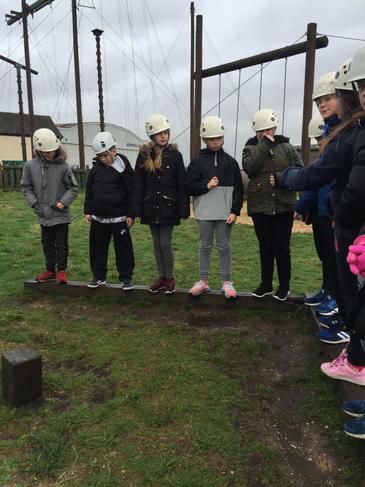 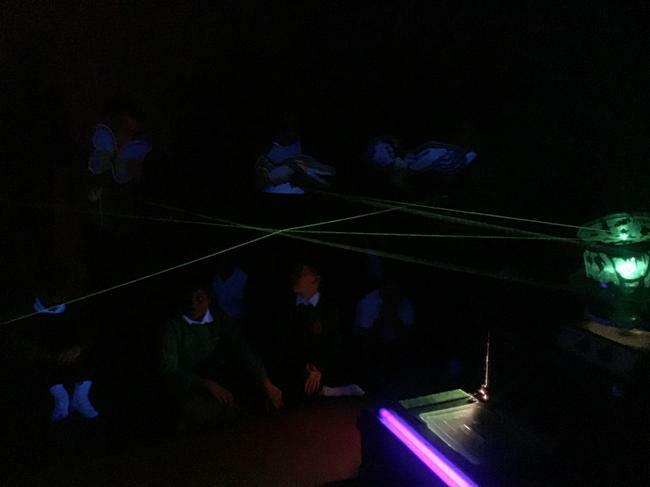 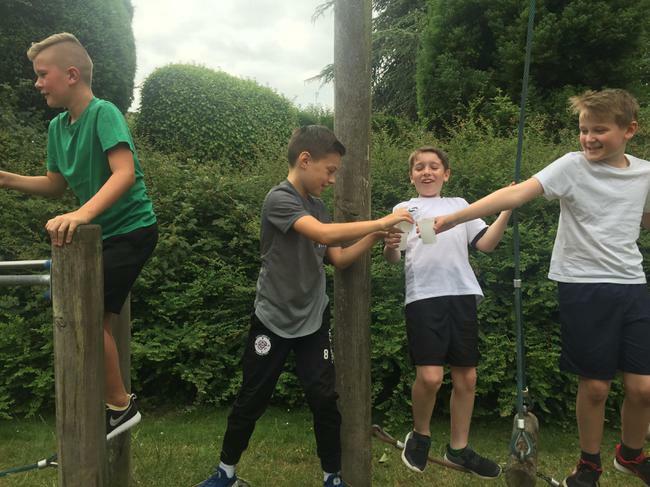 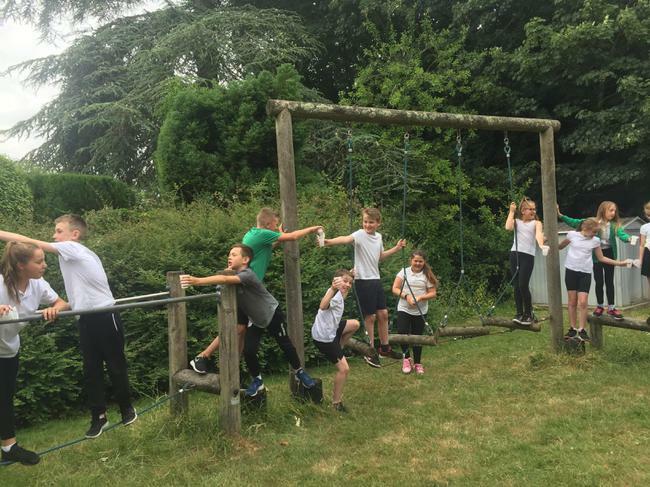 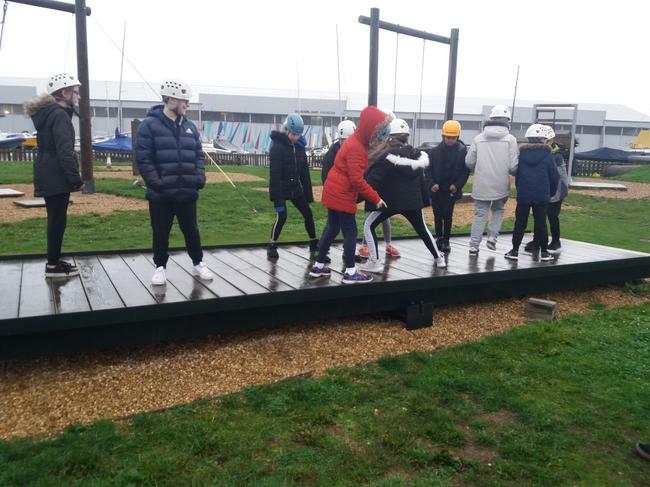 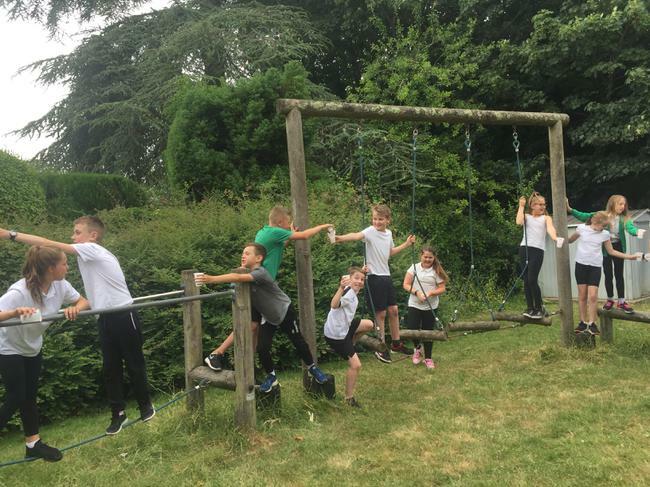 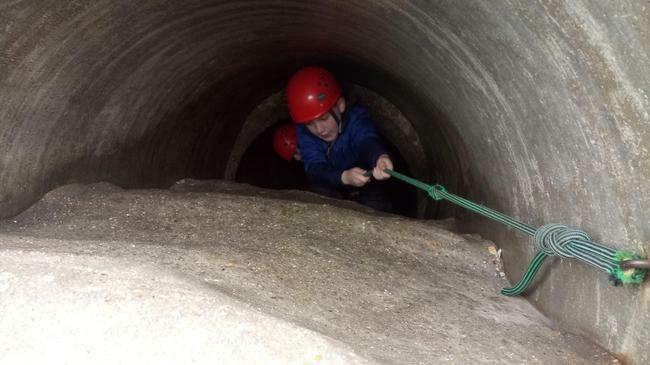 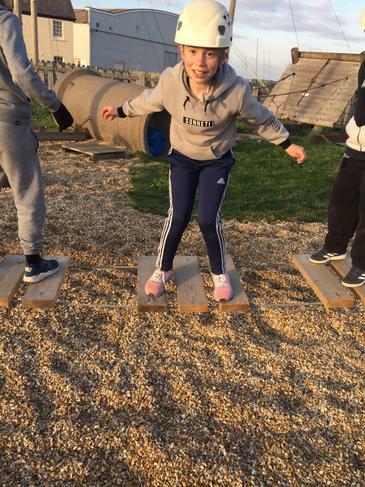 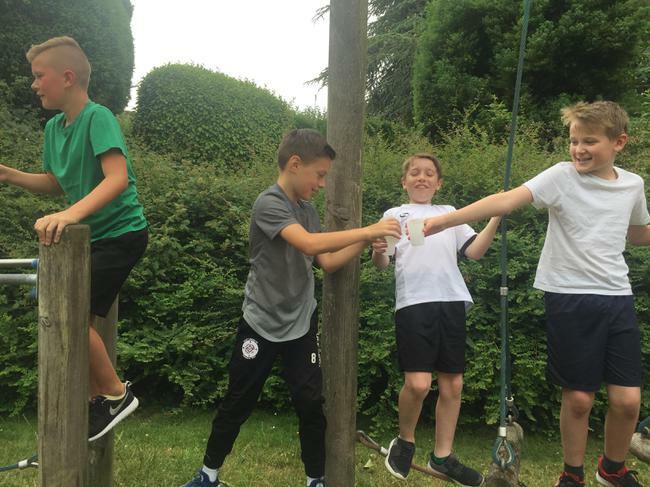 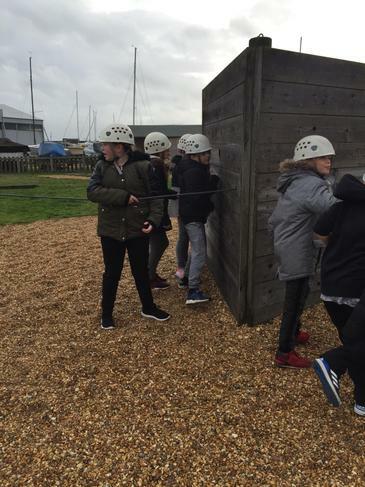 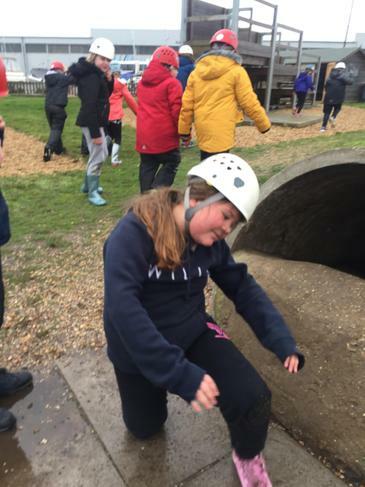 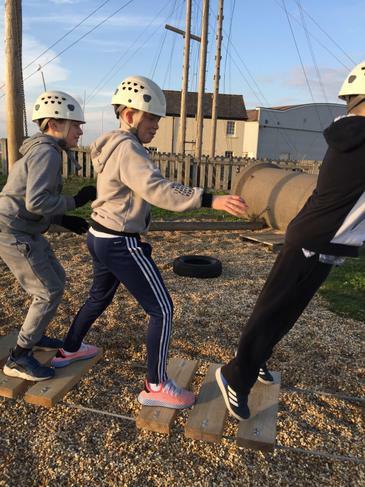 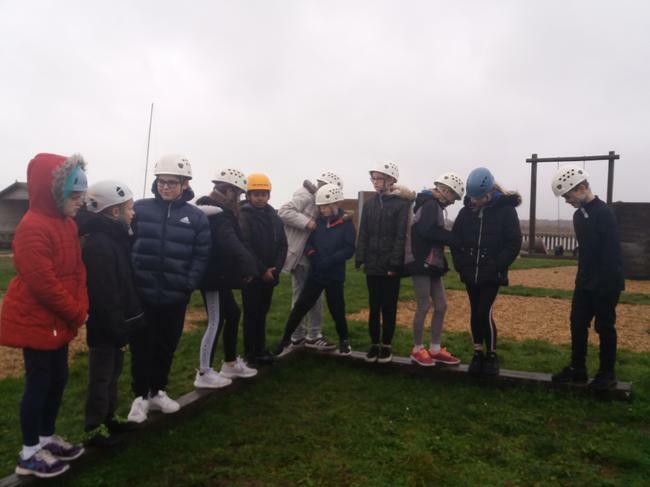 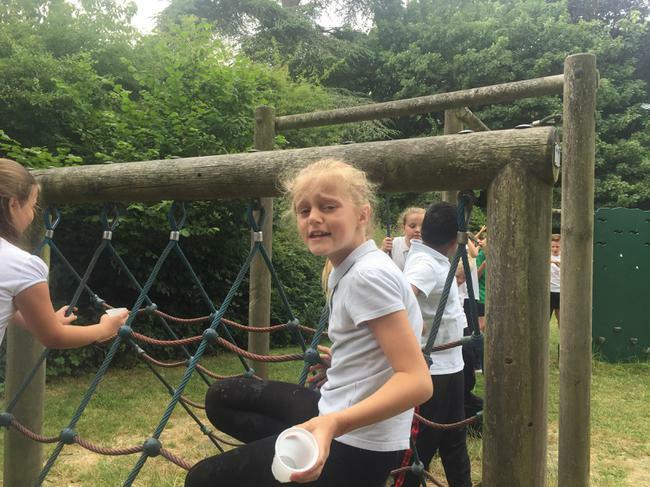 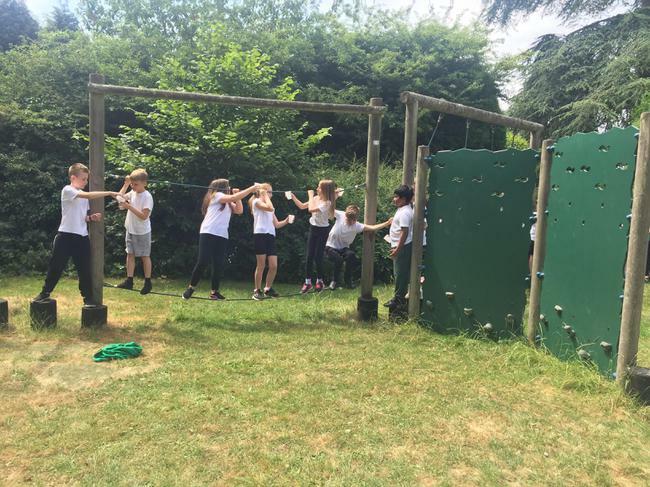 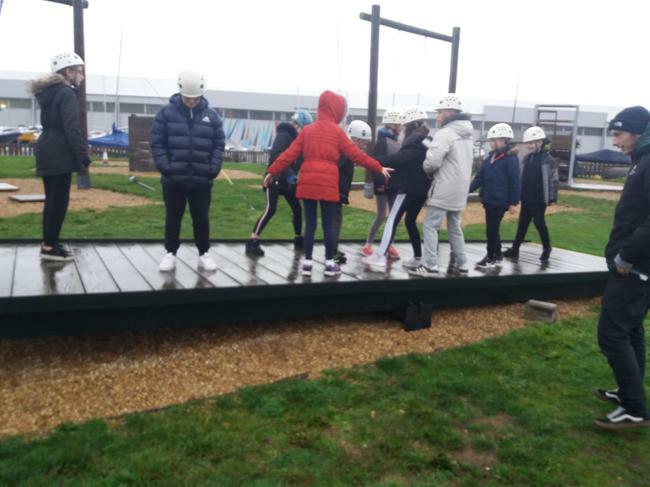 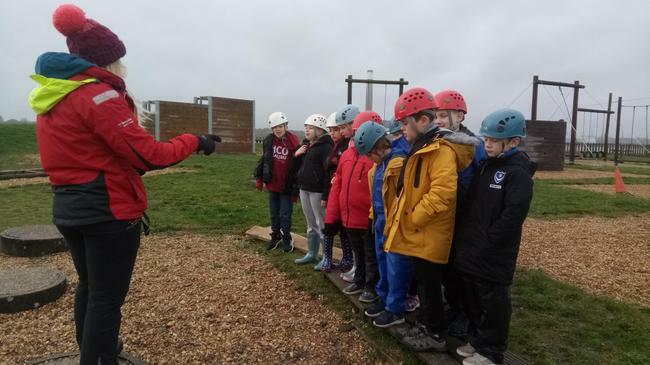 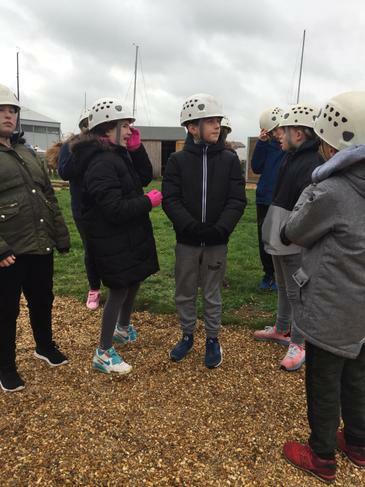 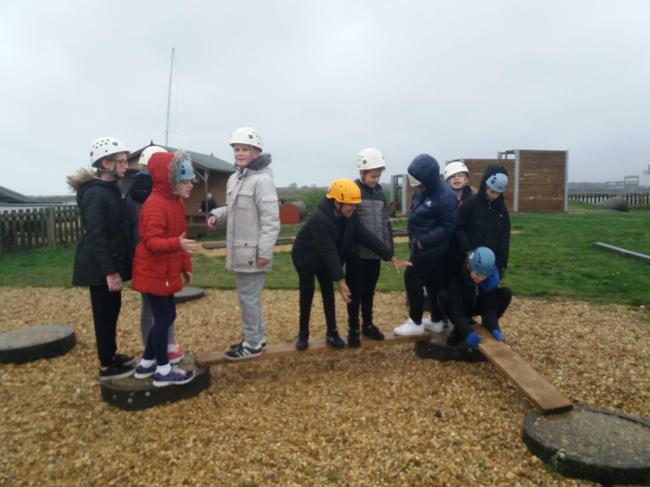 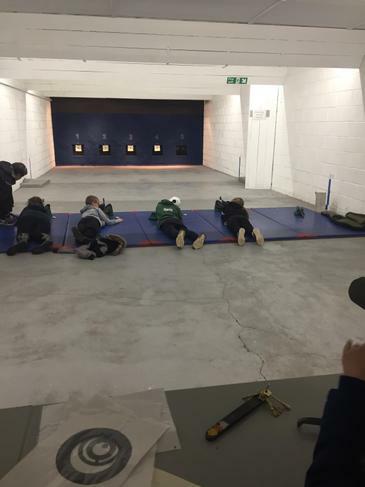 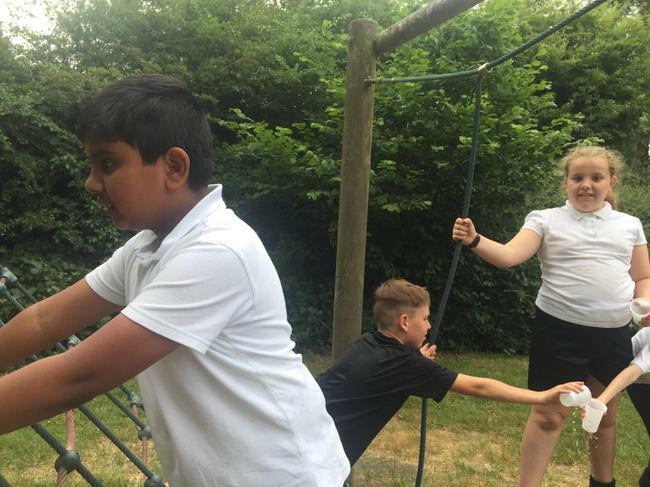 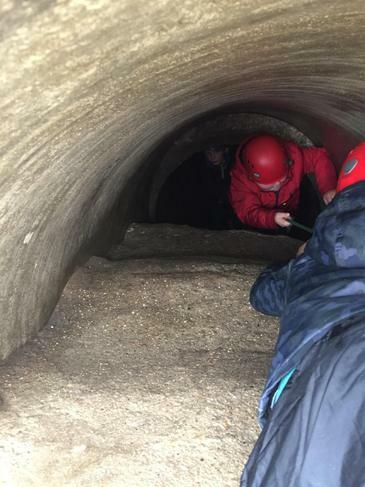 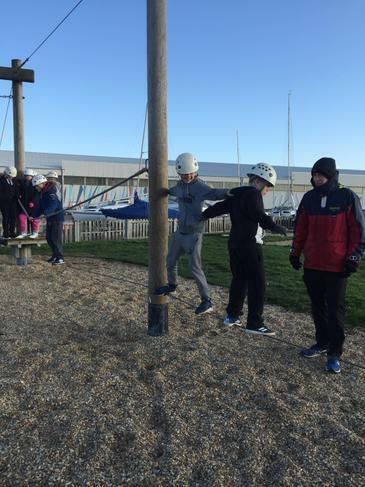 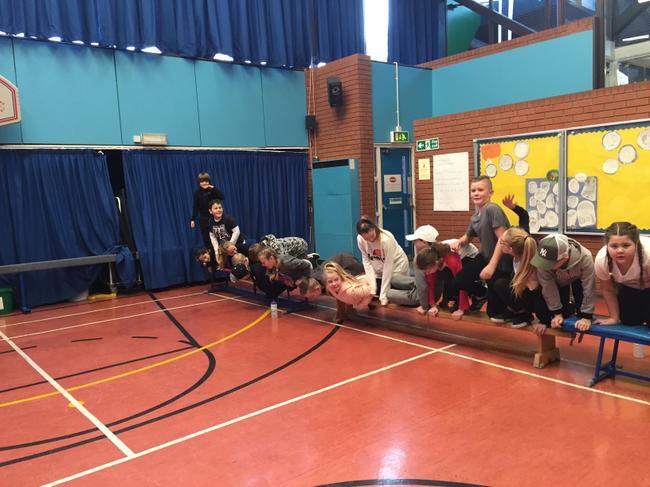 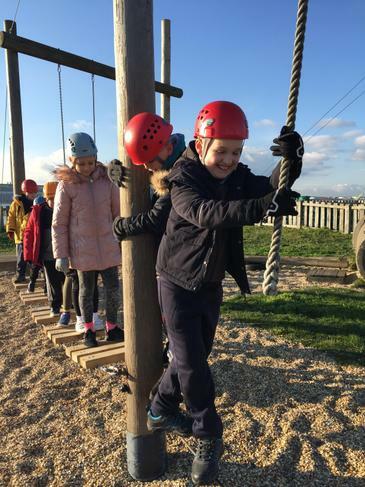 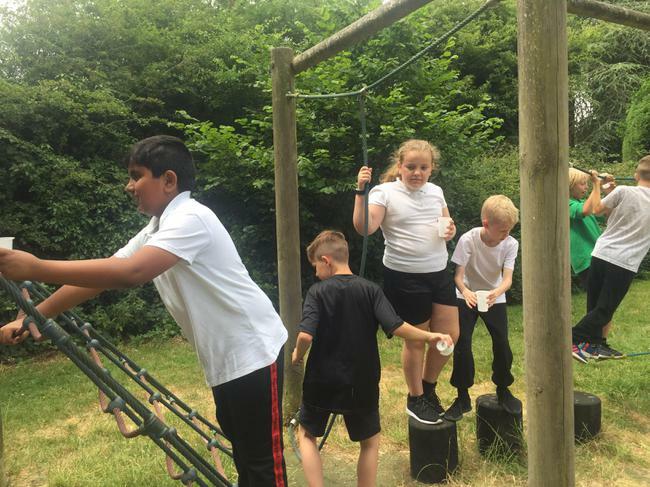 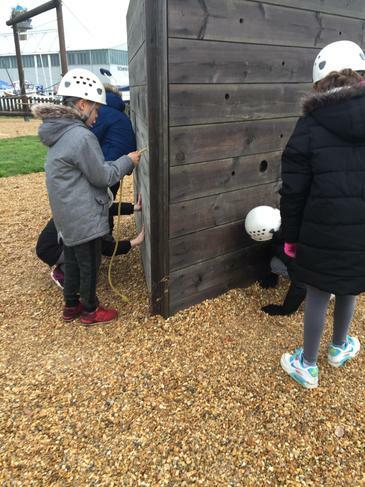 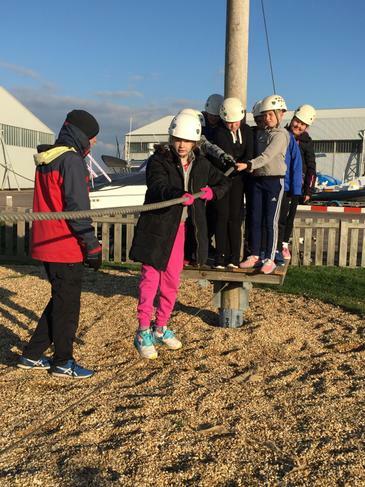 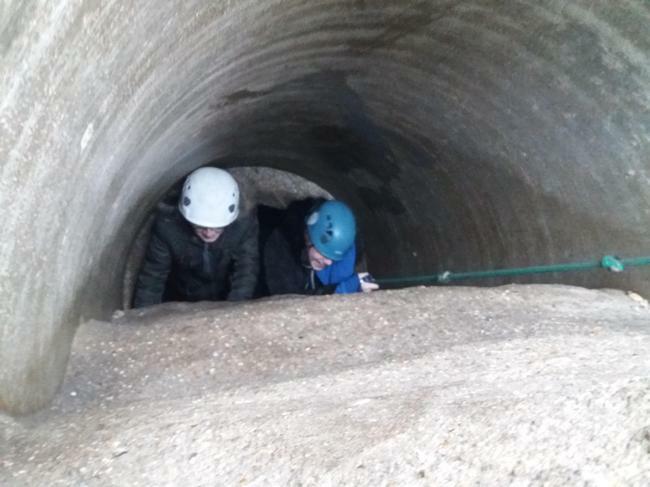 During day three, pupils have continued to try a range of activities to test their communication skills, team building and to challenge and test their limits. 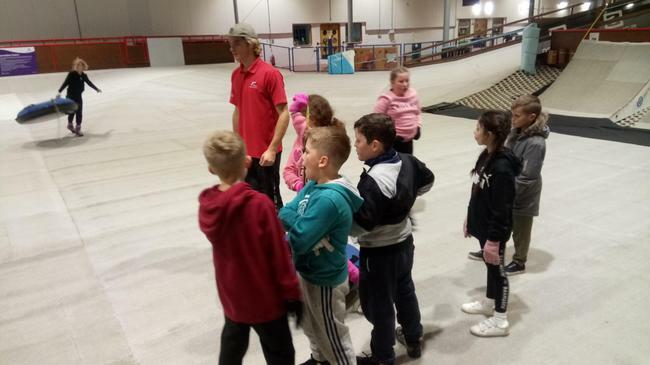 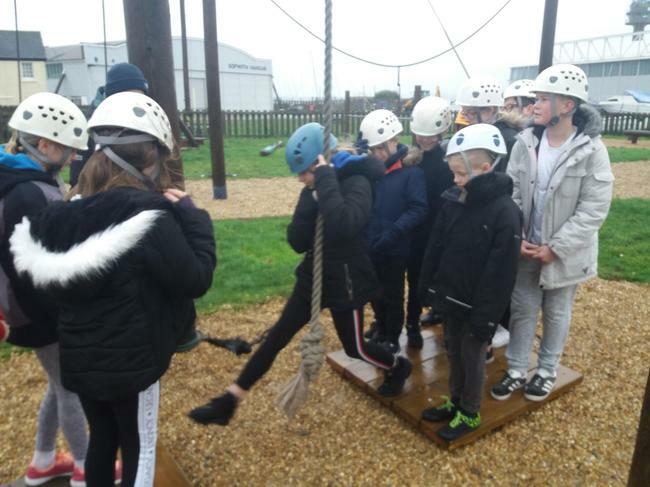 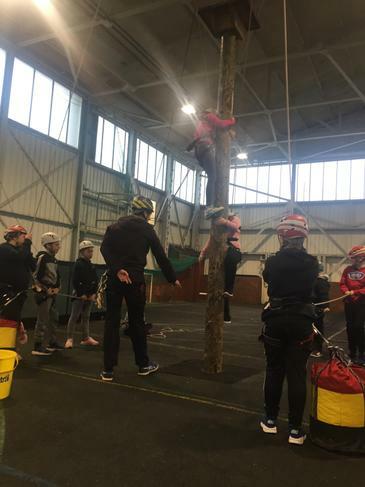 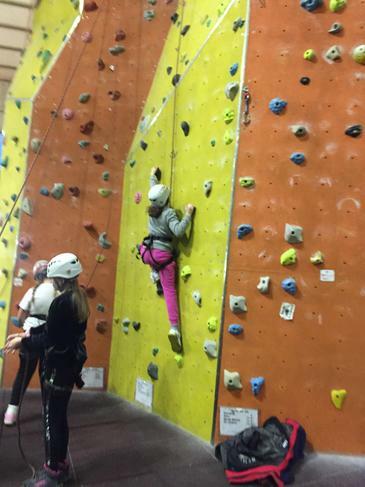 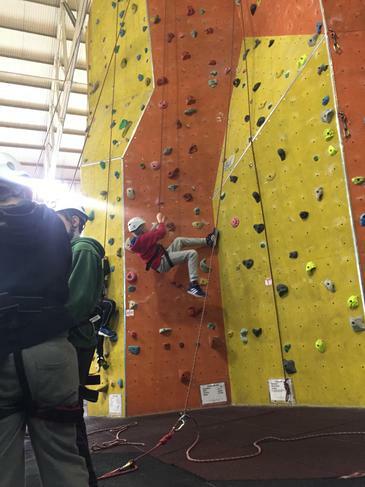 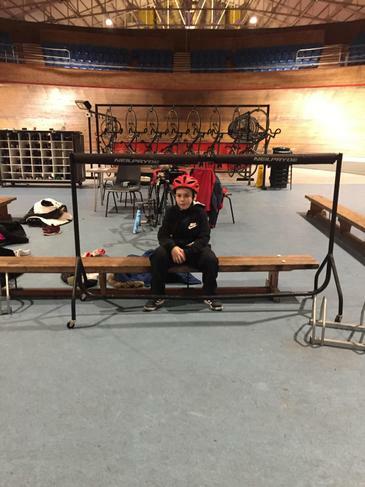 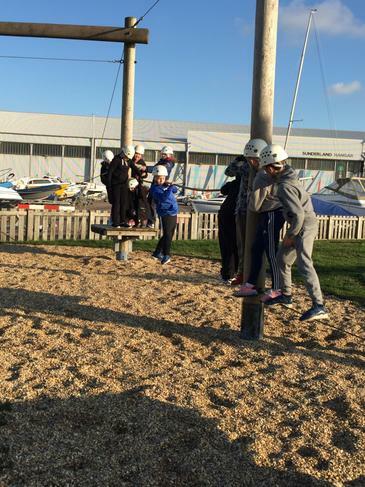 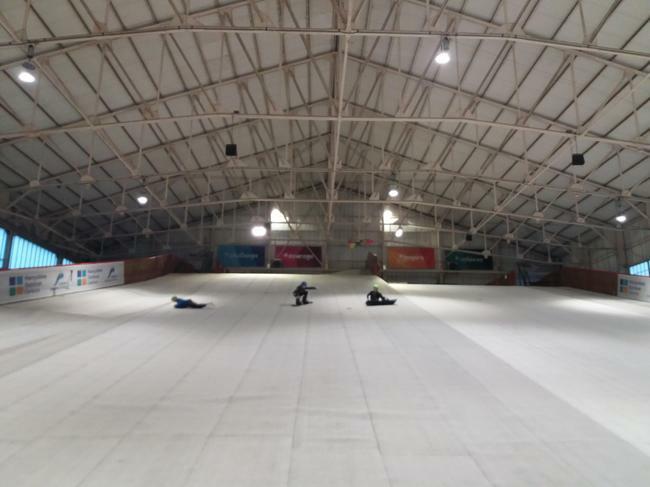 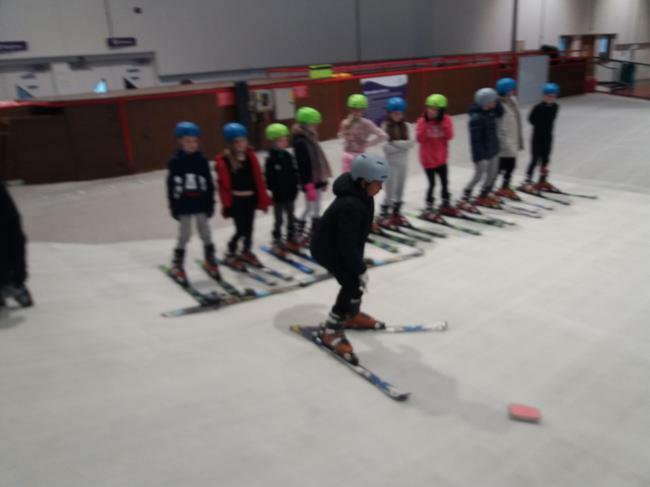 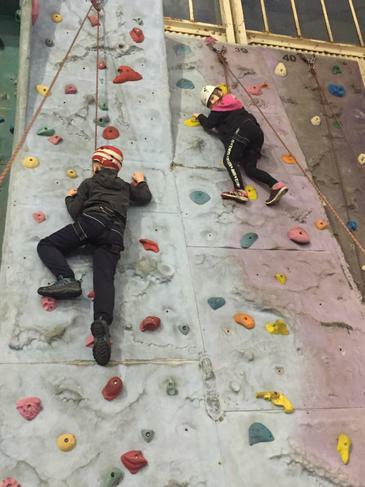 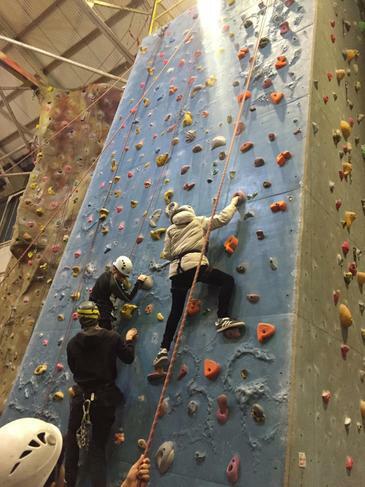 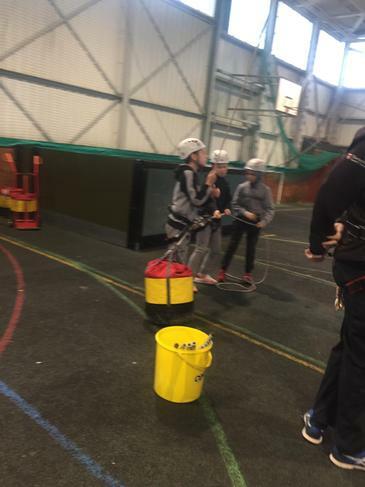 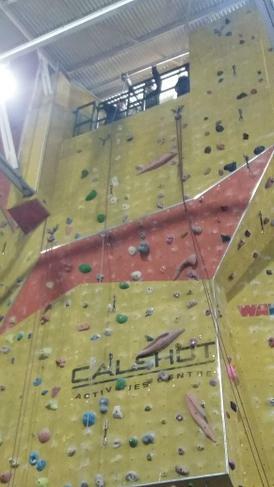 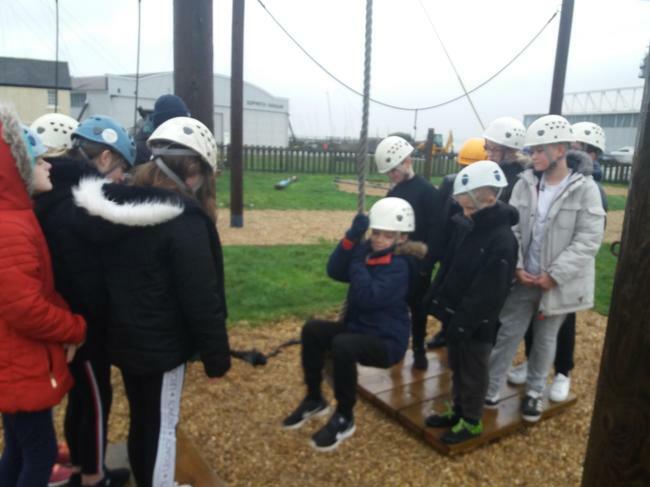 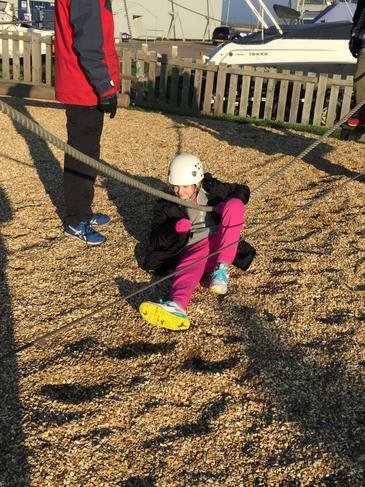 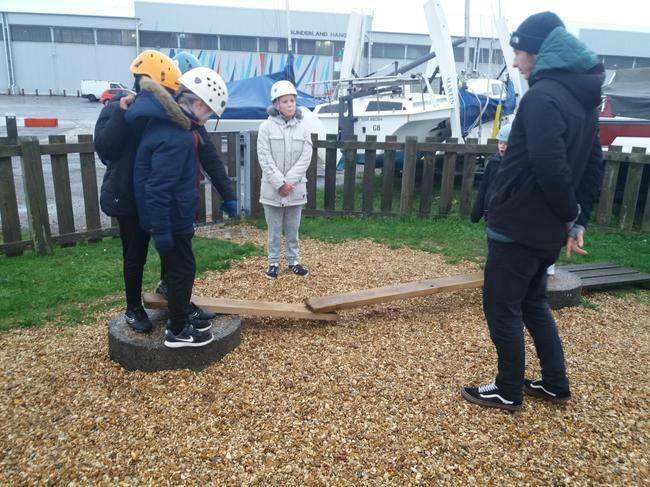 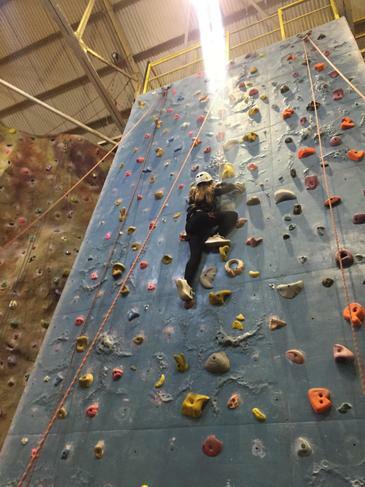 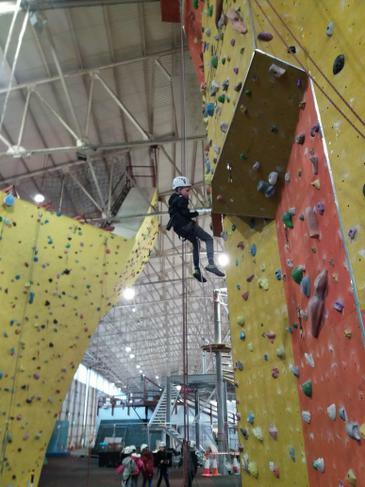 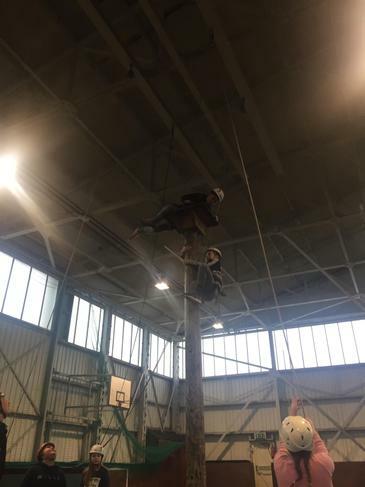 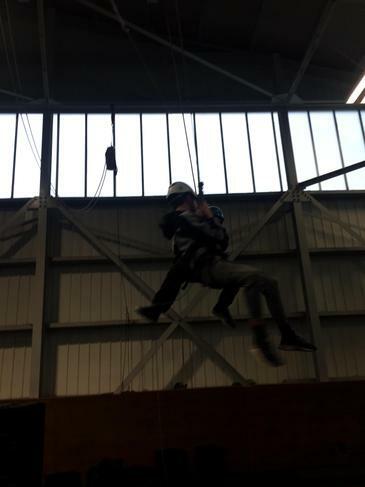 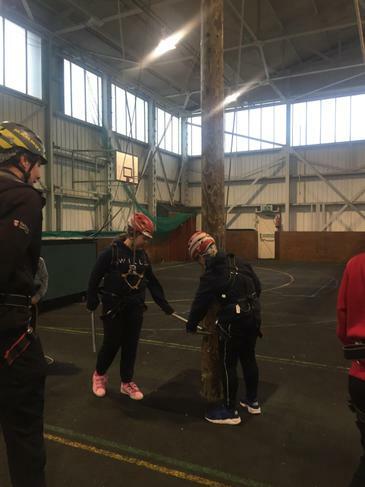 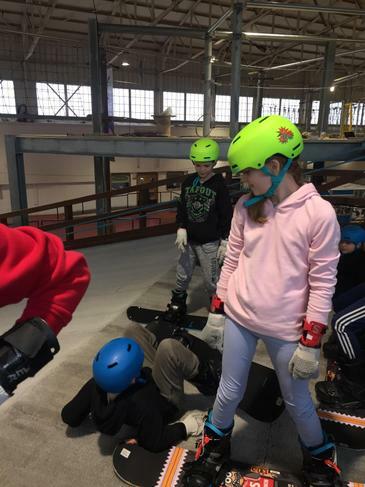 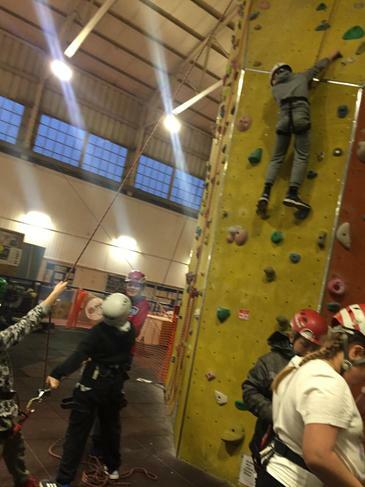 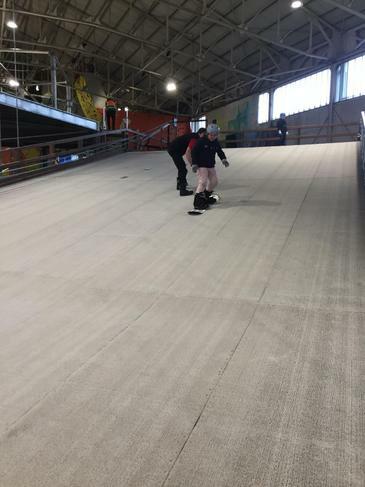 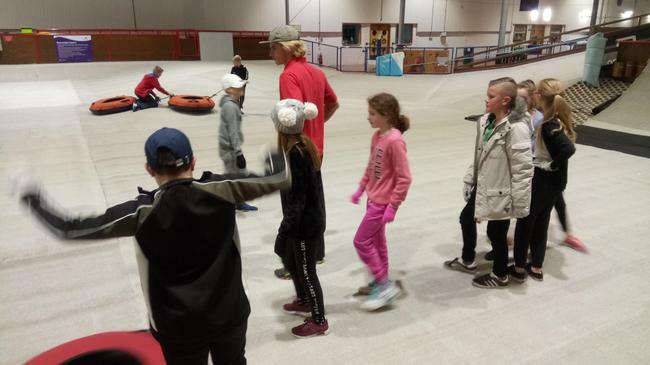 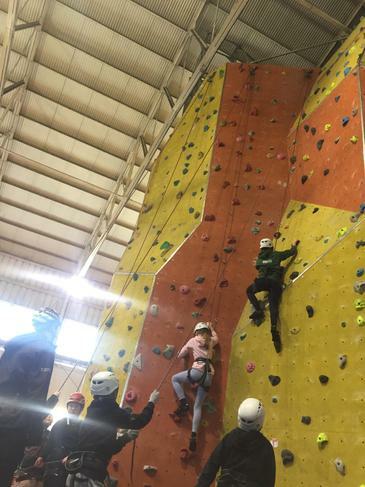 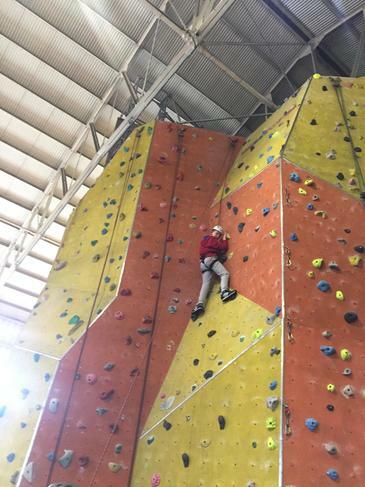 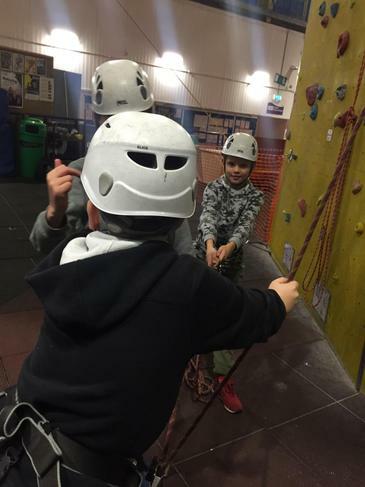 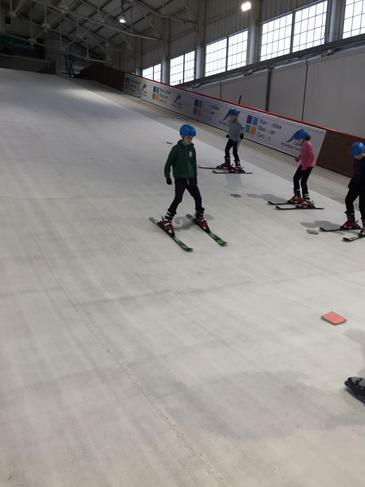 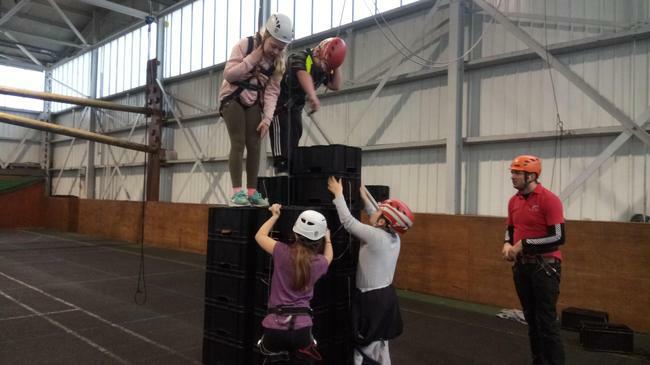 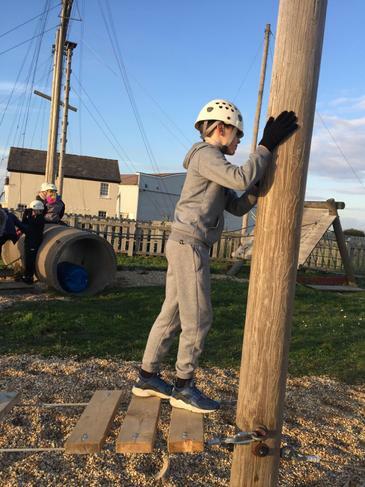 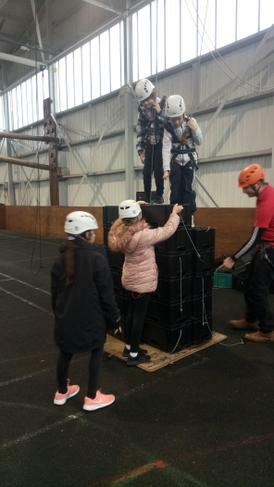 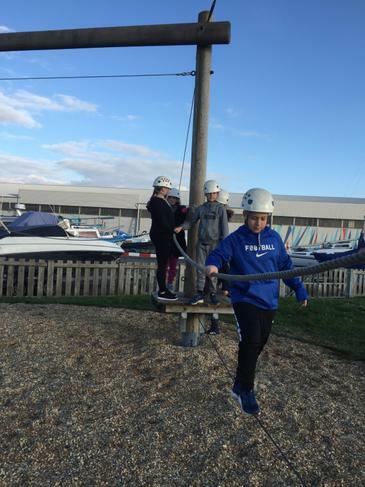 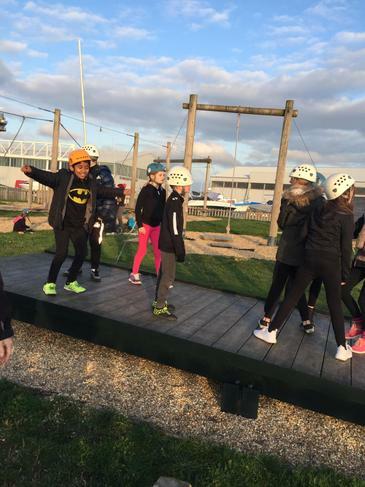 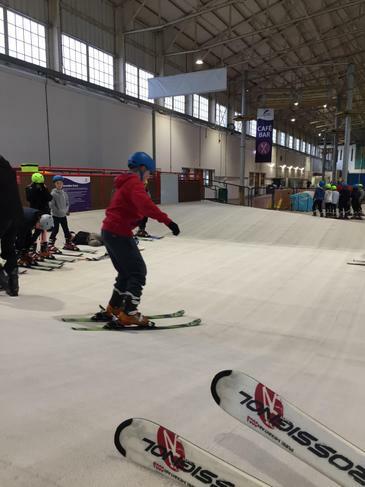 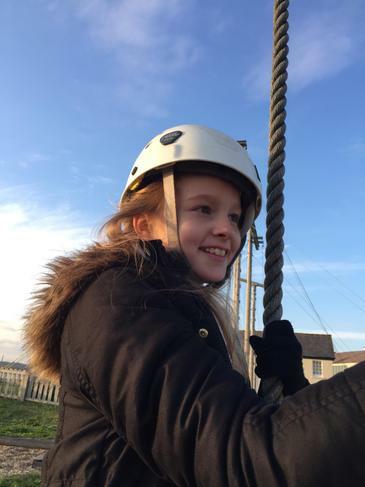 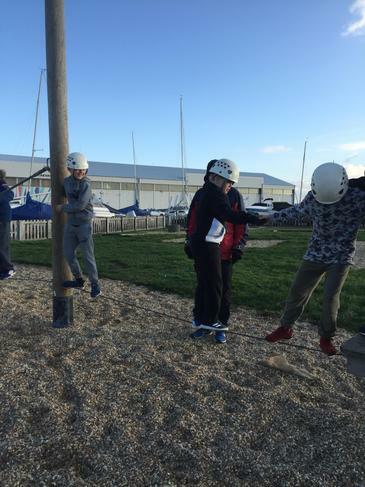 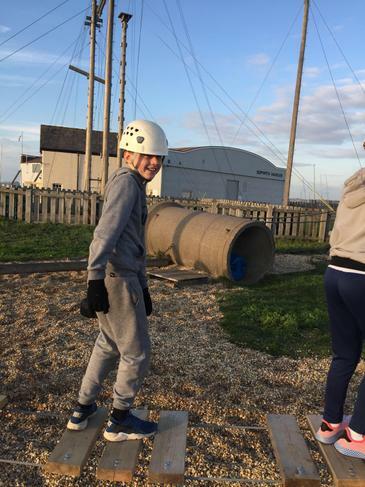 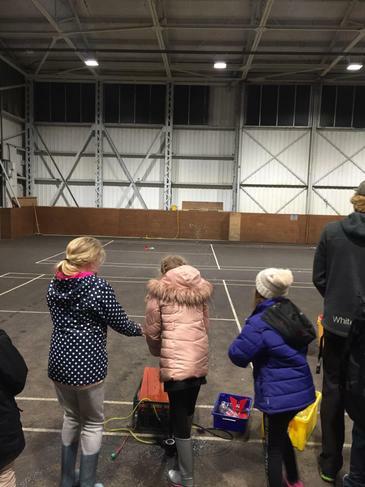 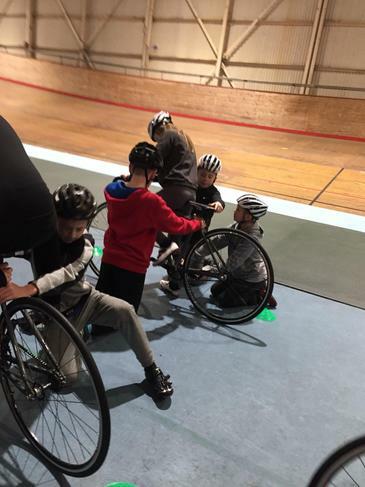 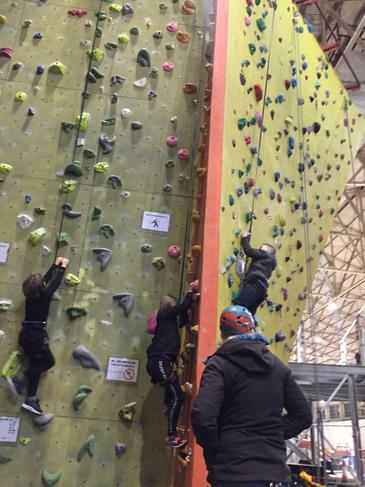 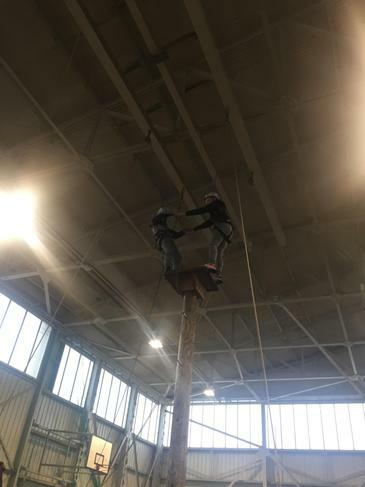 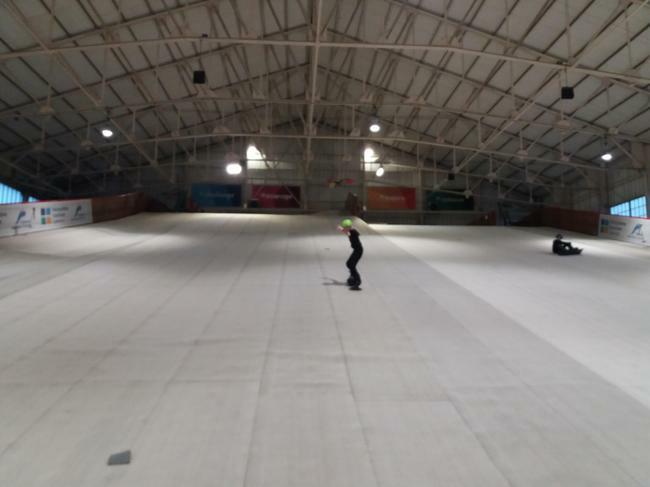 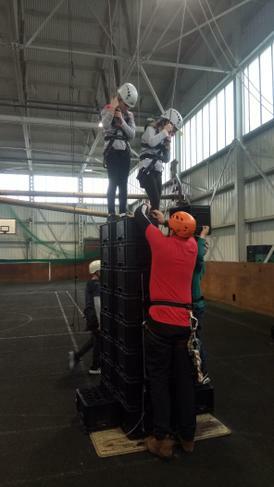 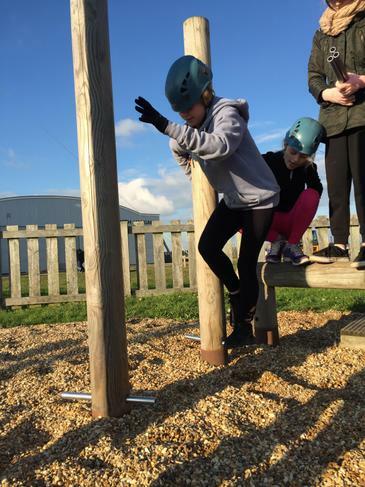 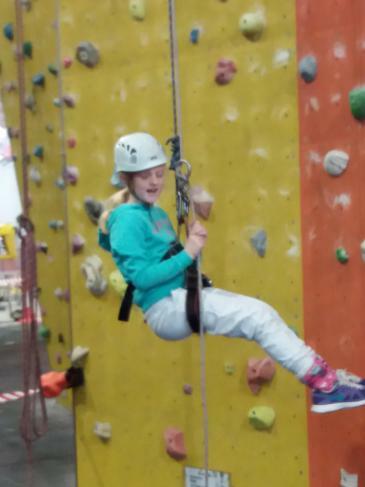 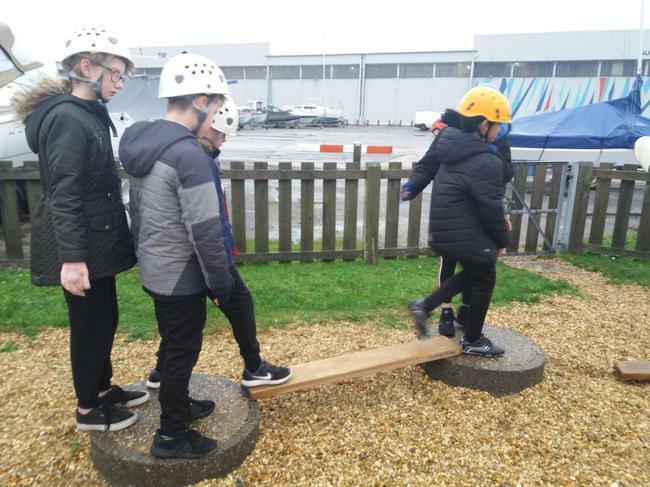 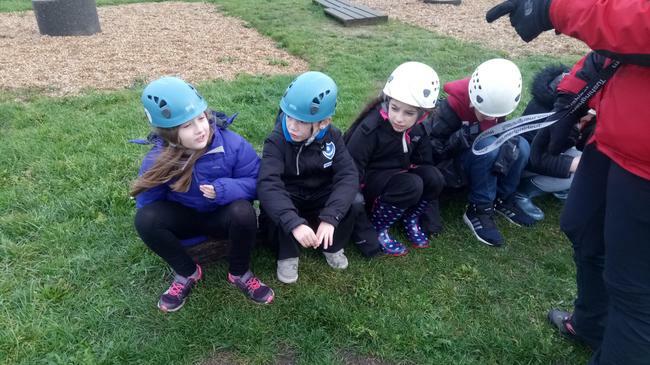 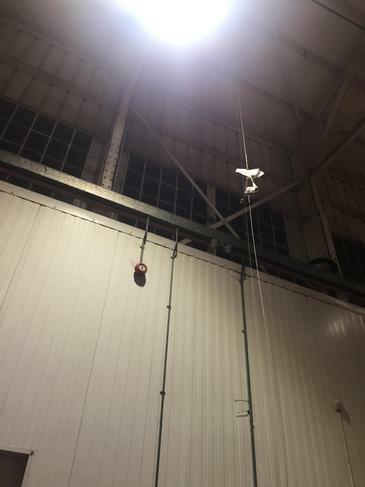 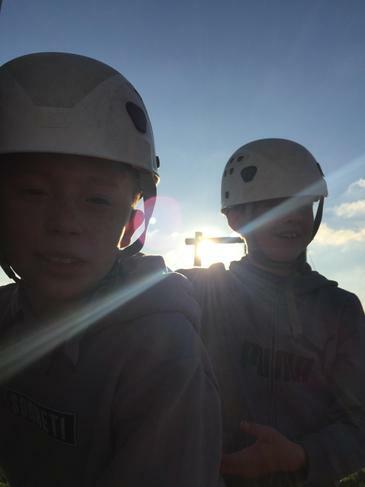 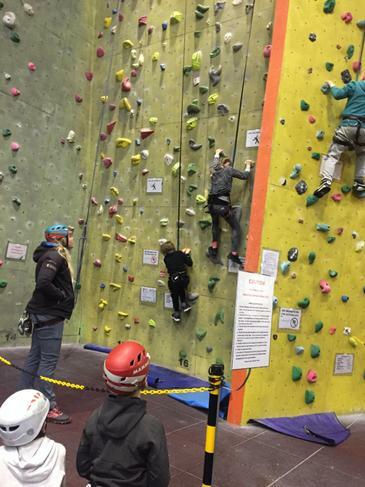 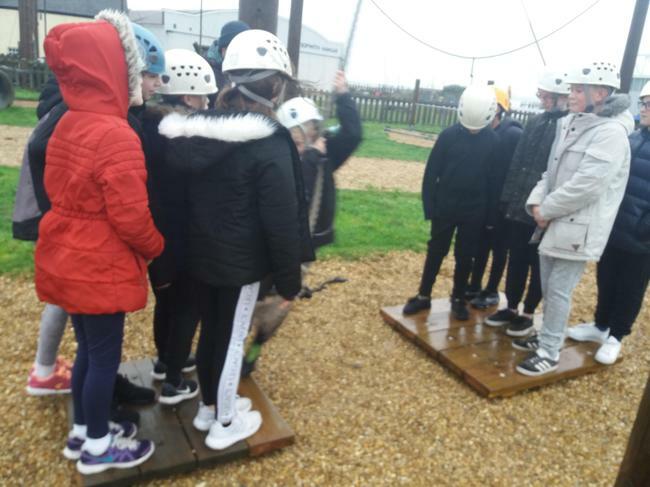 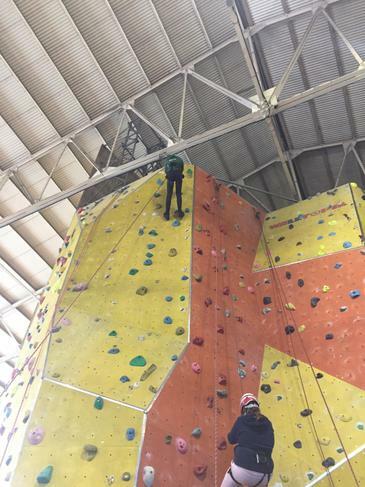 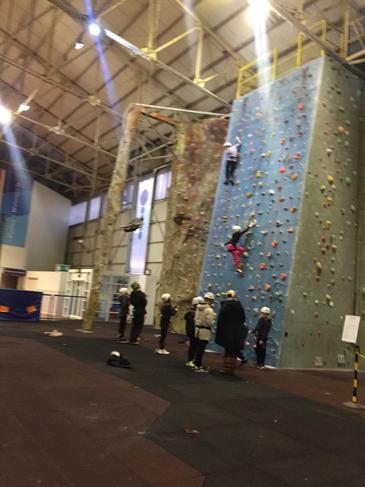 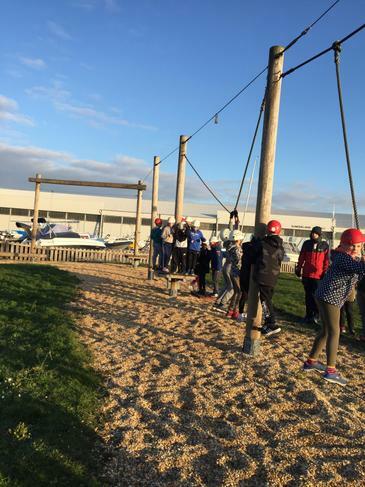 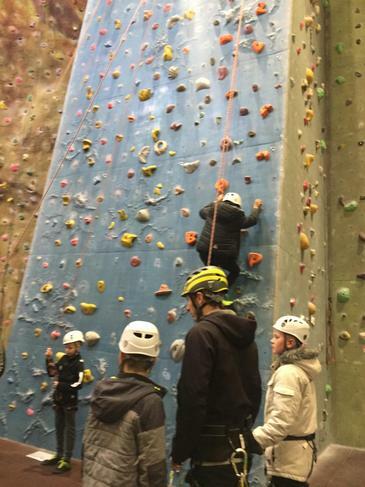 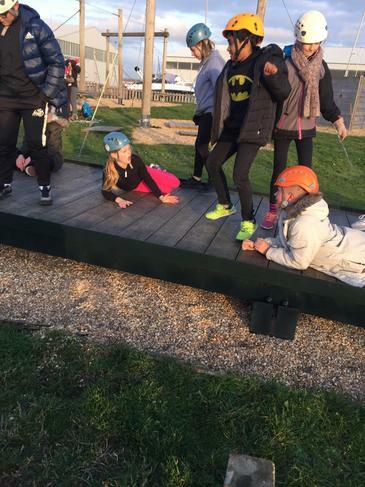 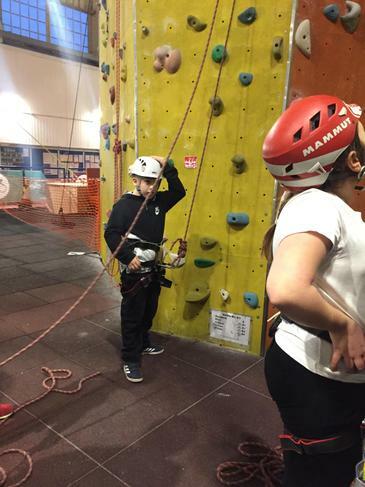 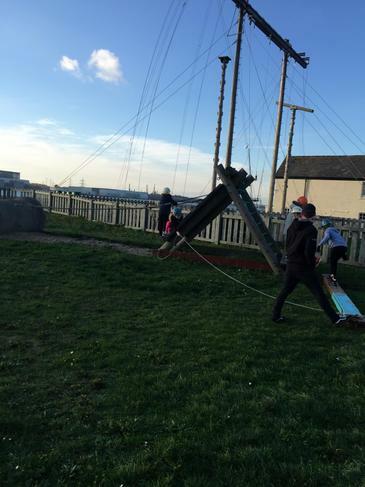 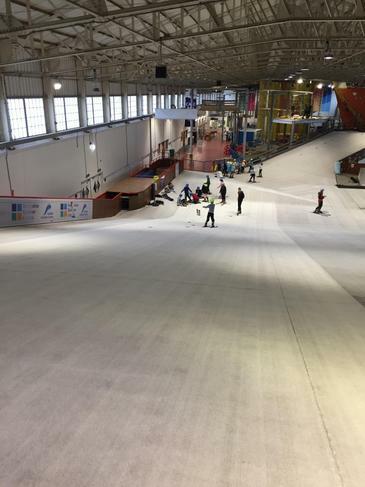 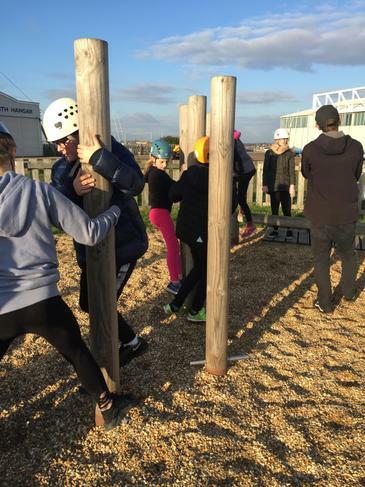 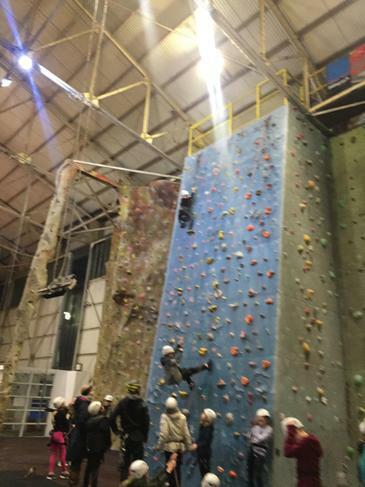 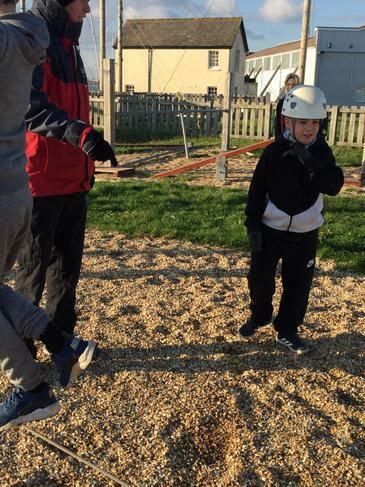 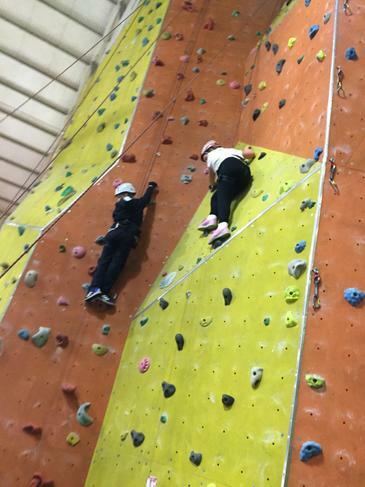 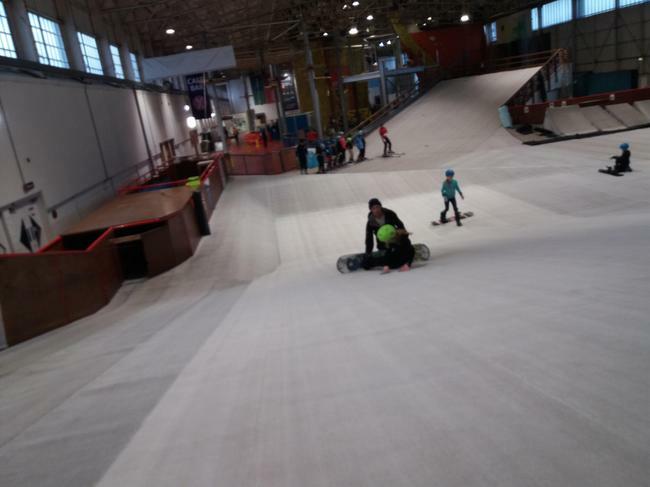 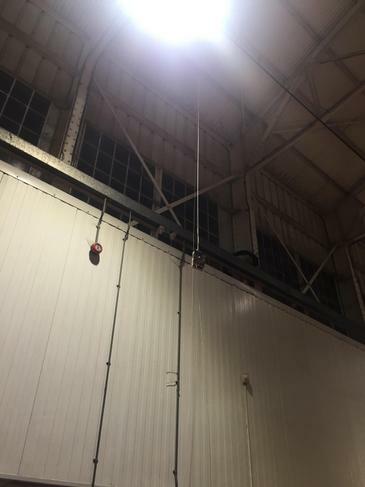 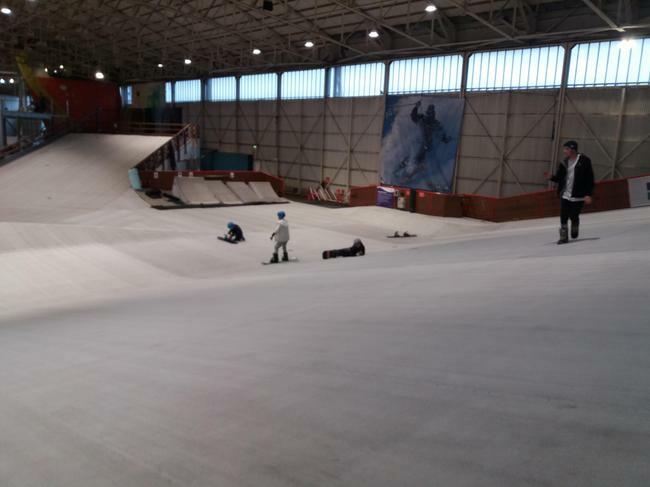 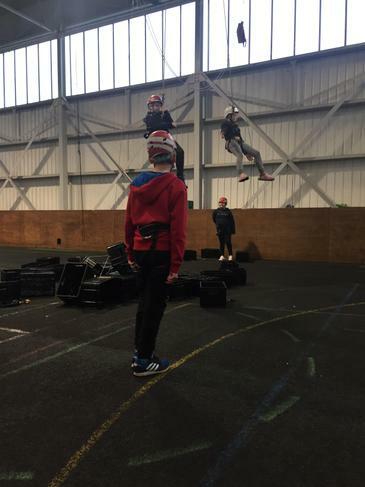 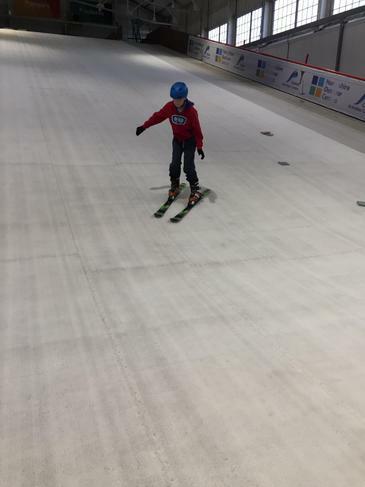 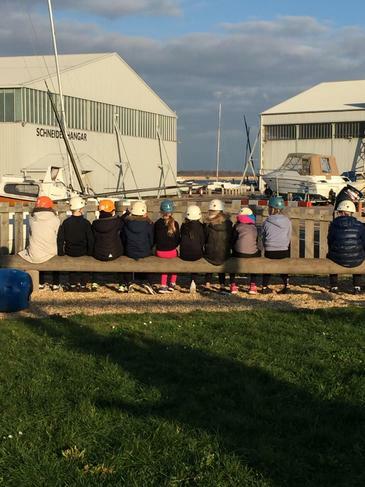 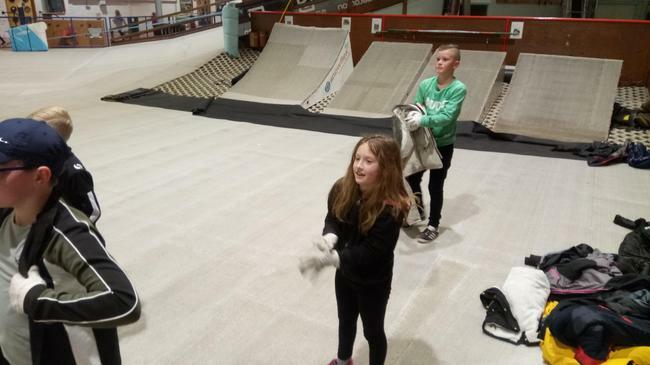 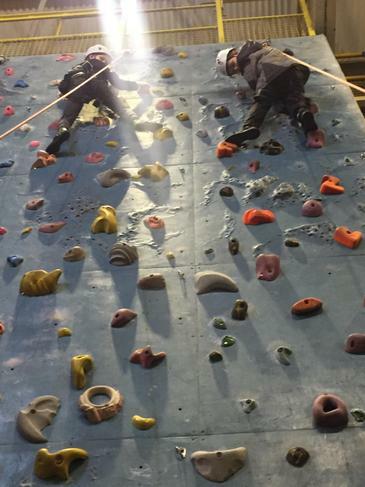 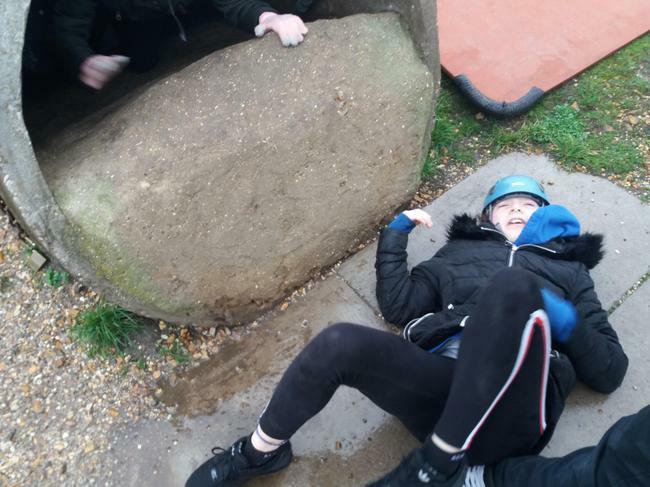 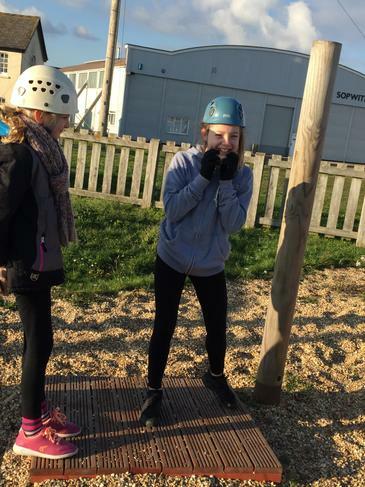 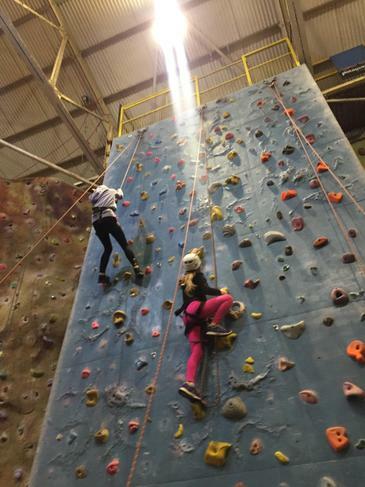 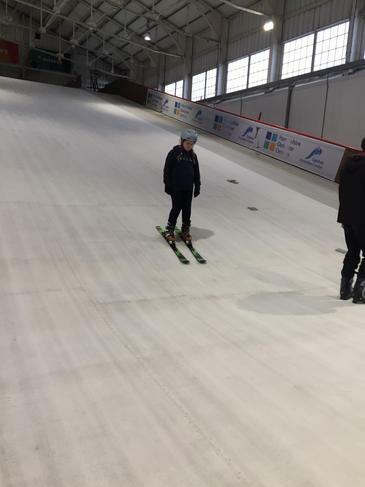 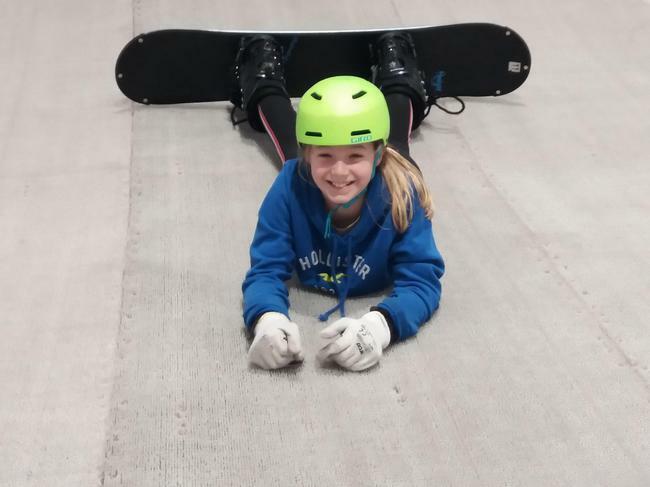 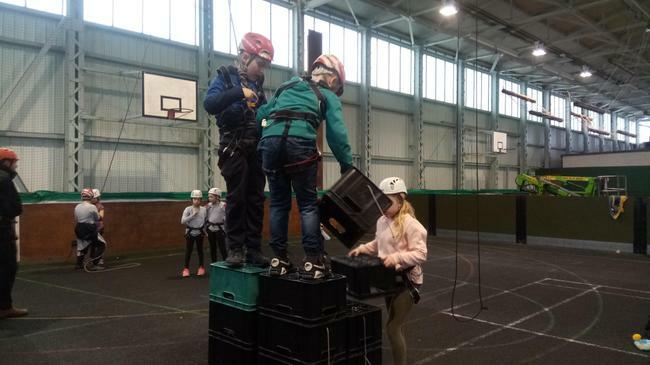 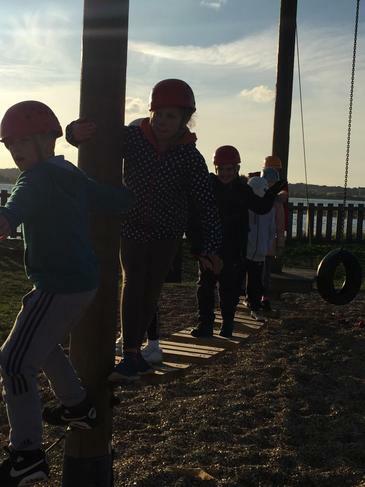 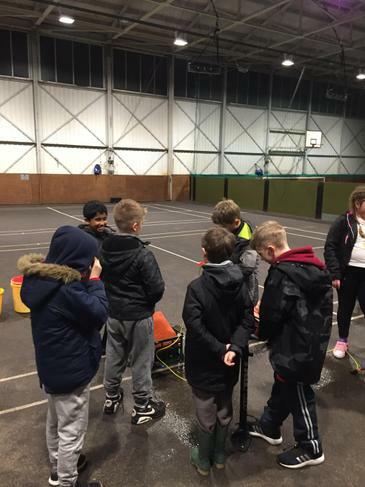 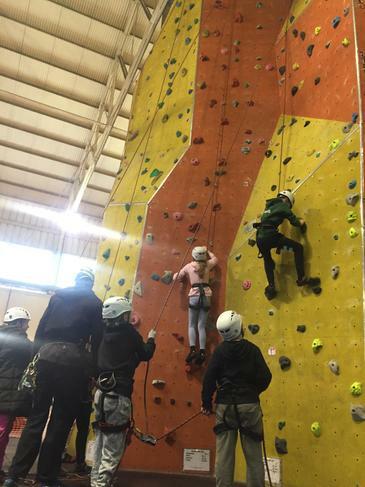 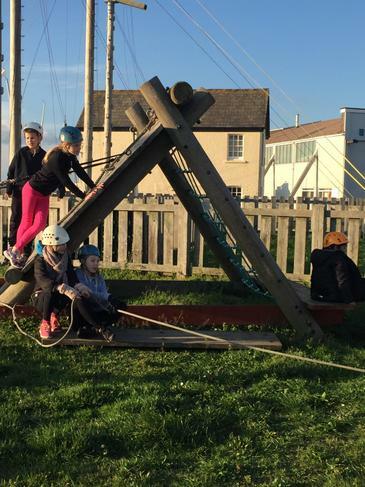 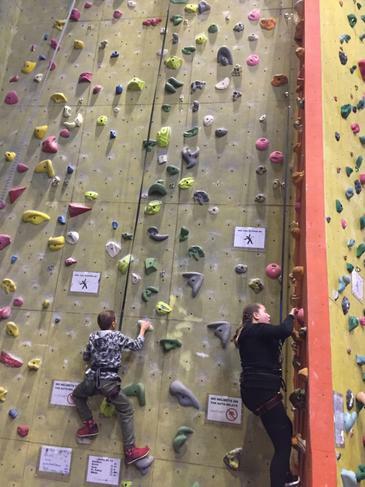 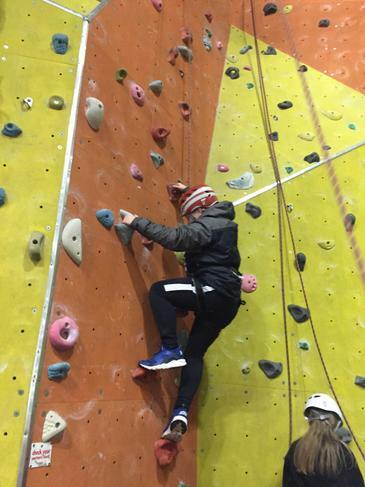 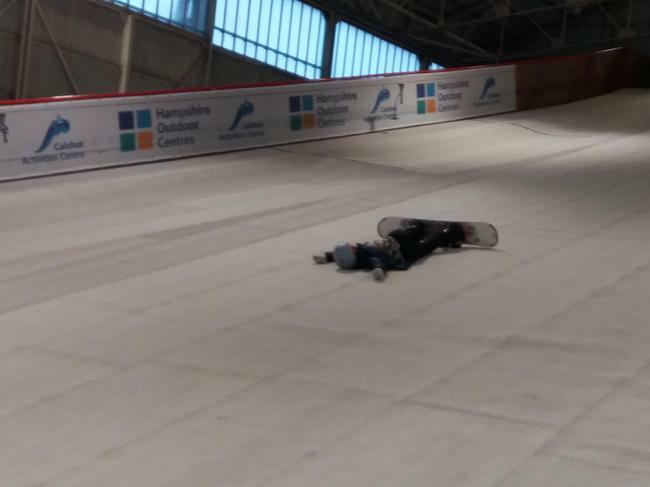 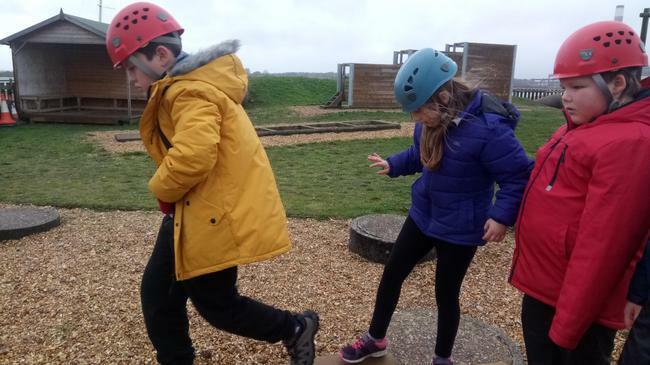 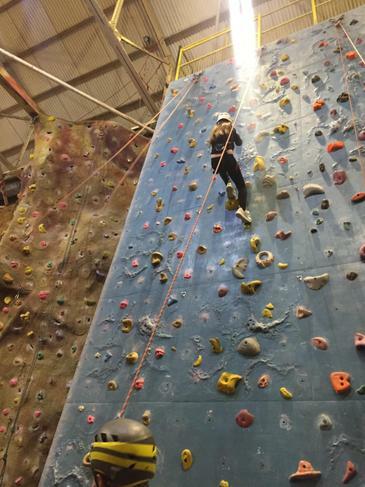 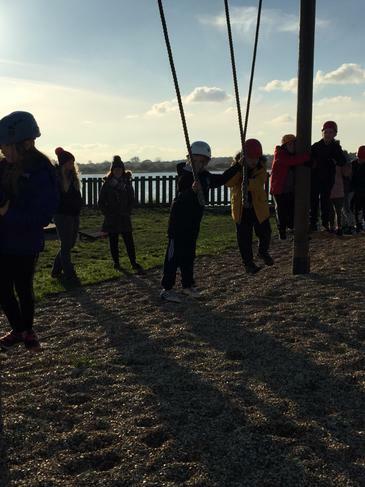 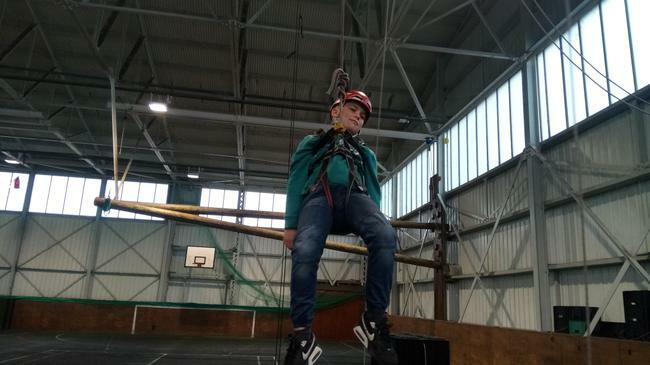 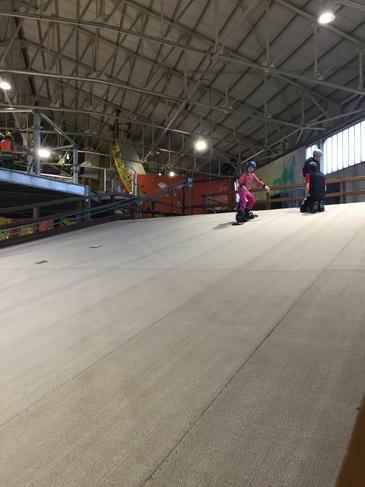 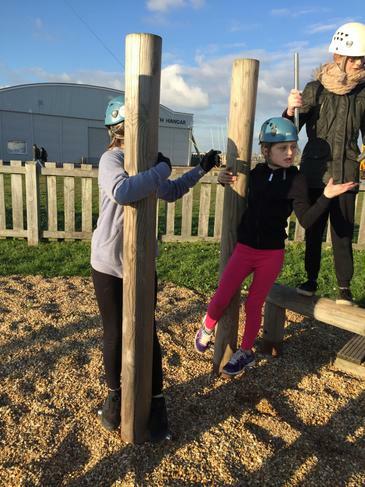 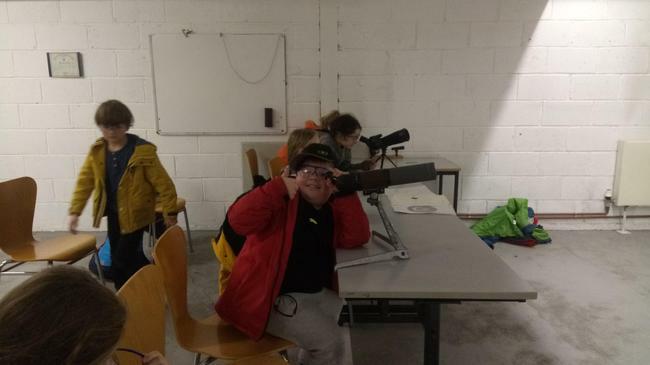 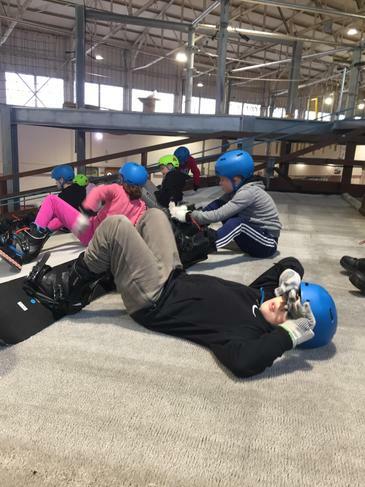 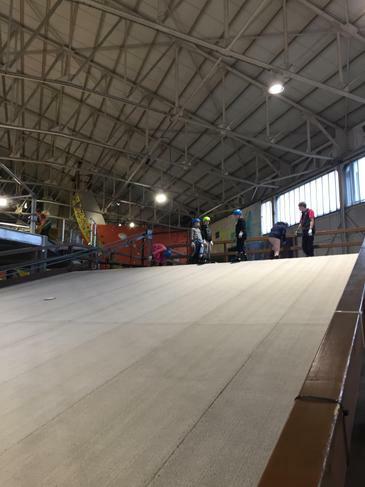 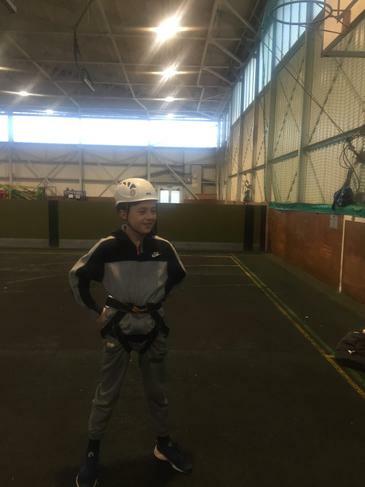 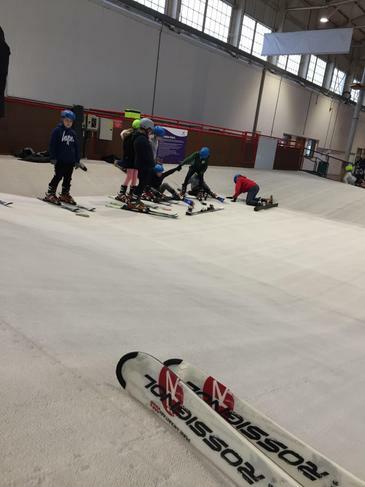 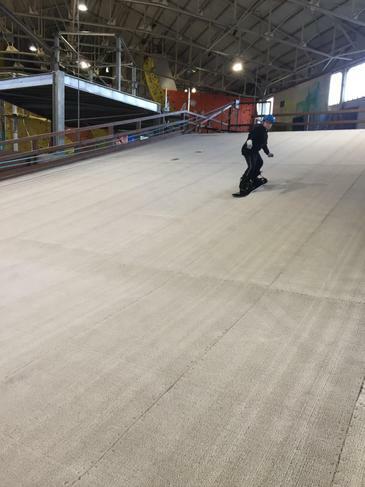 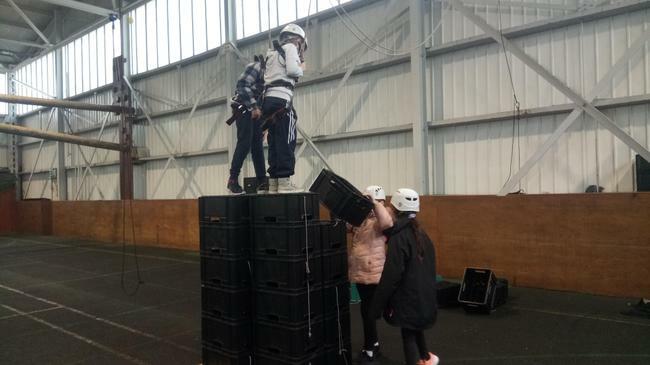 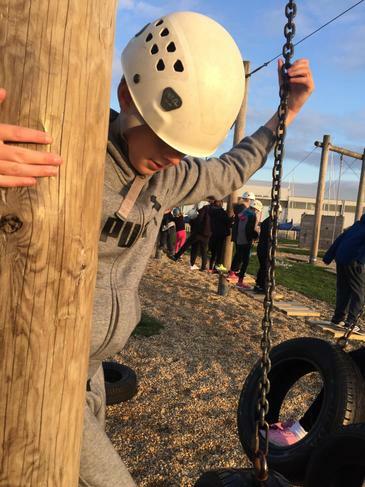 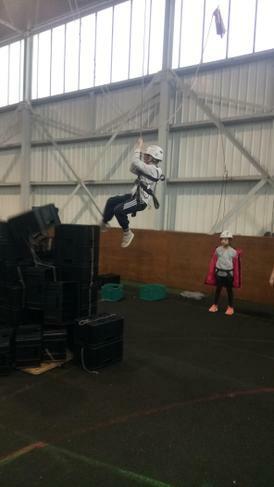 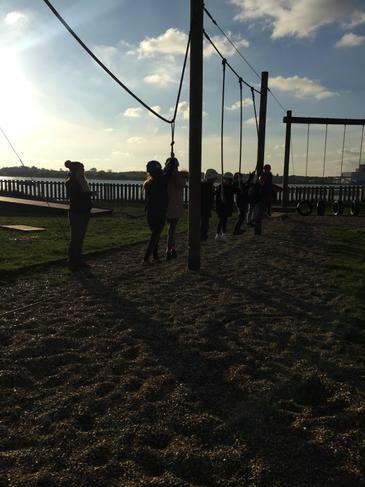 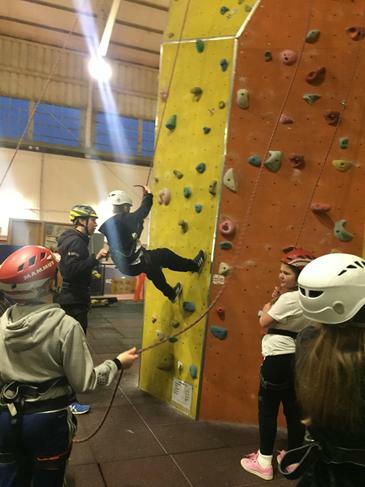 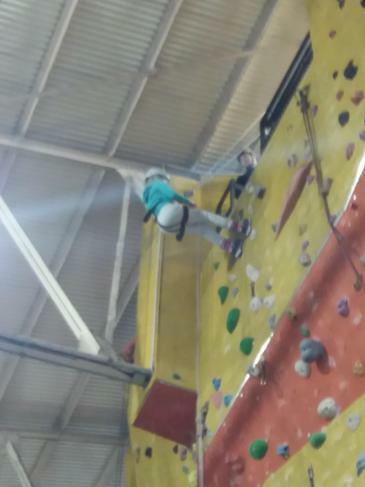 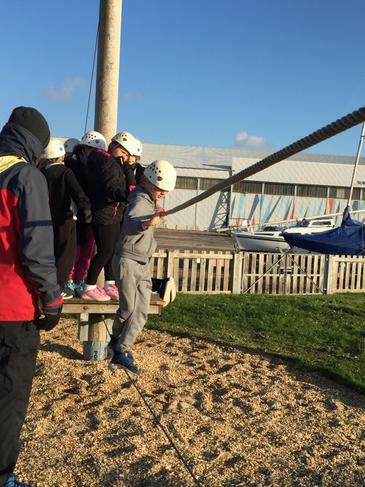 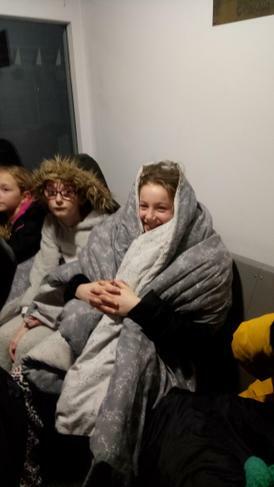 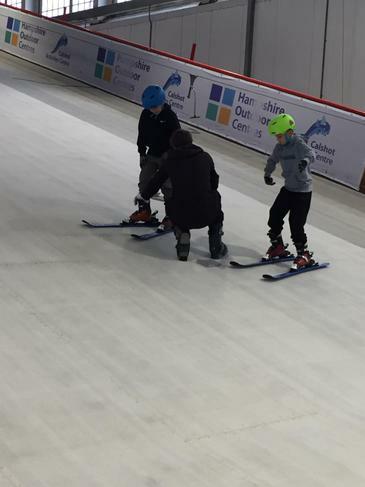 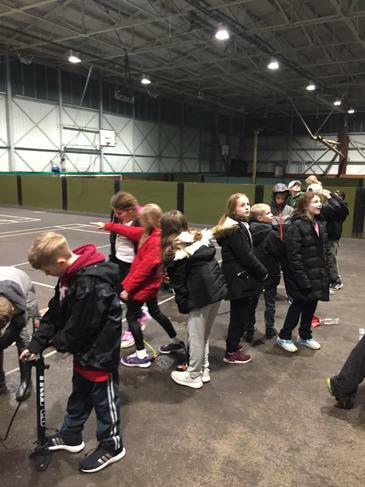 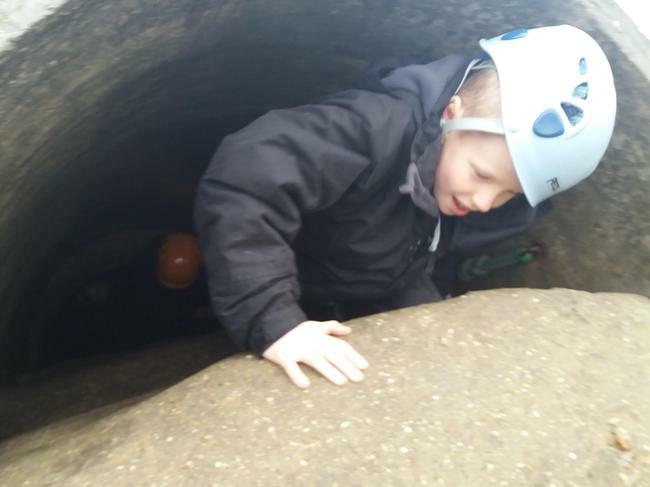 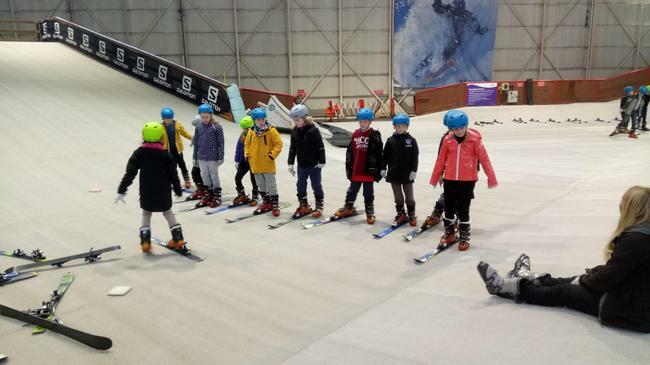 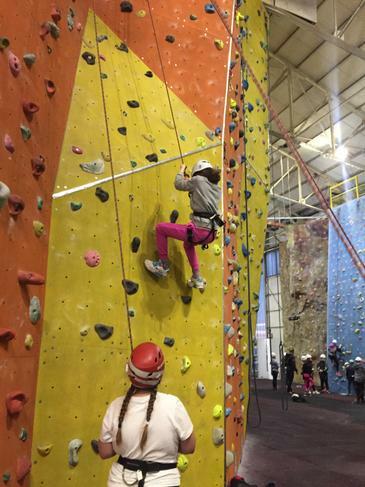 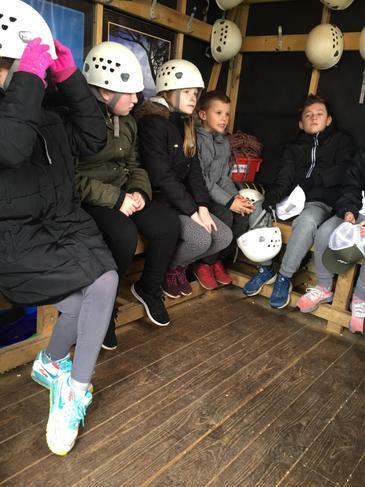 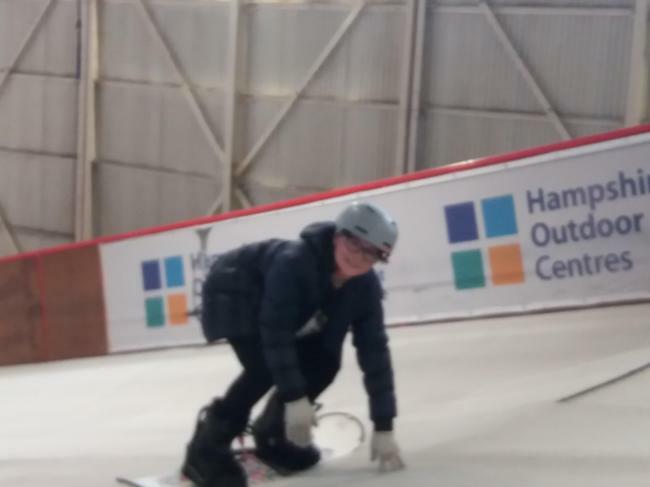 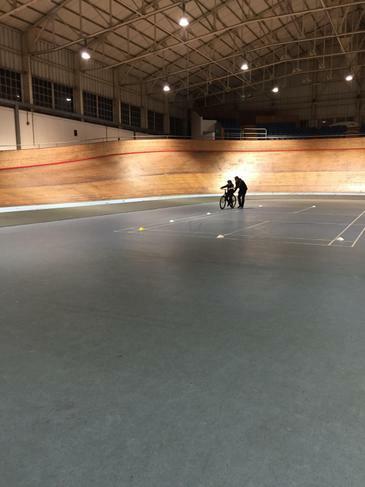 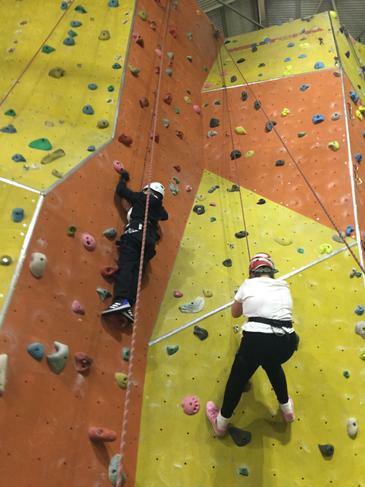 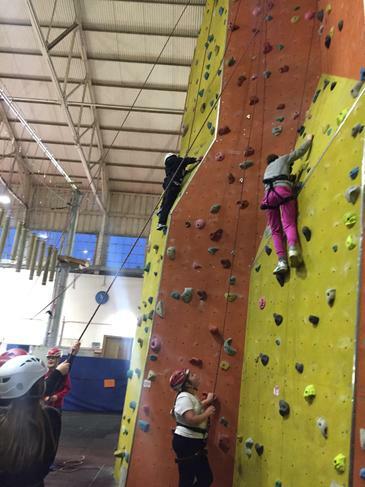 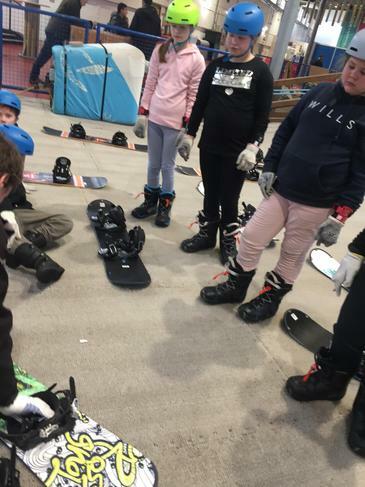 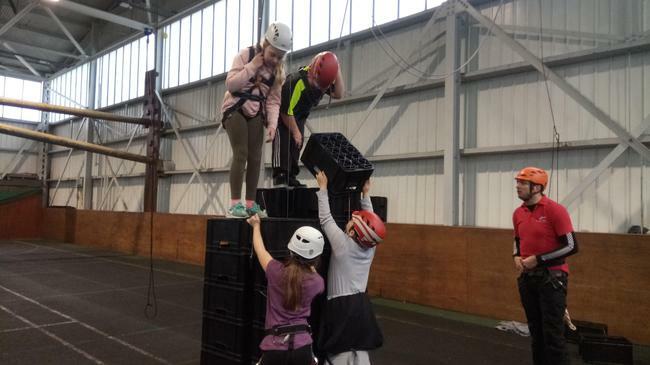 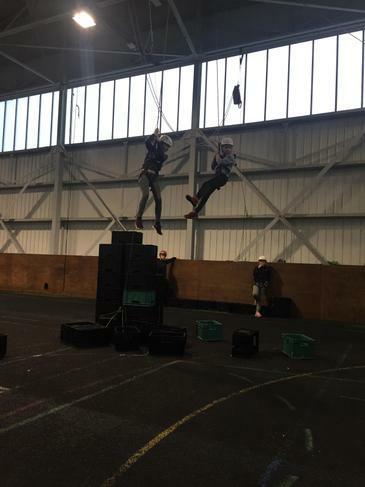 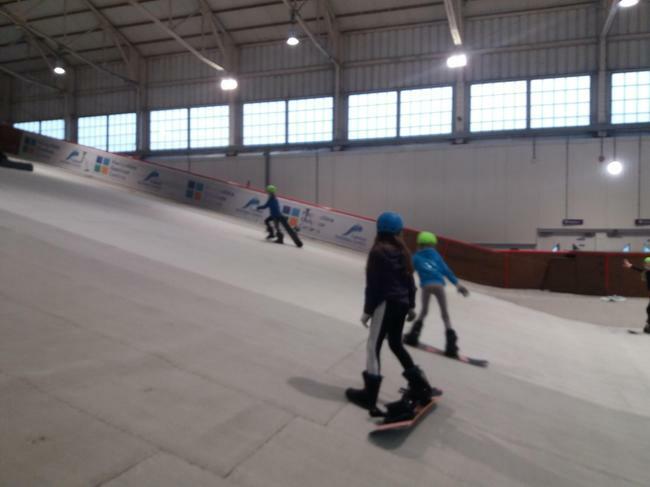 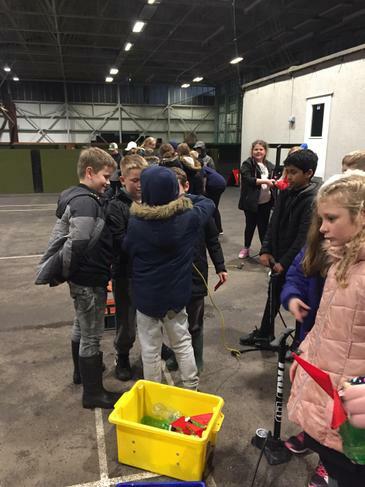 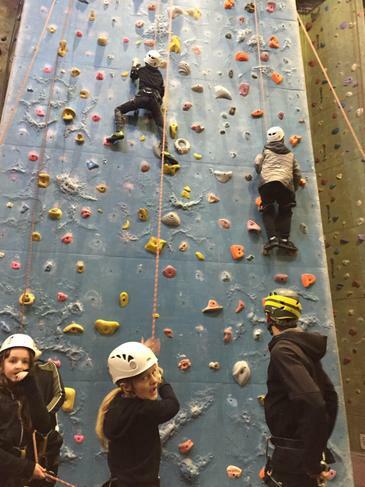 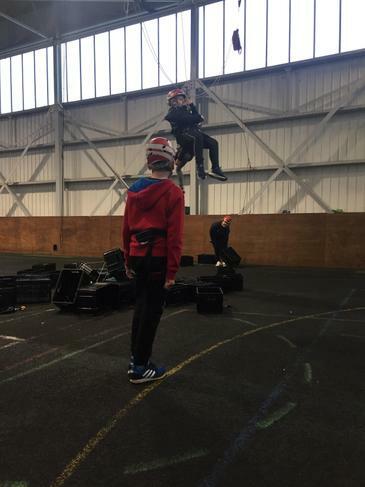 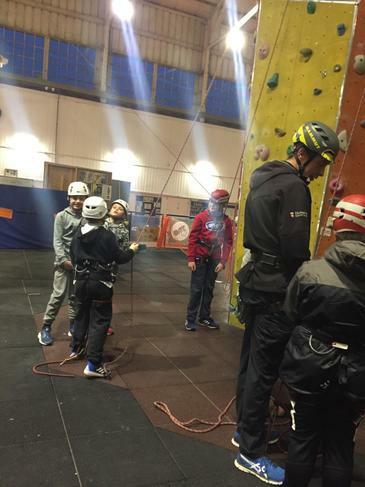 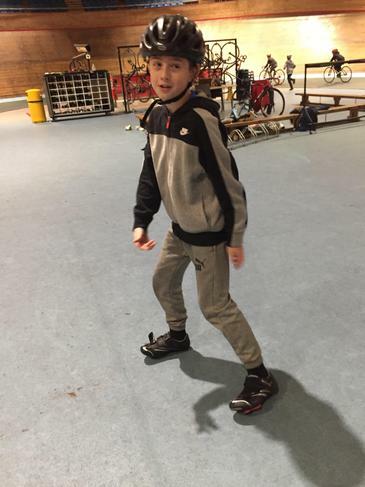 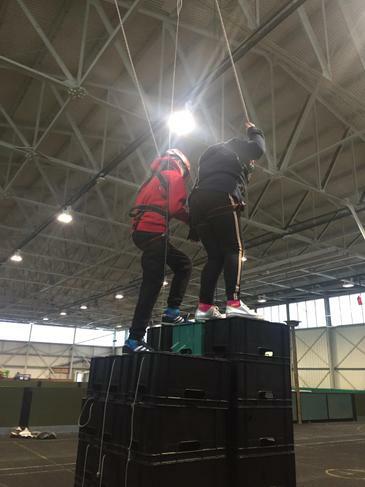 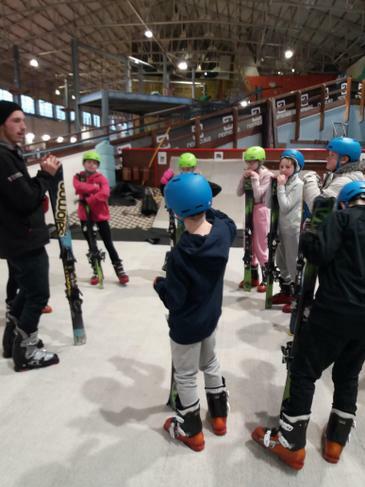 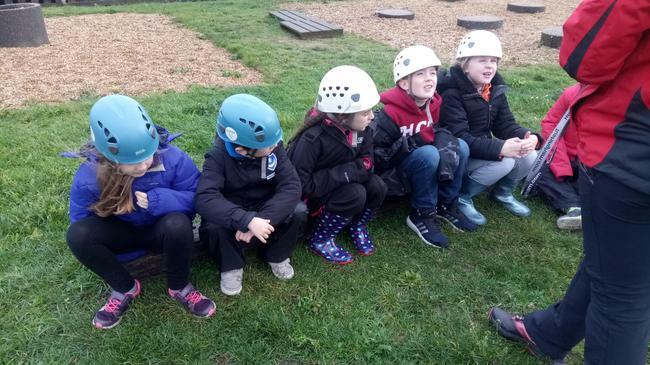 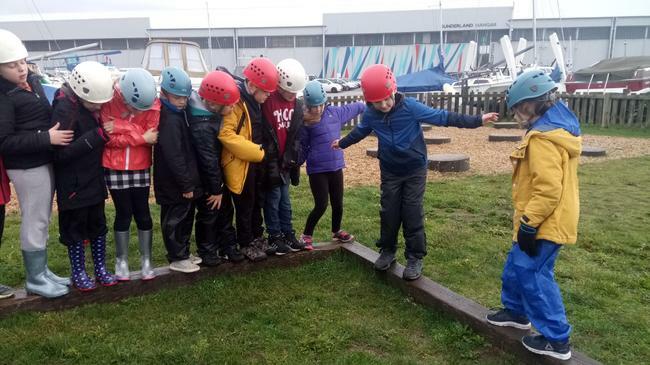 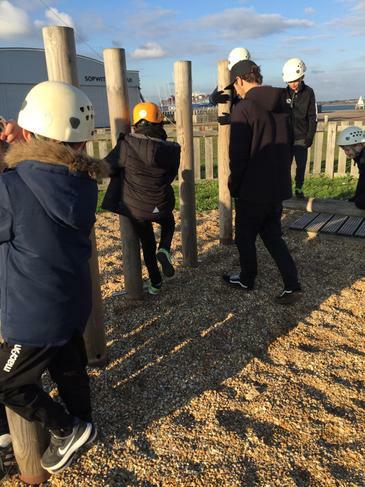 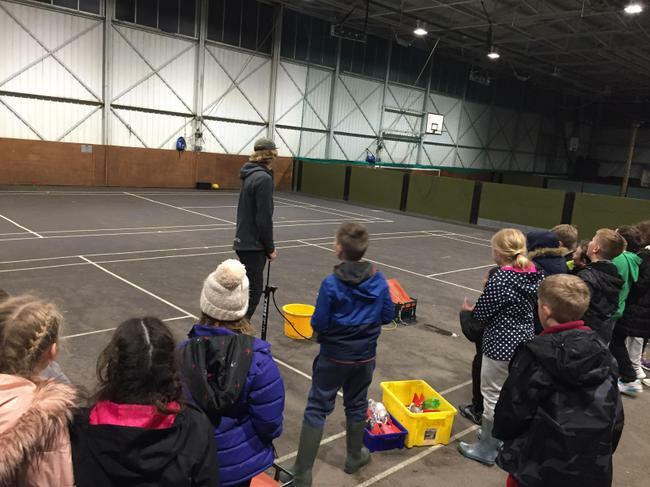 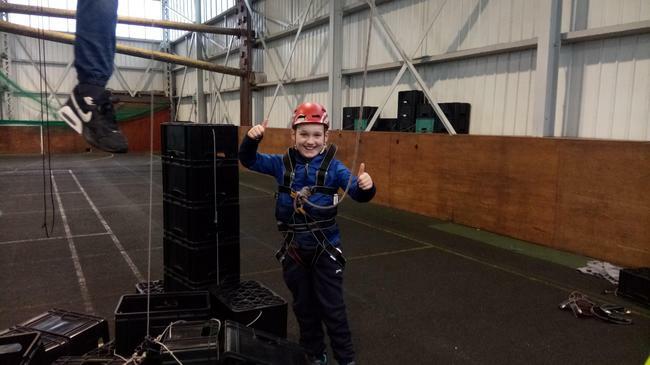 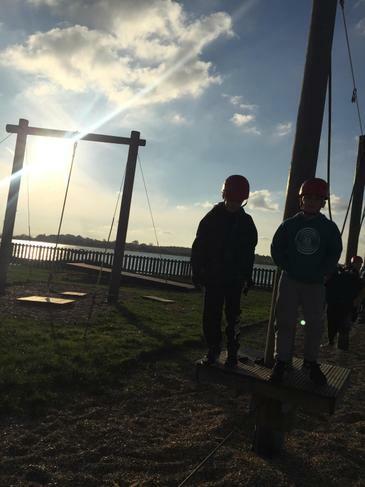 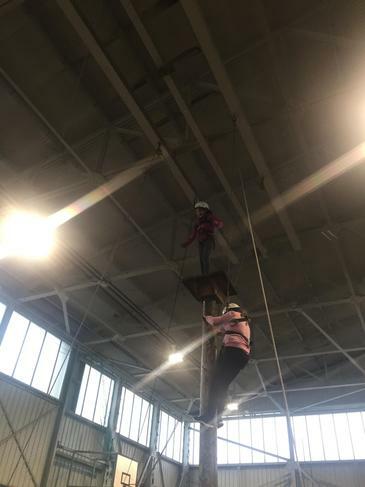 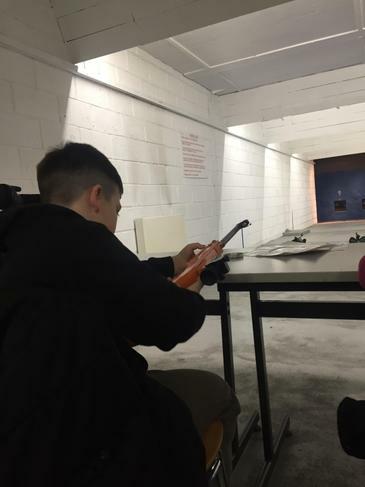 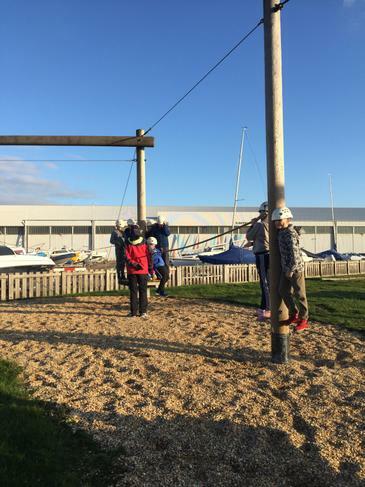 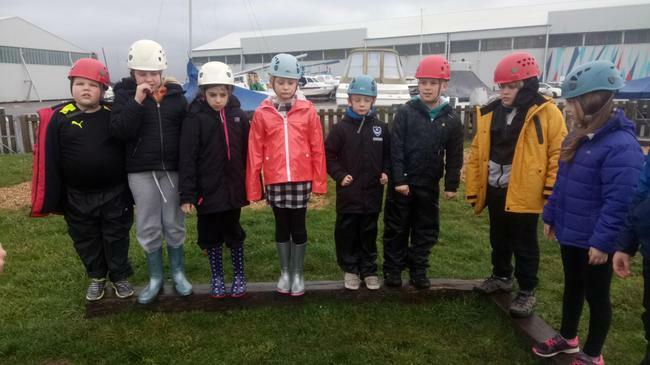 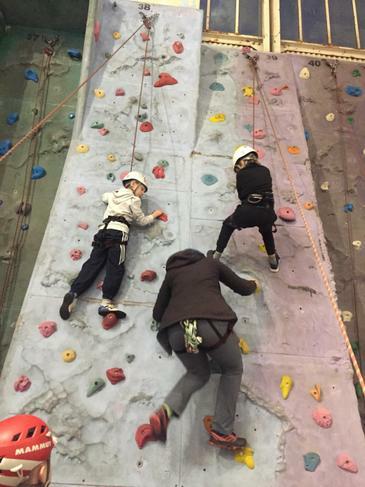 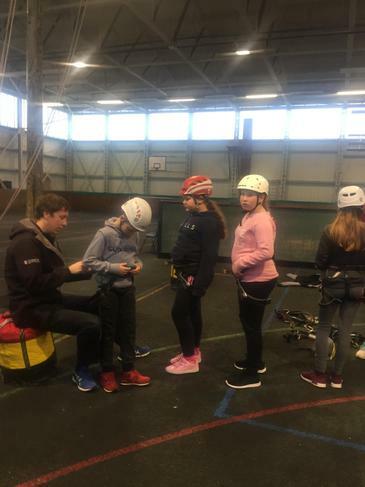 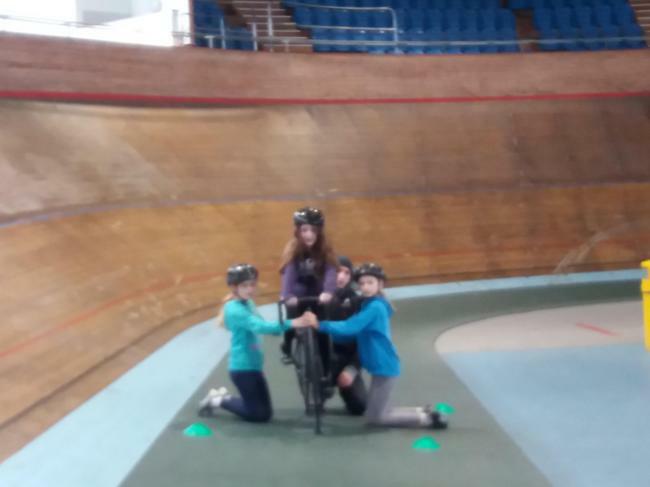 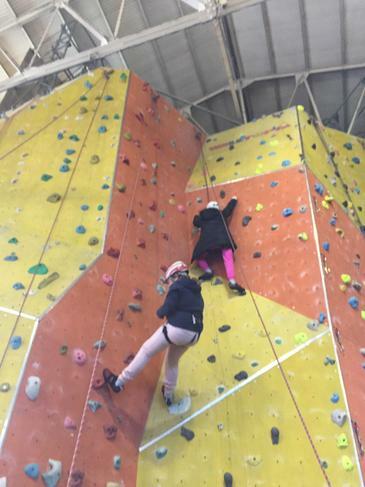 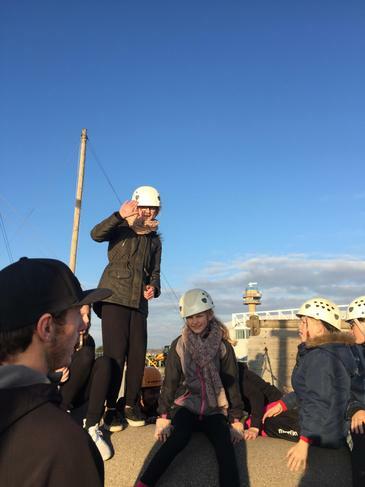 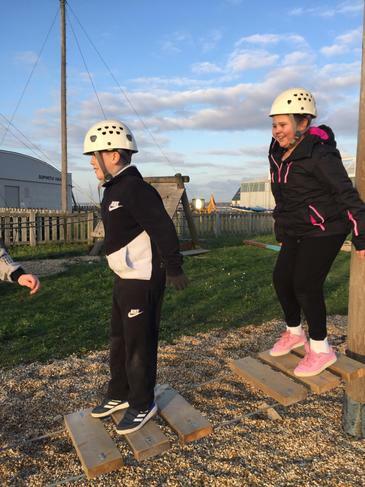 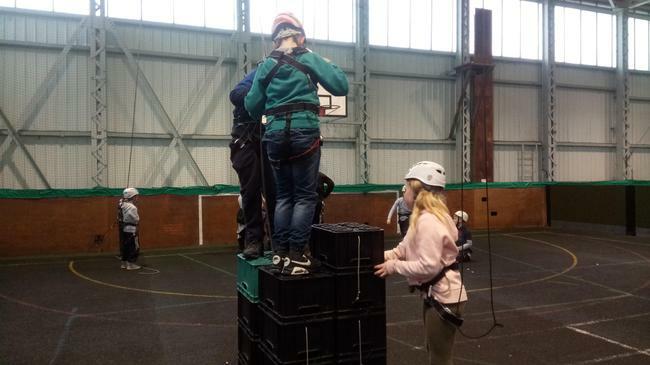 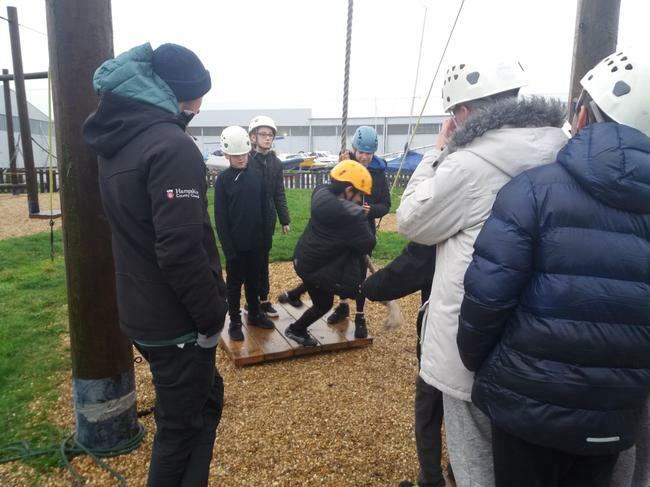 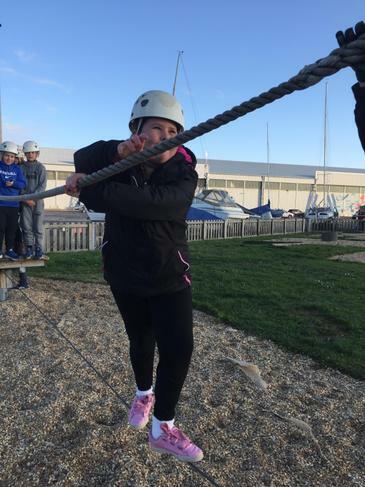 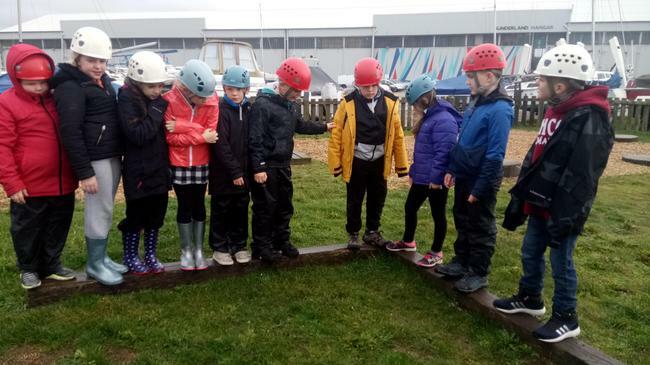 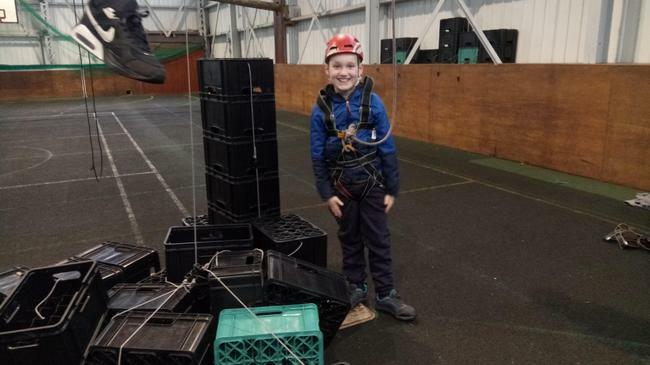 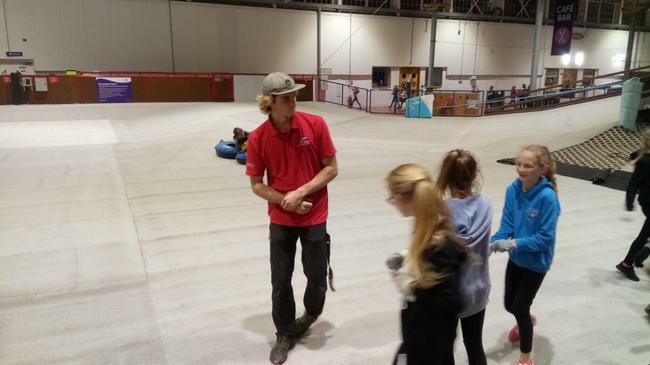 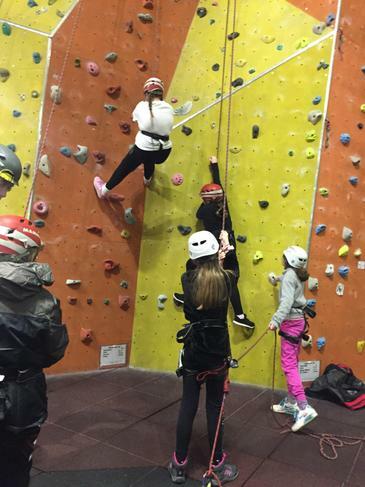 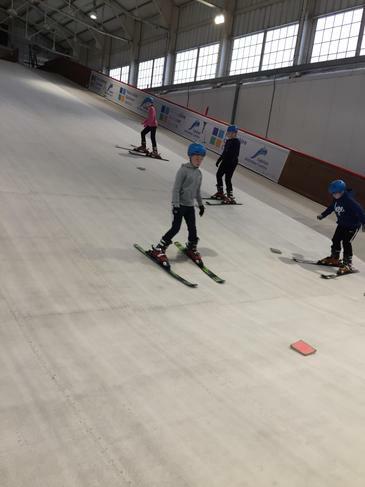 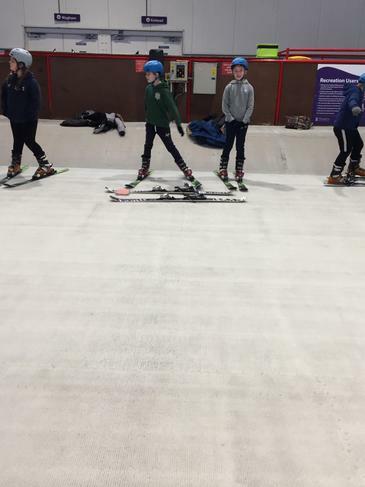 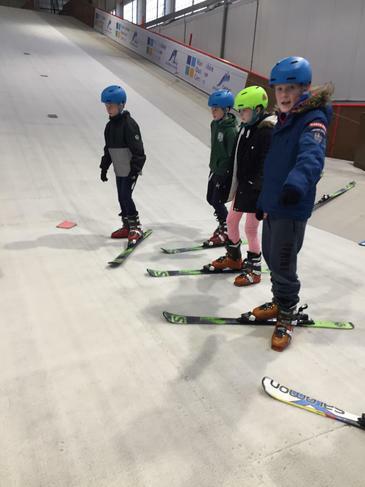 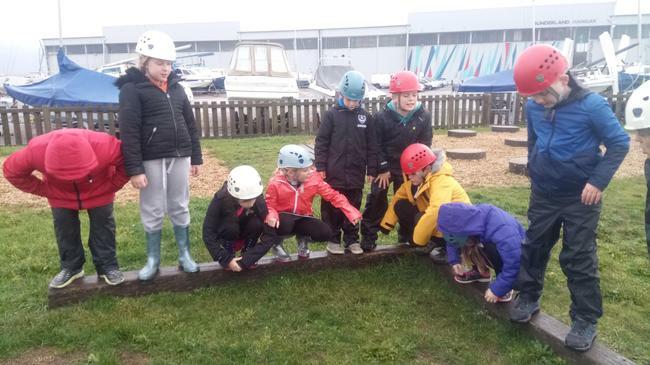 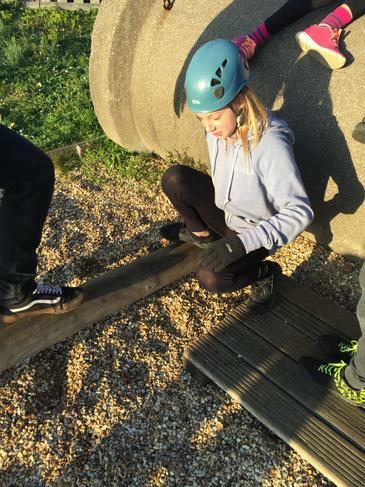 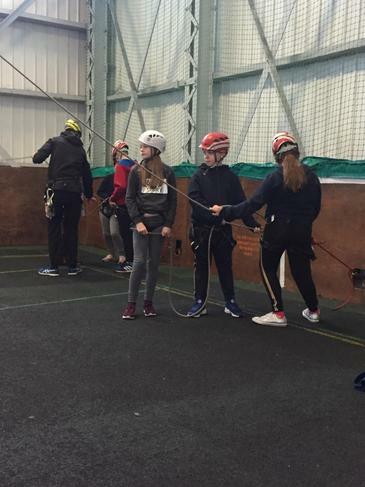 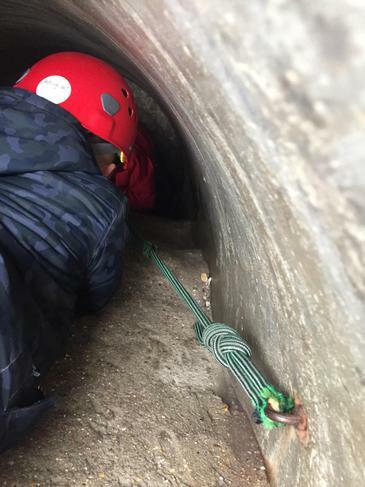 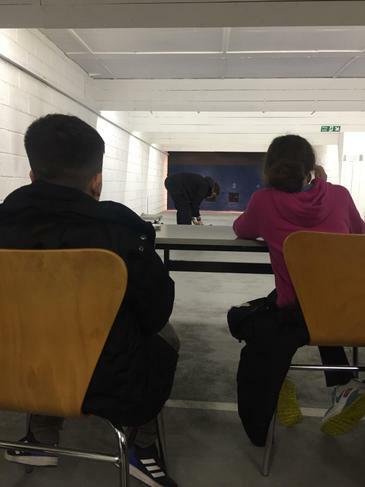 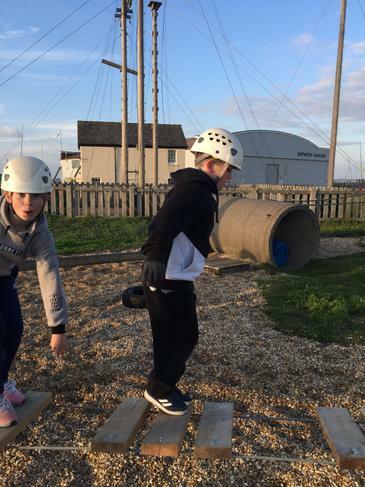 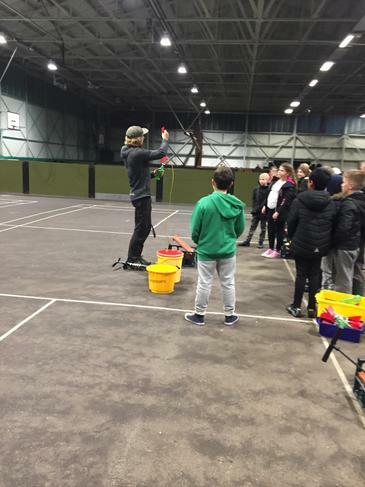 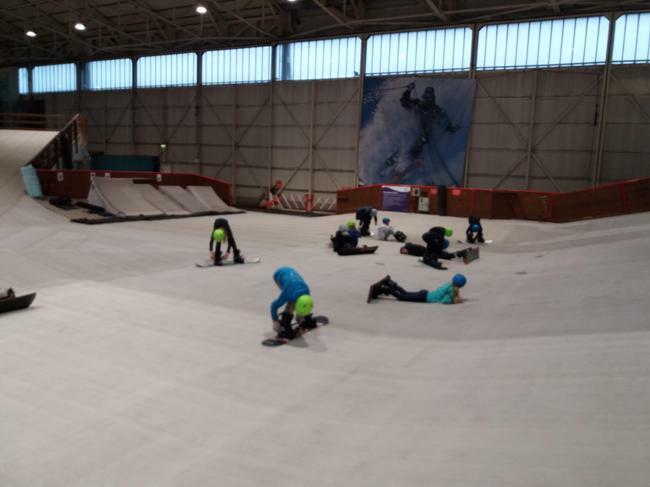 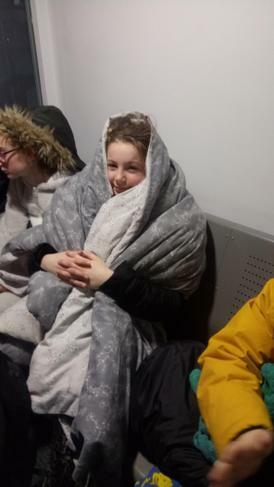 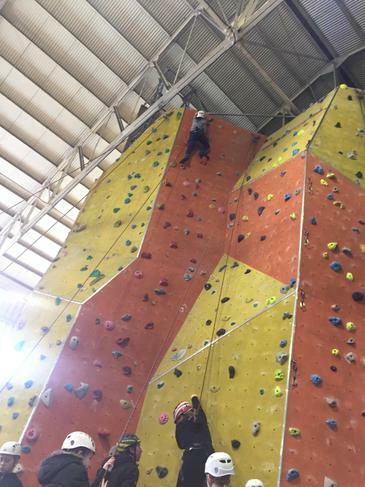 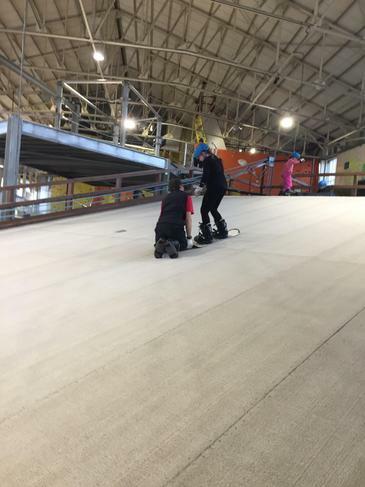 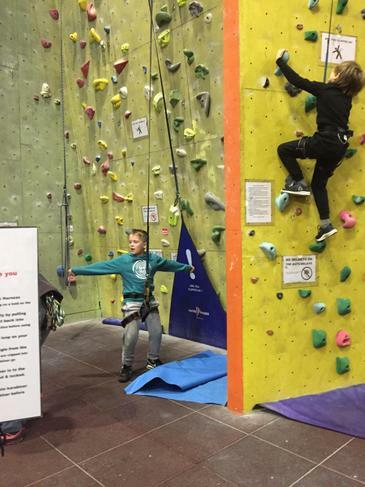 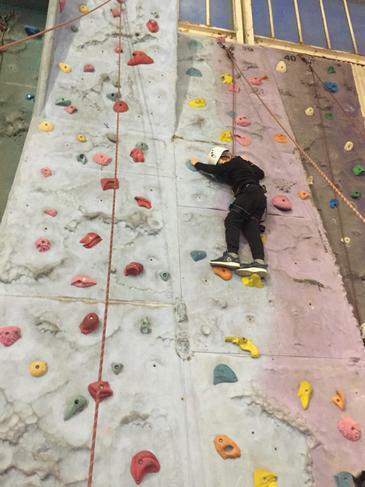 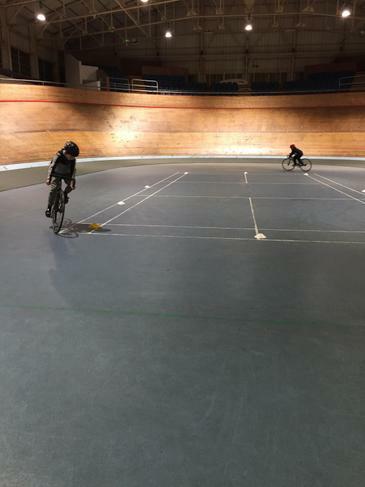 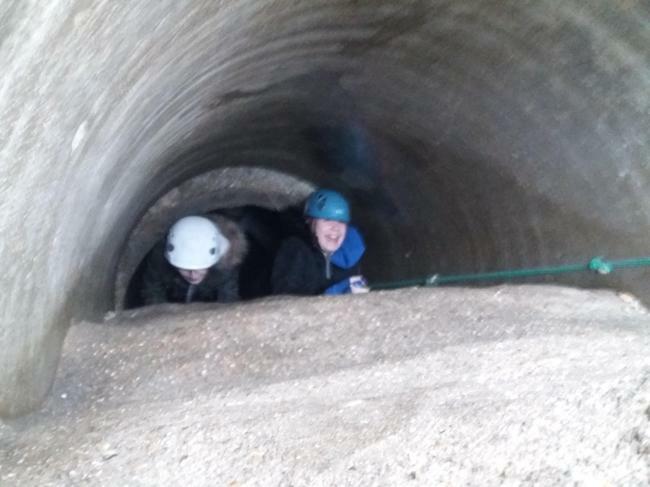 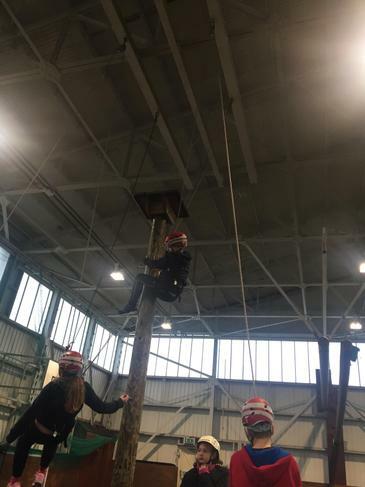 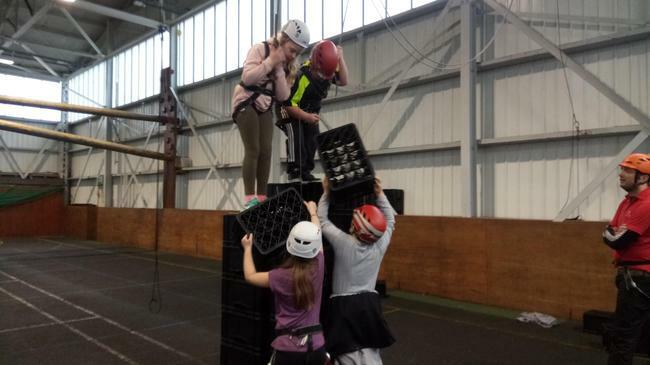 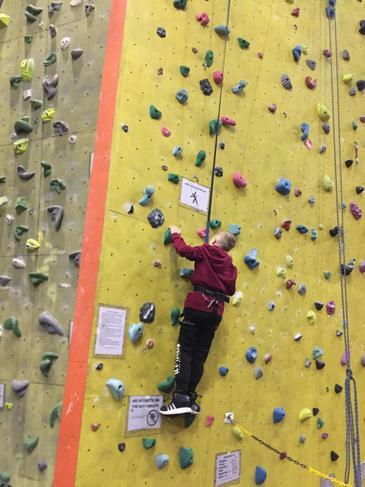 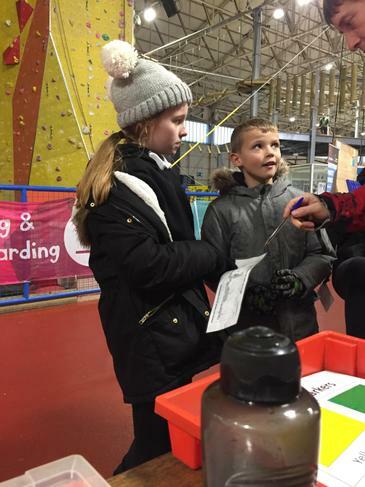 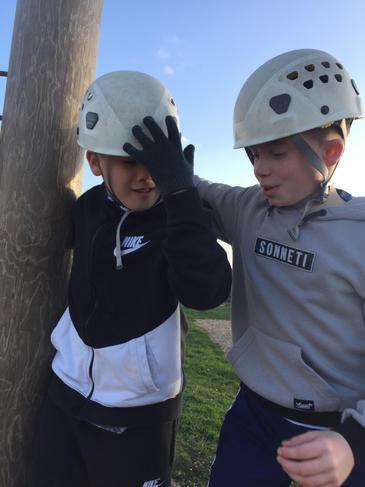 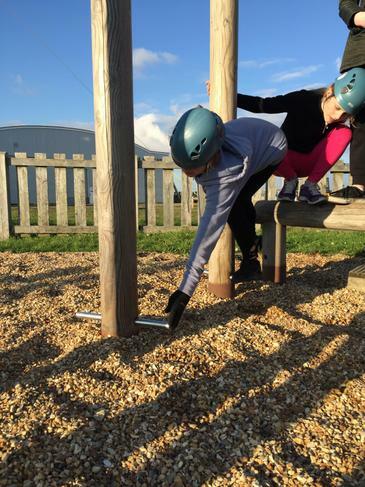 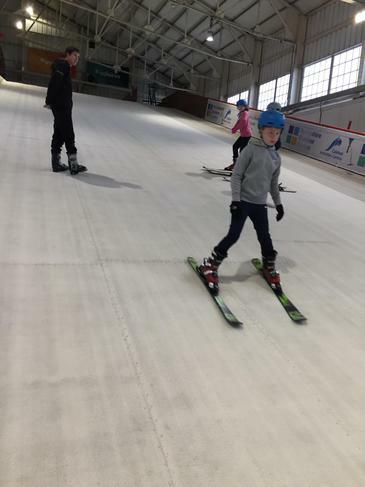 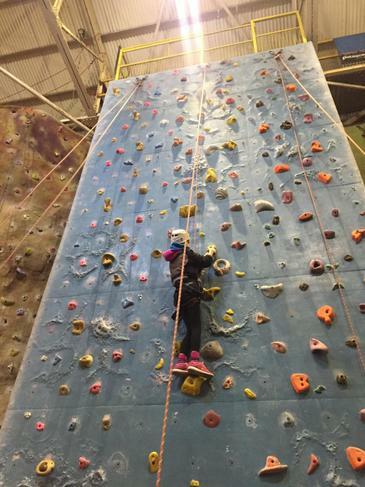 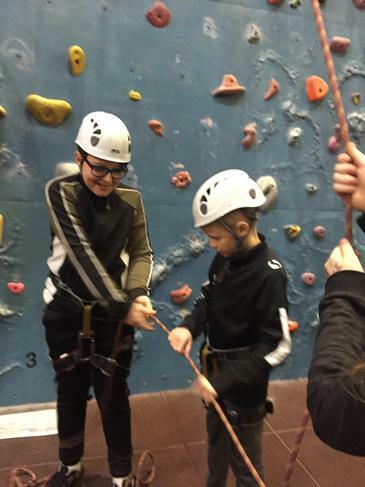 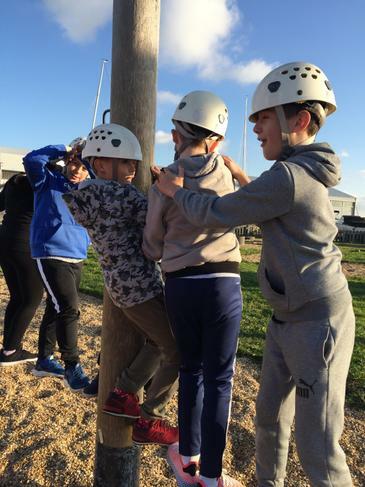 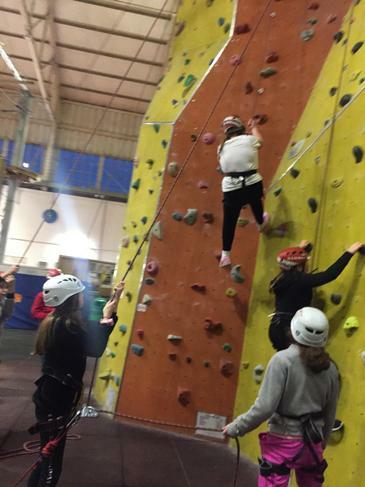 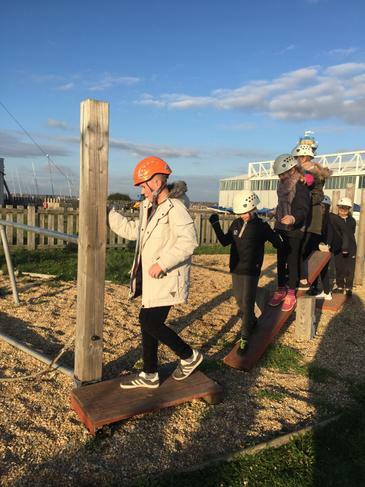 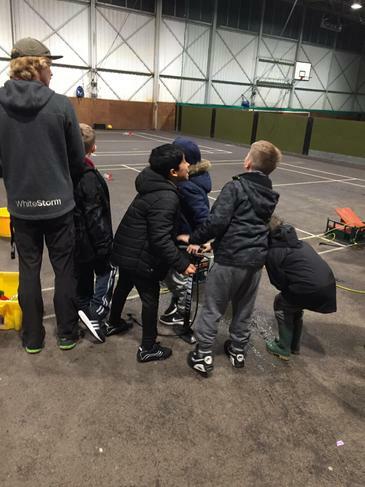 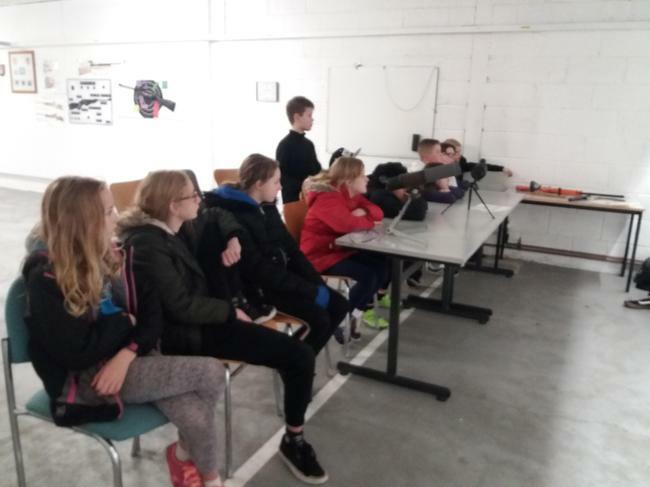 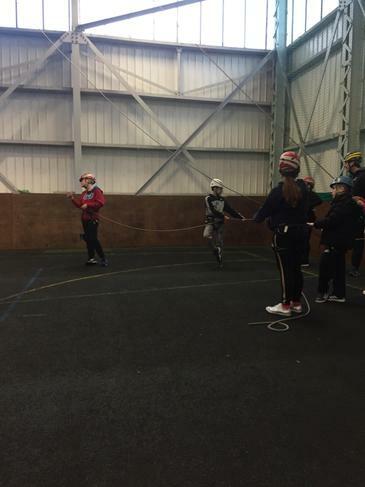 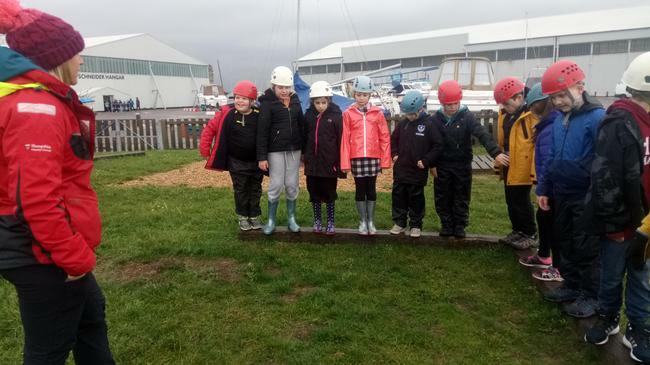 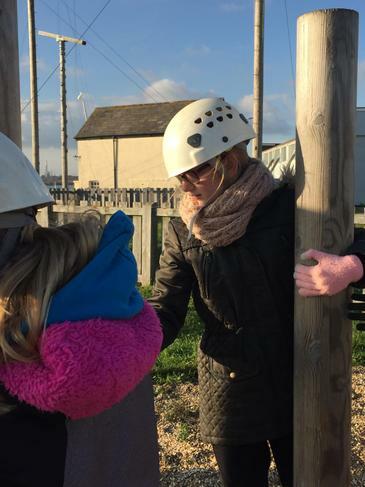 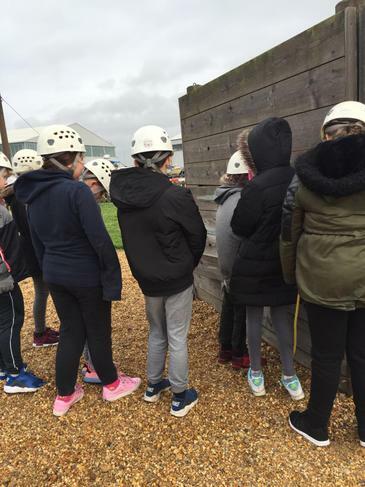 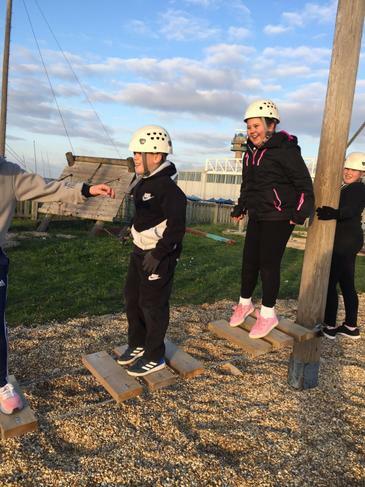 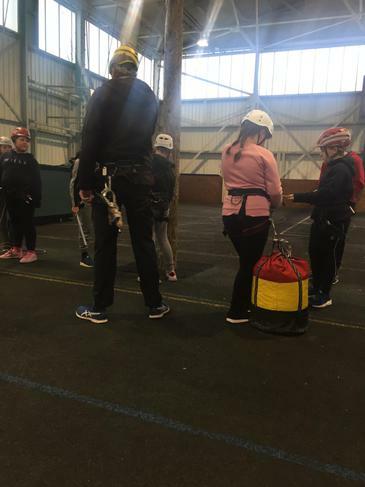 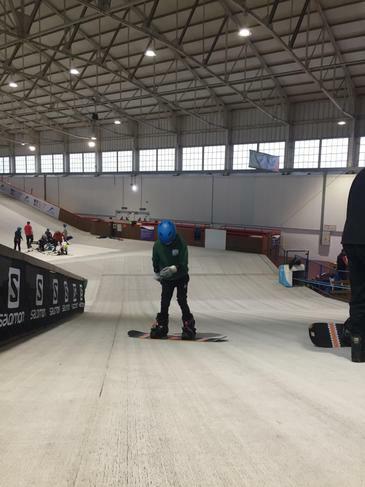 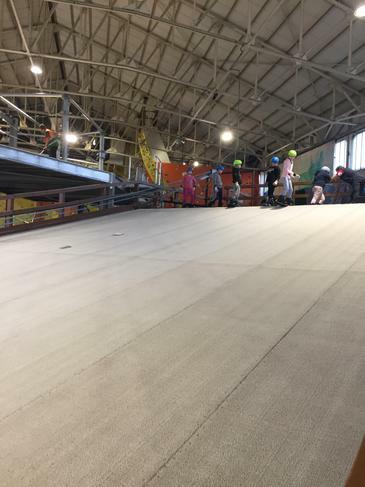 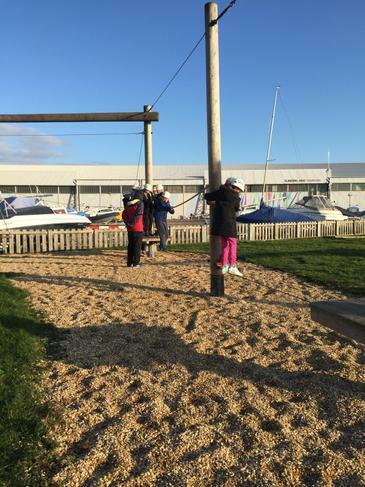 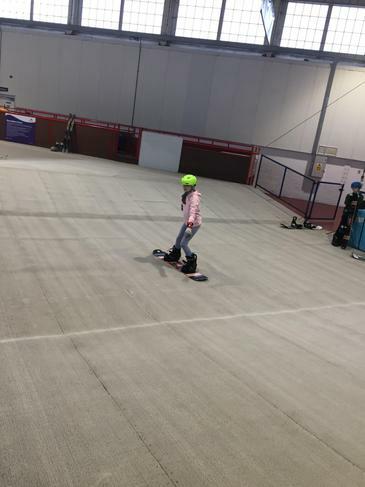 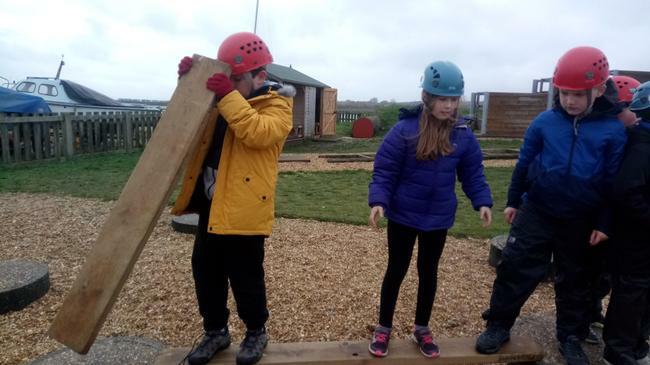 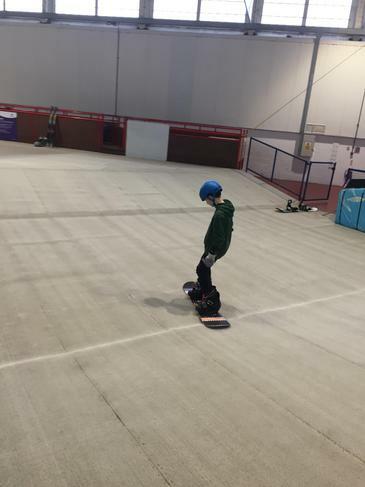 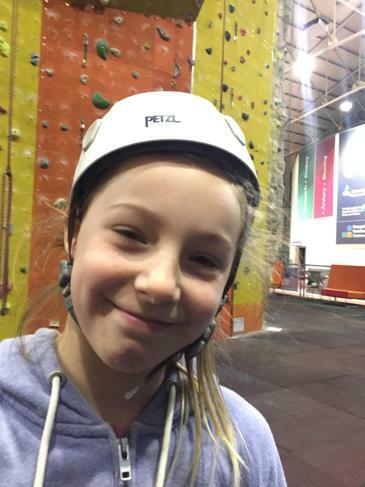 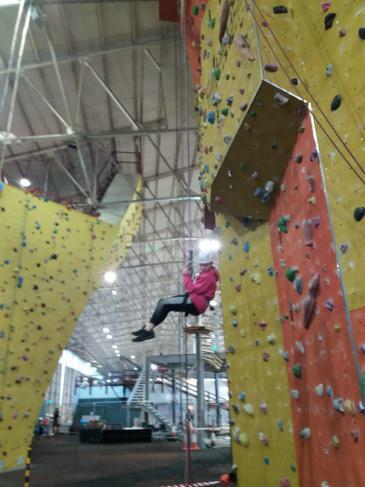 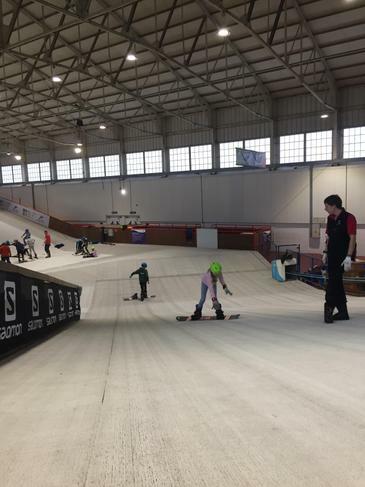 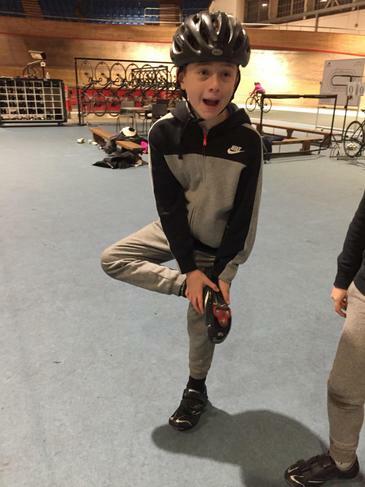 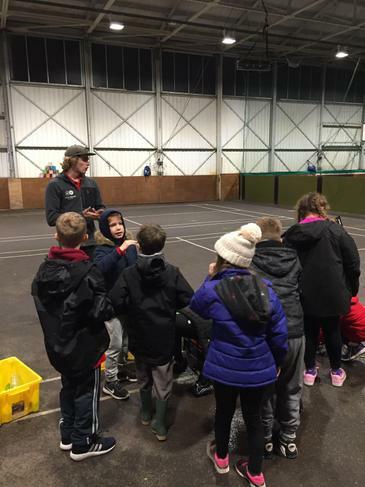 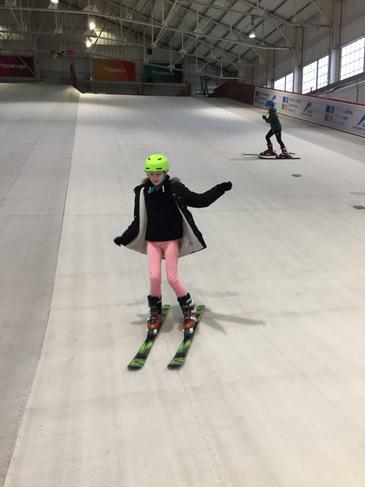 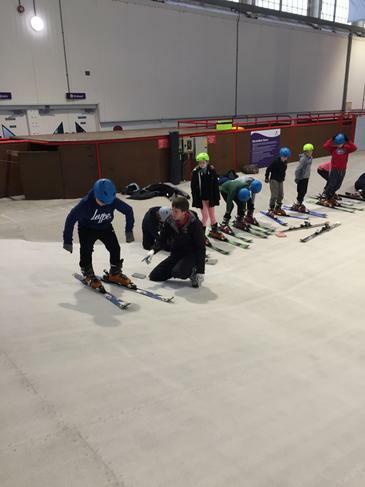 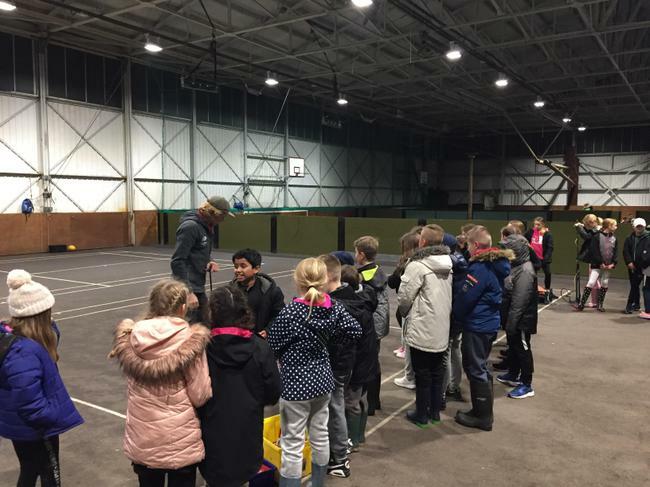 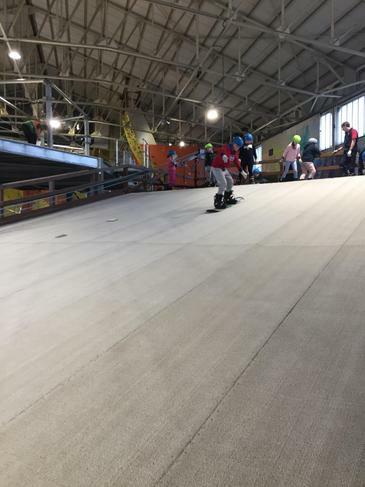 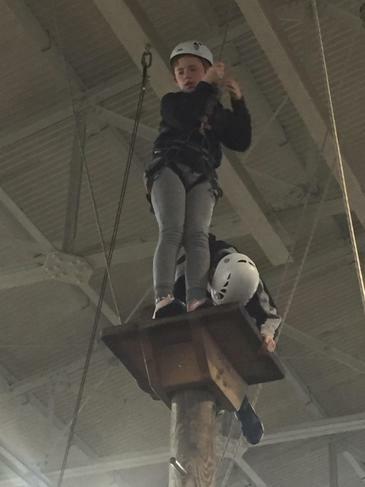 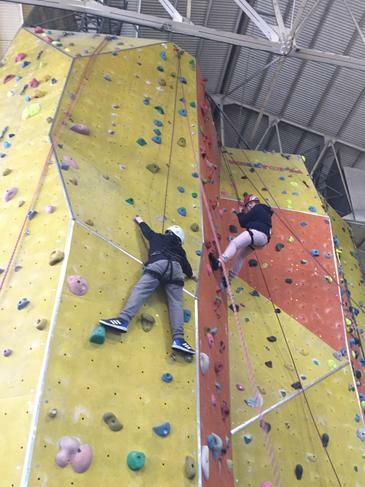 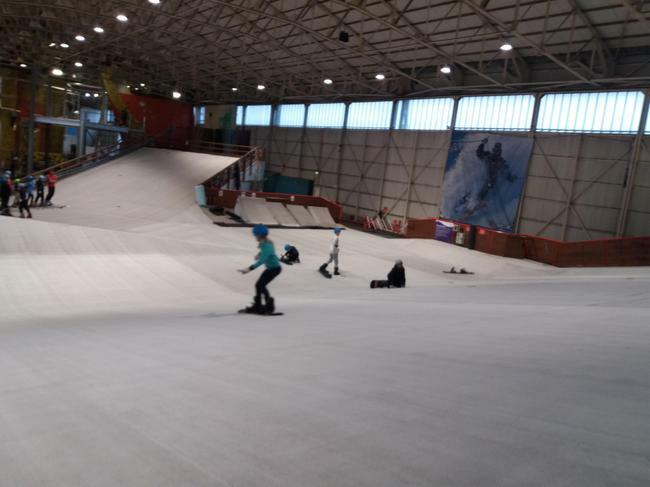 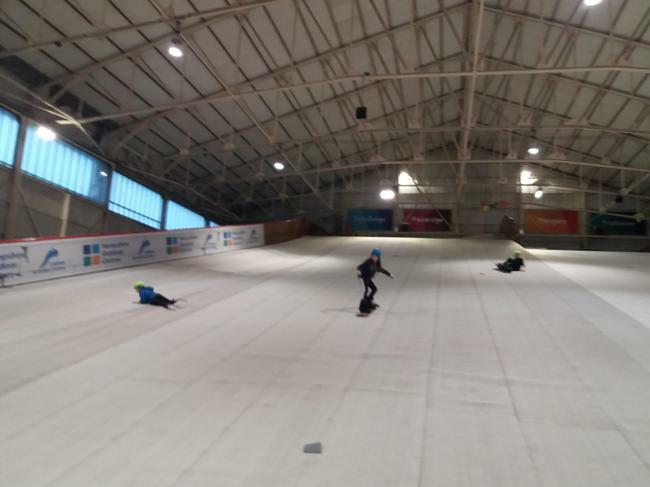 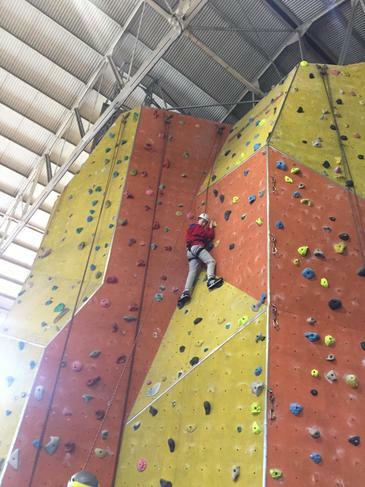 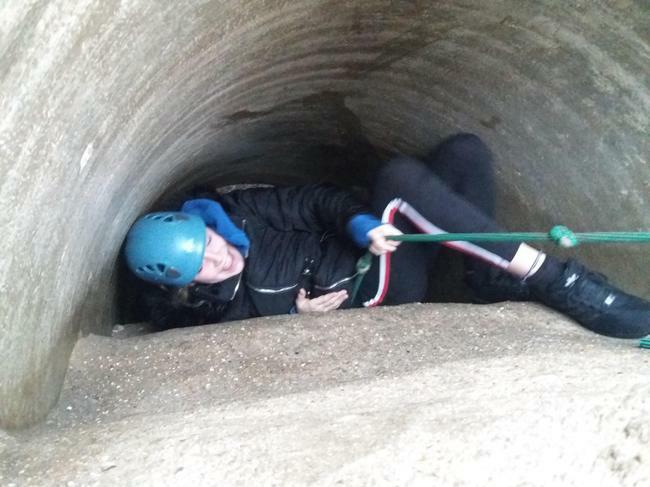 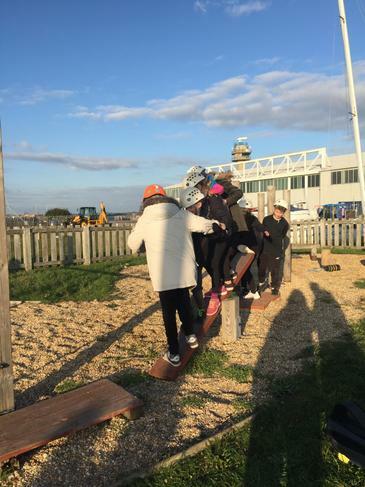 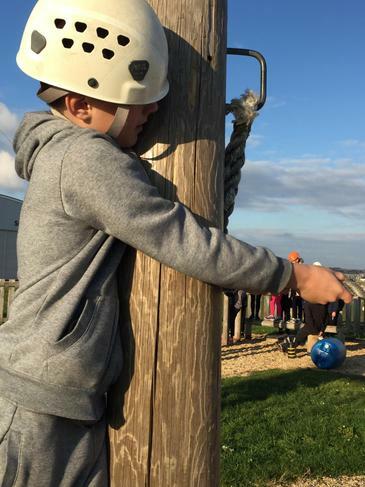 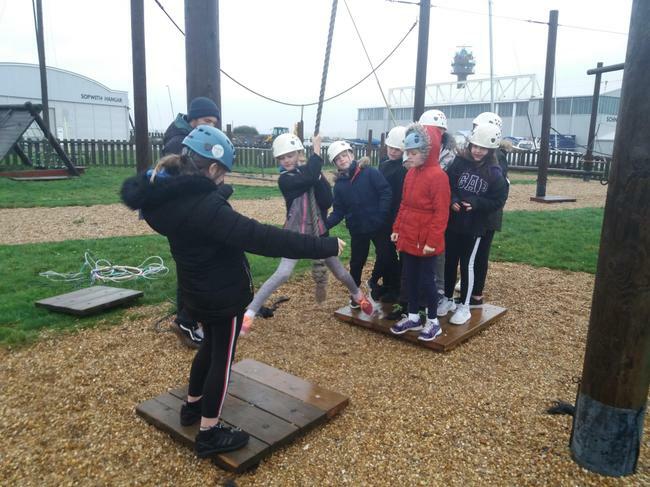 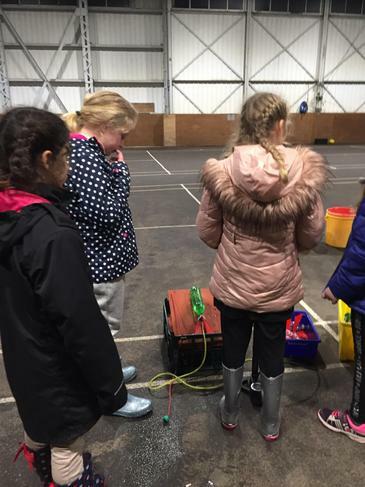 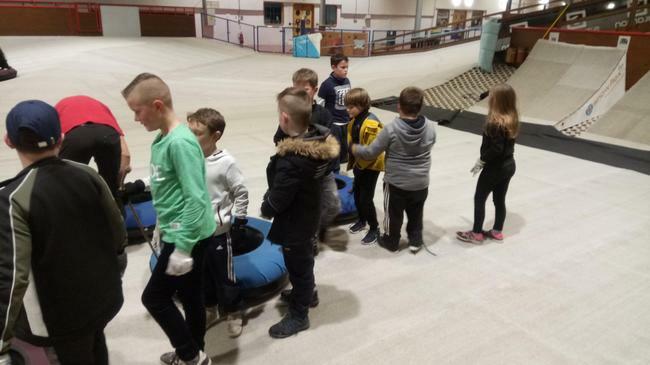 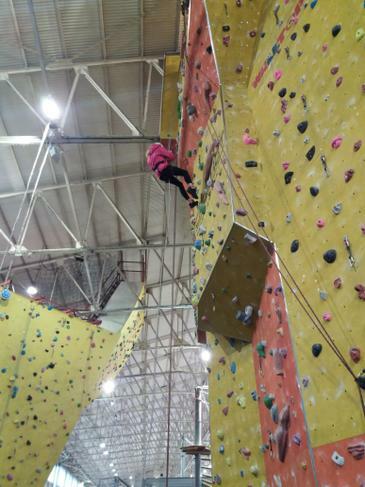 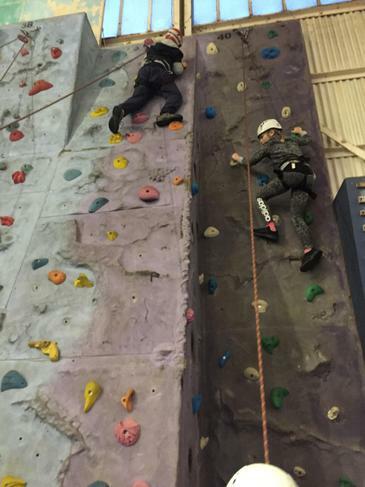 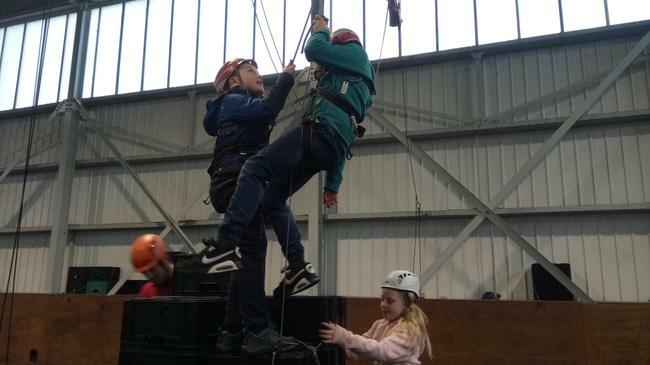 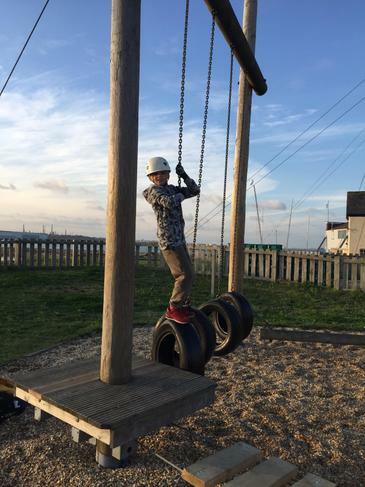 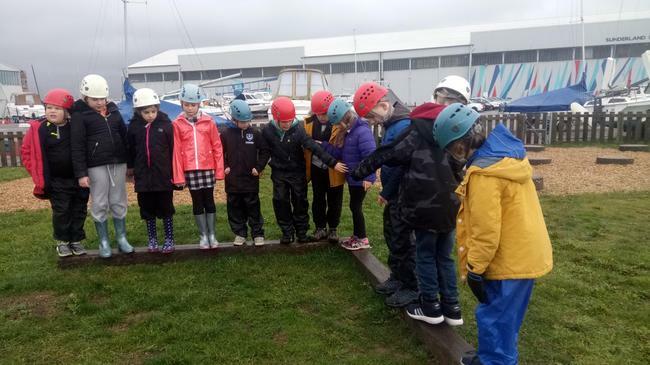 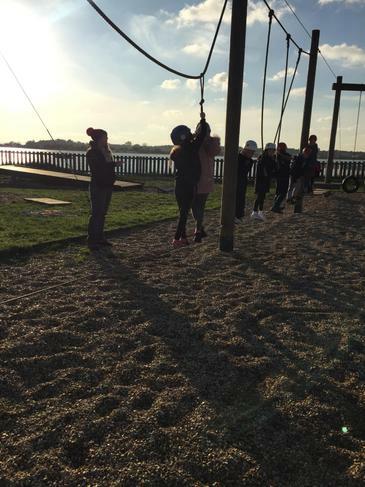 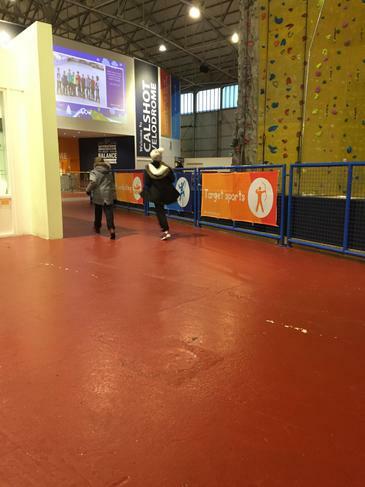 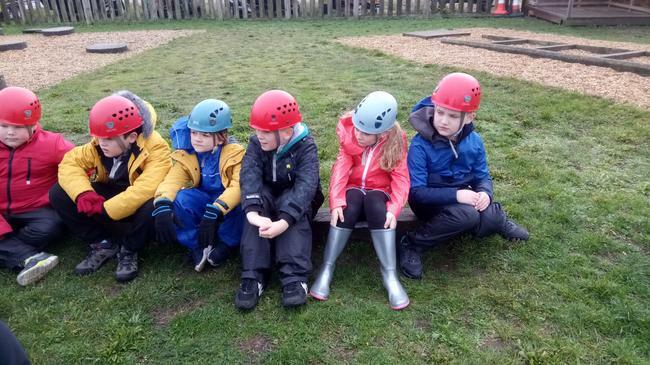 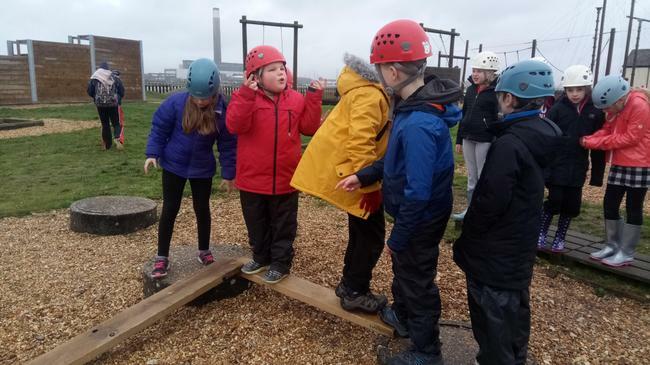 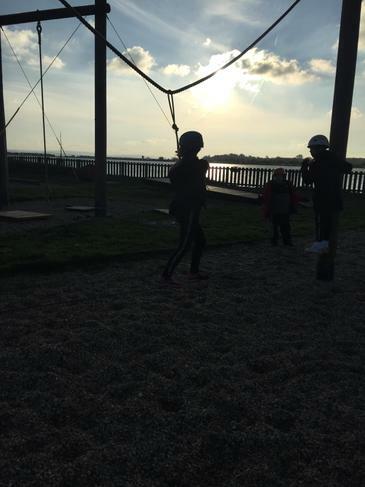 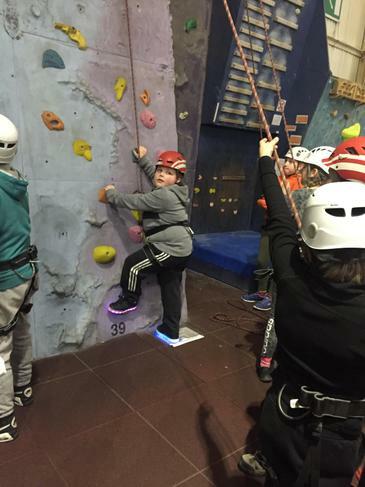 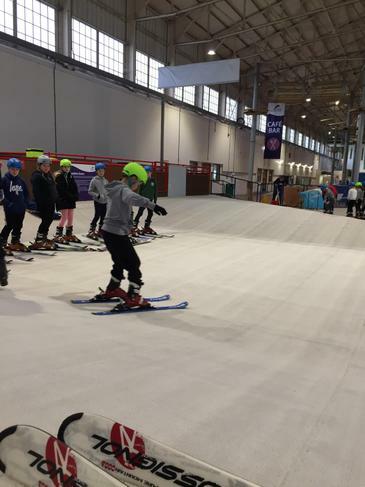 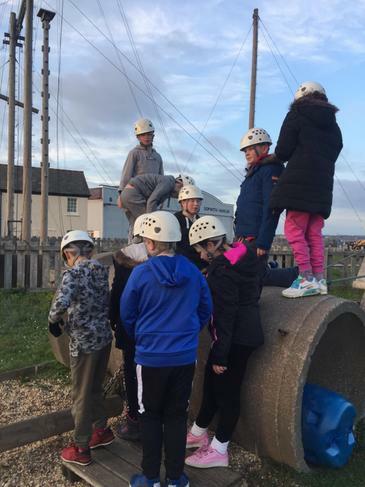 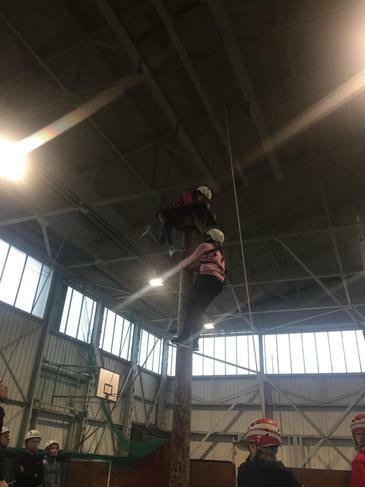 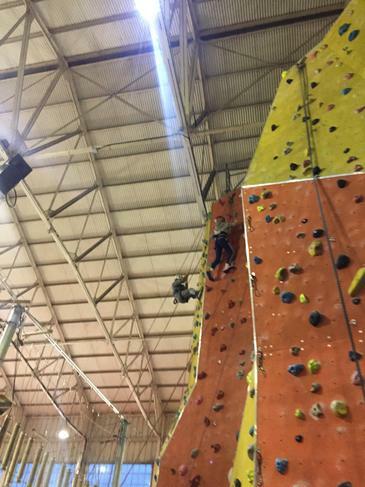 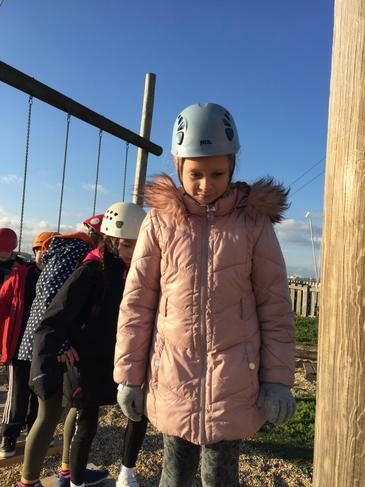 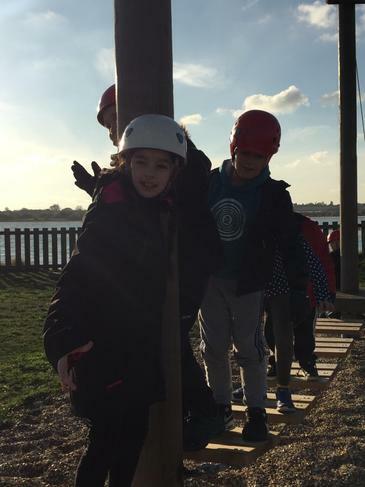 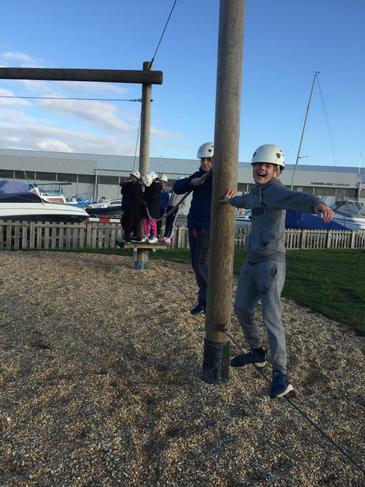 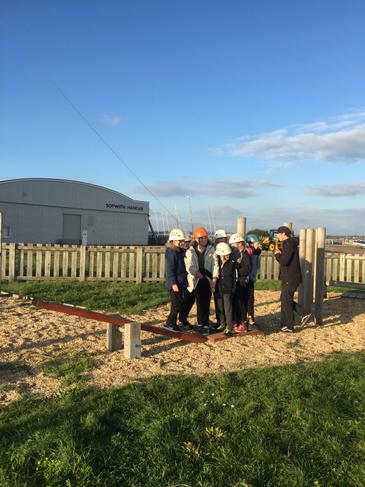 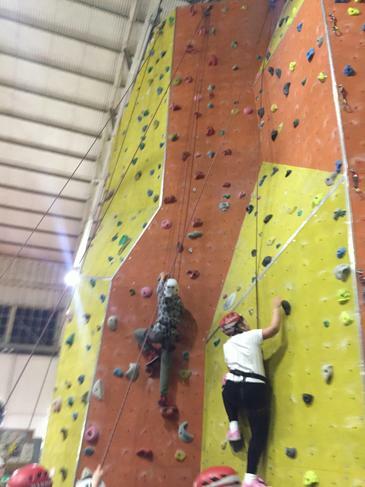 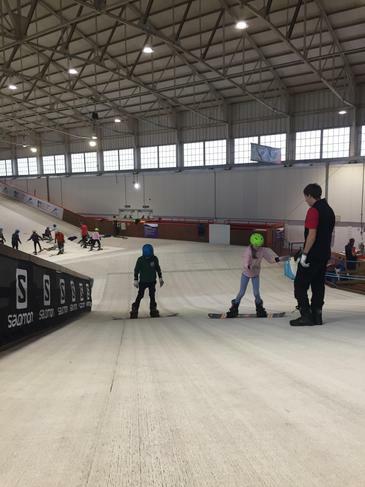 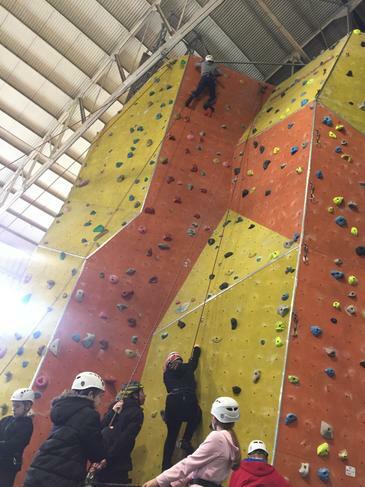 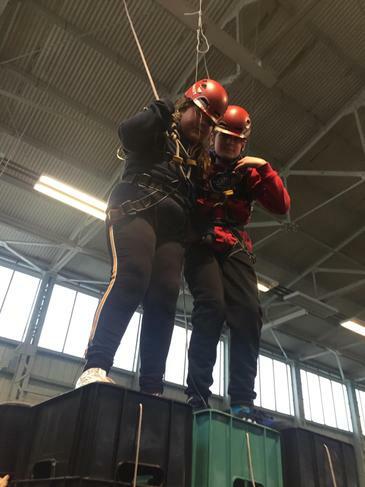 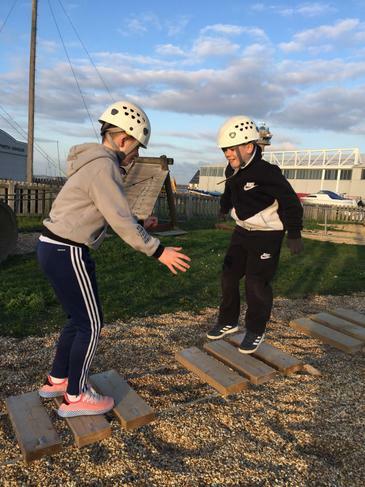 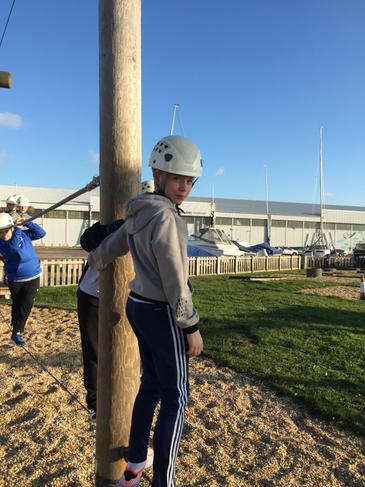 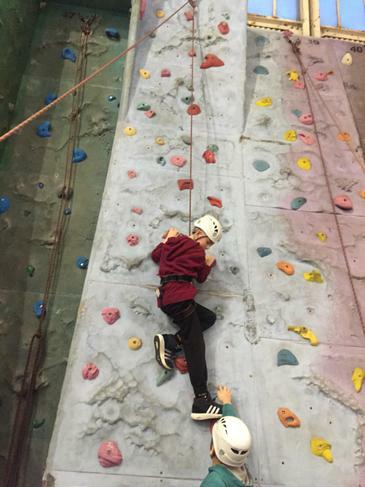 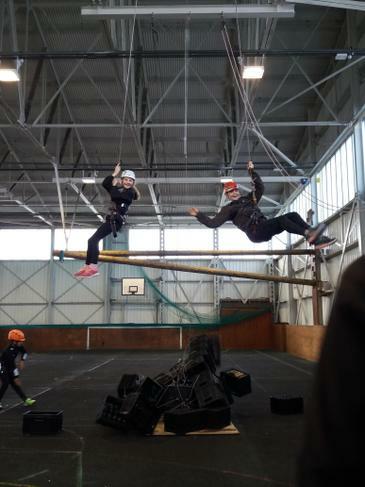 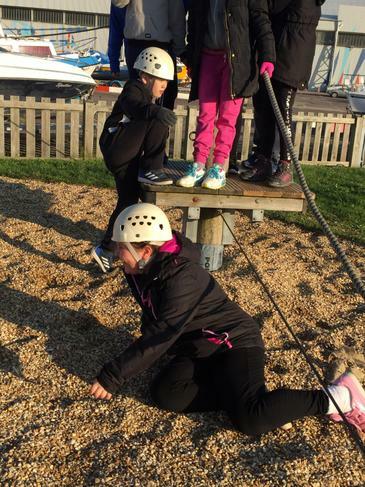 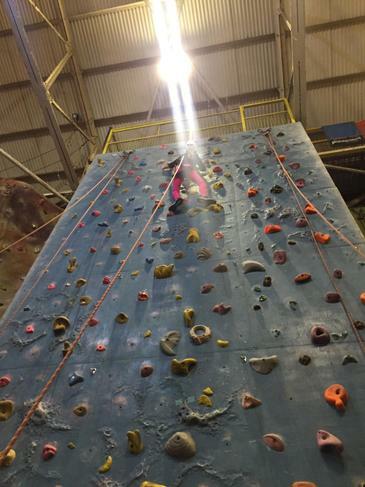 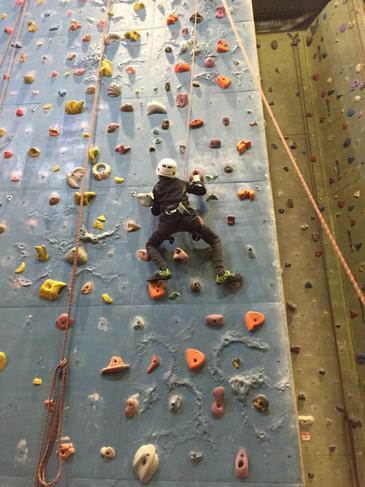 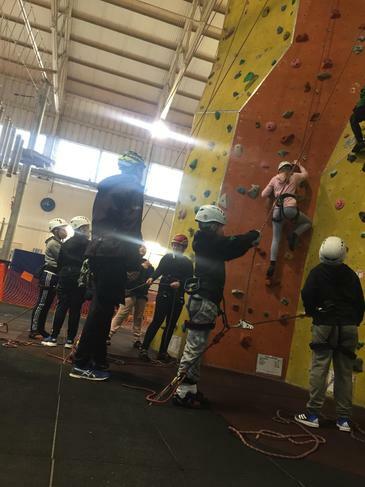 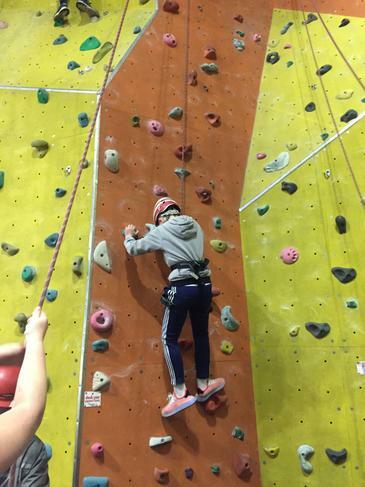 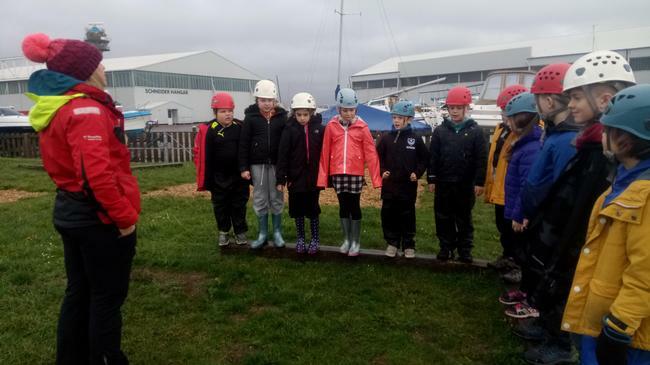 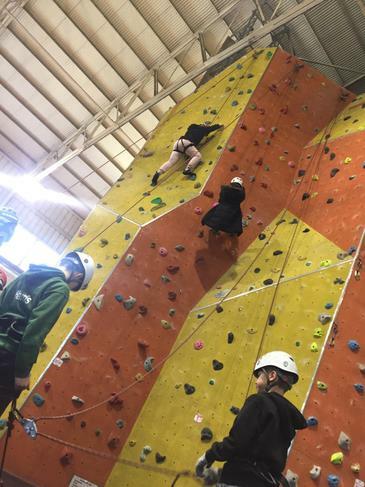 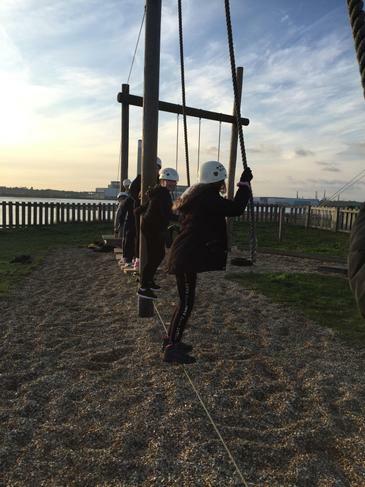 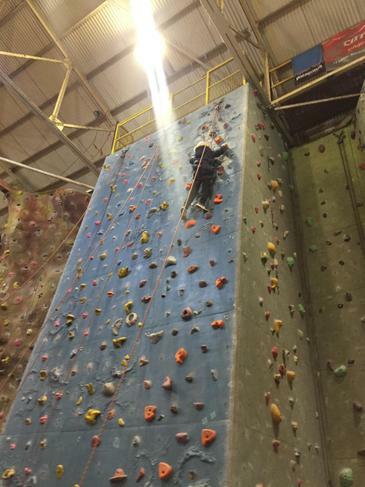 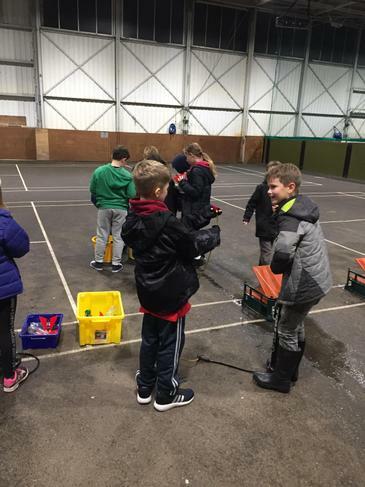 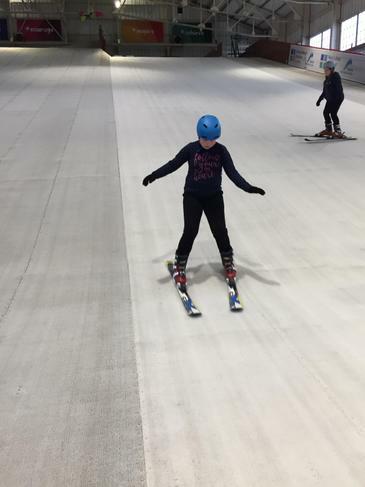 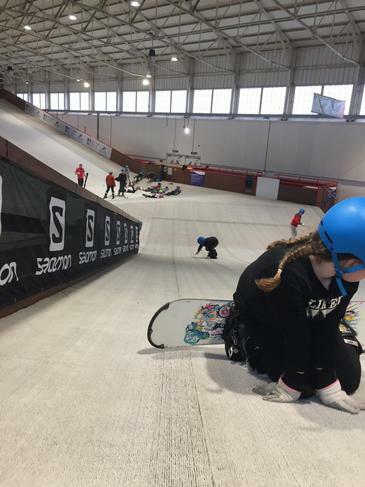 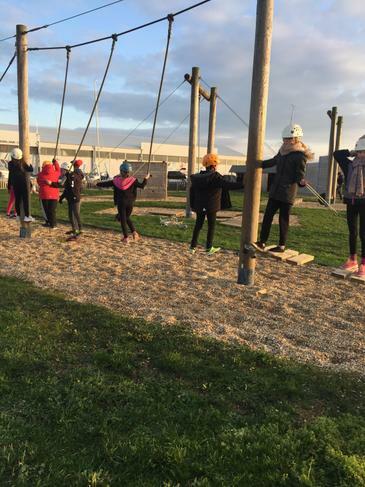 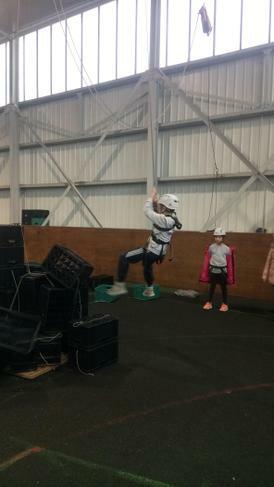 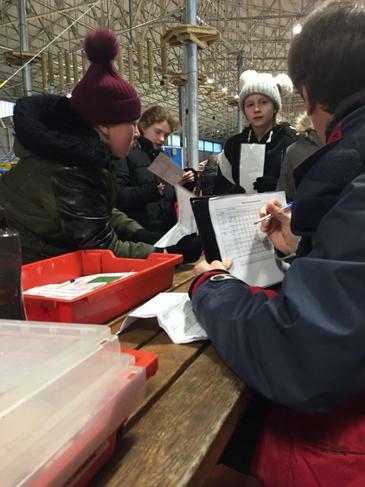 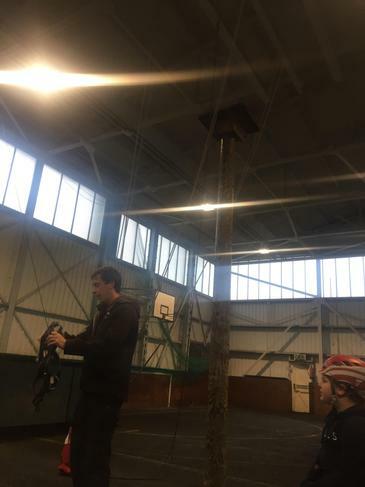 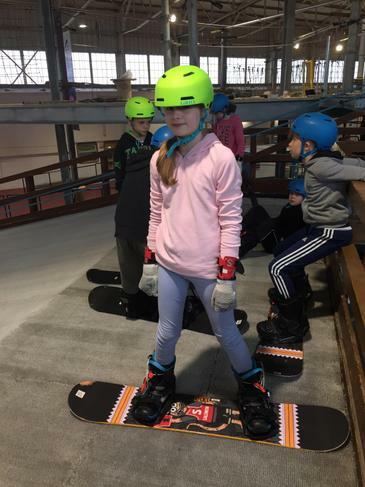 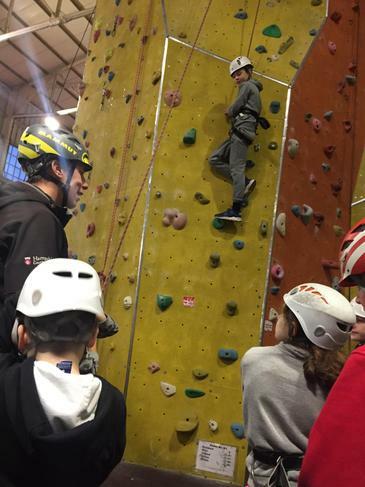 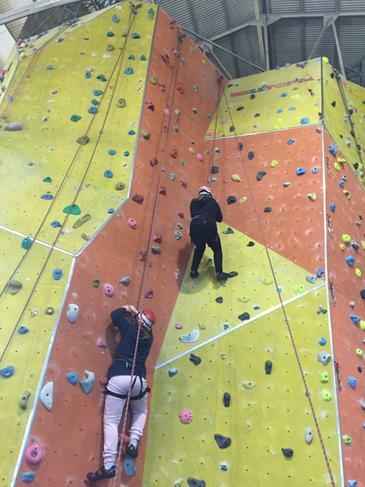 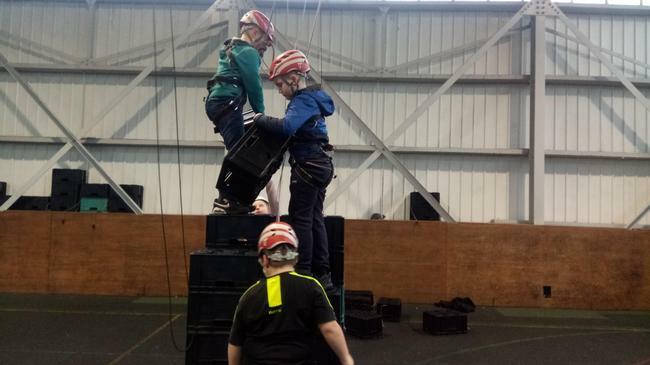 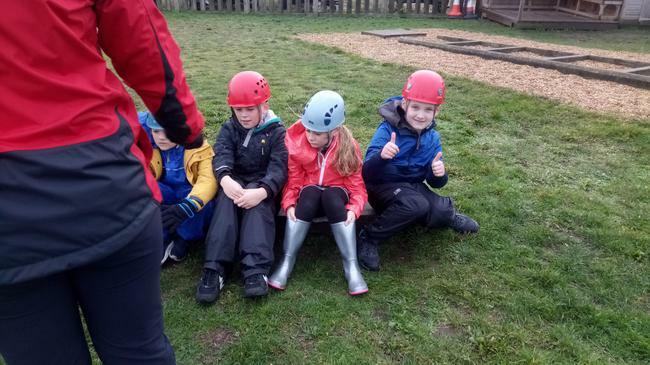 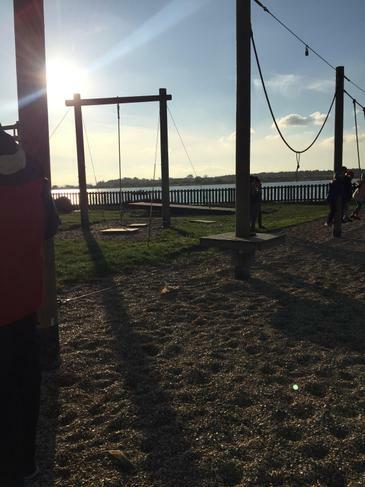 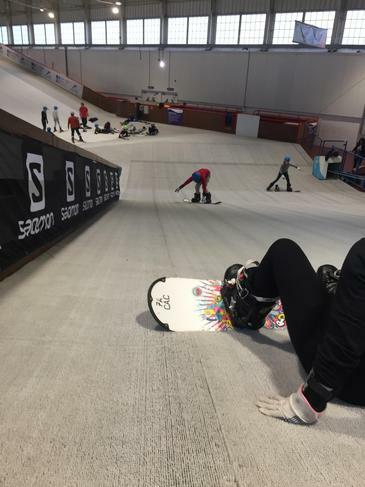 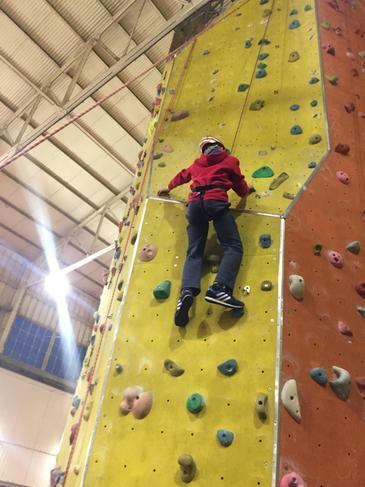 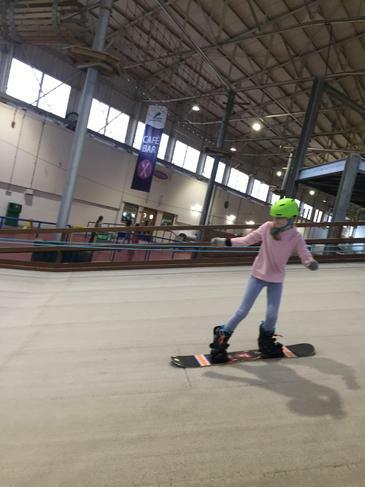 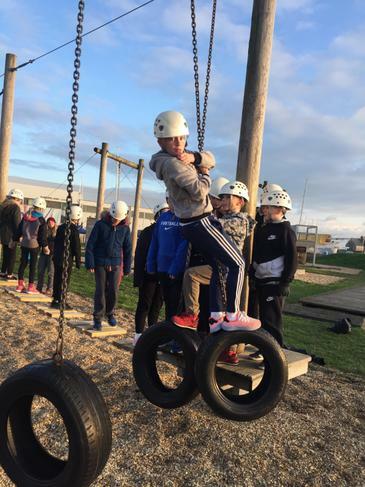 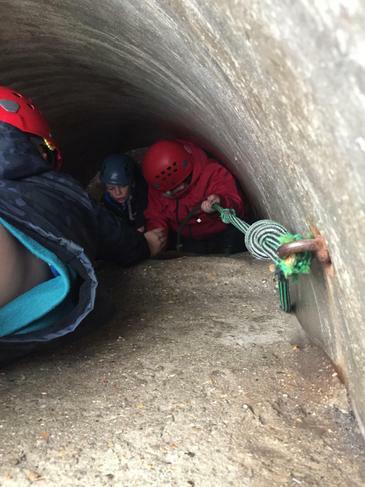 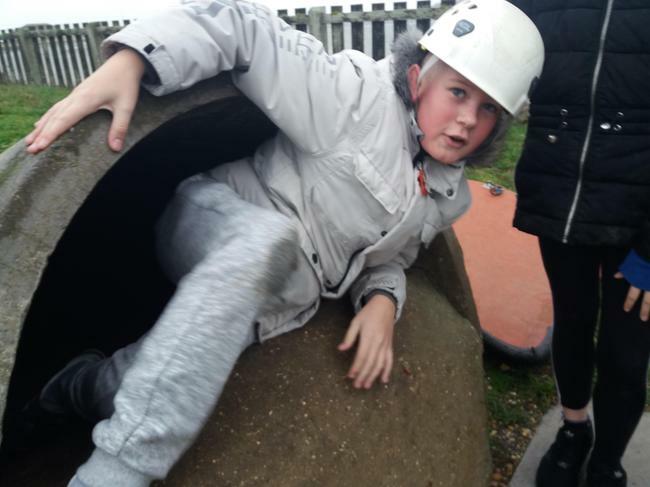 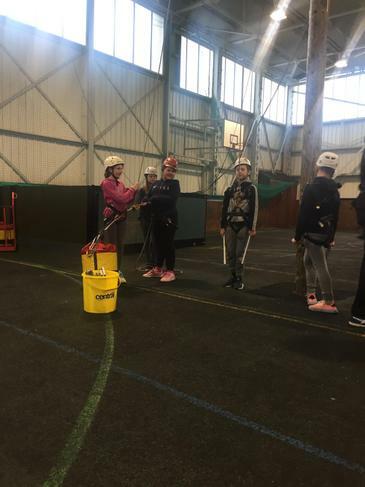 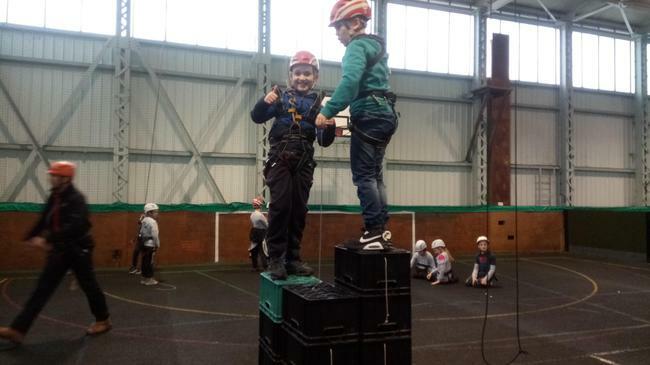 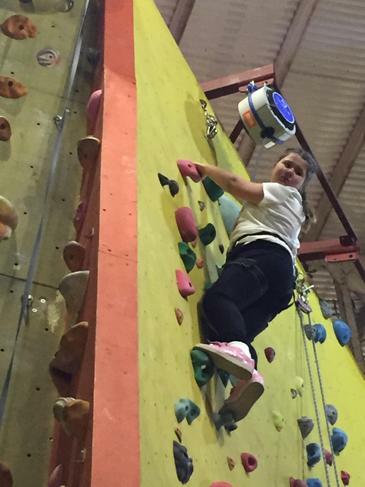 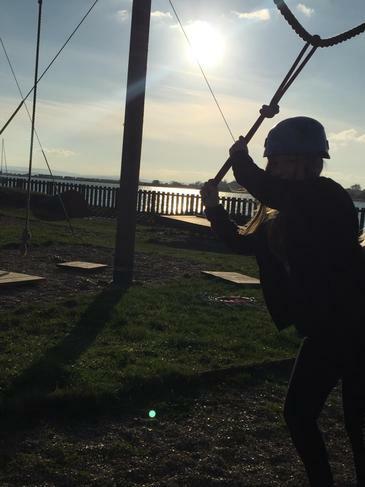 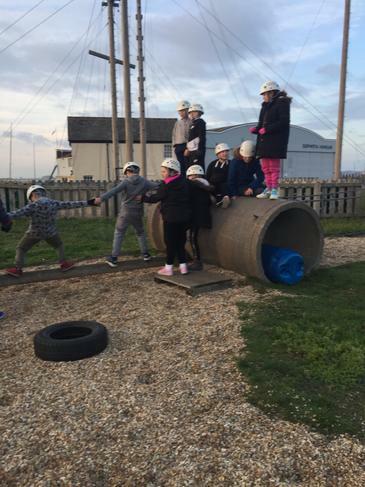 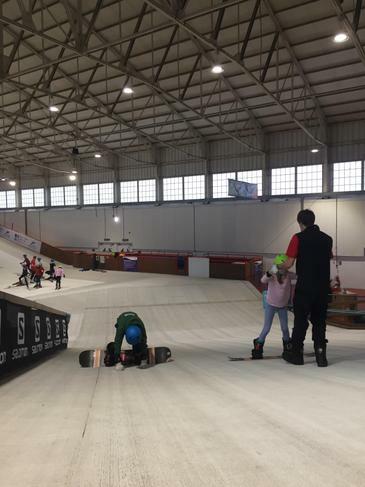 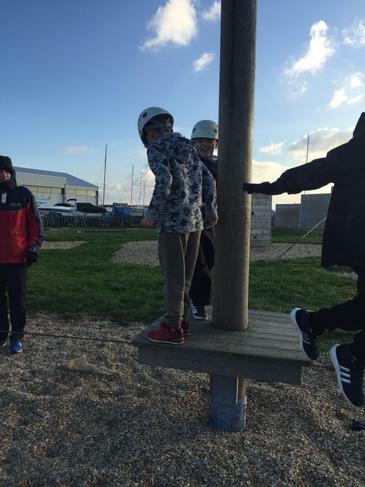 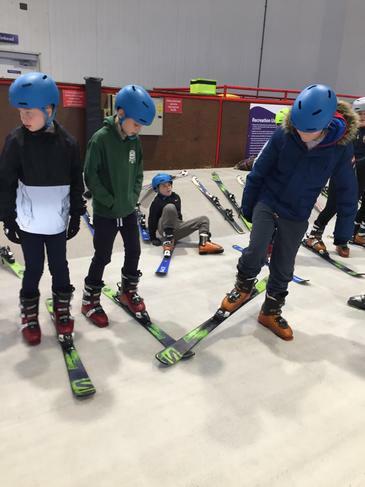 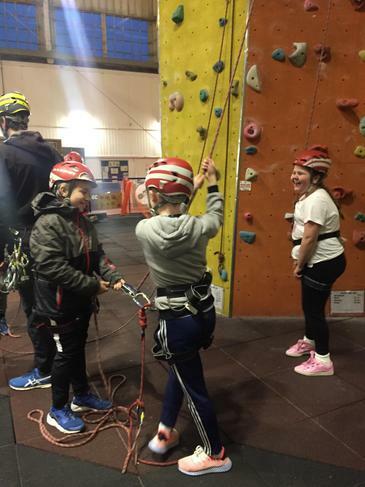 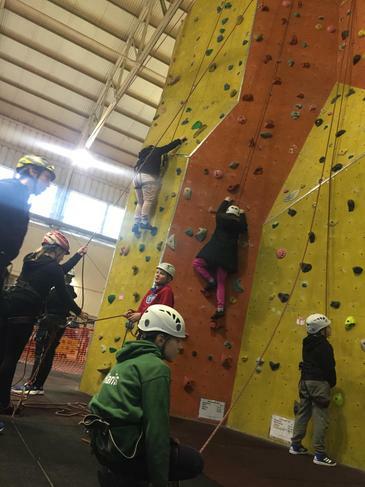 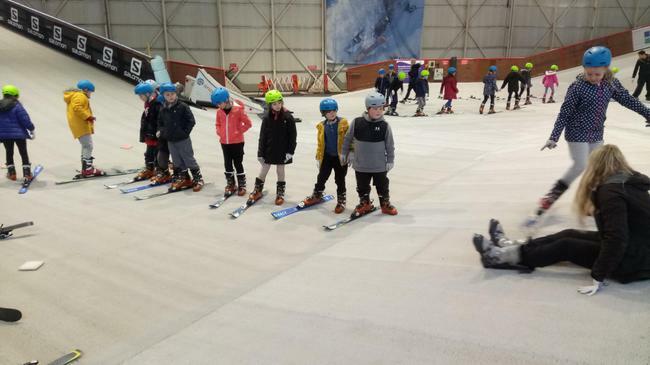 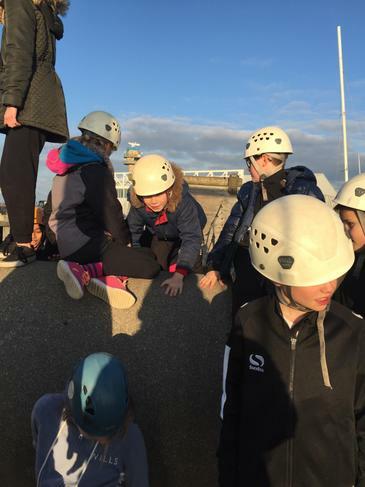 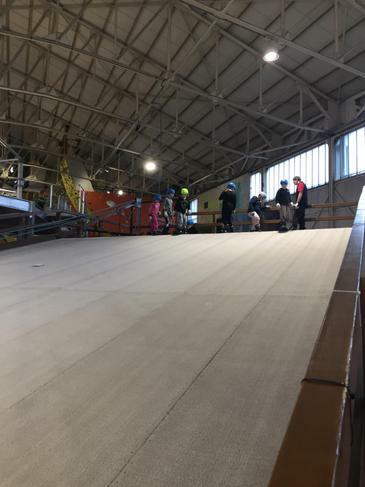 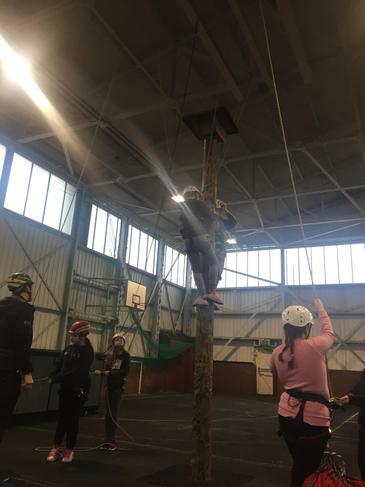 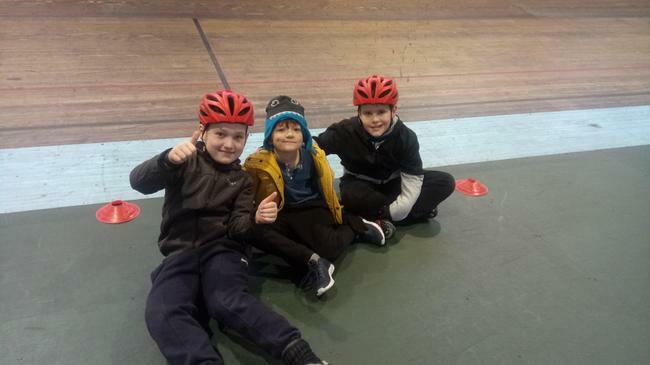 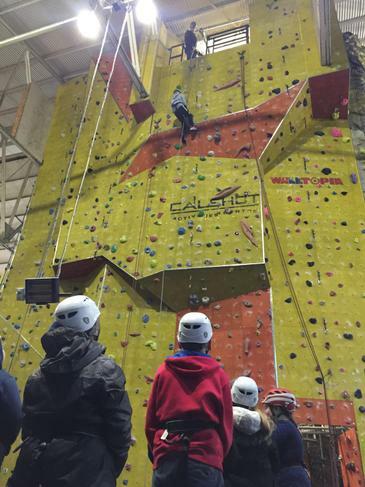 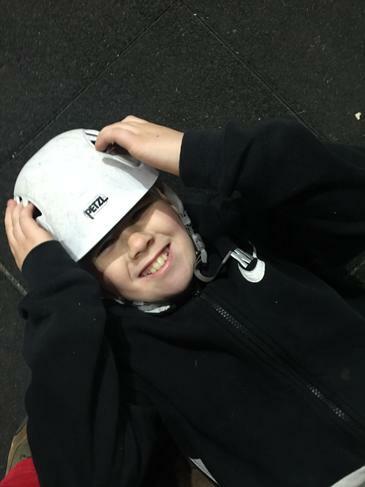 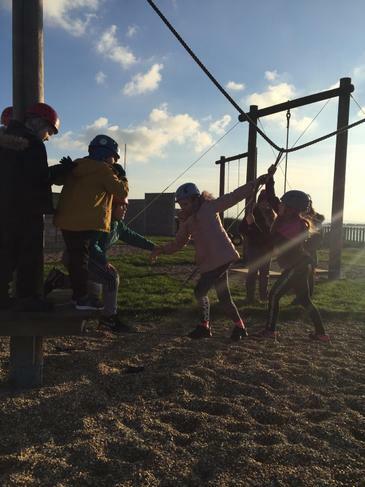 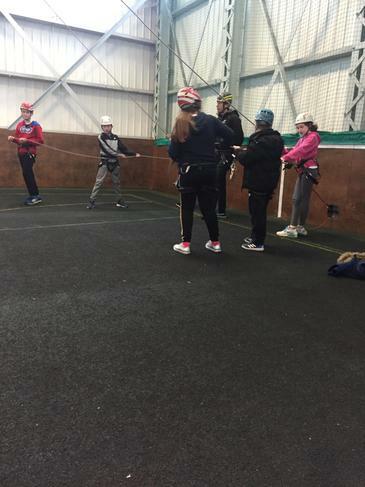 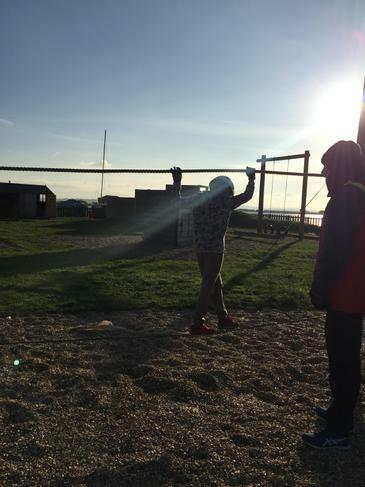 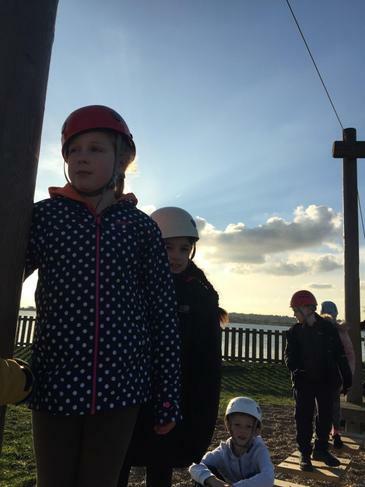 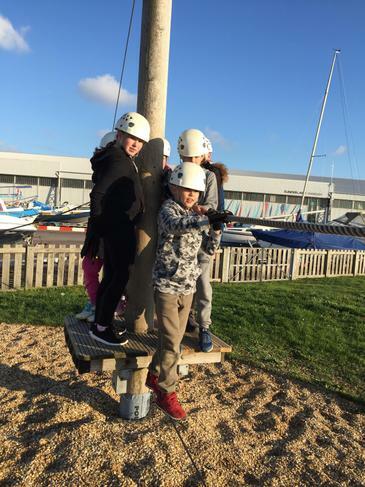 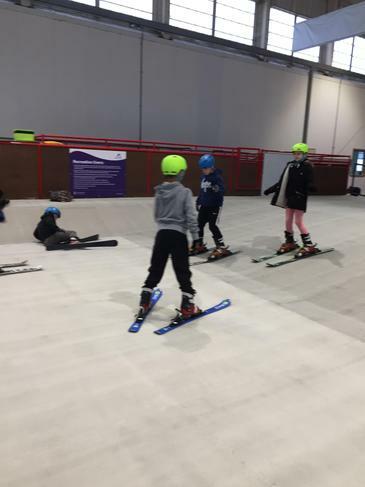 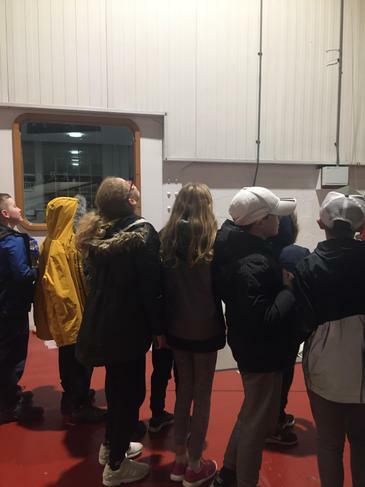 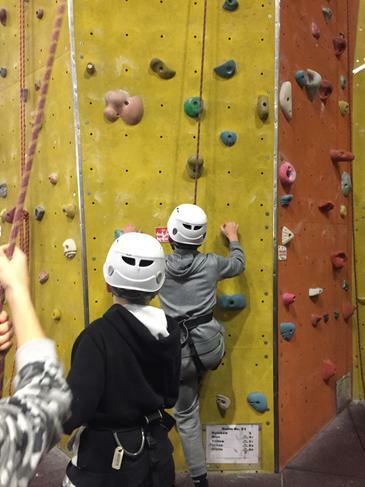 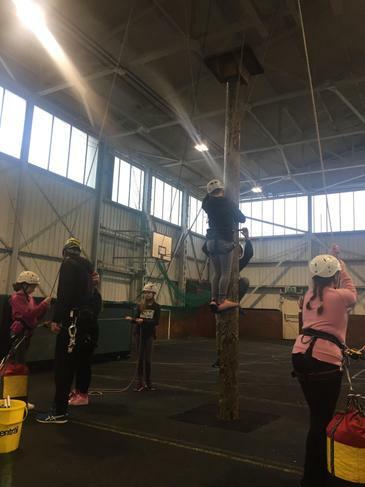 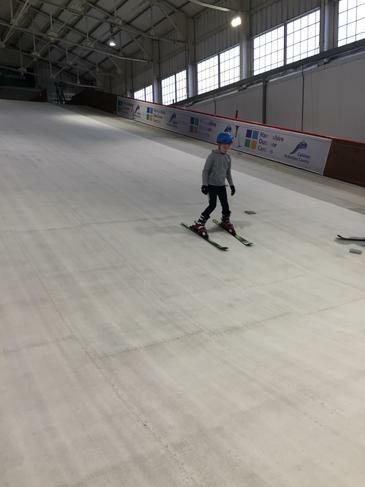 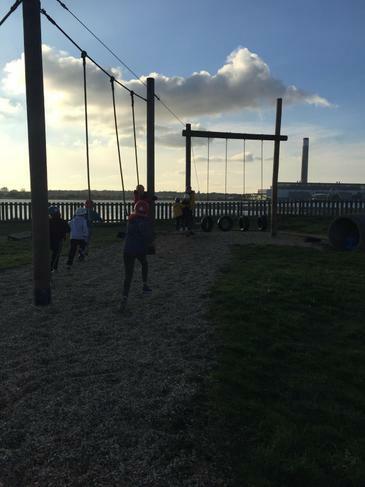 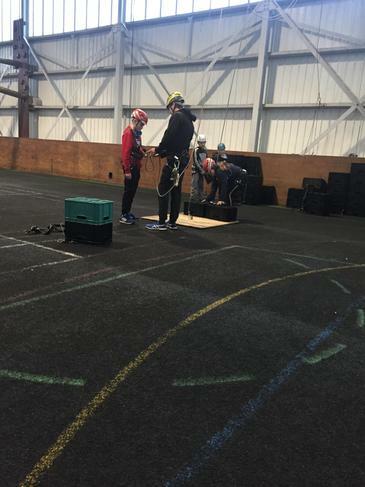 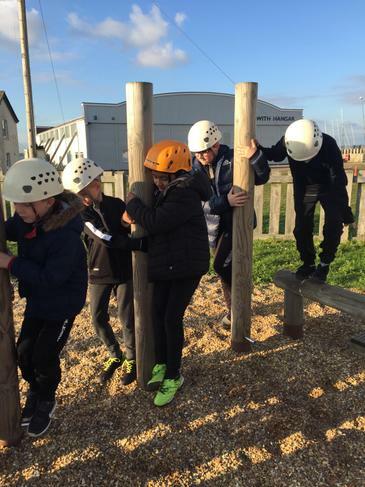 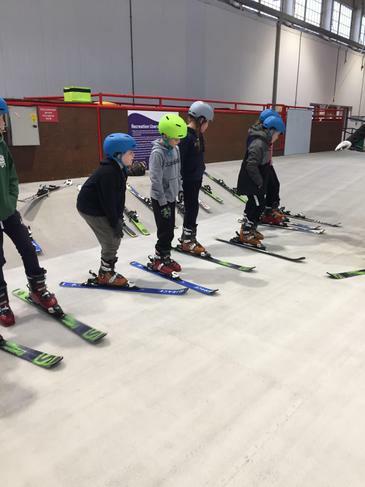 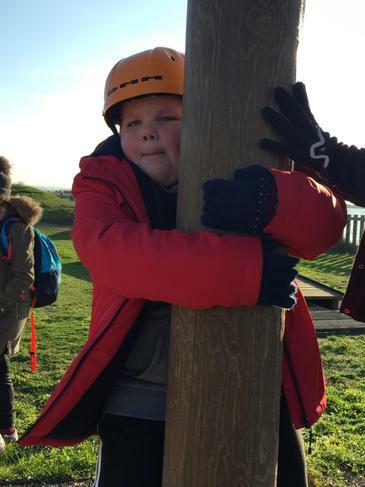 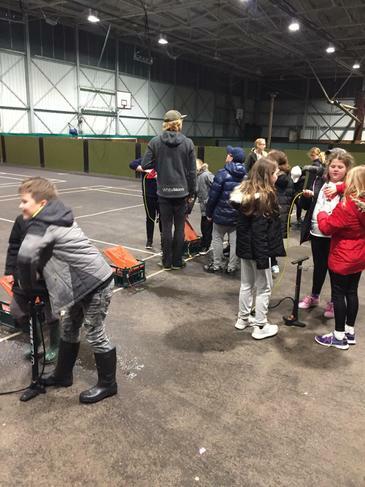 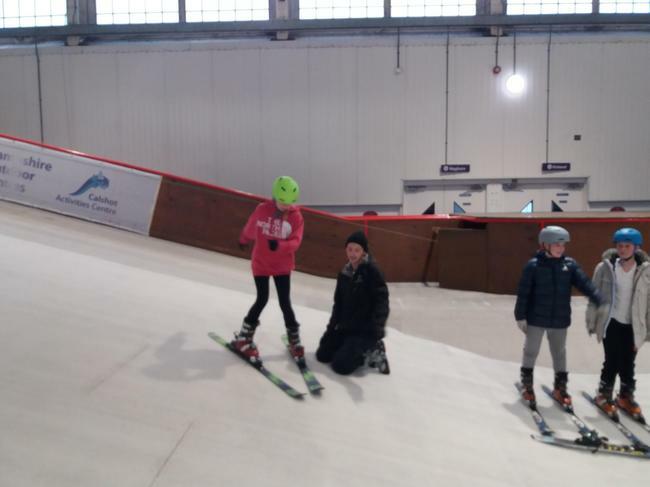 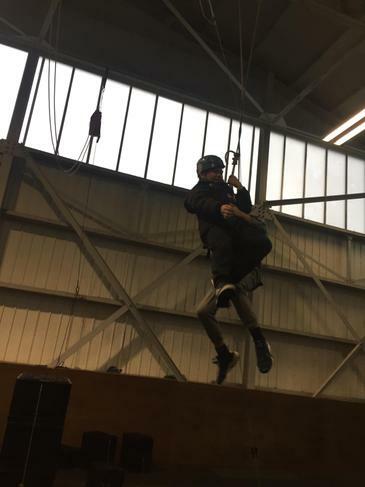 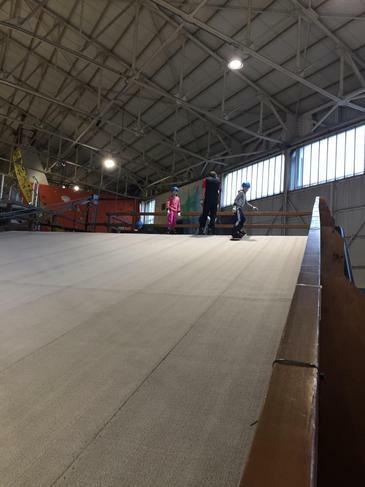 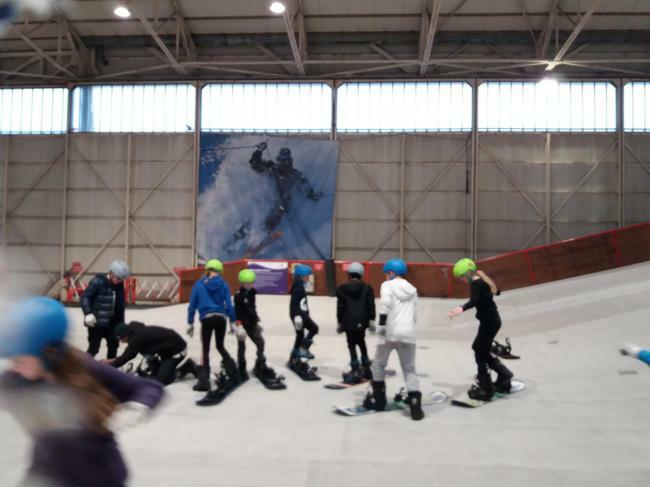 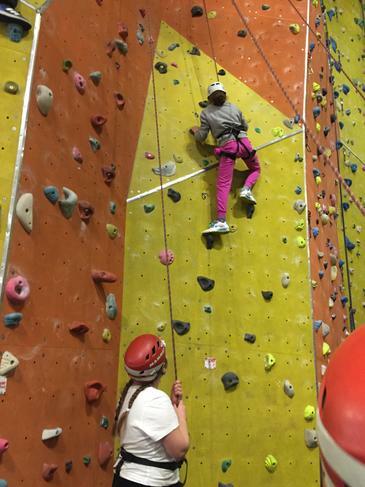 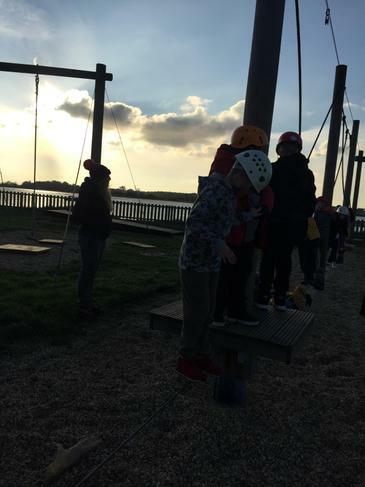 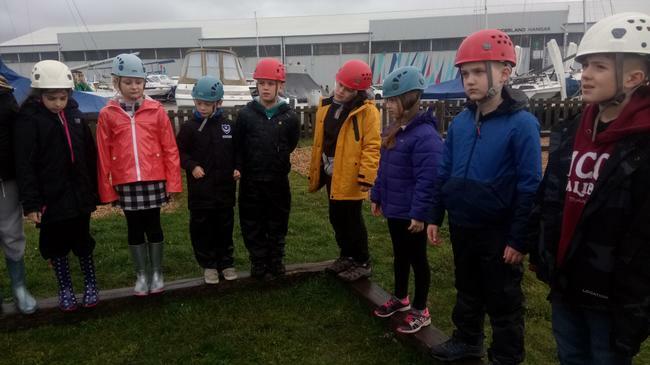 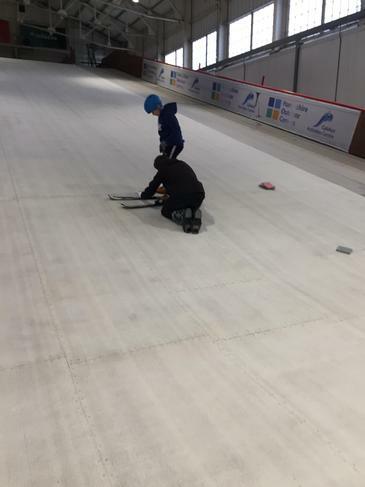 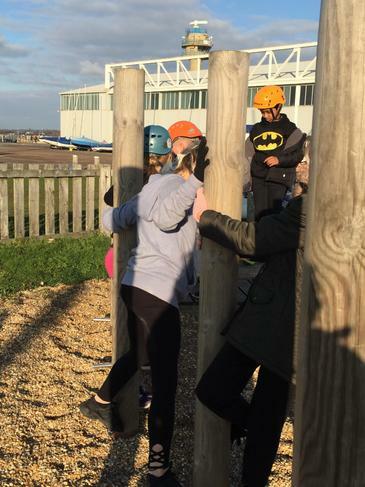 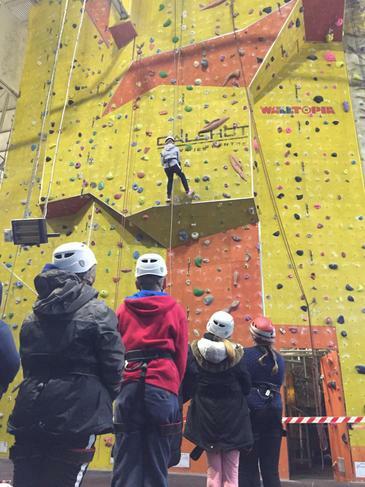 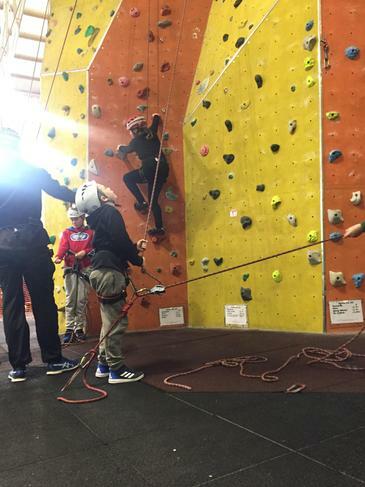 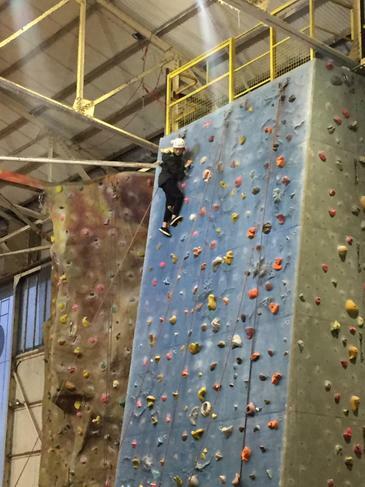 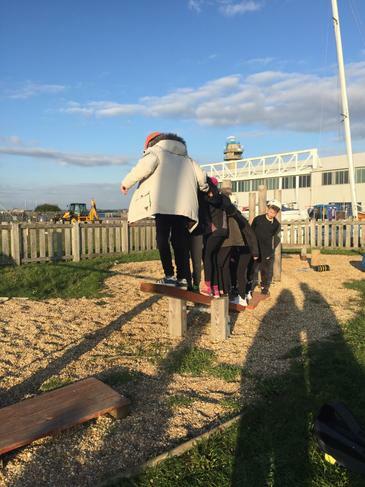 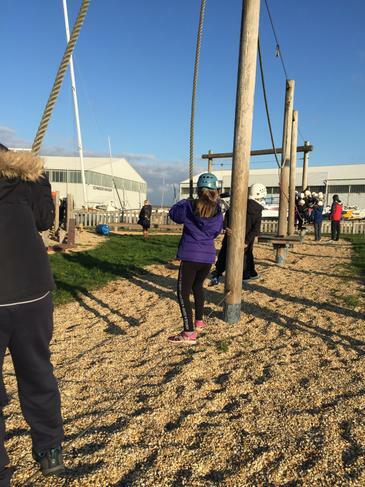 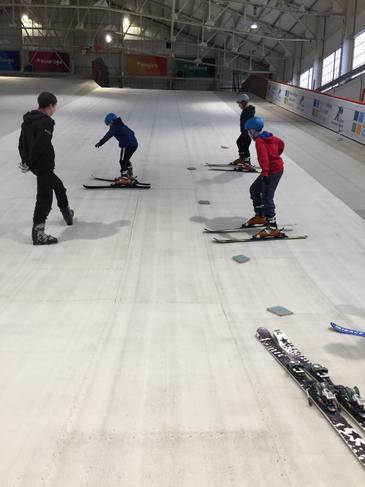 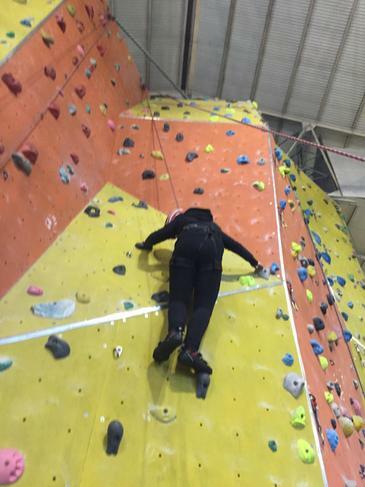 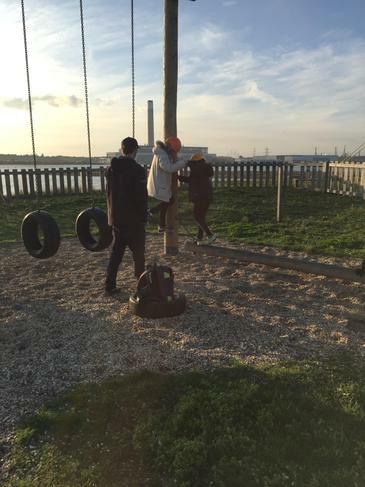 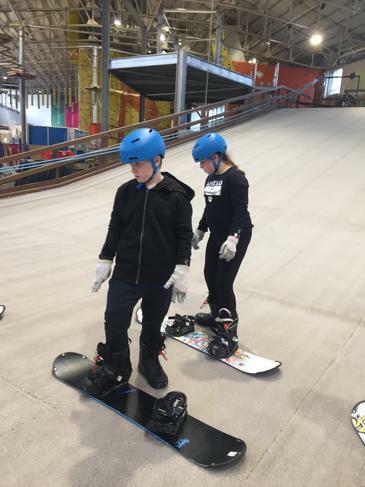 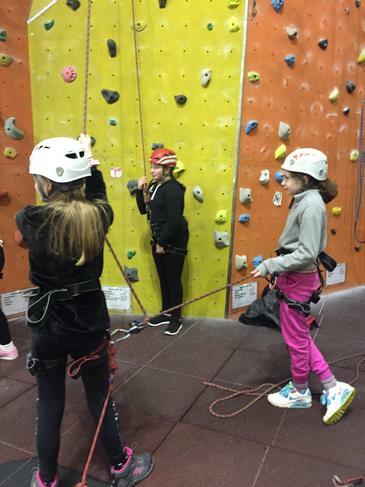 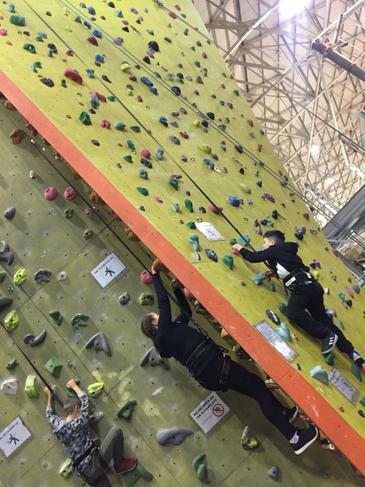 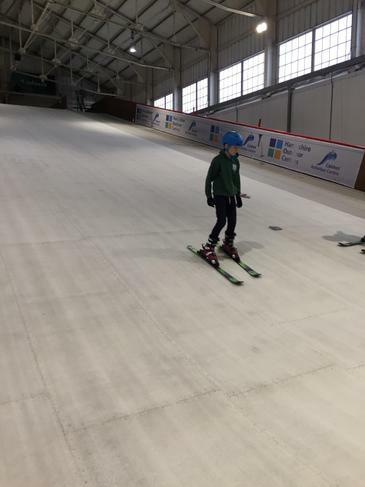 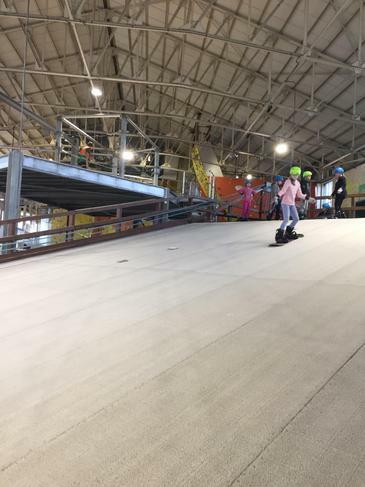 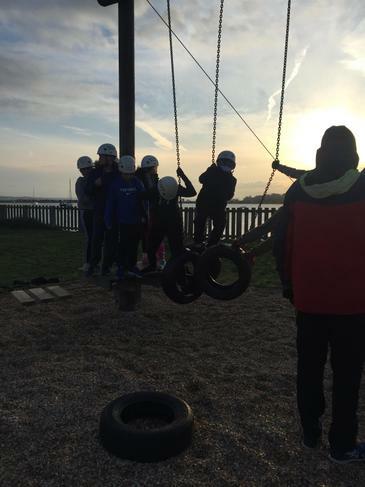 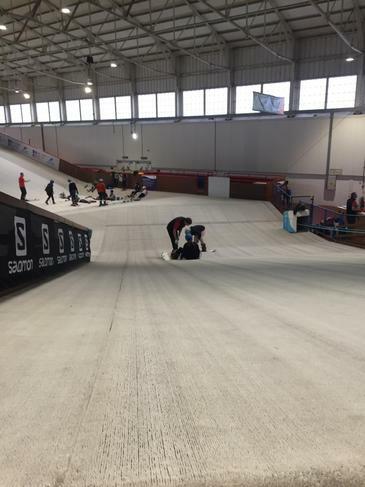 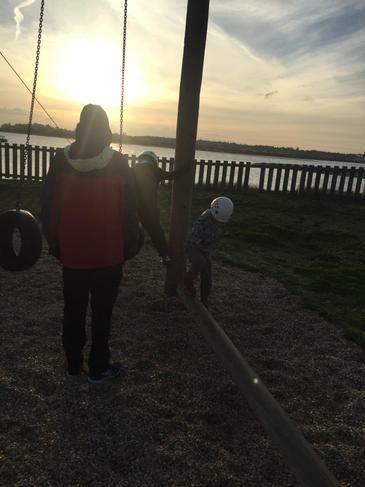 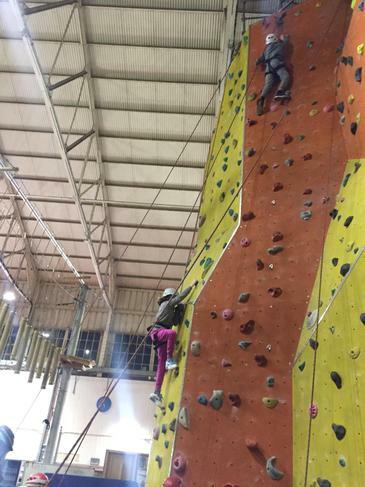 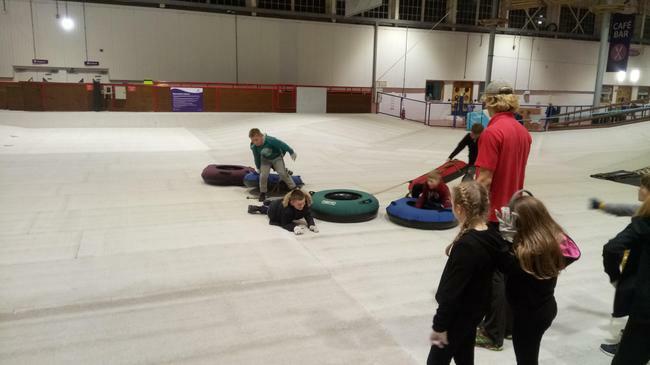 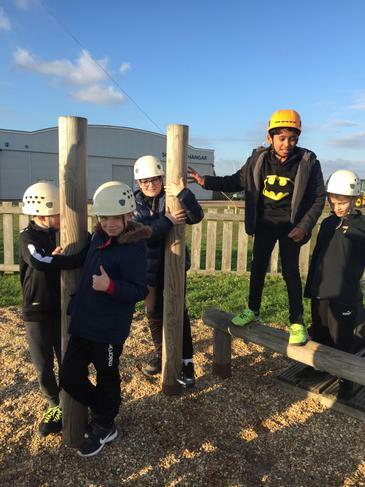 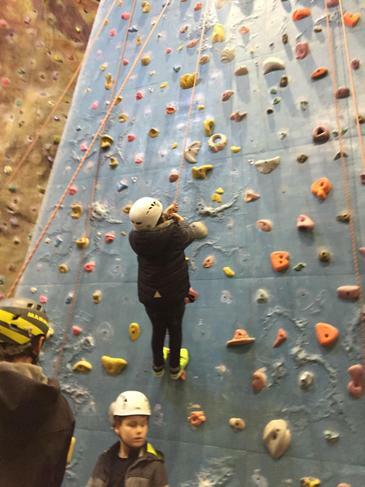 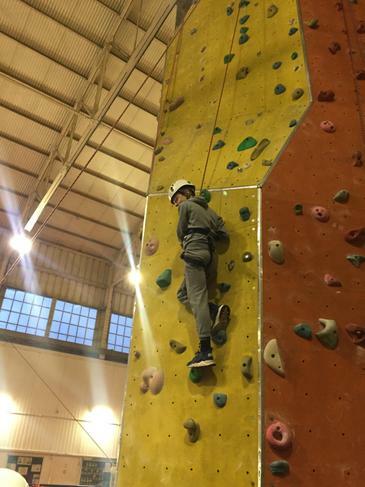 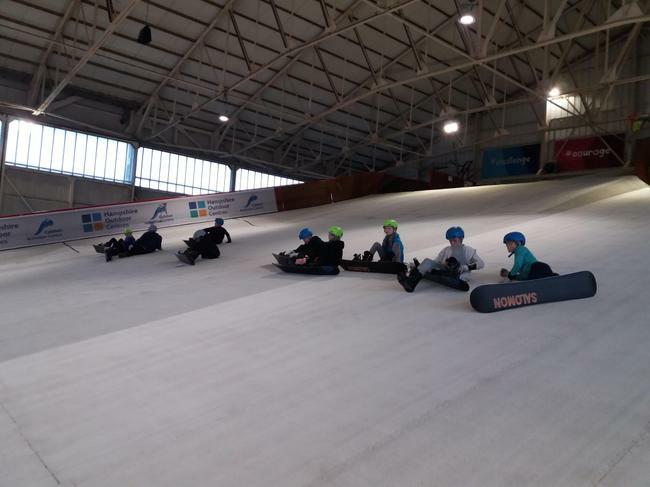 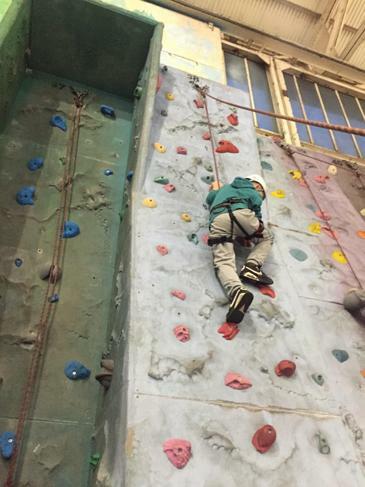 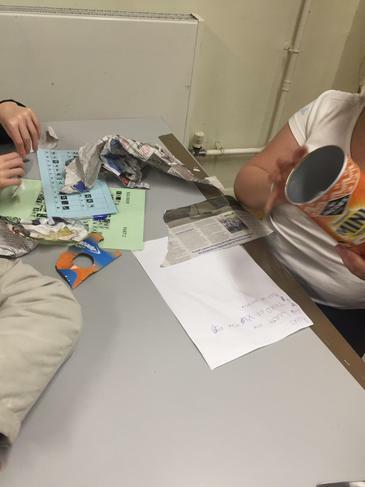 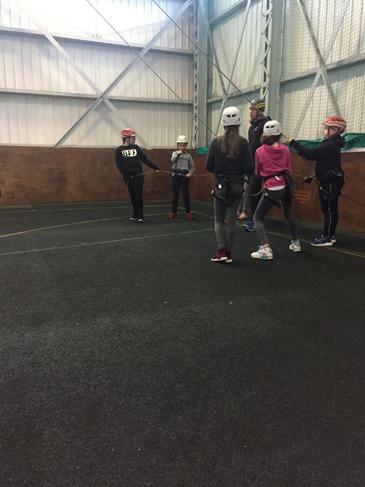 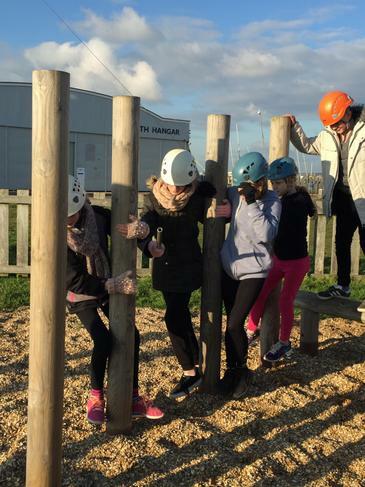 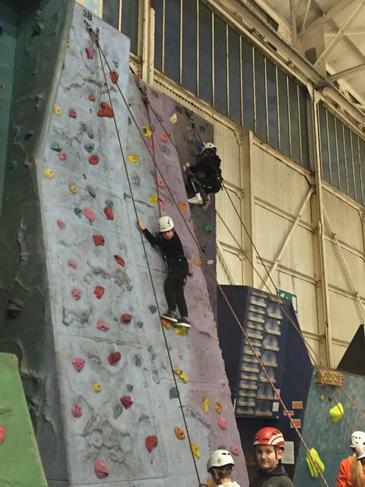 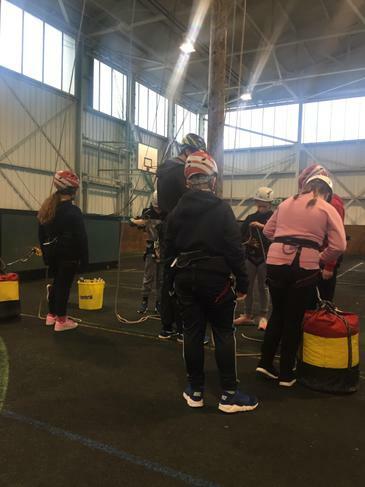 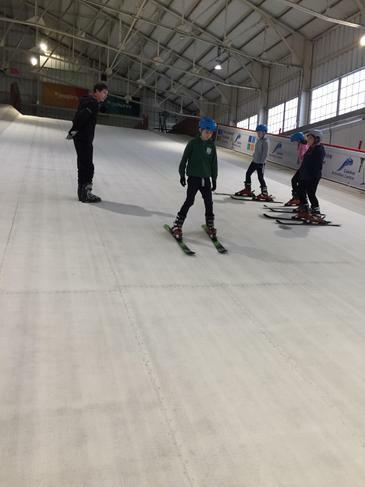 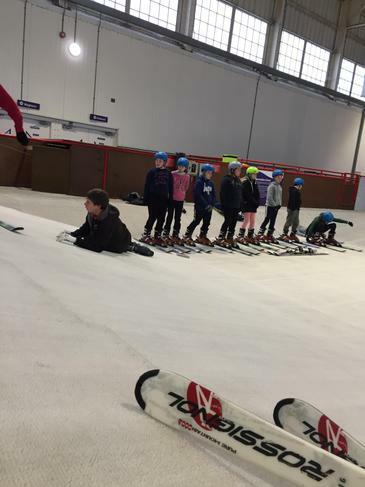 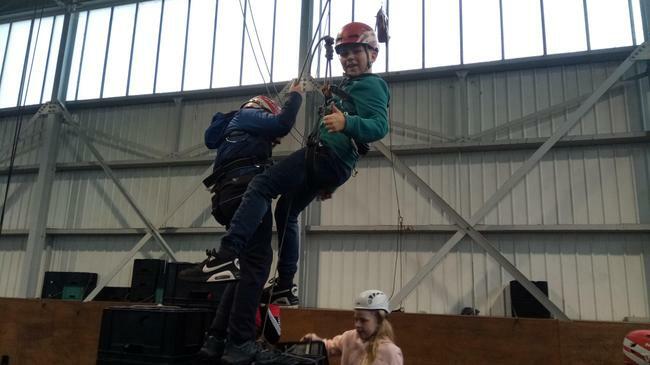 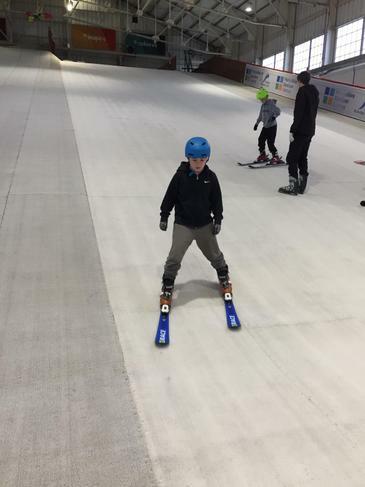 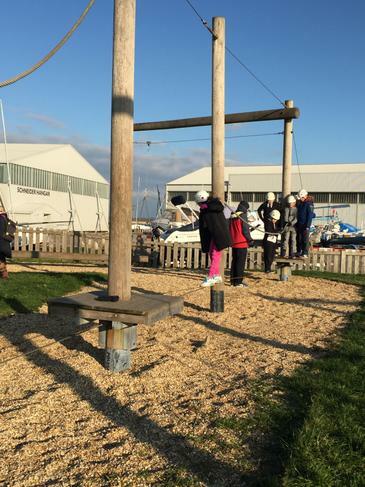 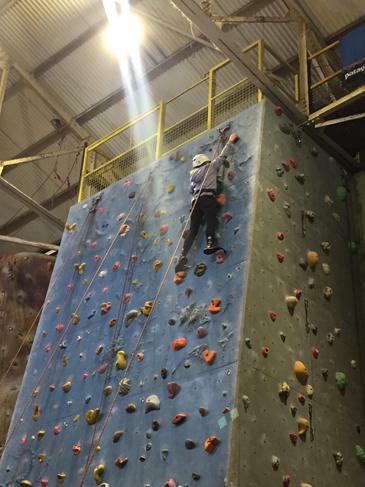 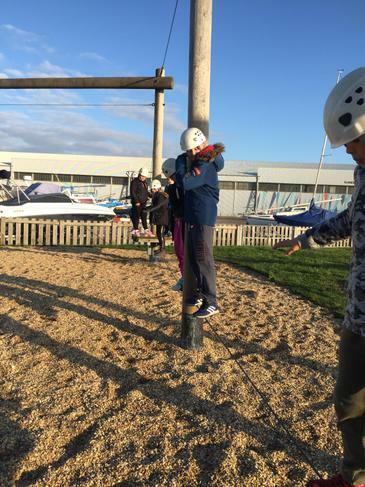 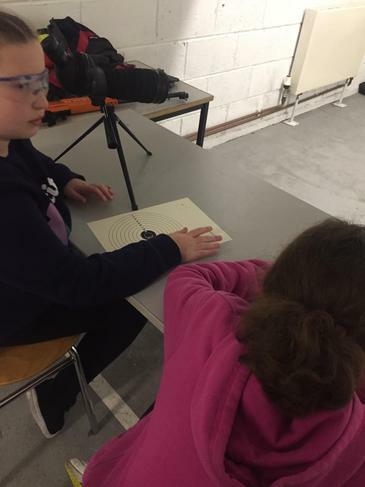 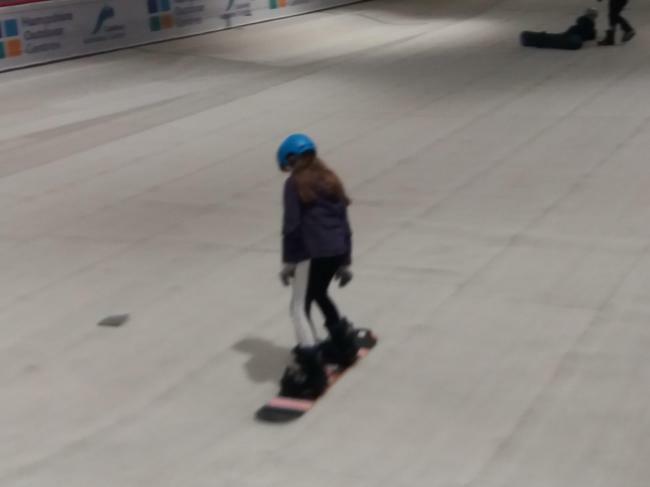 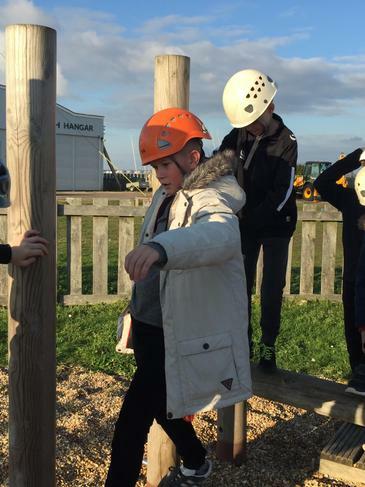 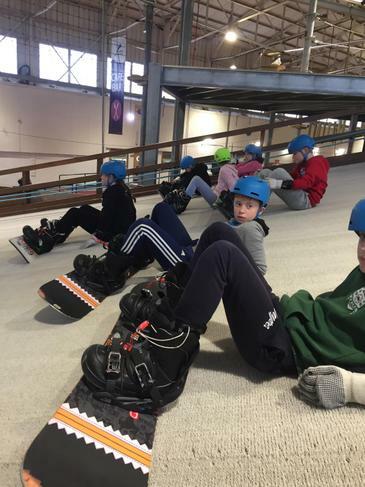 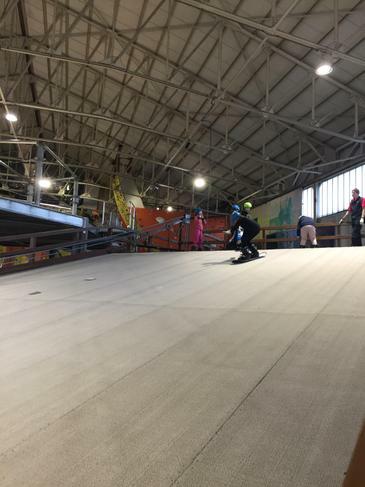 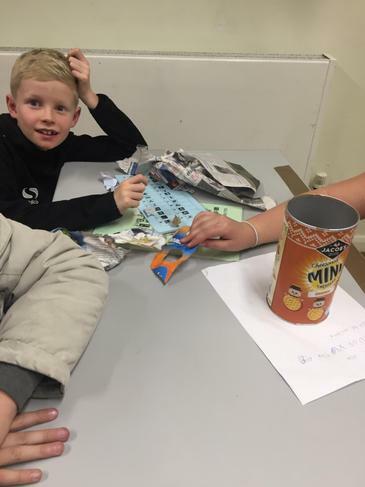 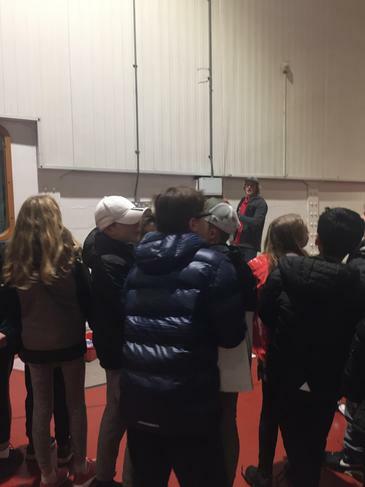 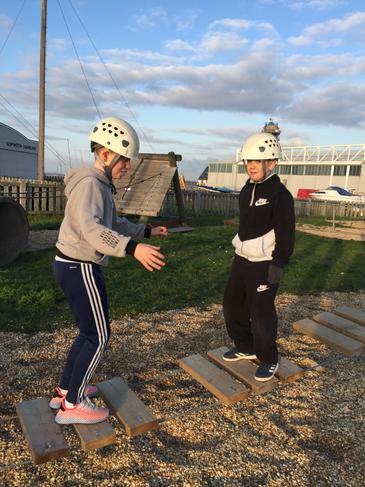 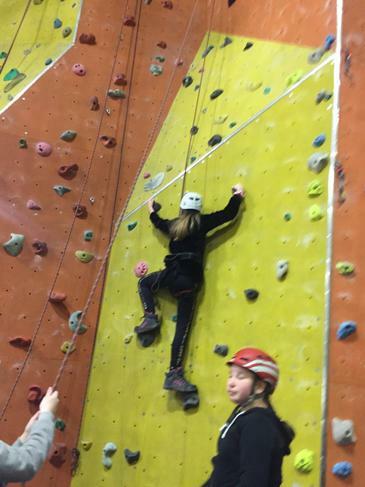 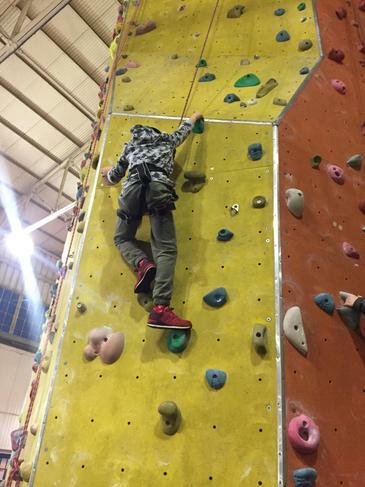 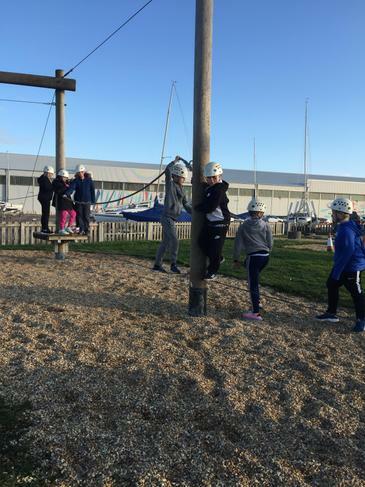 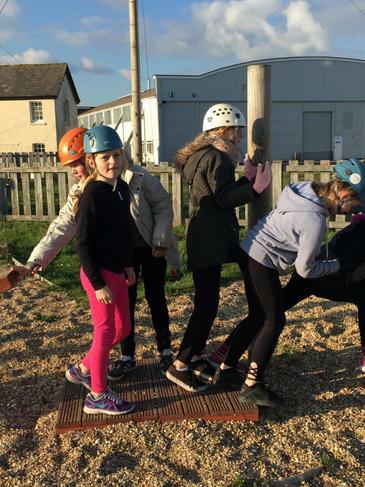 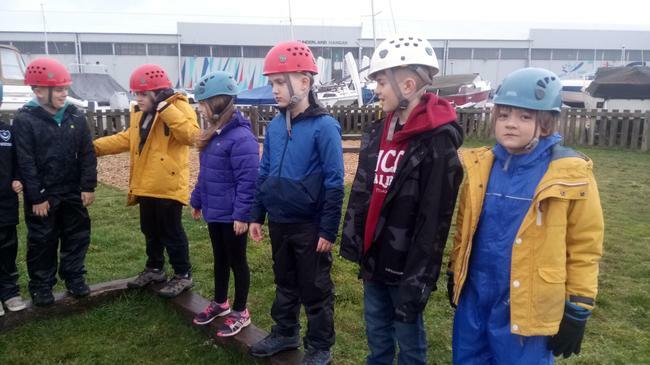 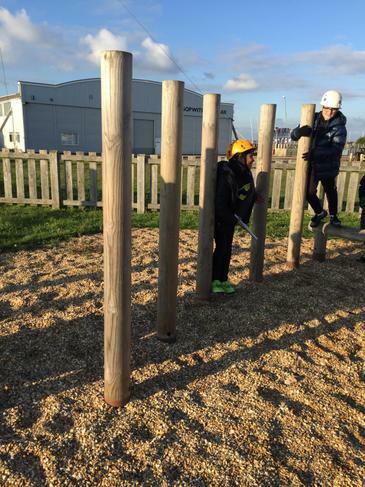 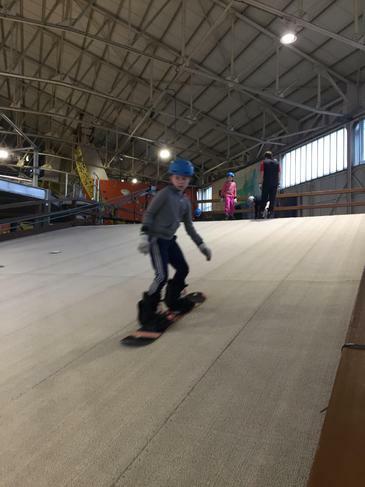 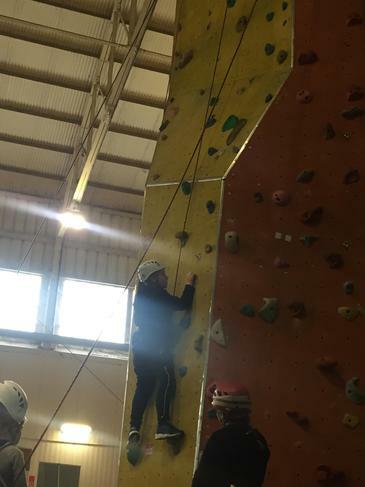 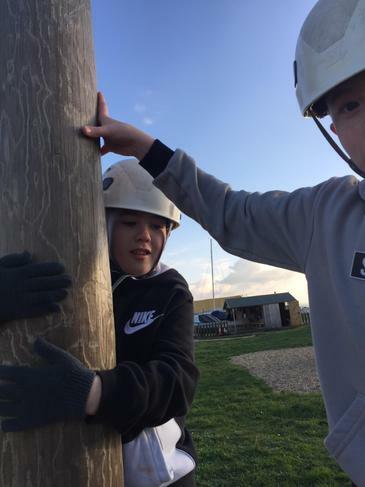 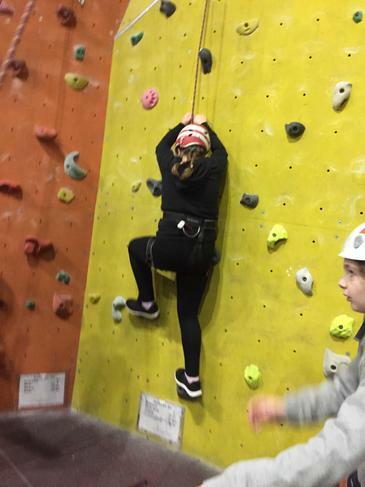 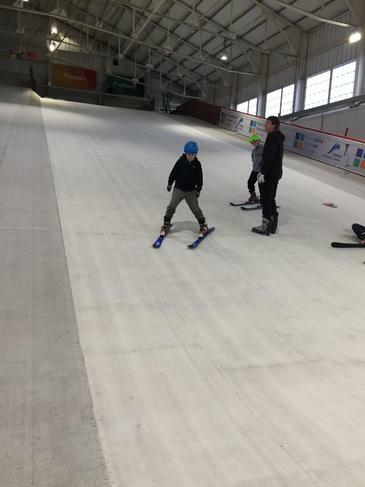 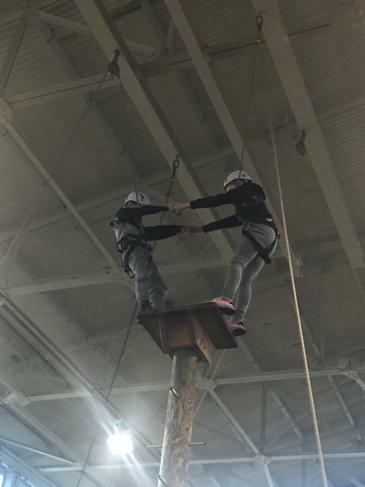 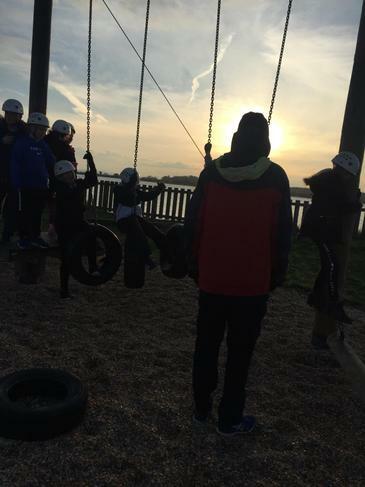 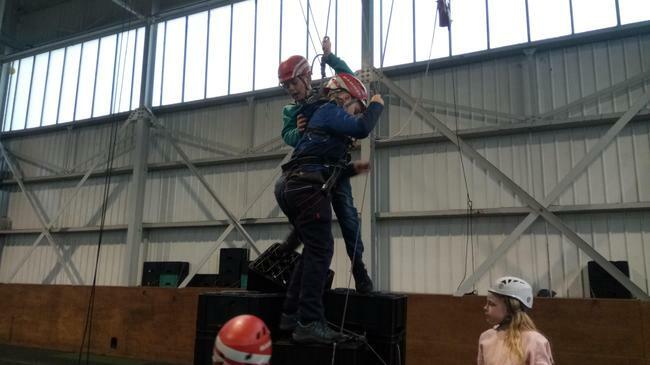 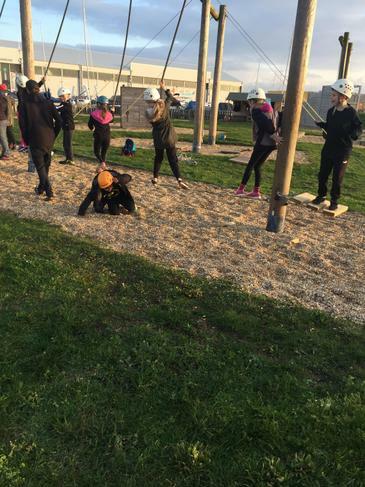 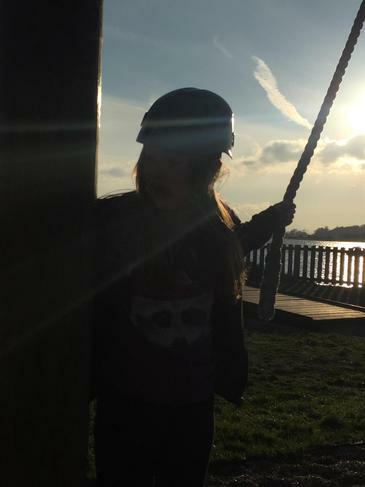 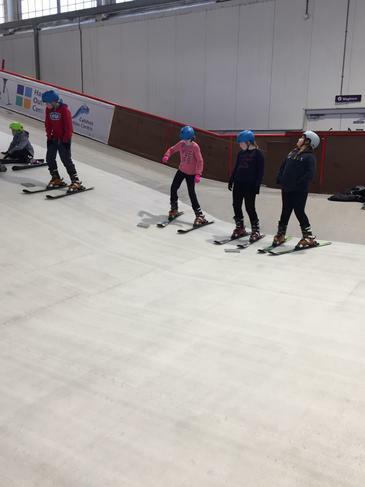 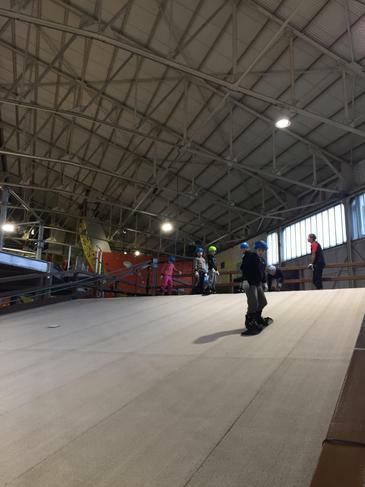 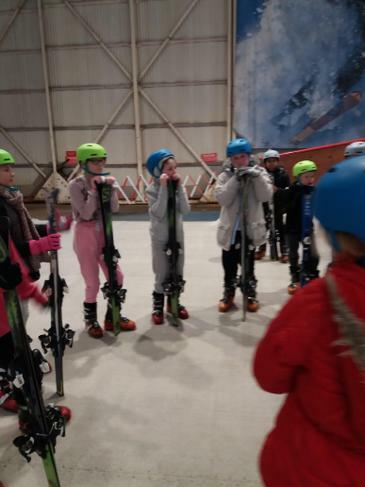 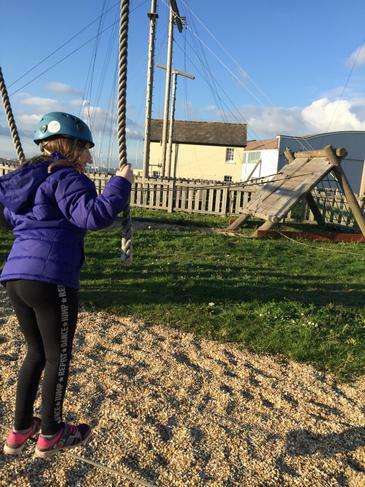 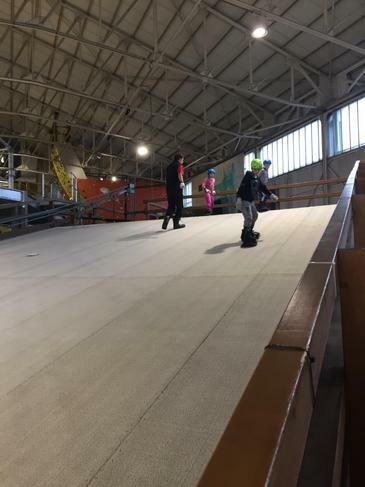 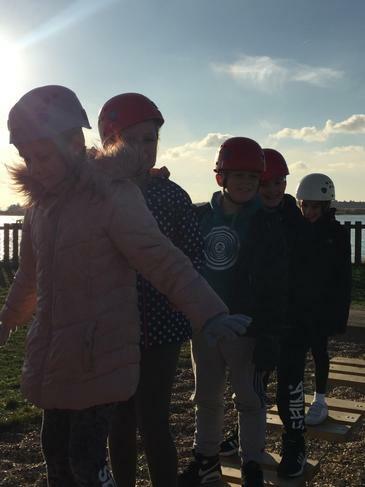 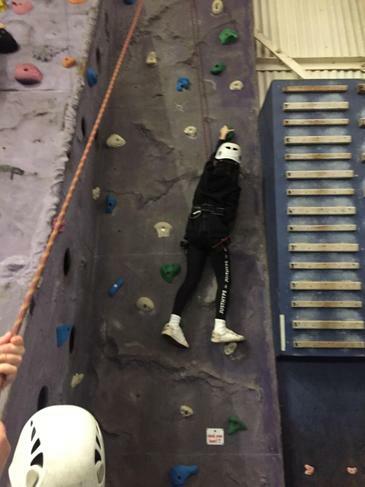 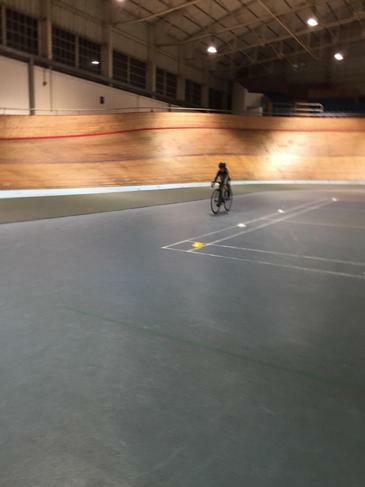 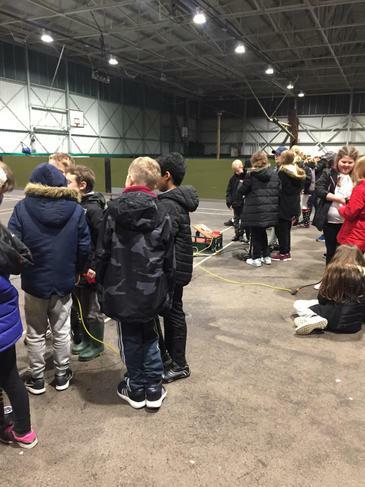 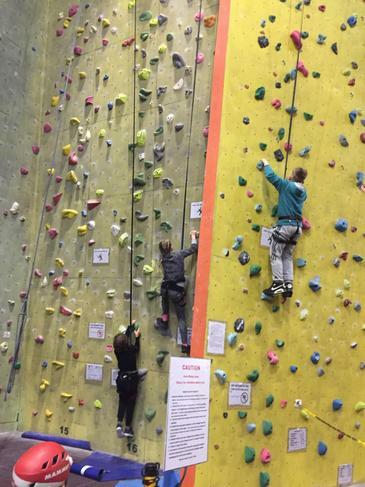 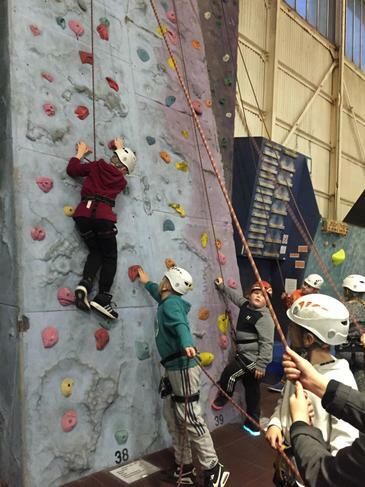 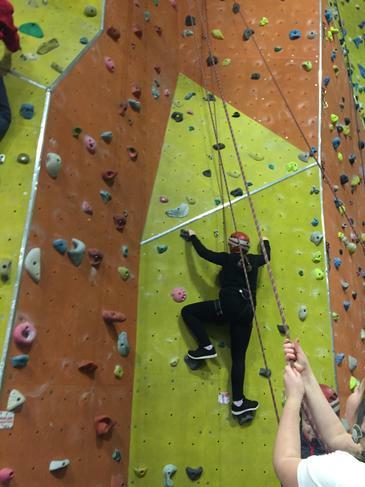 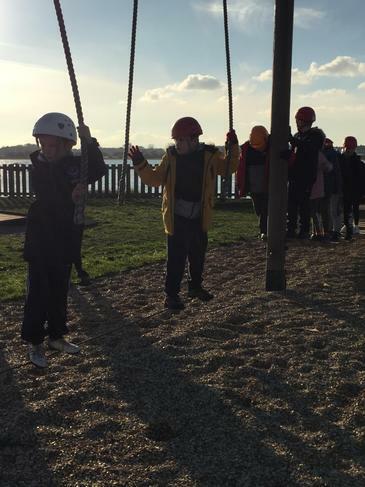 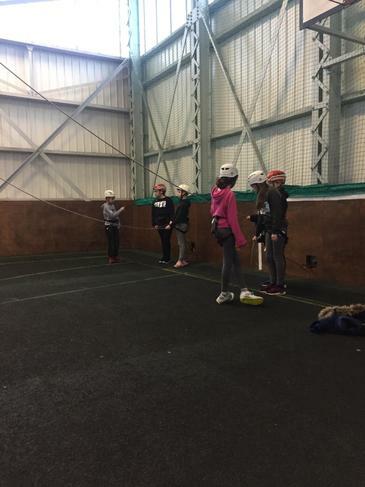 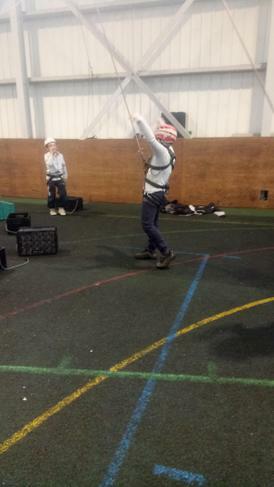 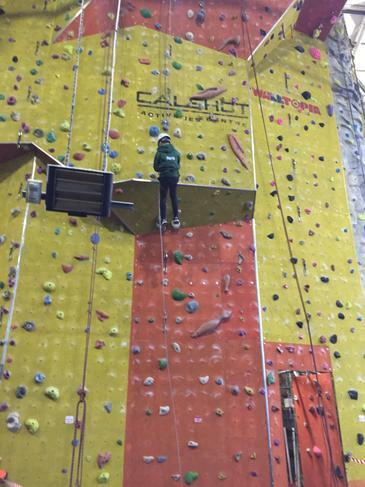 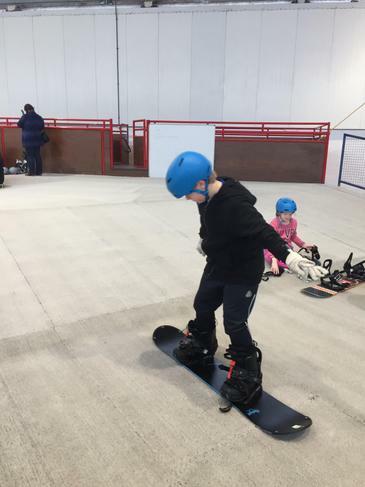 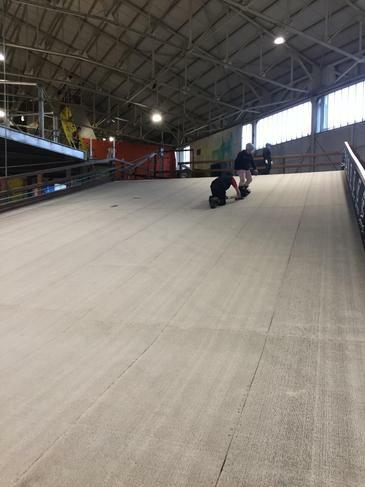 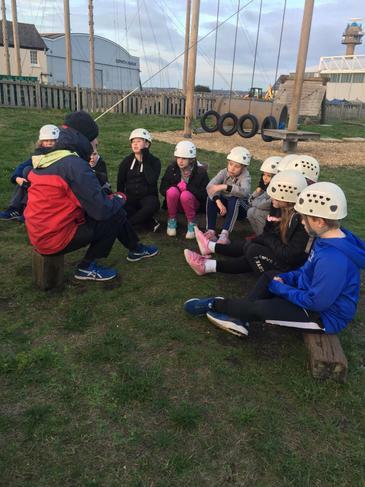 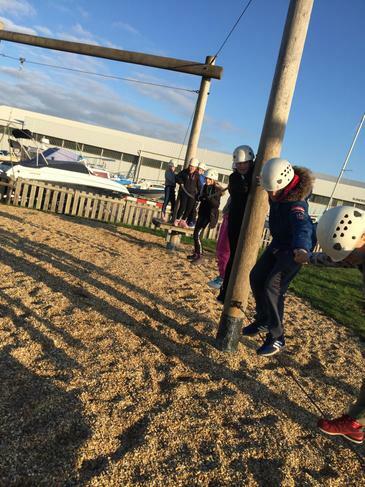 On day three, they have had the opportunity to go abseiling, snowboarding, peg pole, crate stack, track cycling and egg drop for their evening activity. 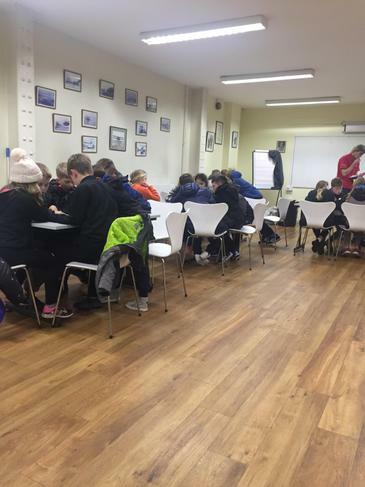 After a good sleep, pupils selected a choice of hot or cold breakfast including pancakes and cereal. 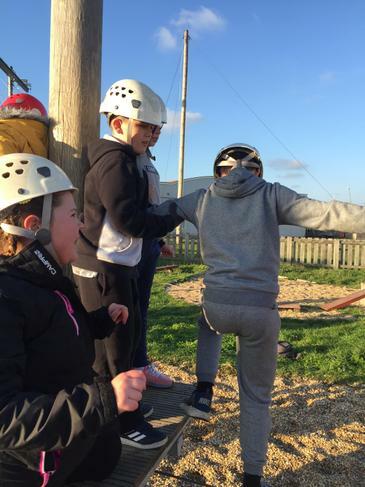 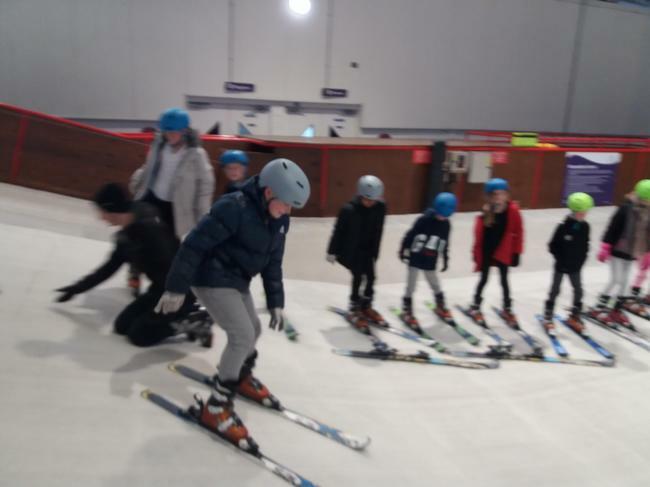 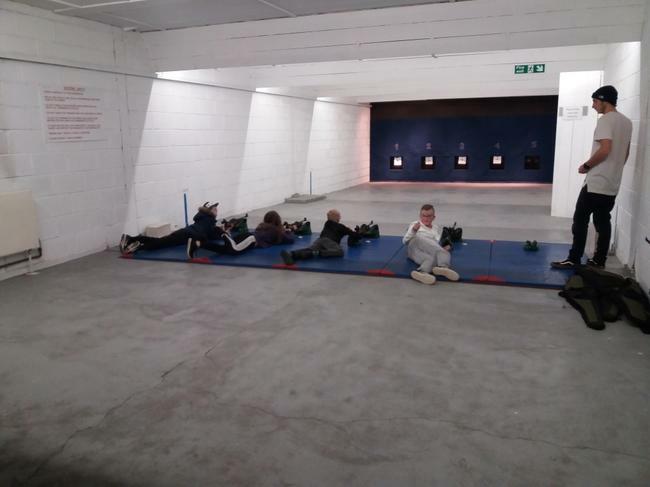 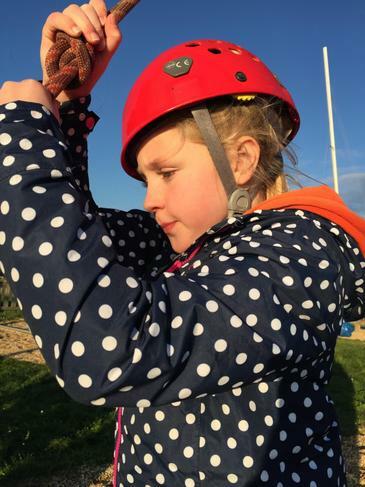 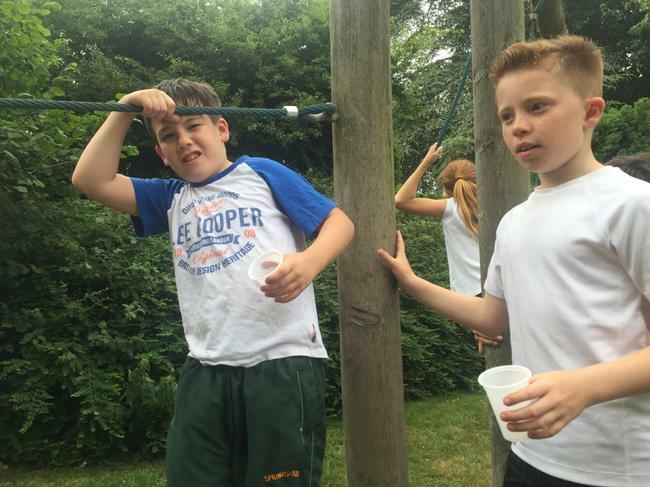 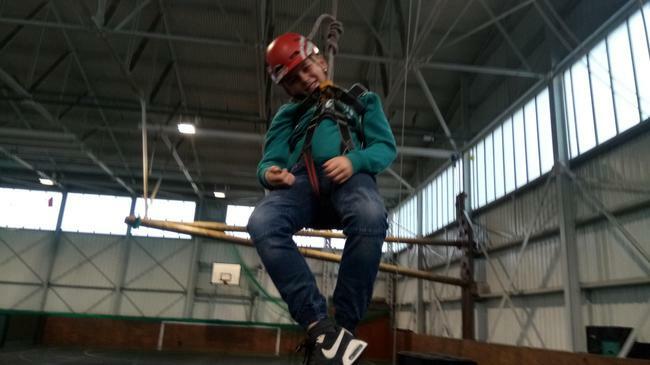 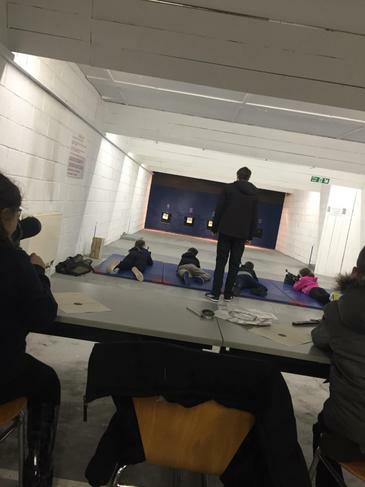 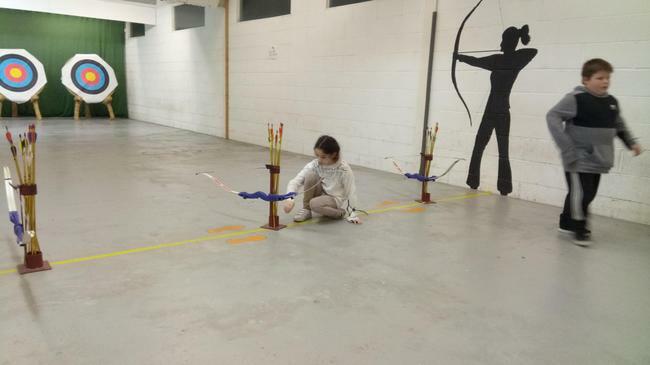 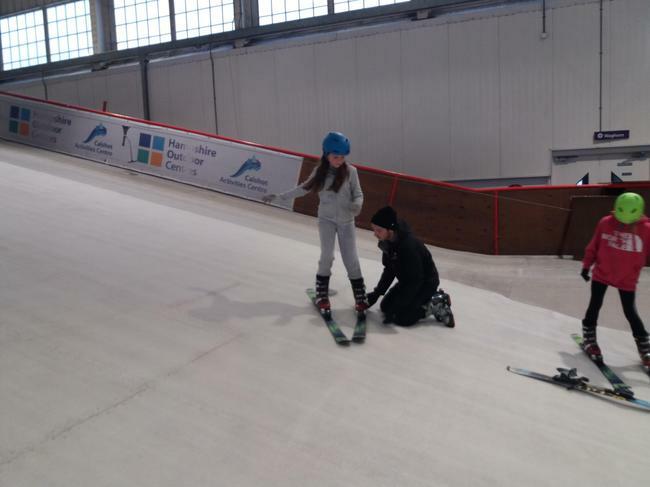 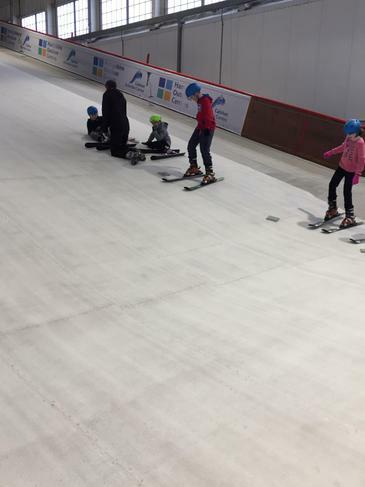 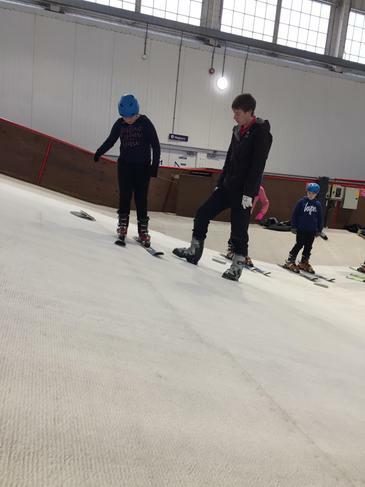 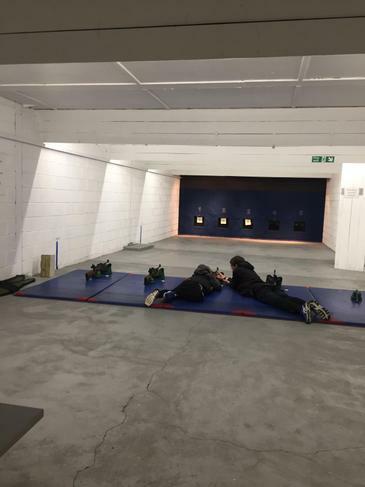 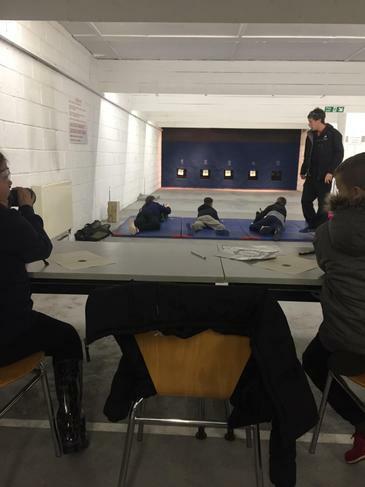 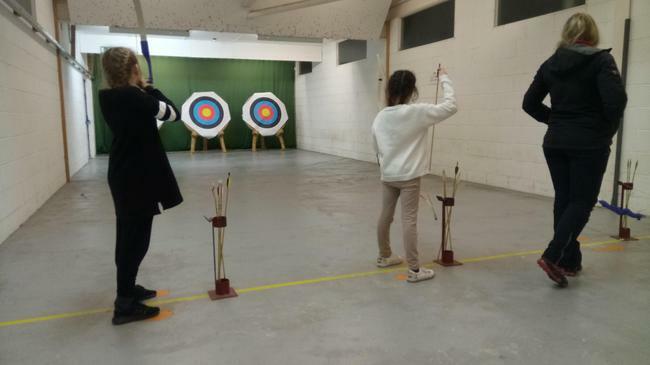 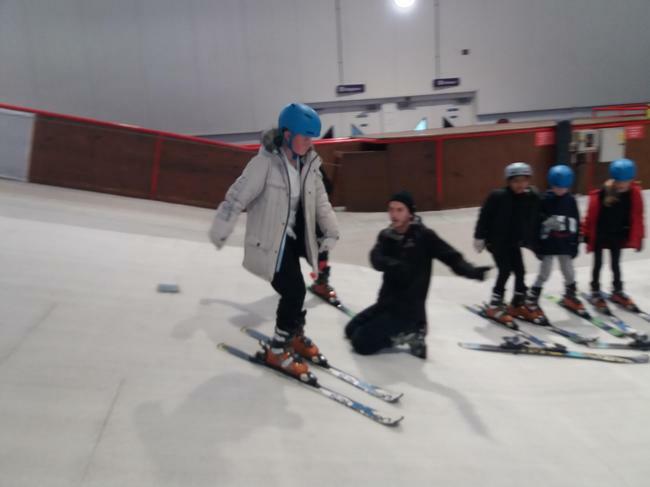 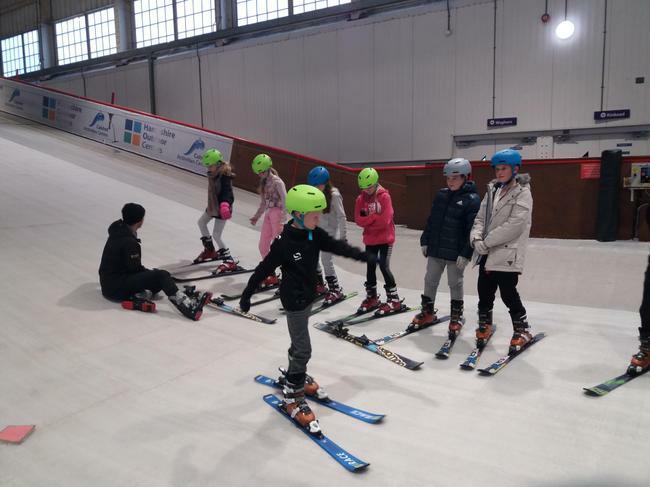 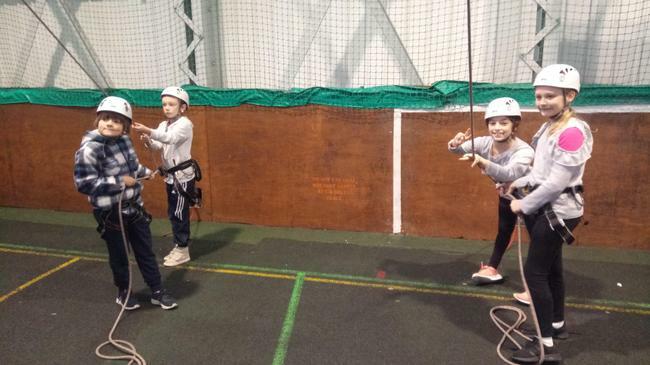 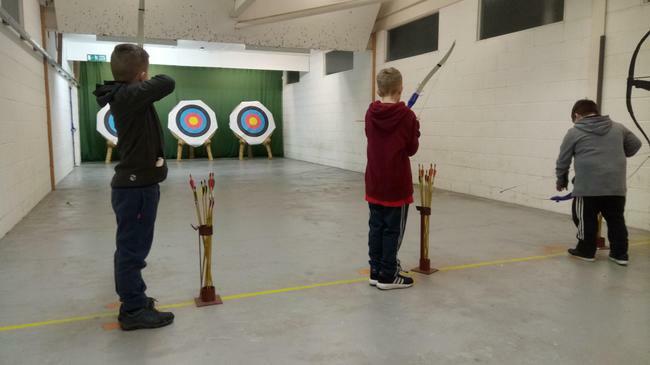 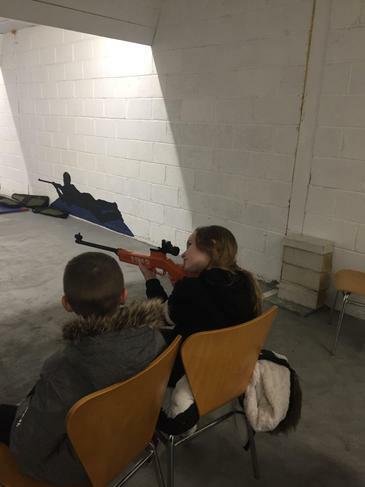 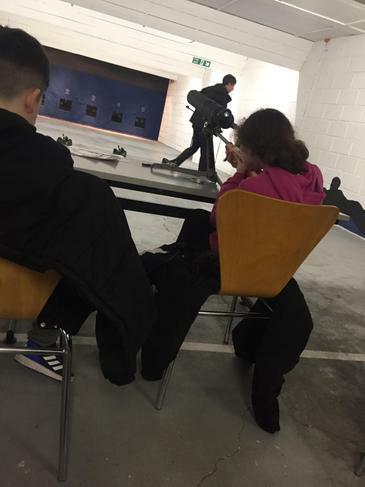 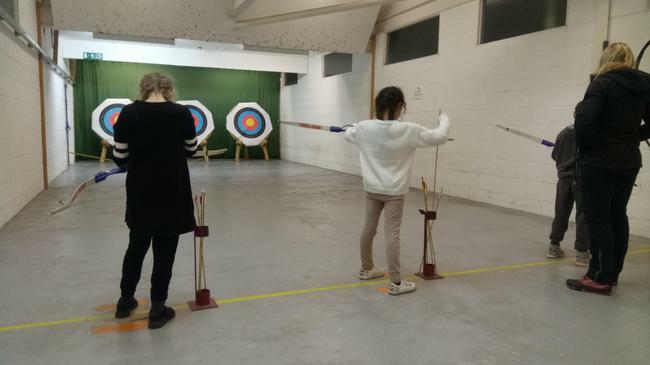 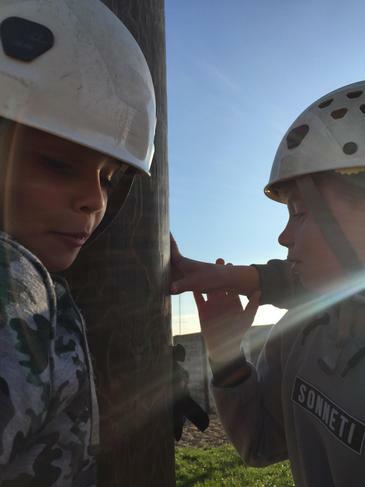 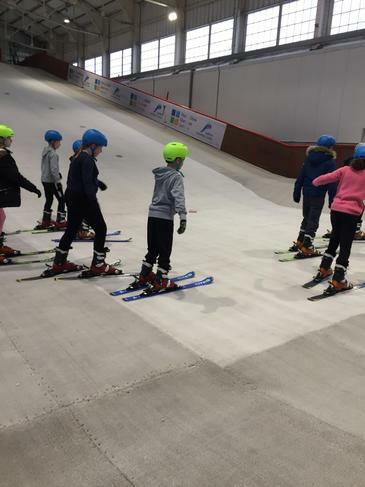 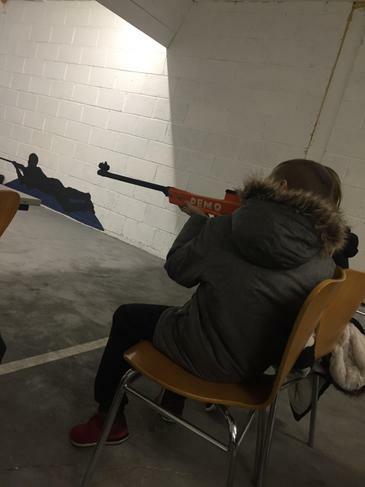 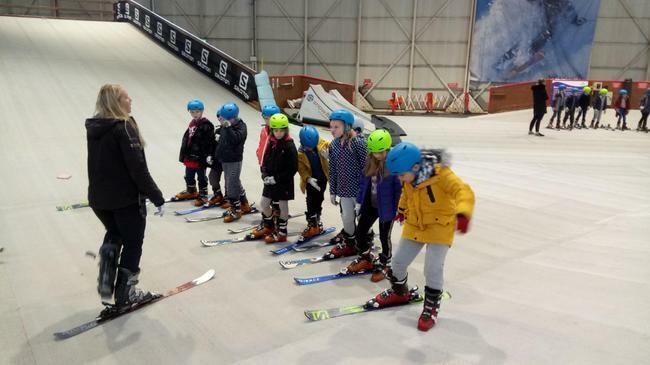 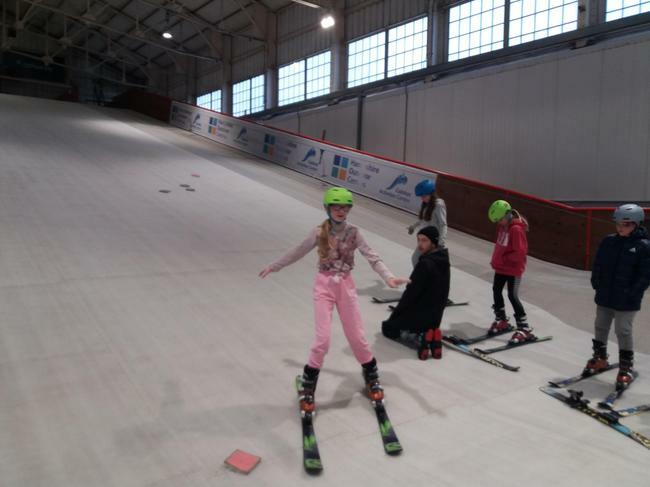 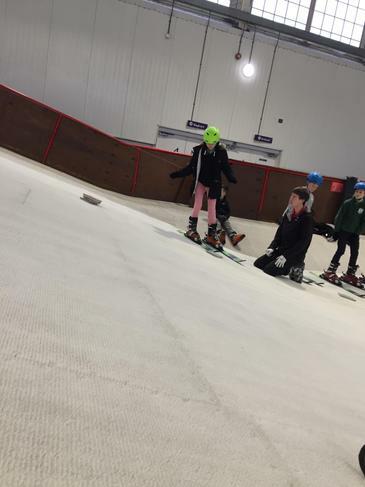 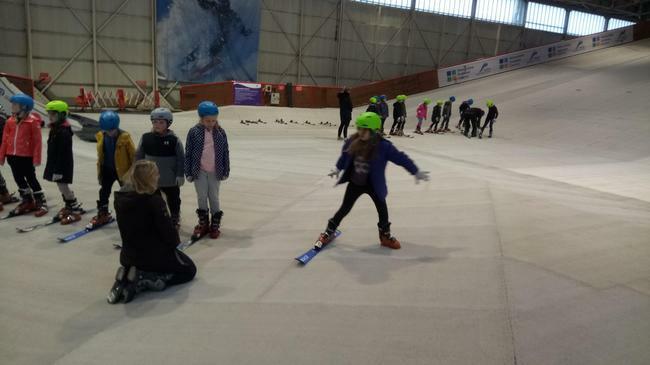 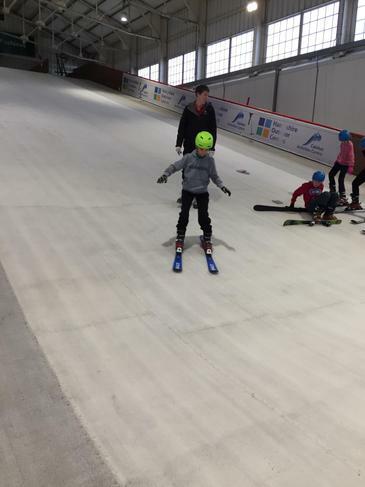 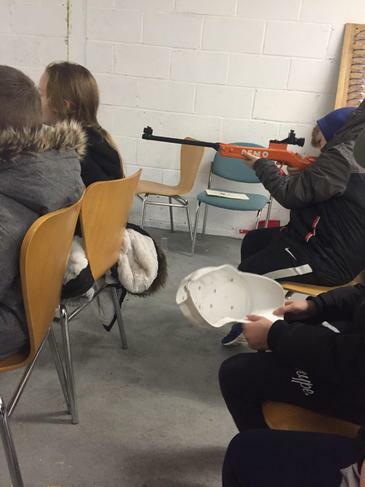 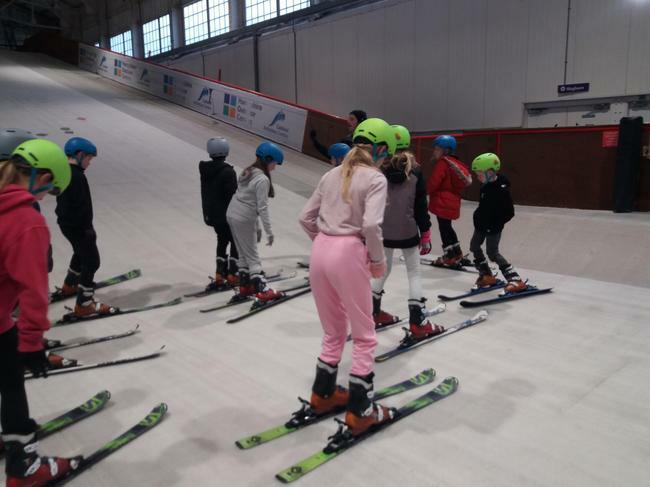 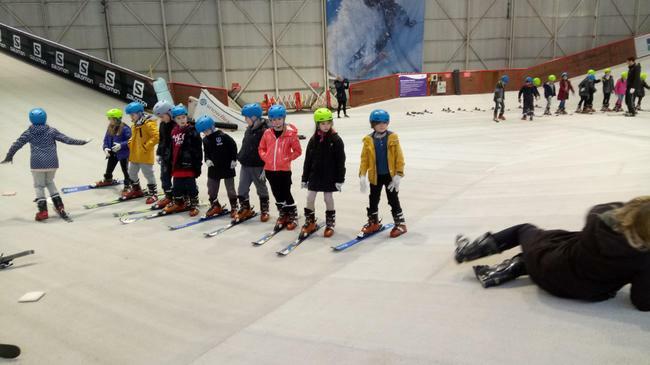 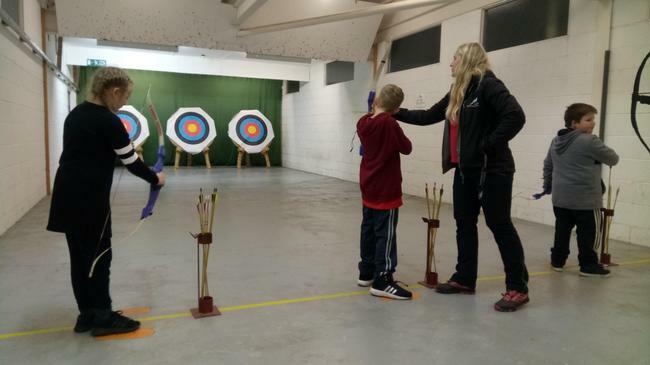 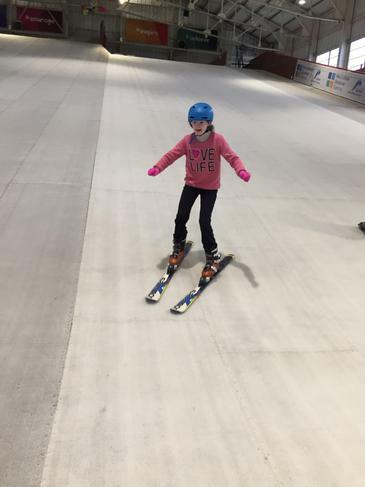 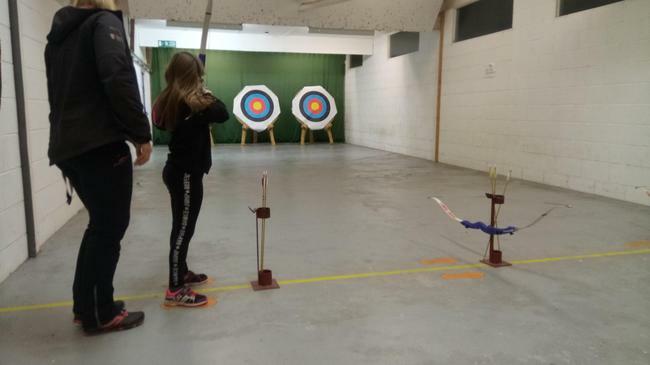 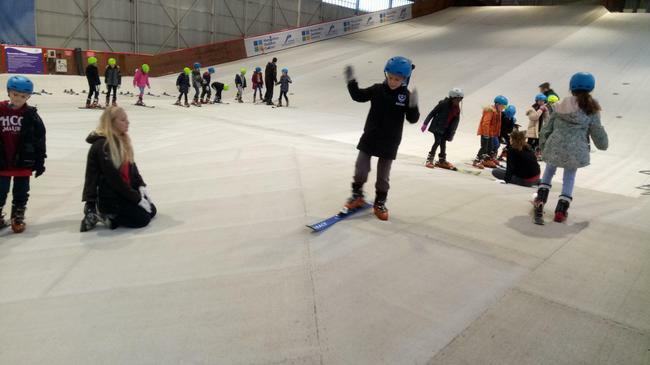 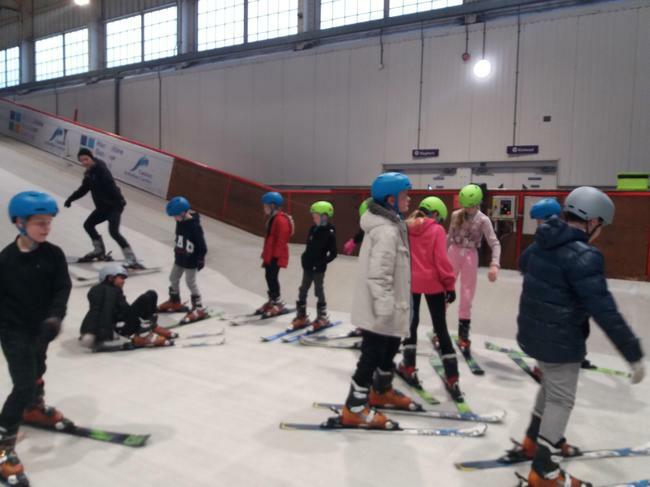 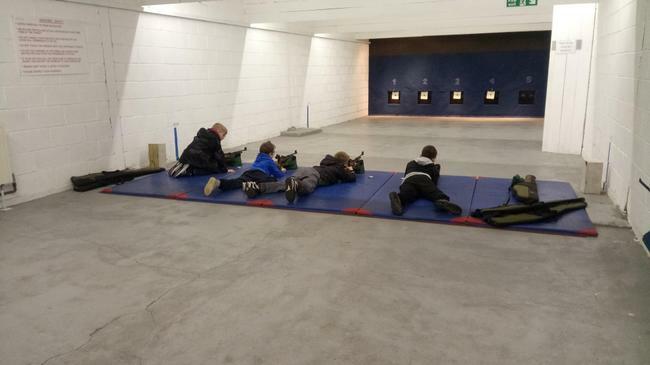 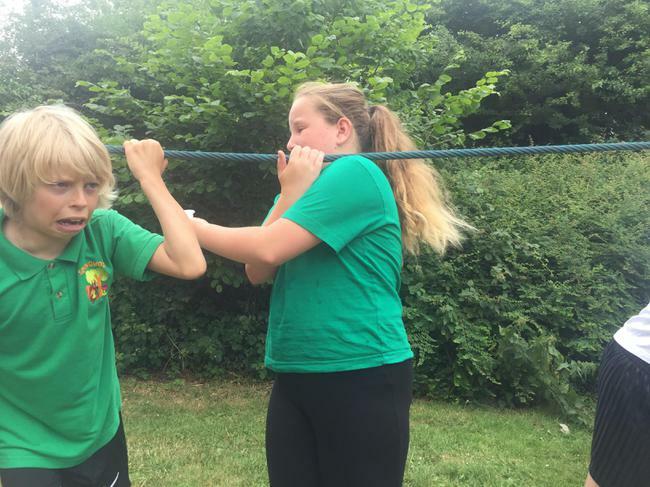 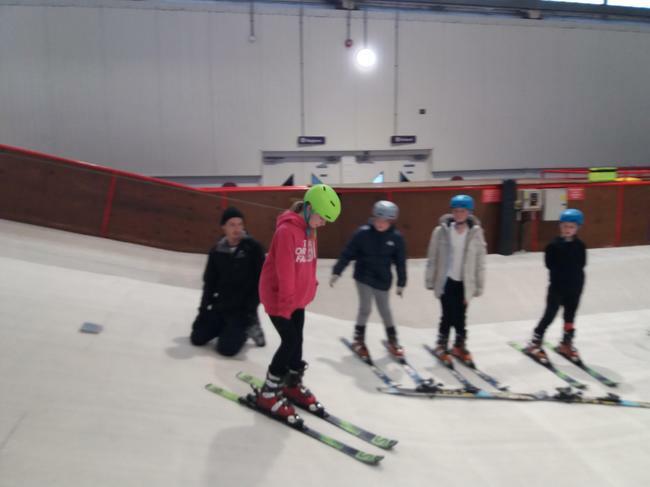 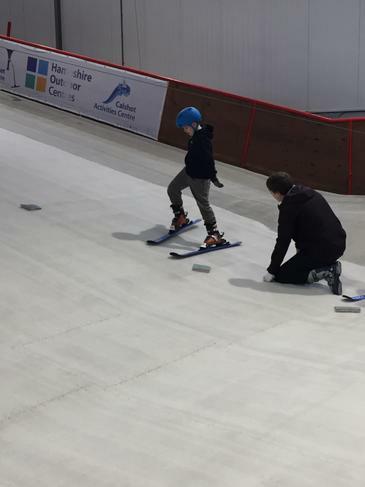 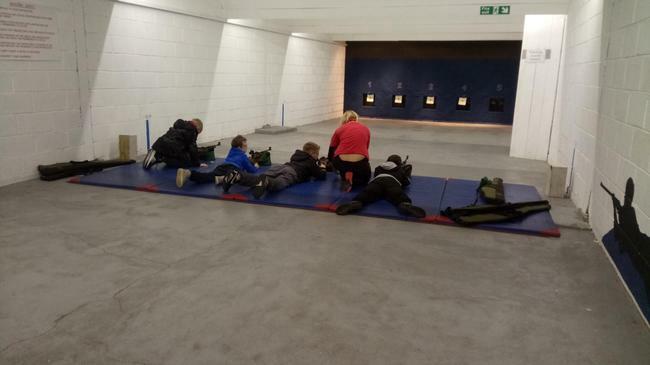 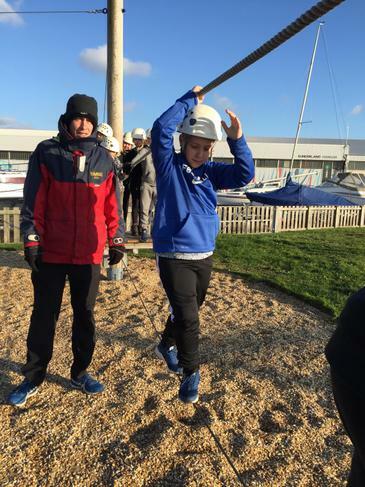 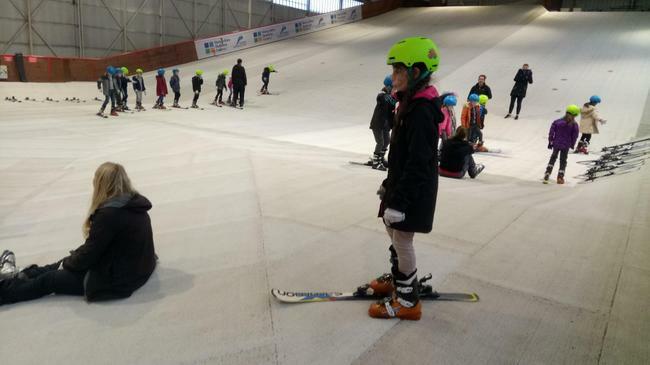 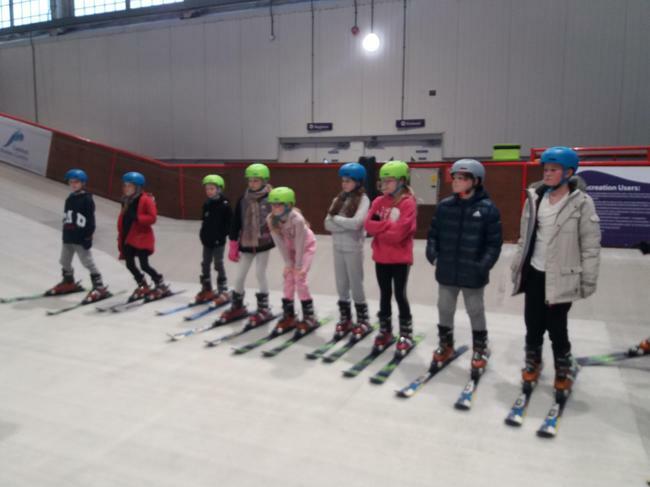 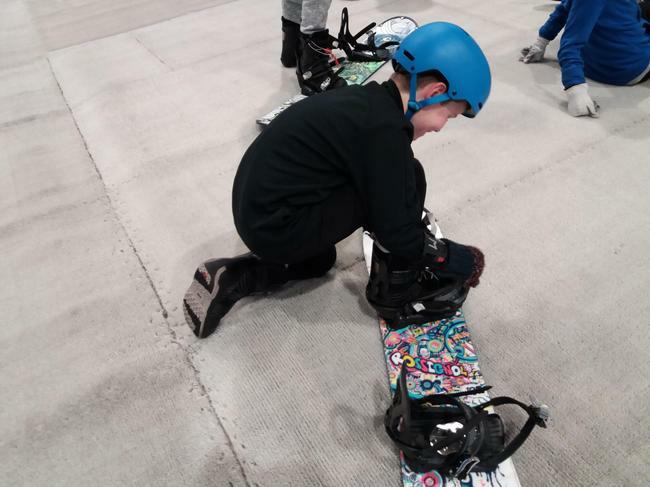 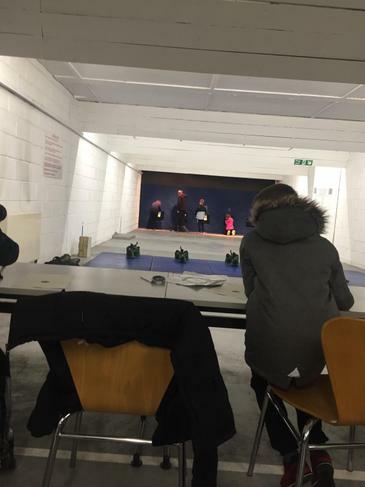 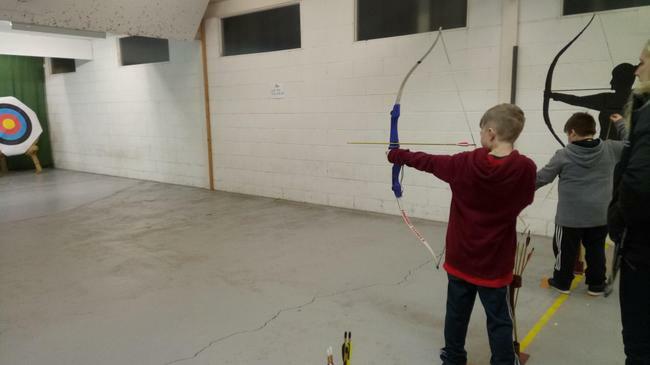 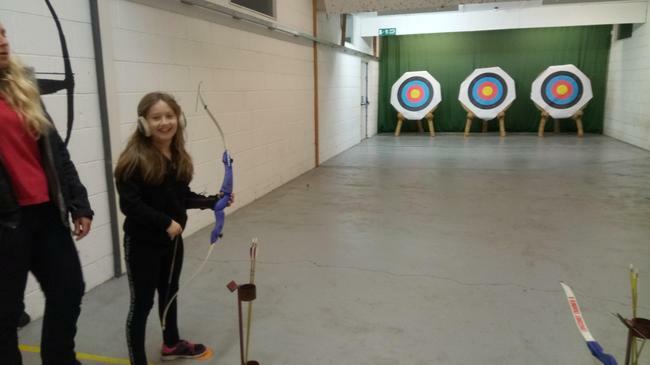 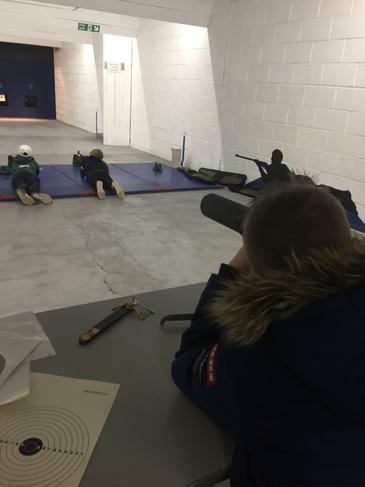 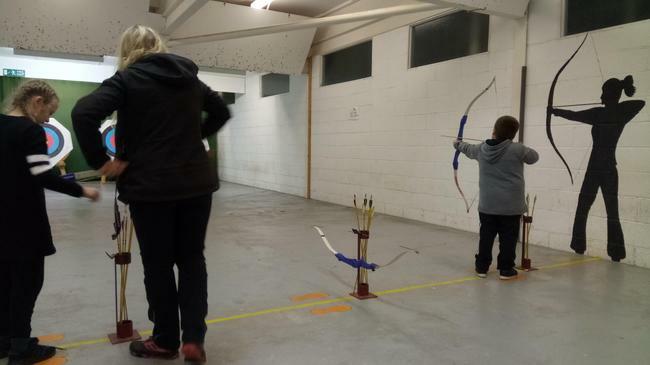 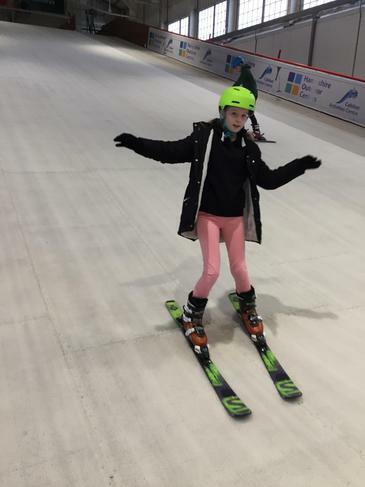 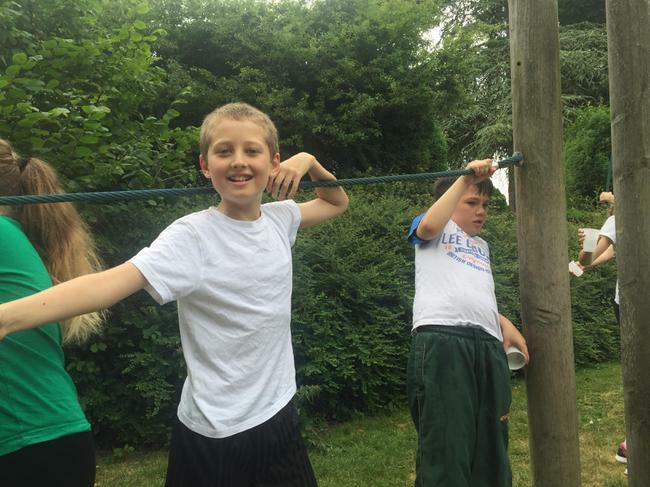 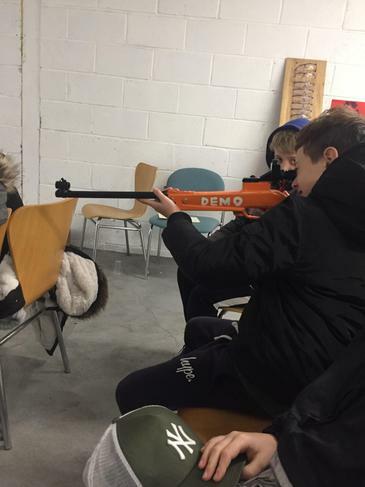 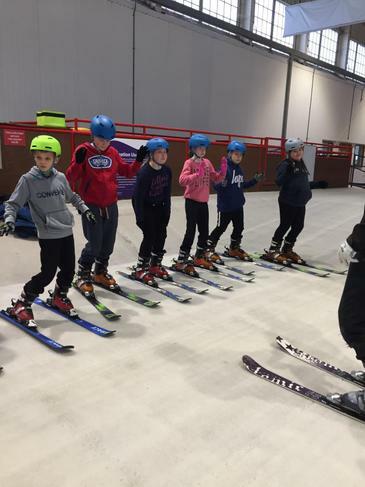 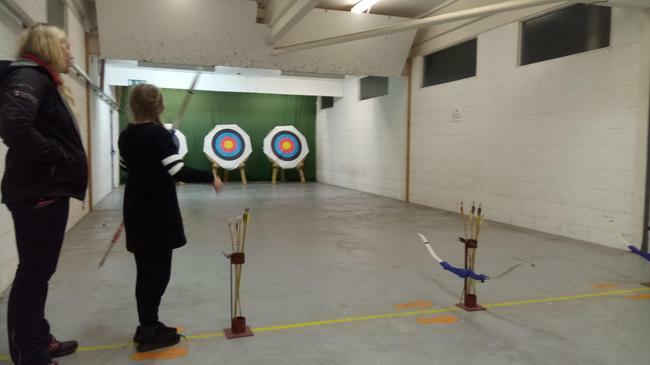 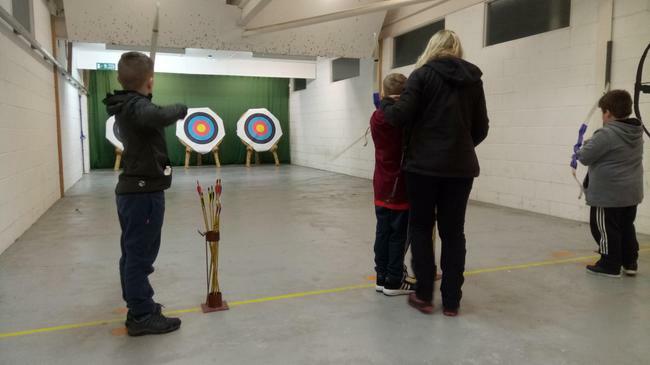 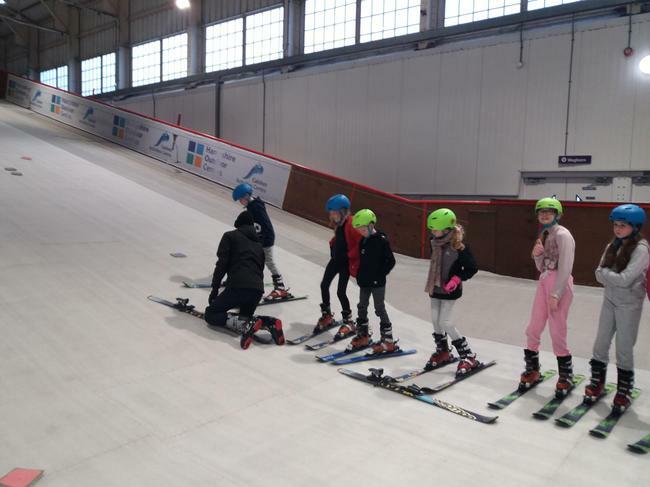 They have completed a range of activities throughout the day: skiing, archery, shooting and abseiling. 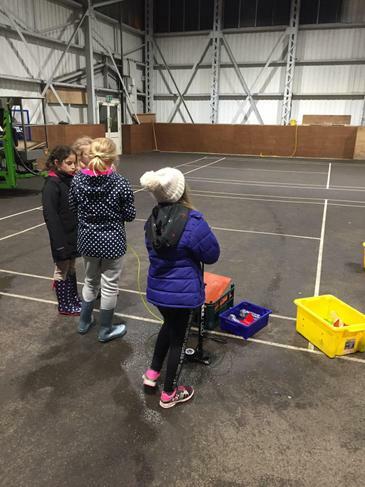 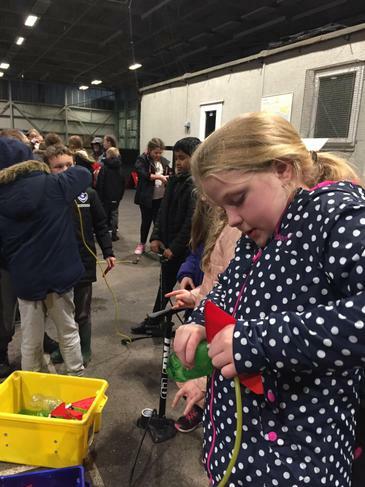 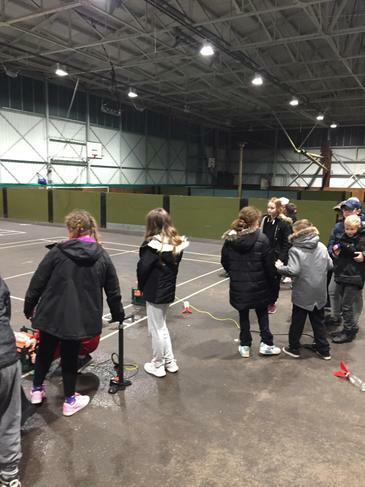 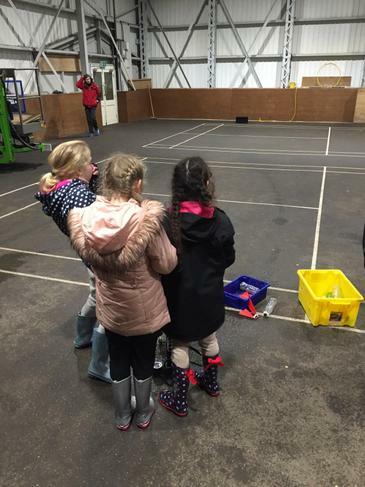 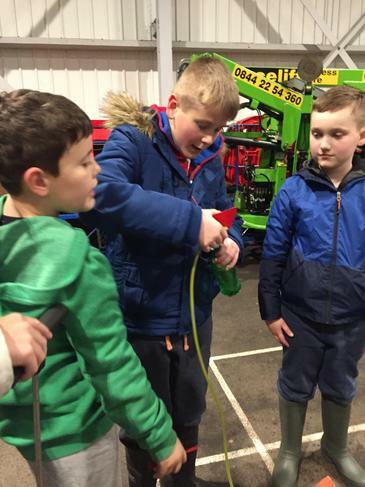 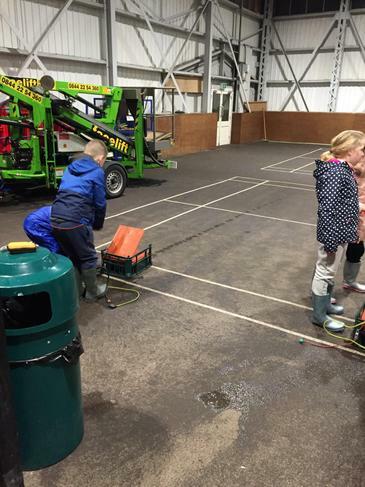 In the evening after dinner, pupils creating their own rocket which they shot using air and water. 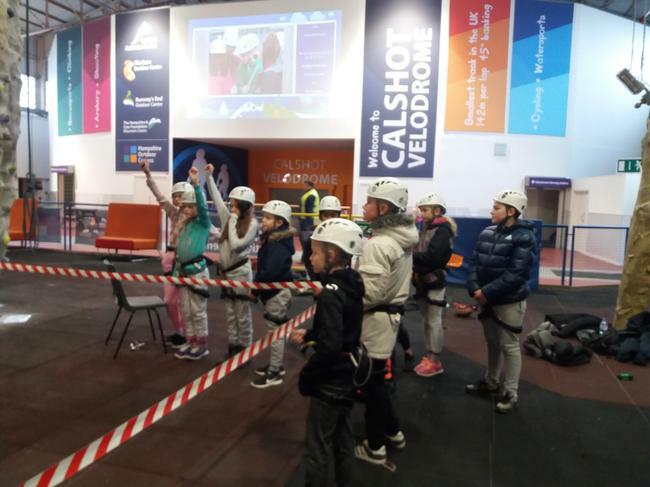 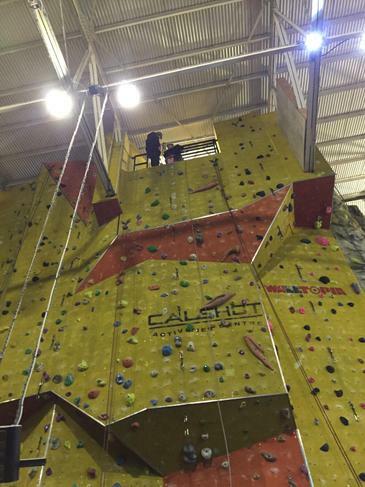 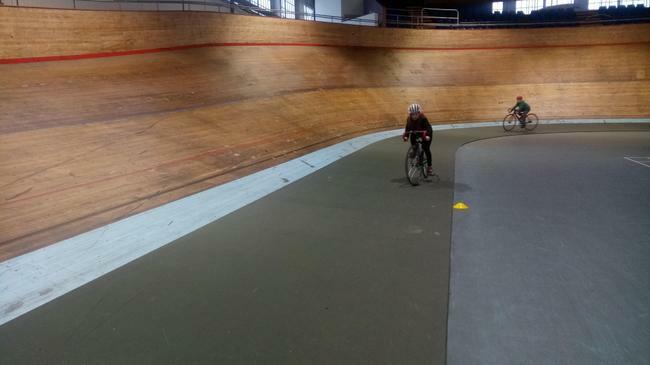 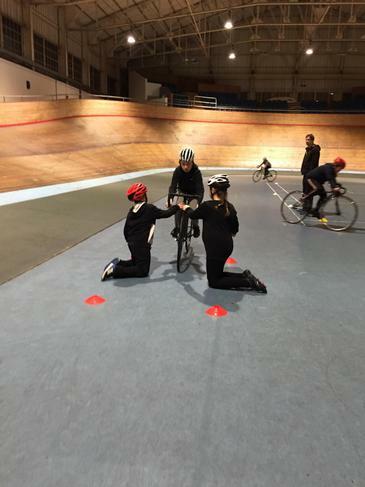 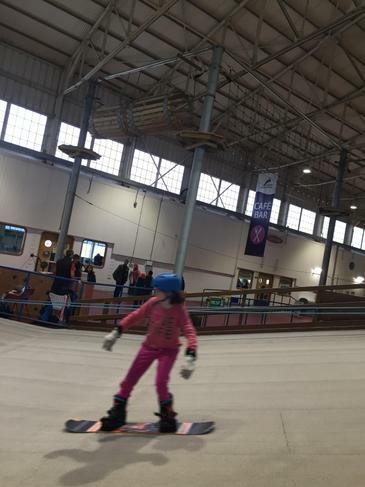 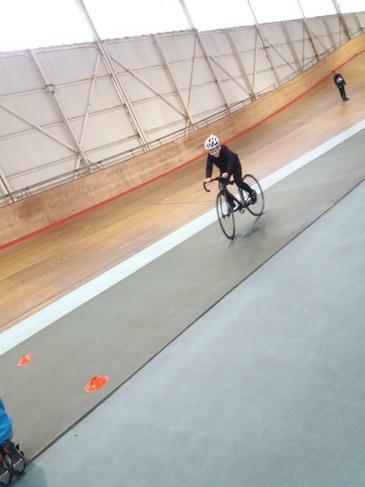 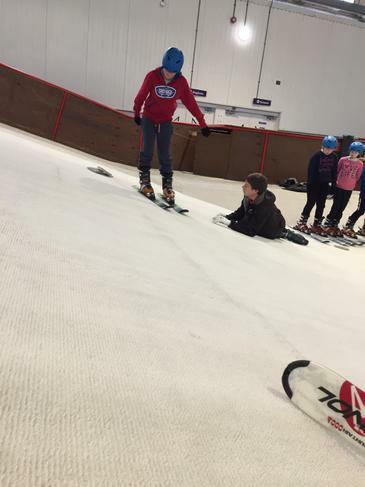 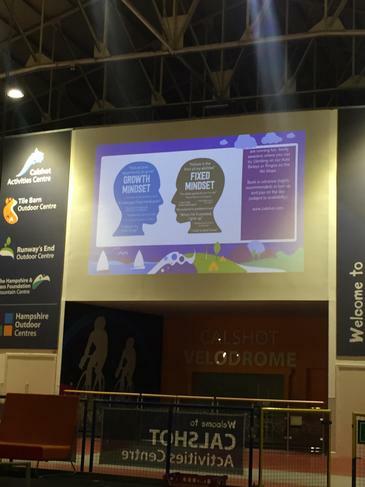 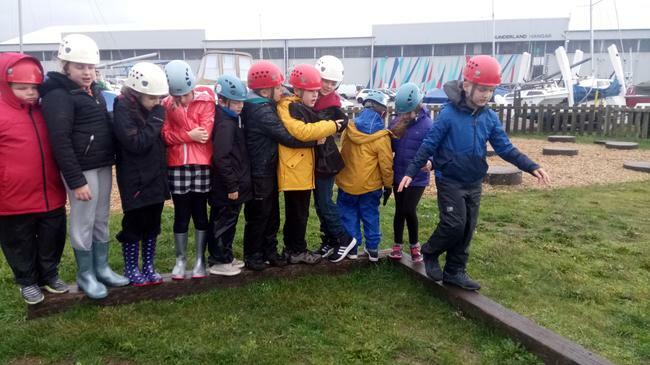 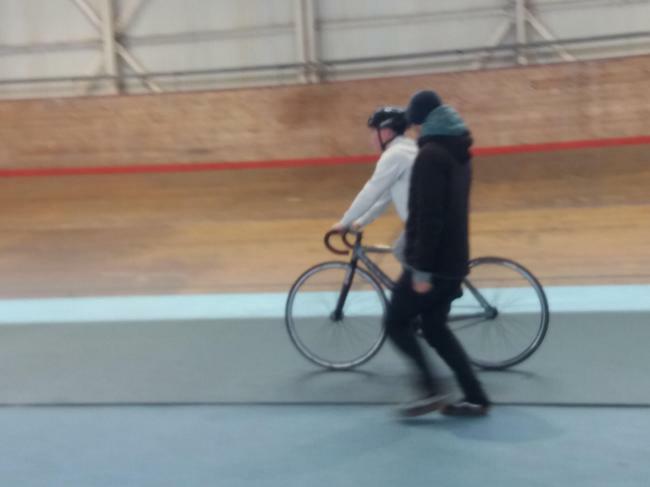 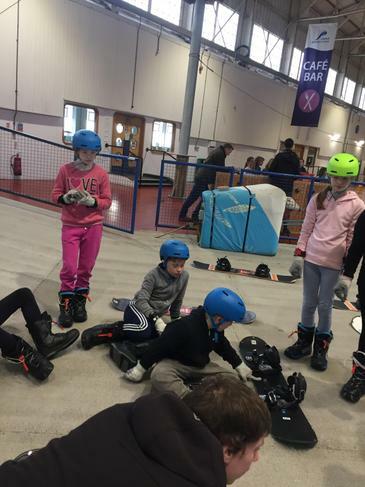 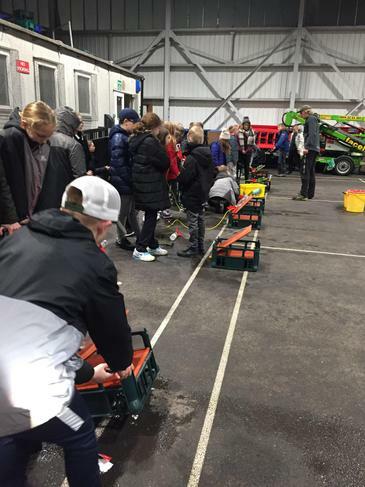 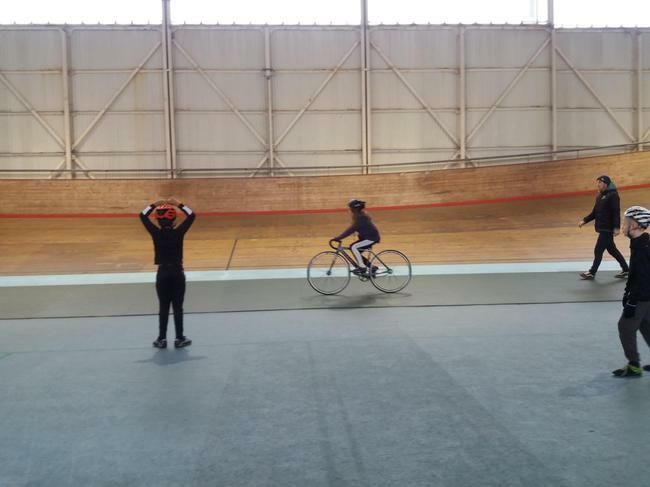 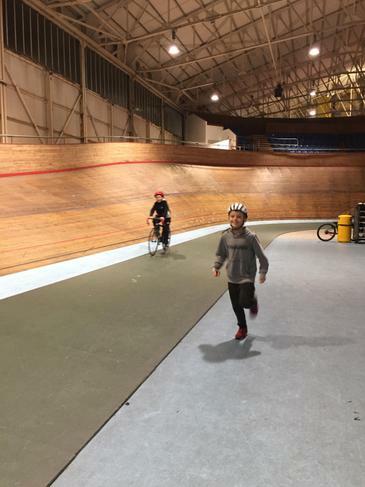 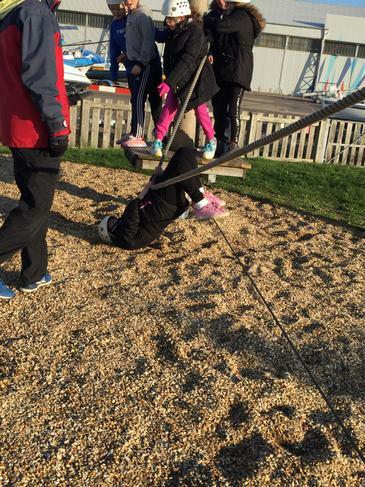 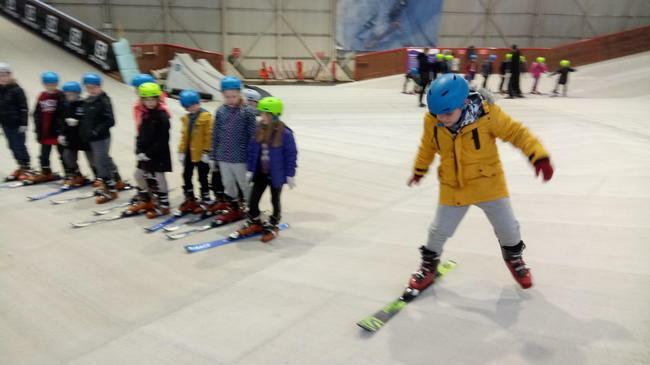 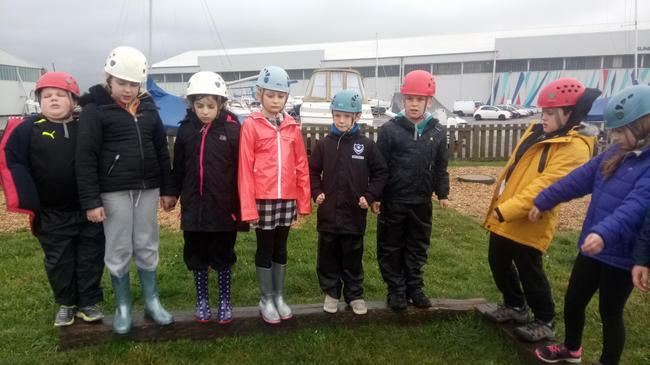 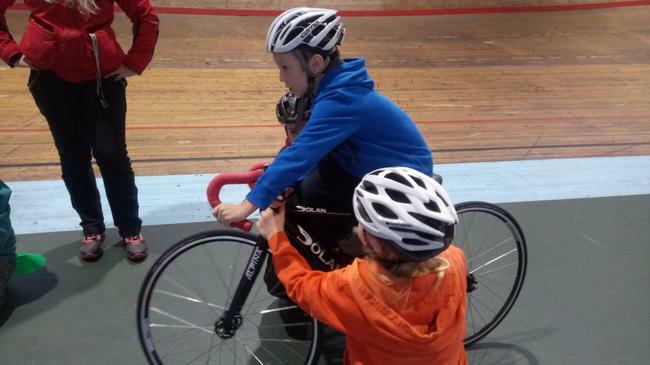 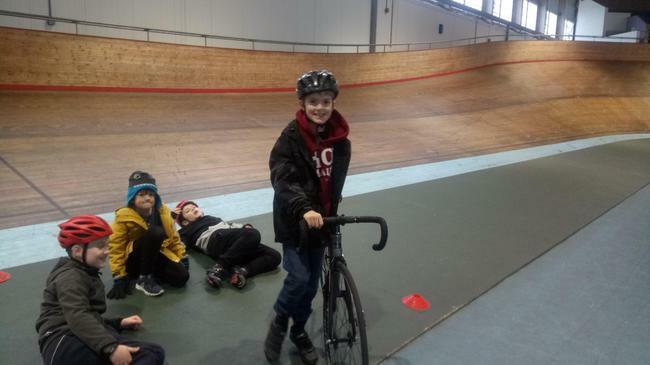 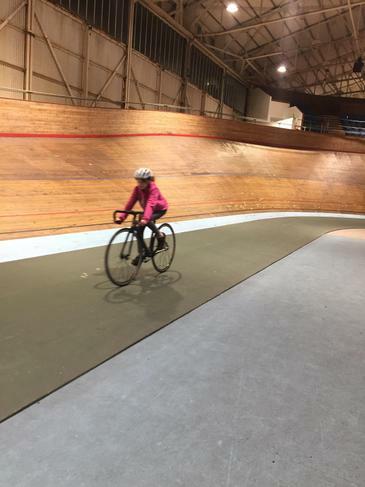 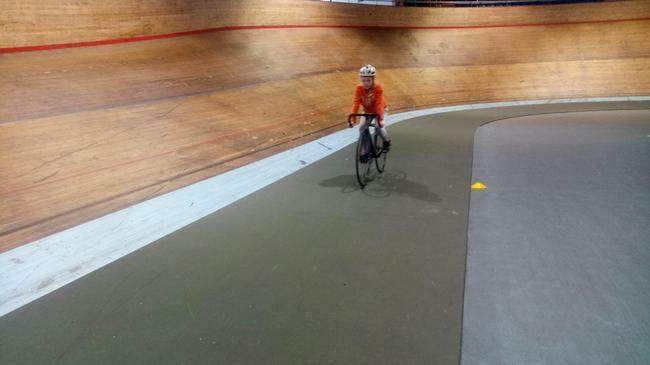 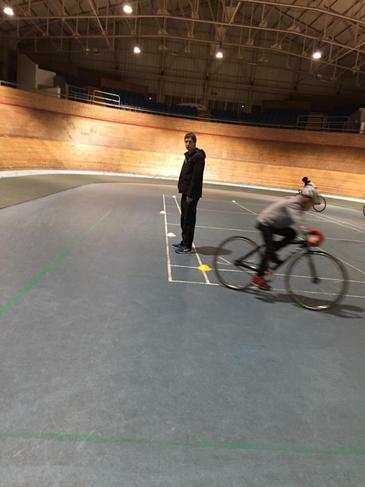 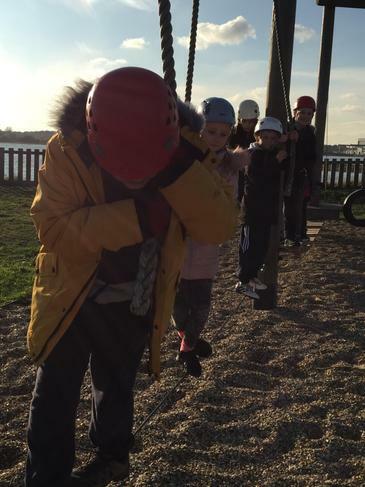 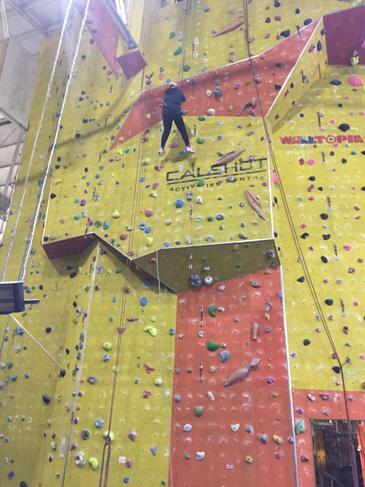 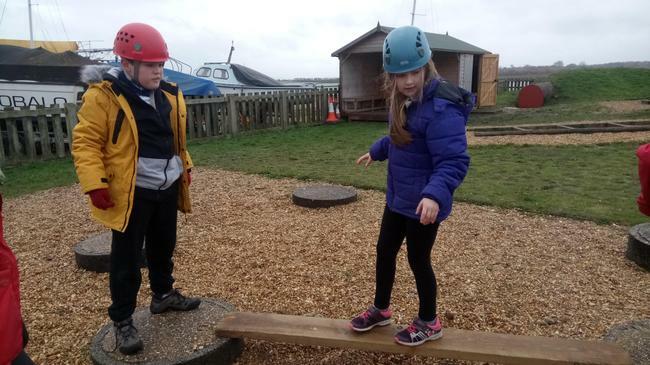 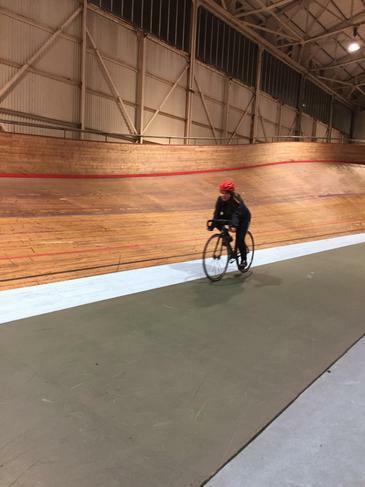 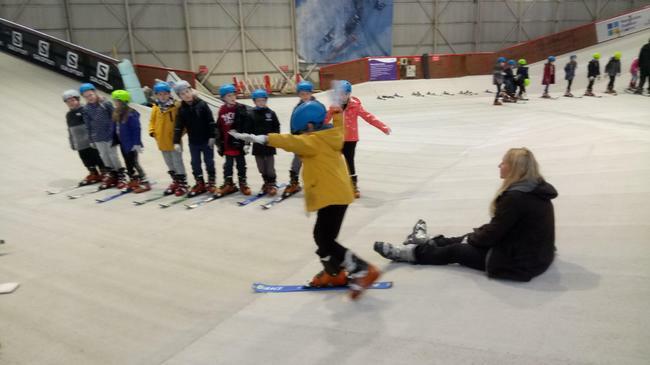 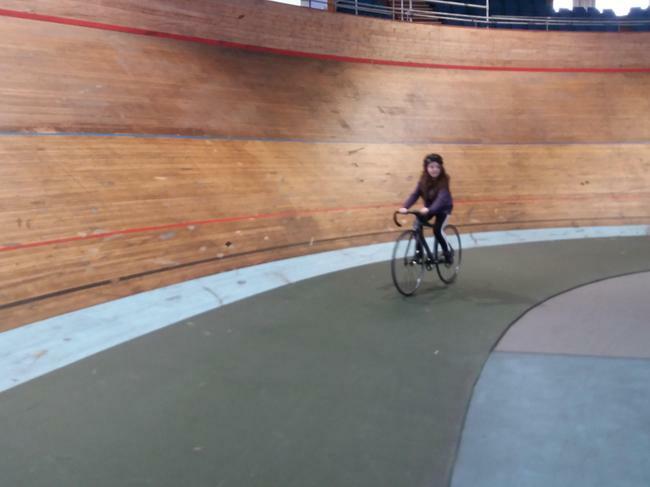 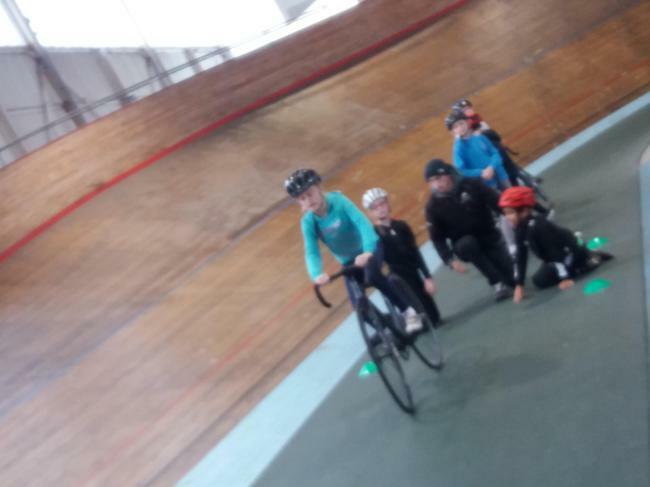 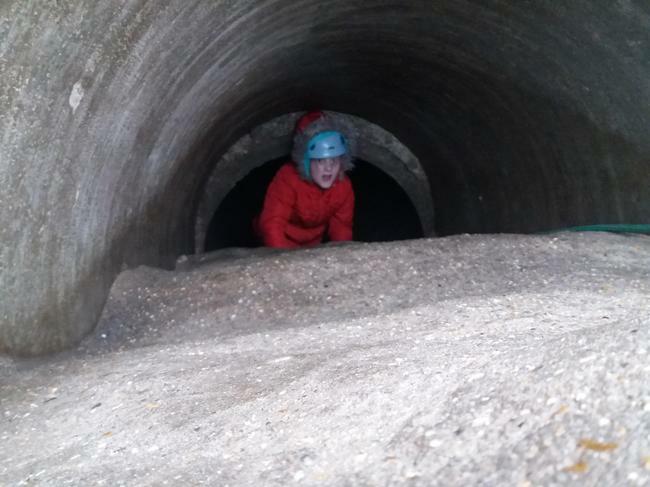 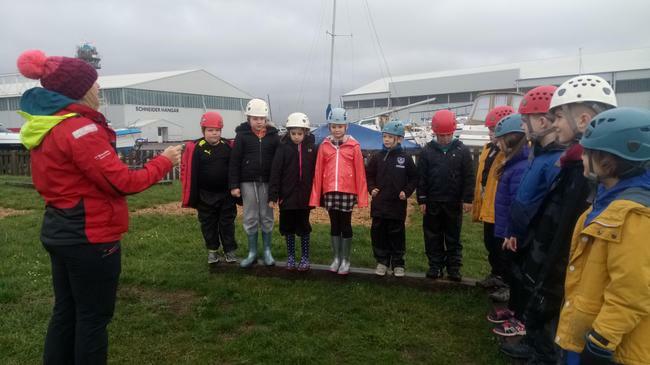 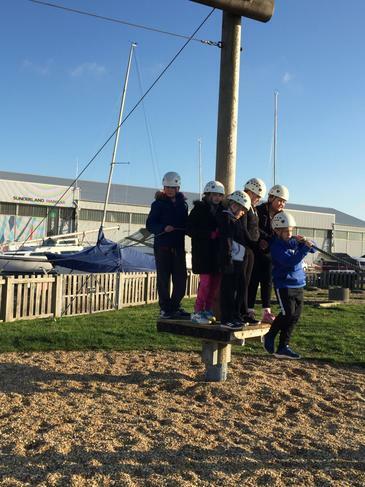 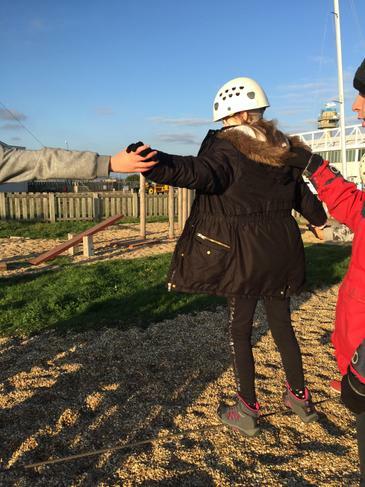 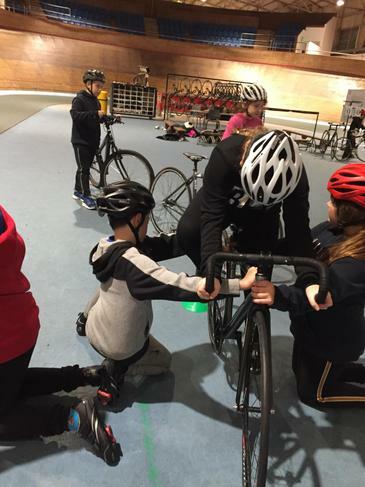 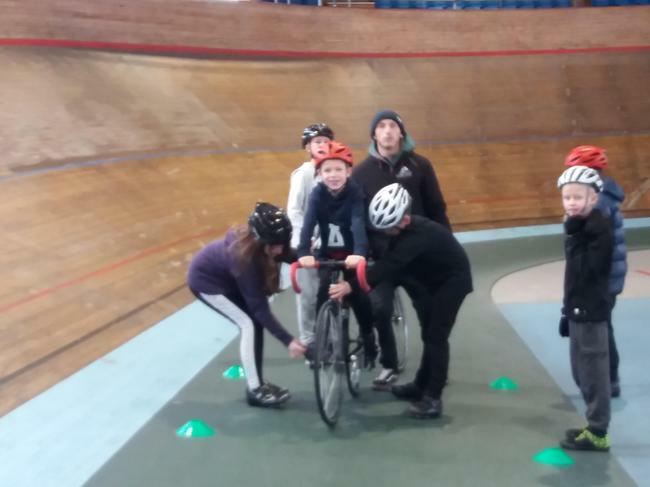 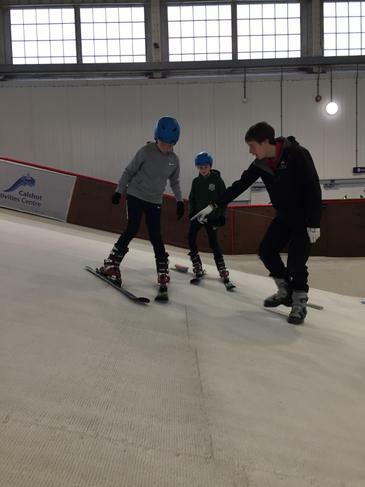 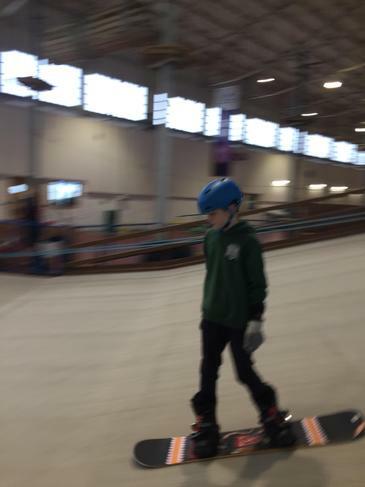 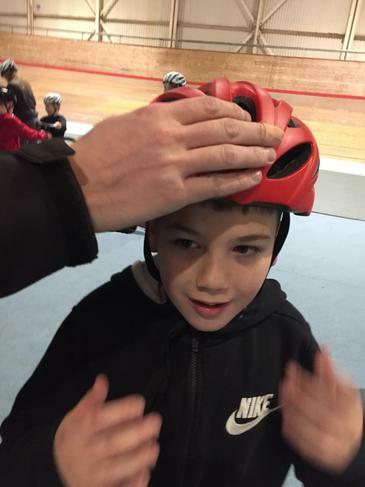 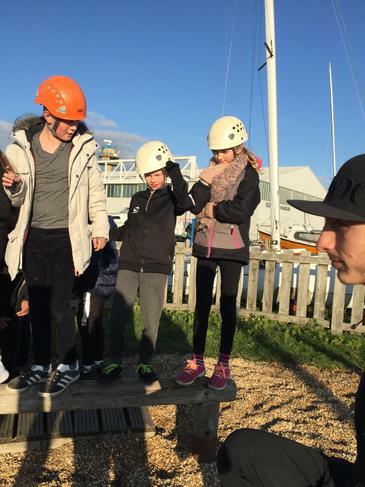 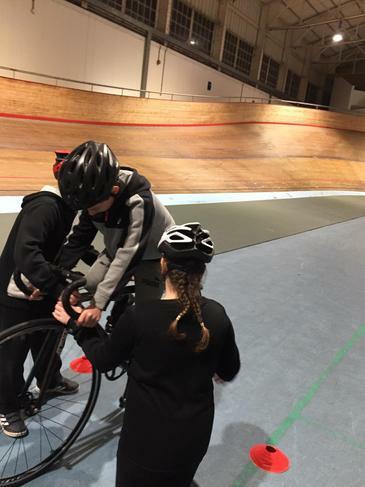 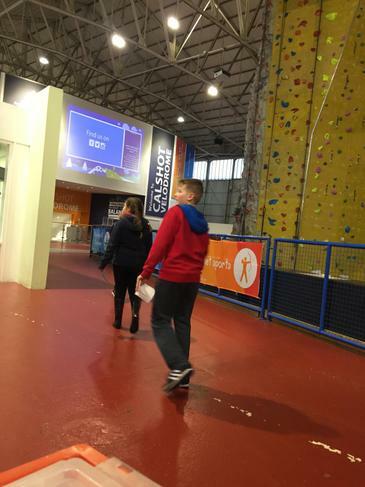 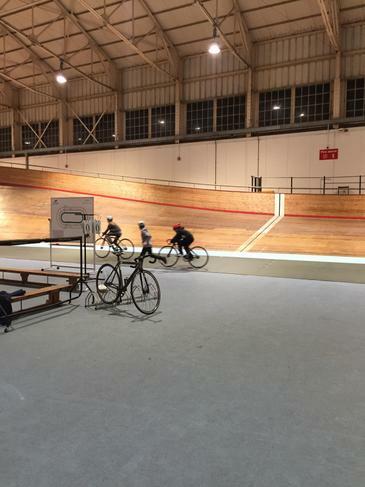 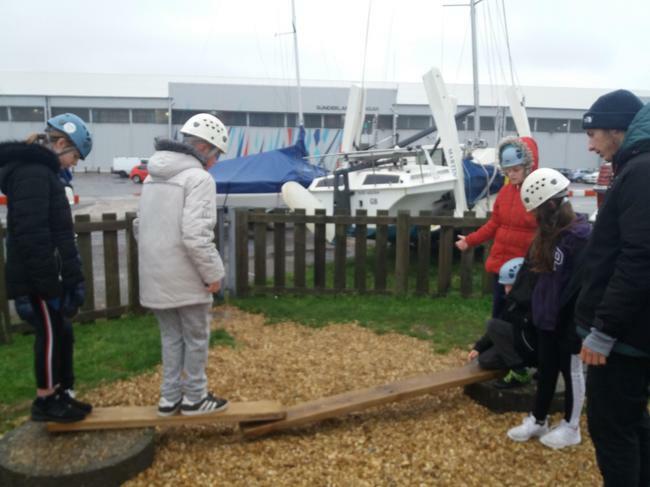 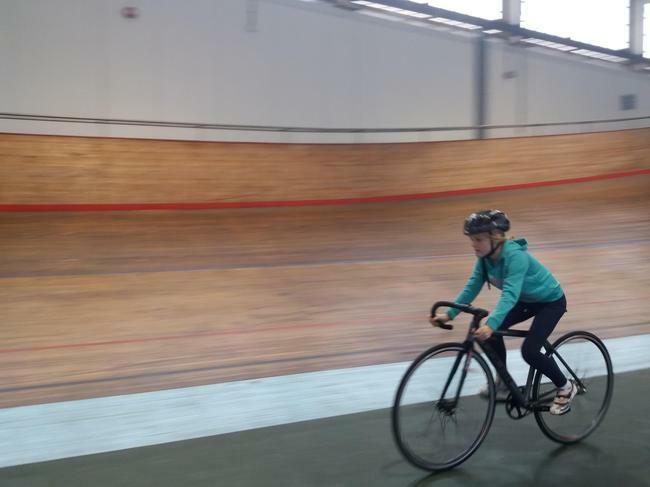 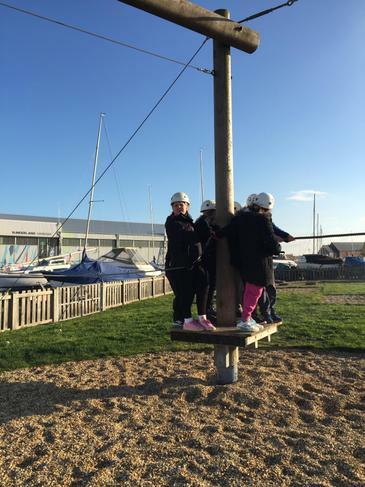 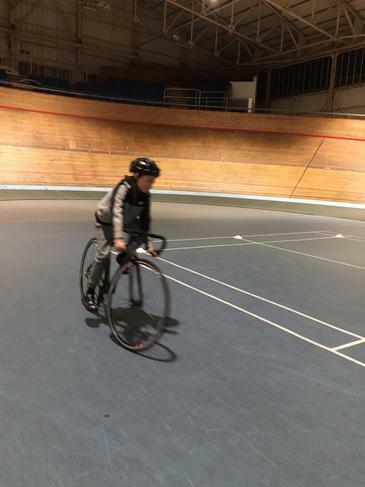 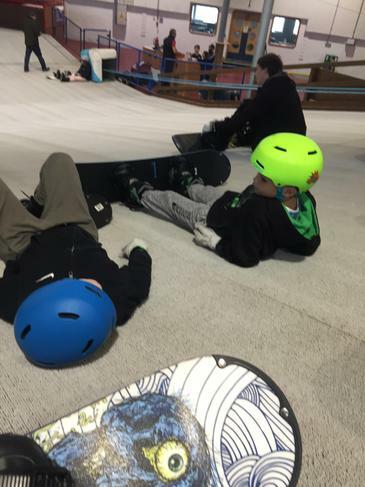 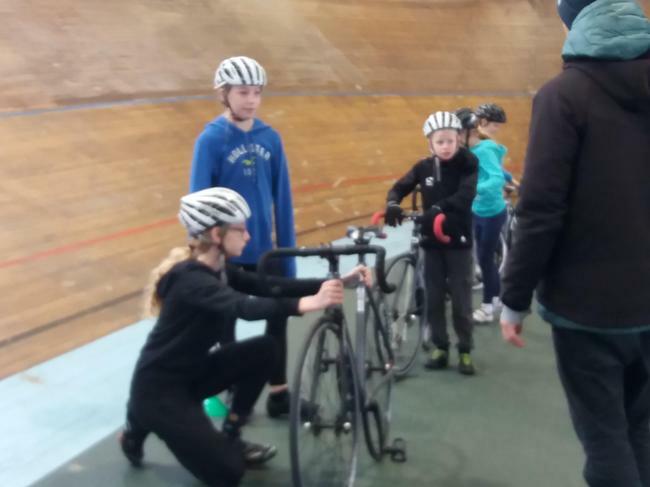 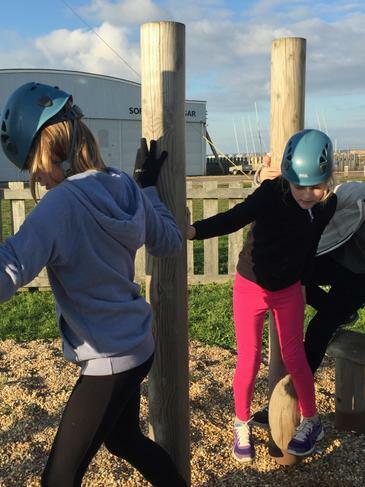 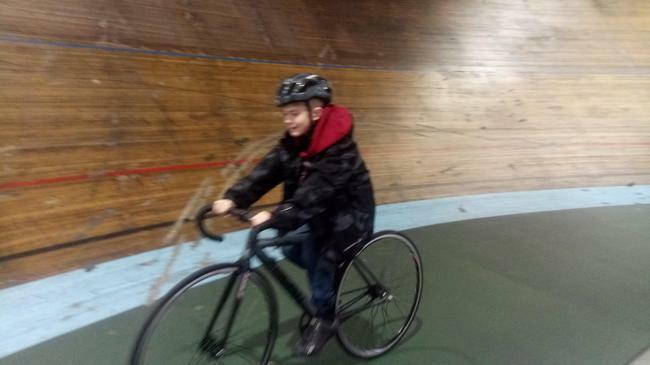 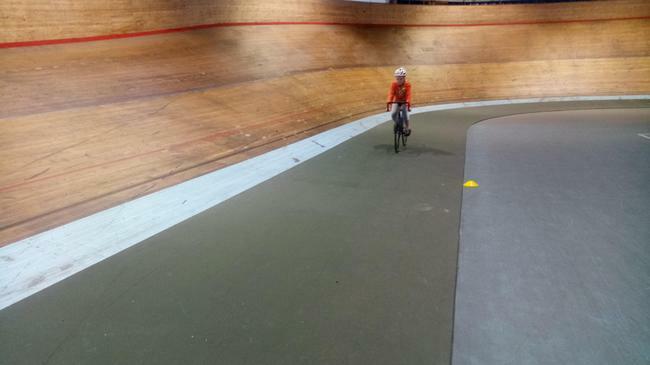 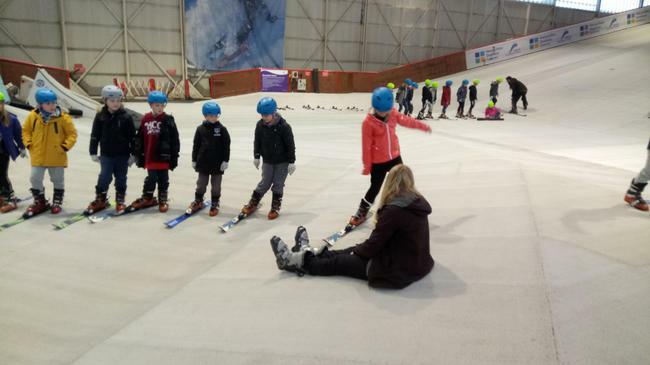 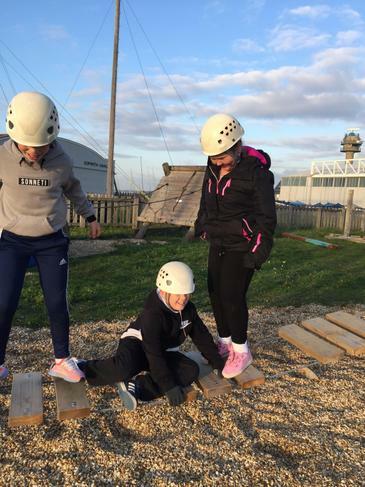 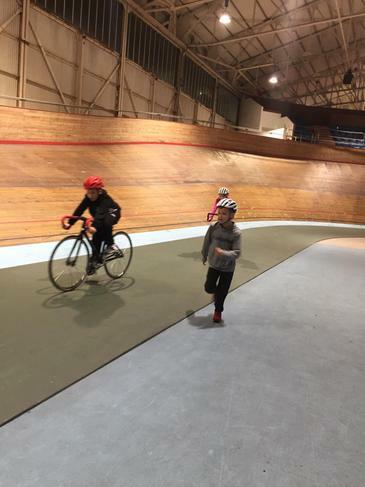 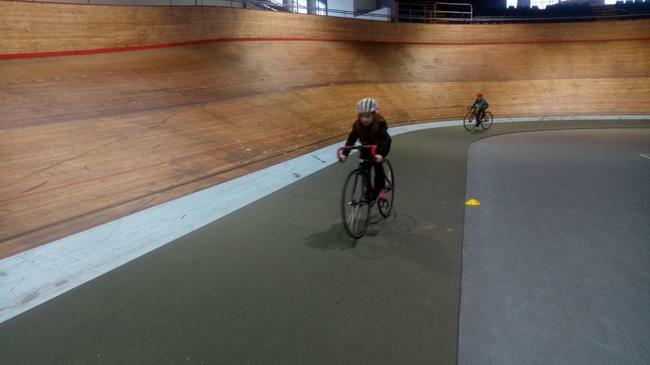 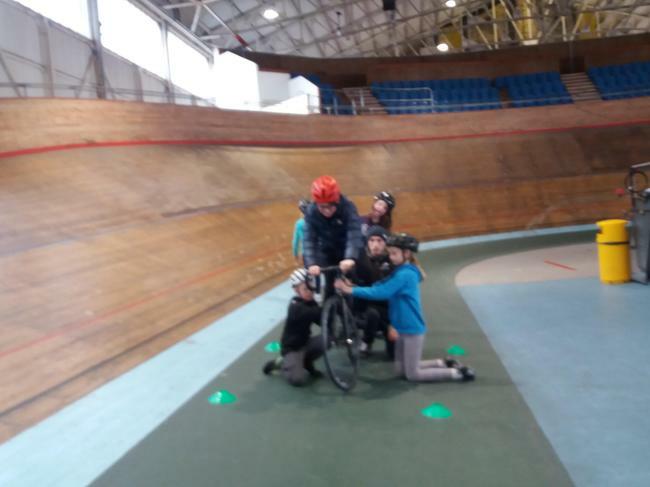 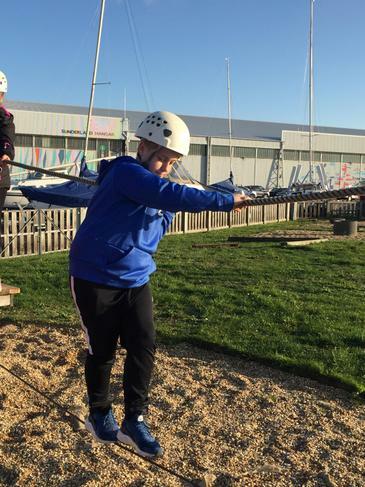 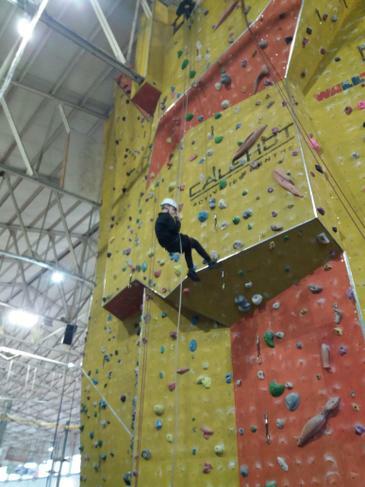 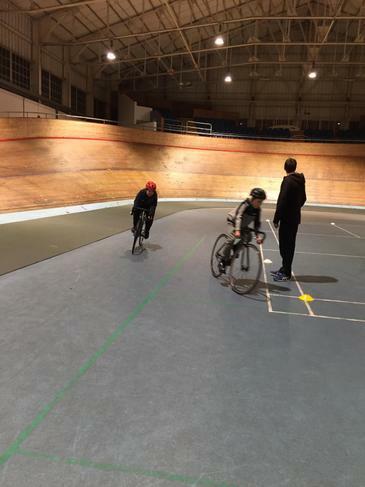 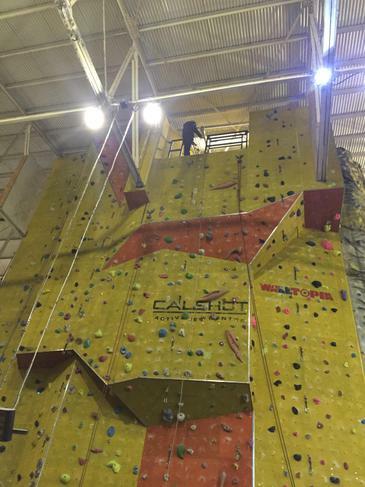 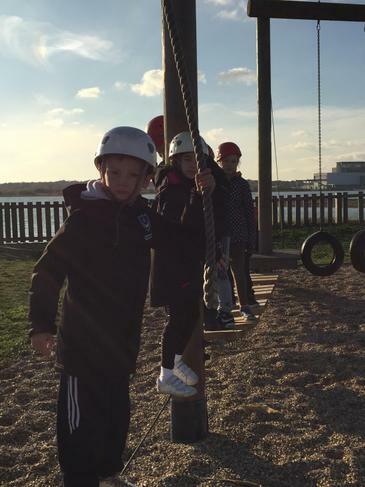 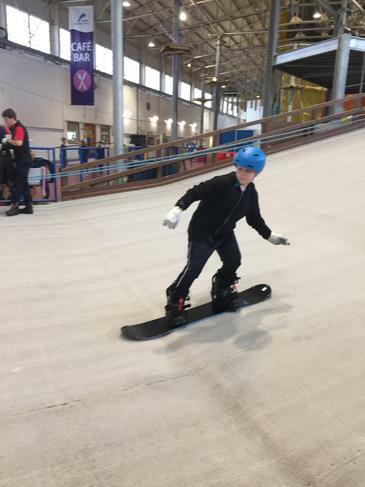 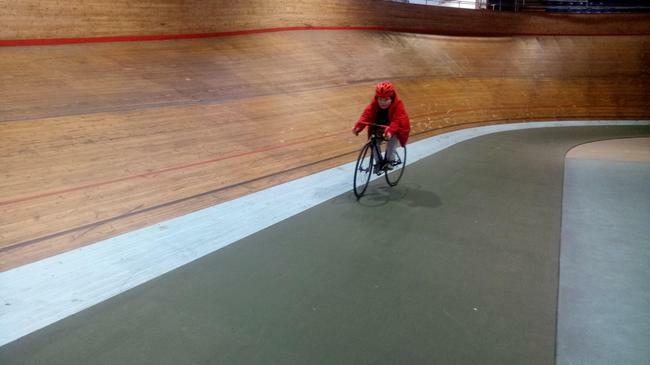 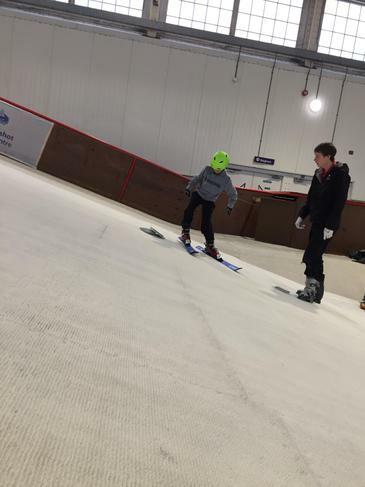 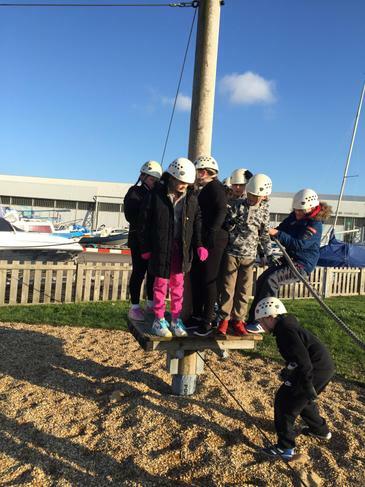 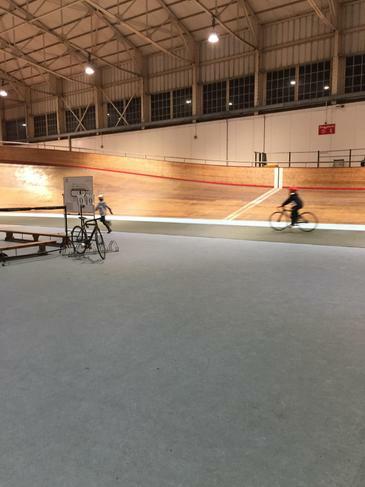 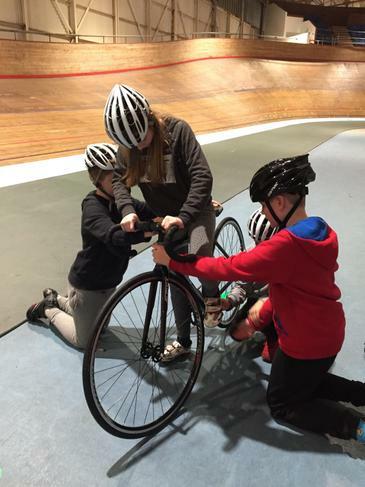 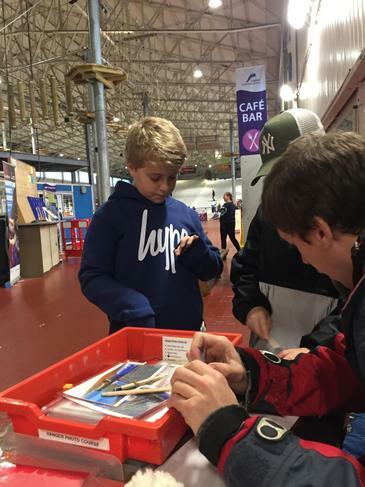 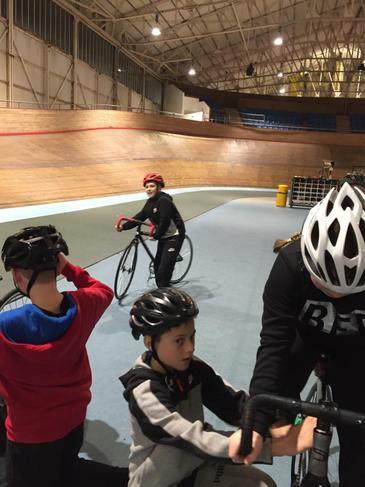 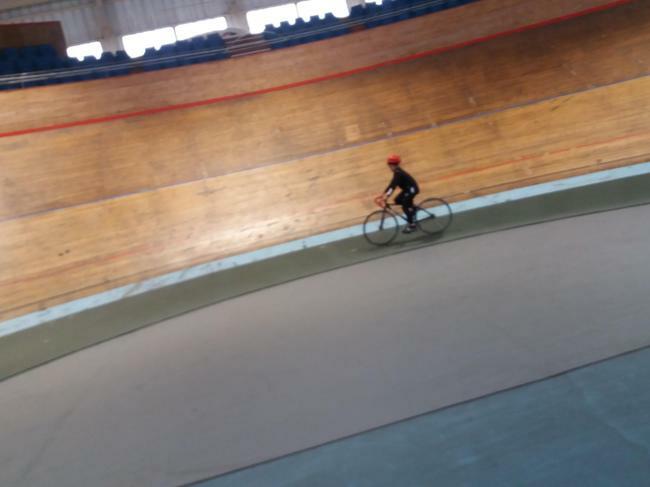 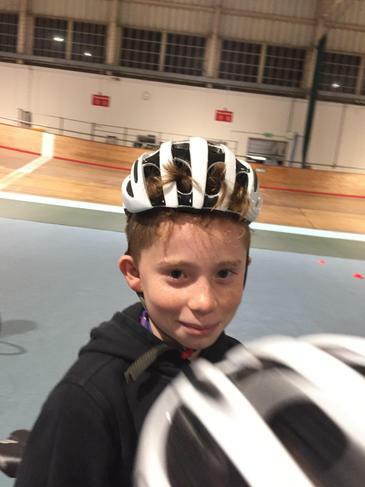 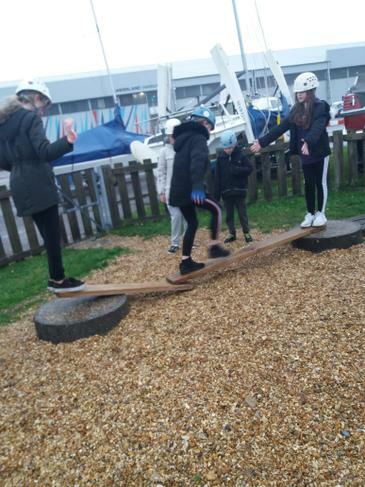 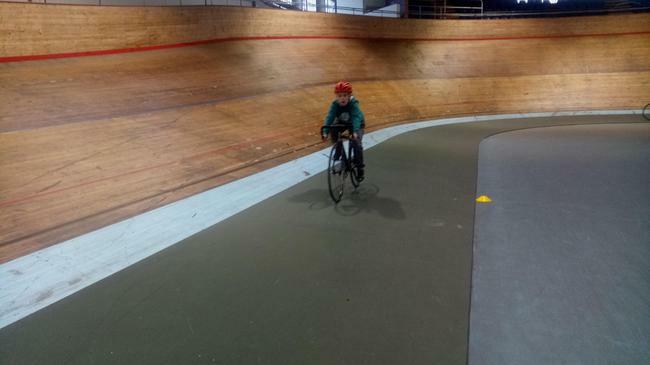 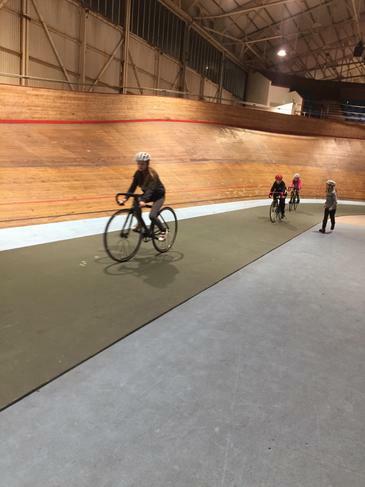 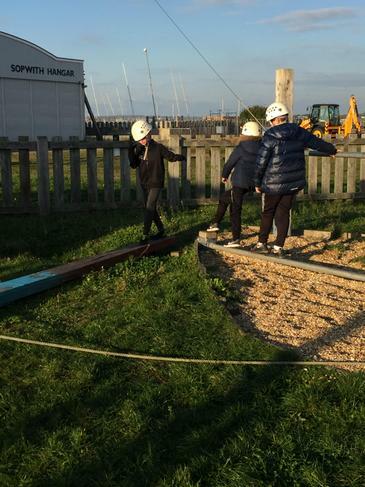 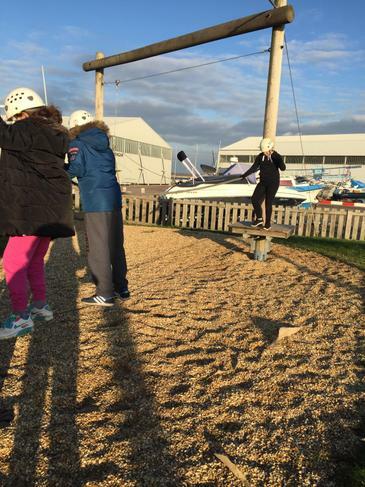 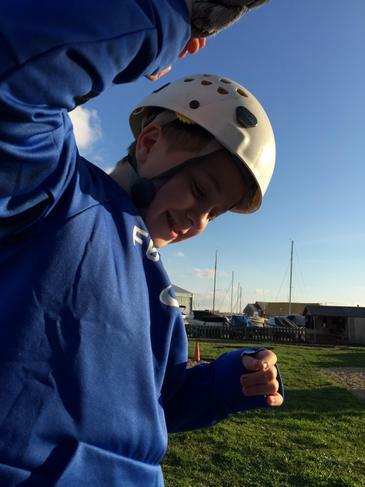 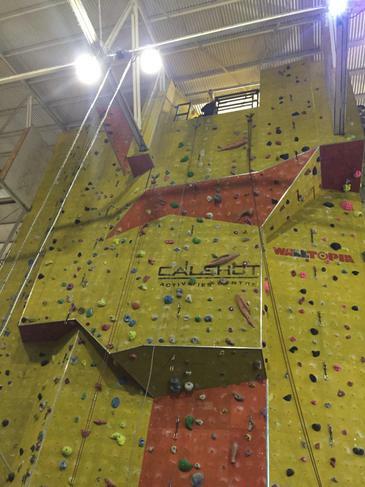 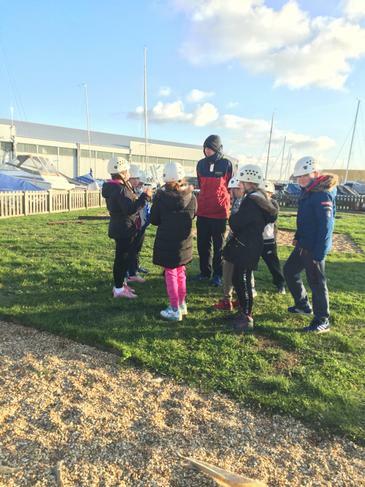 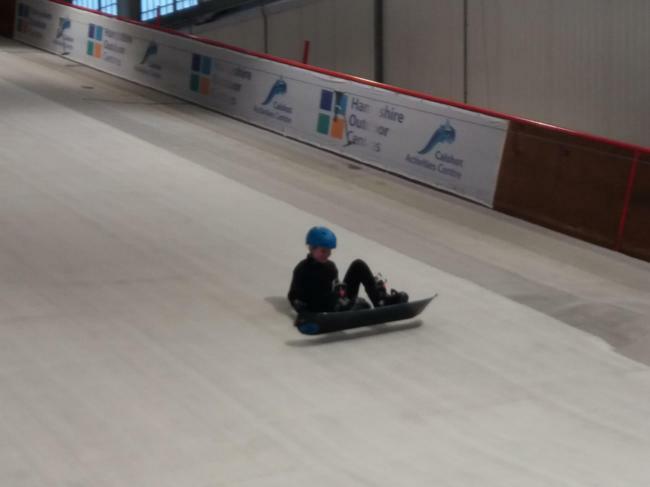 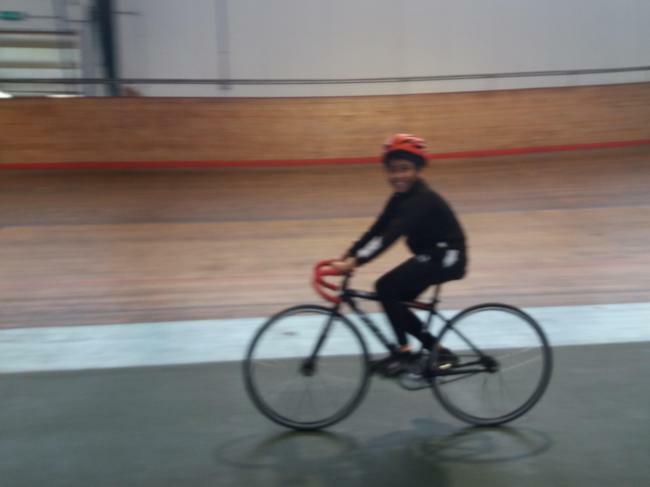 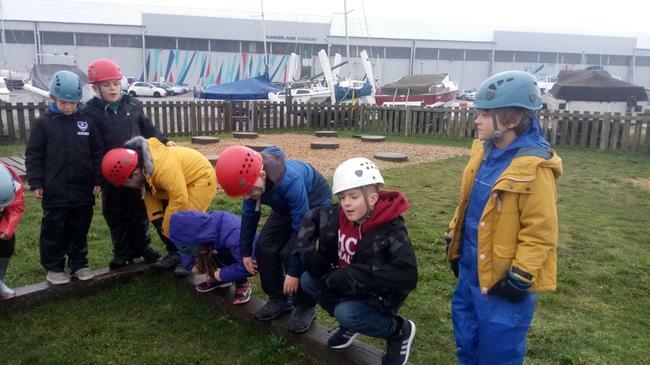 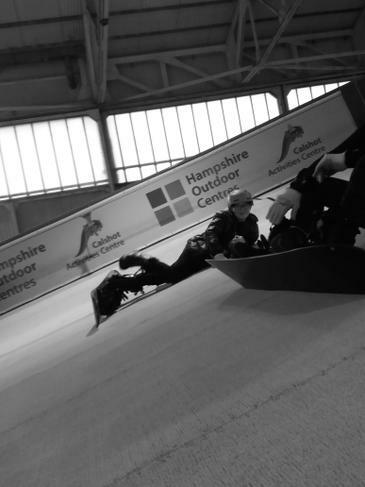 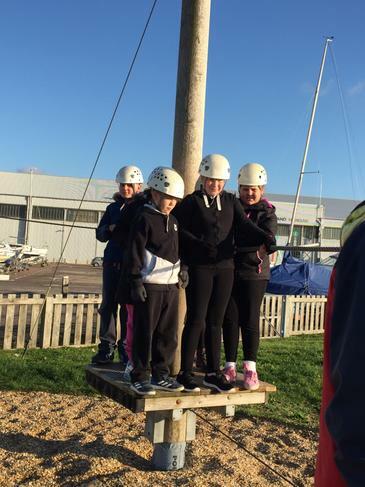 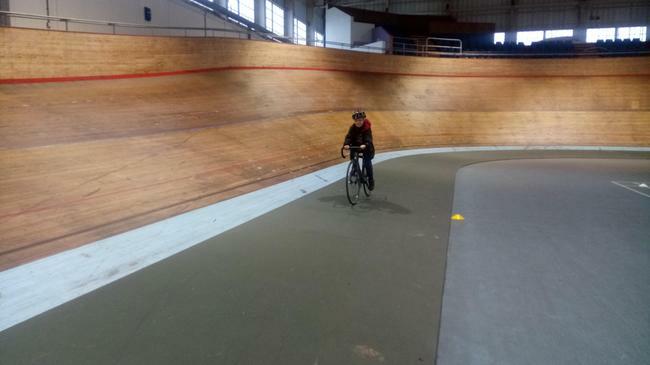 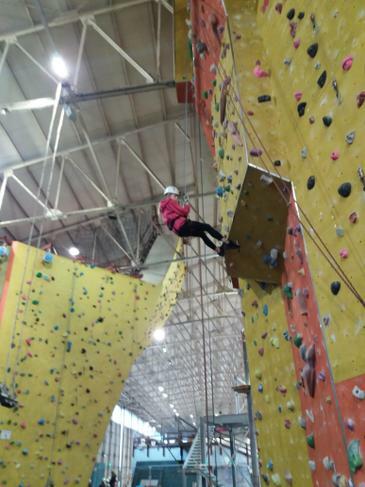 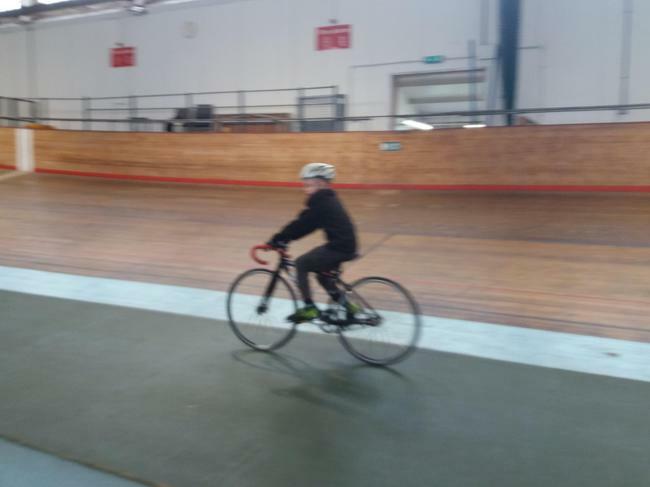 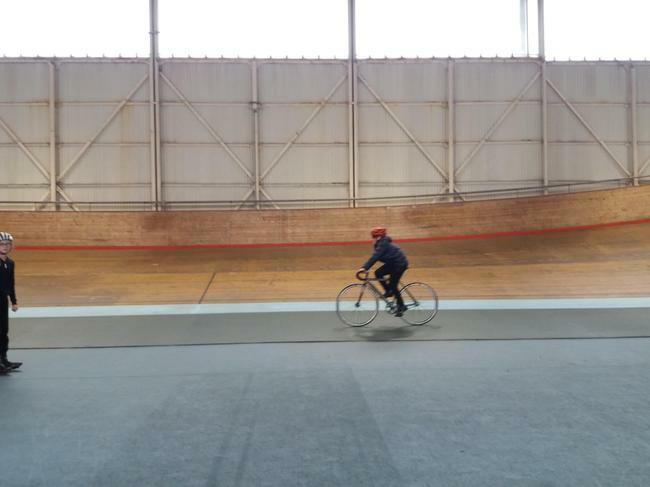 Pupils have enjoyed their first day at Calshot Activitiy Centre. 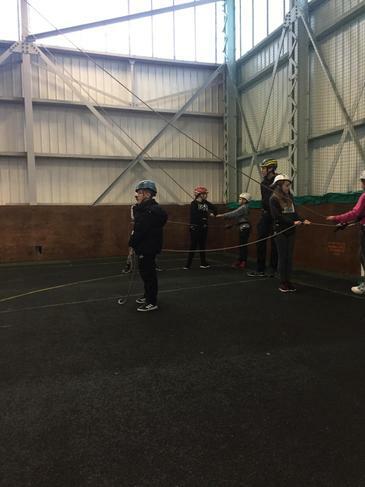 They have completed the low ropes concentrating on team work and their communication skills. 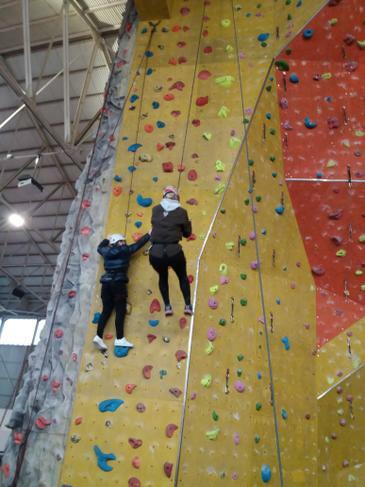 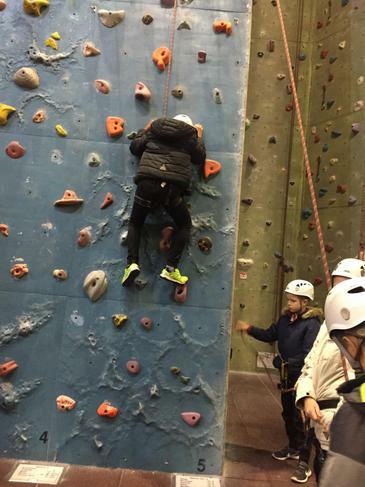 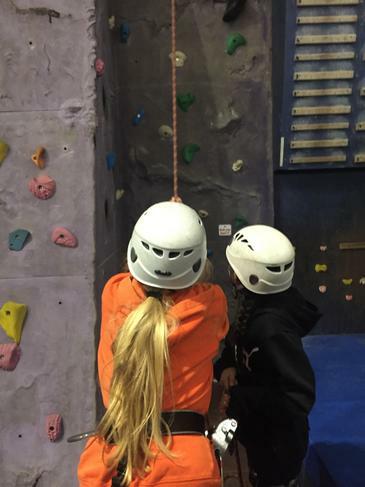 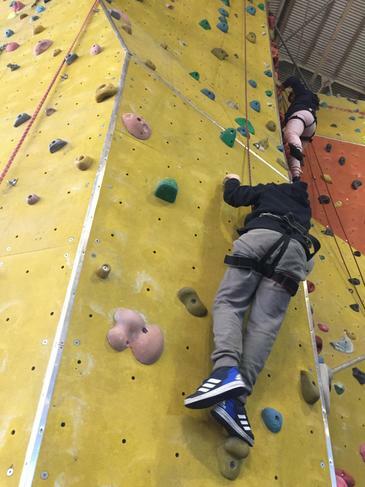 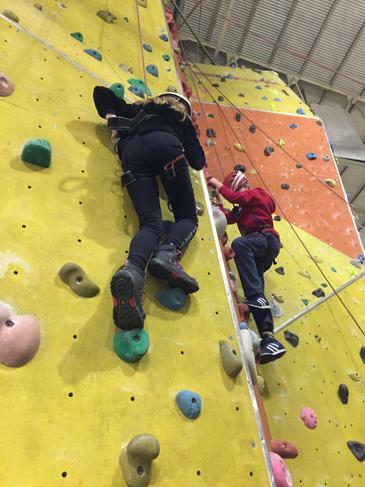 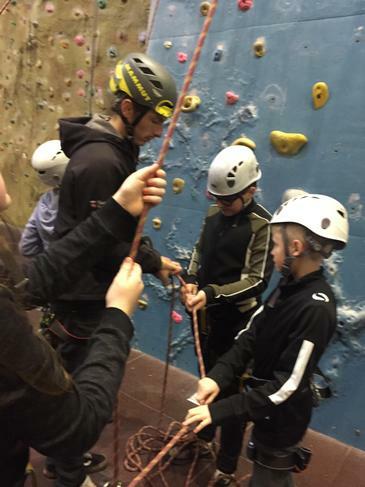 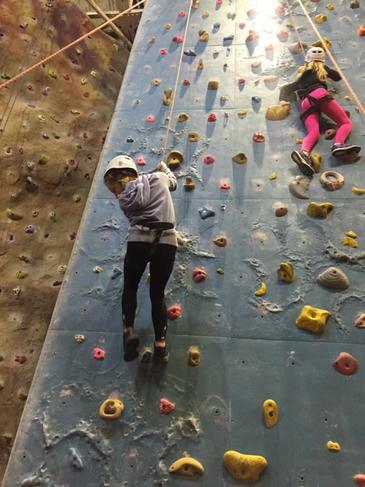 Afterwards, each group completed their first rock climbing session learning how to support each other. 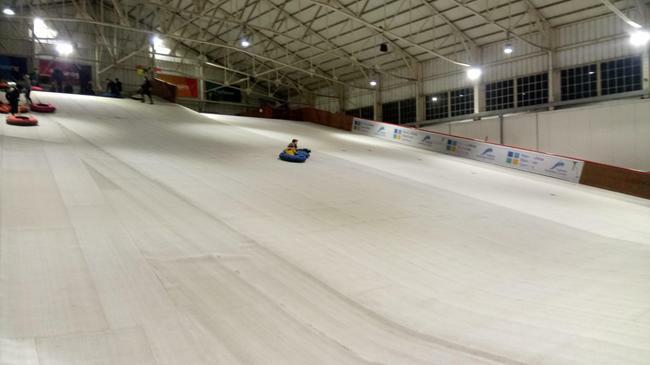 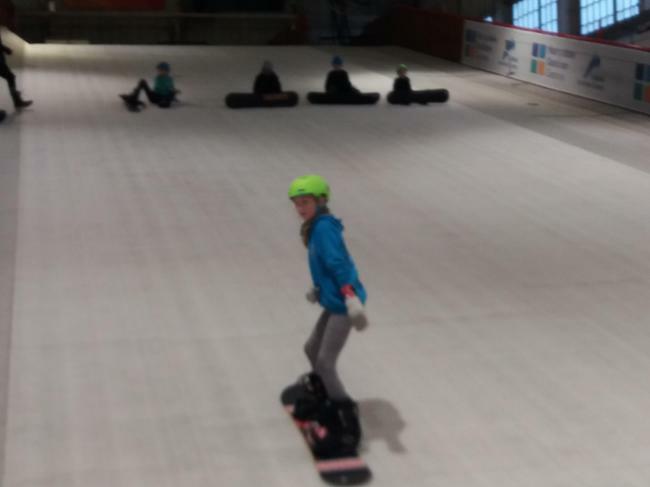 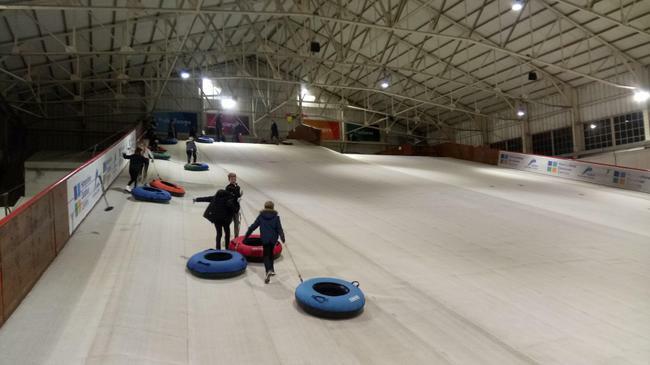 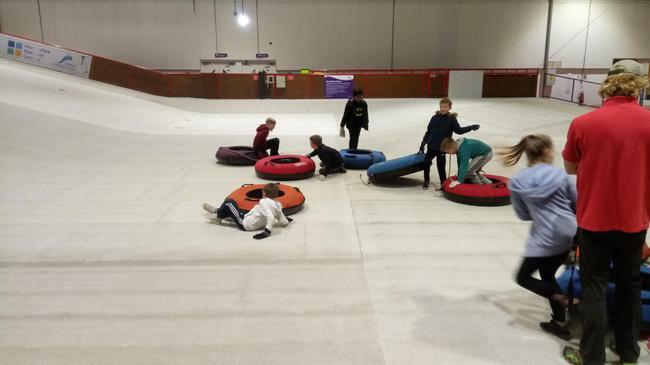 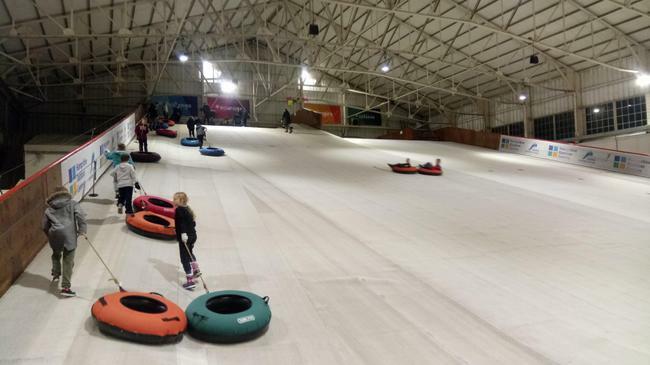 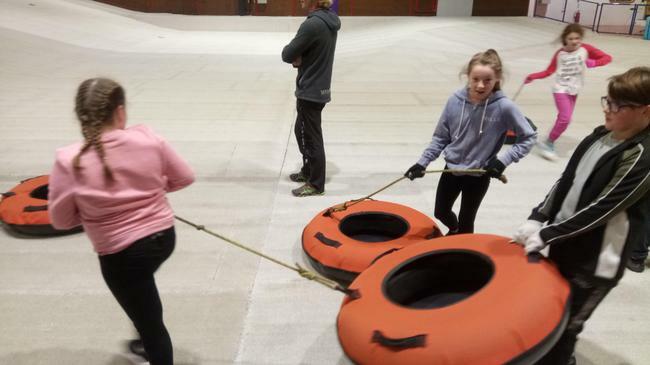 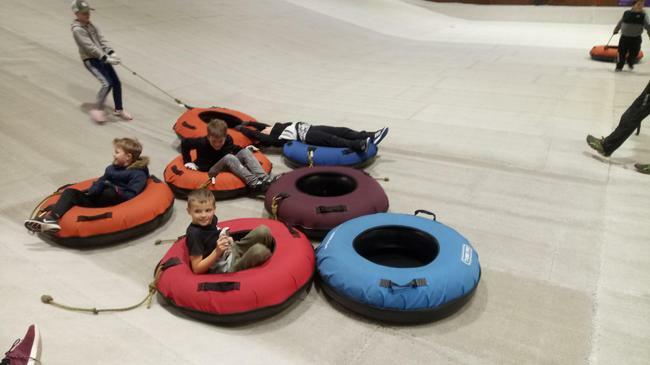 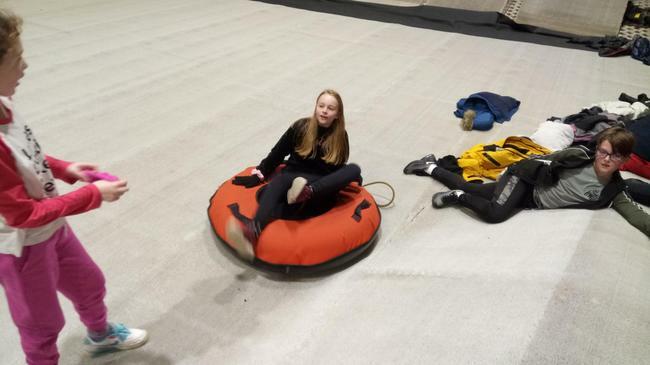 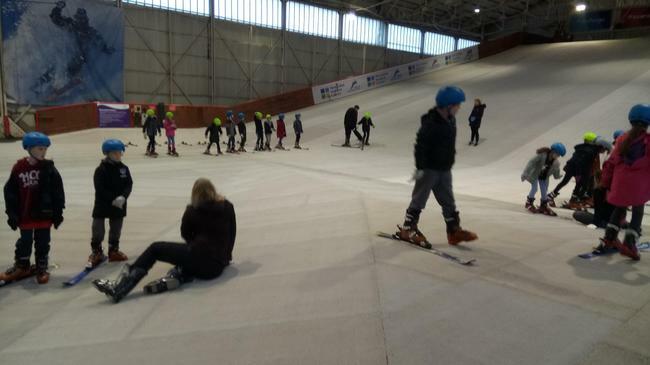 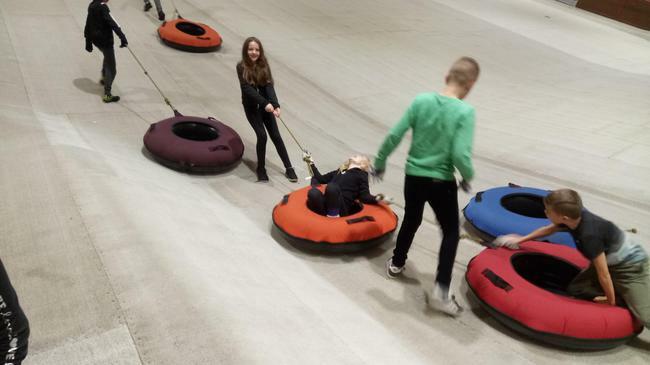 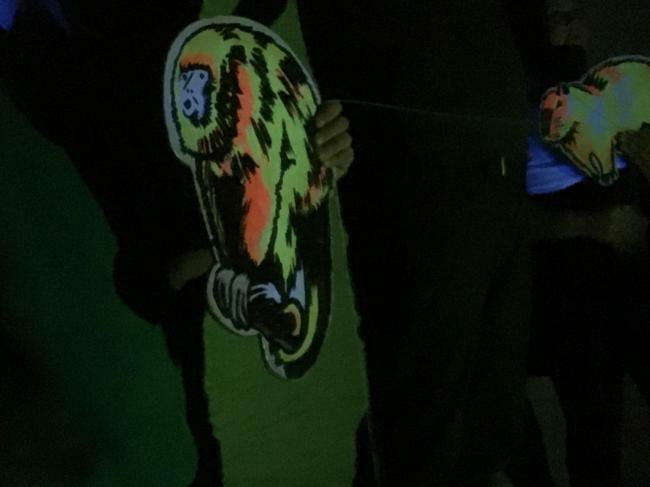 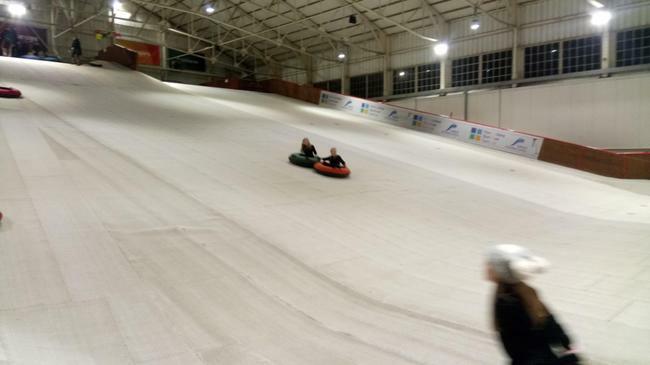 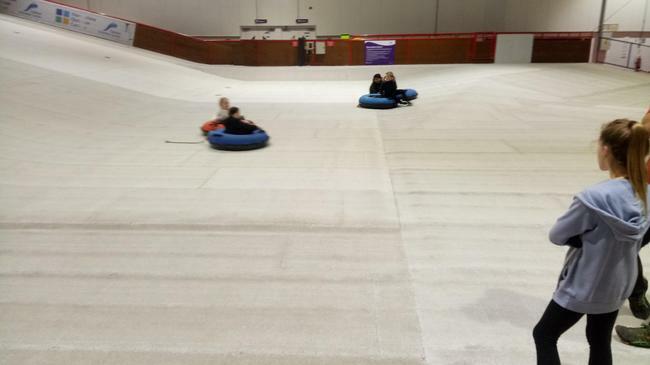 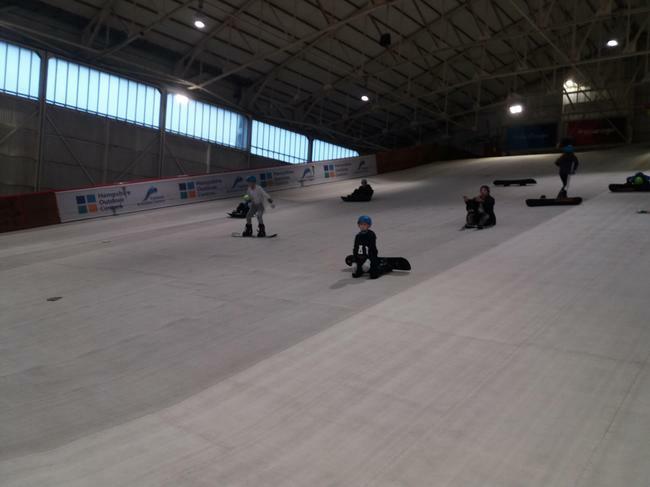 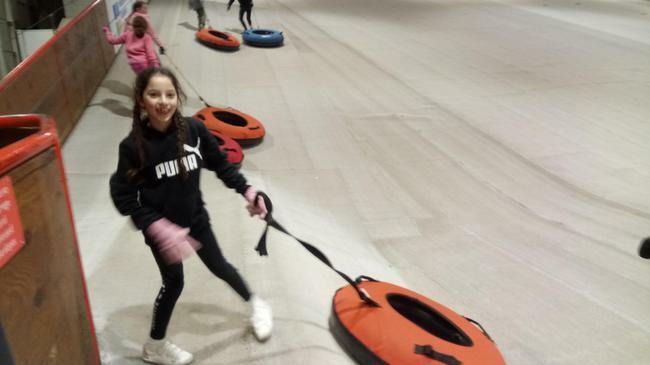 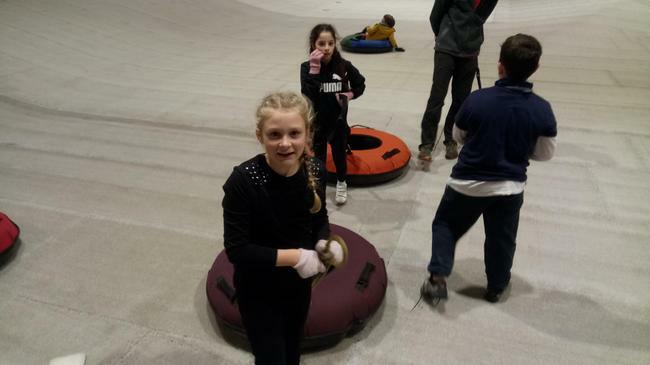 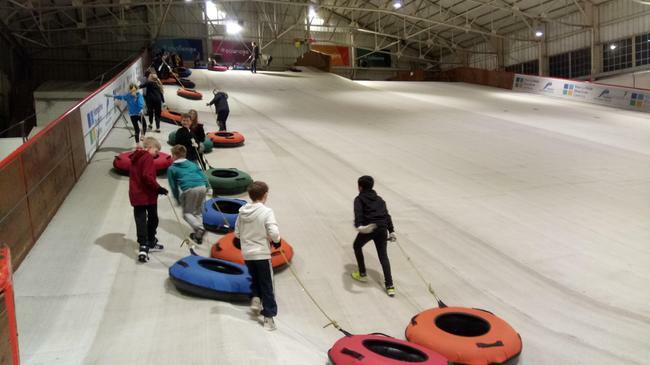 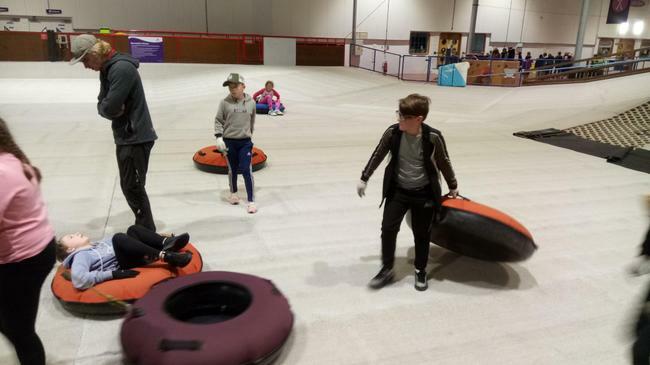 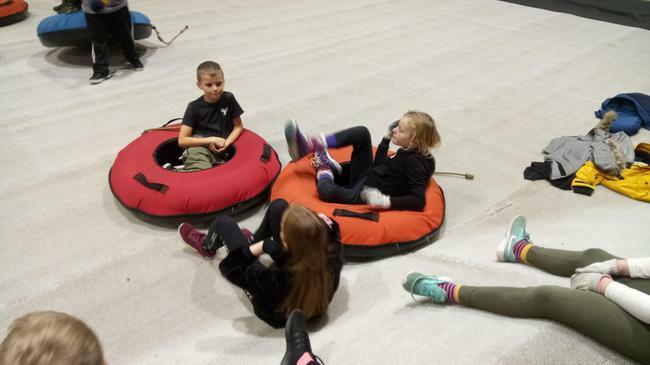 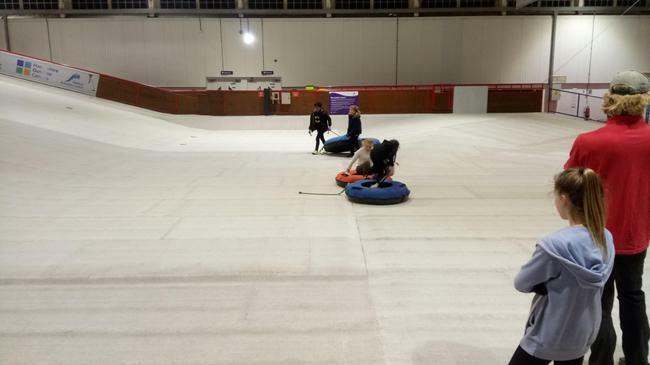 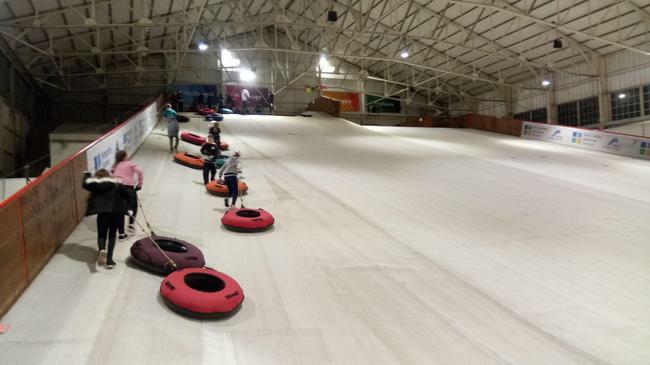 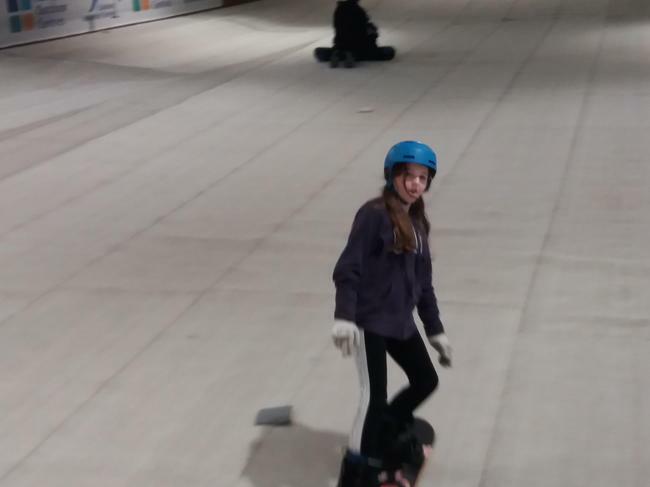 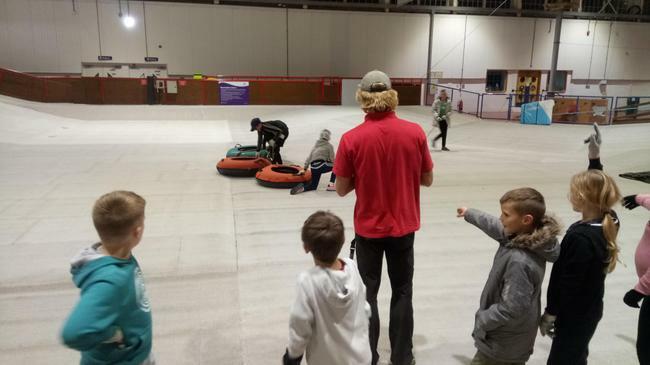 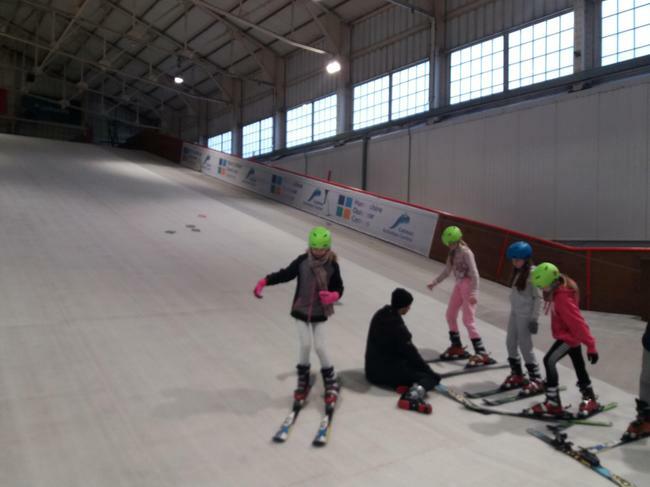 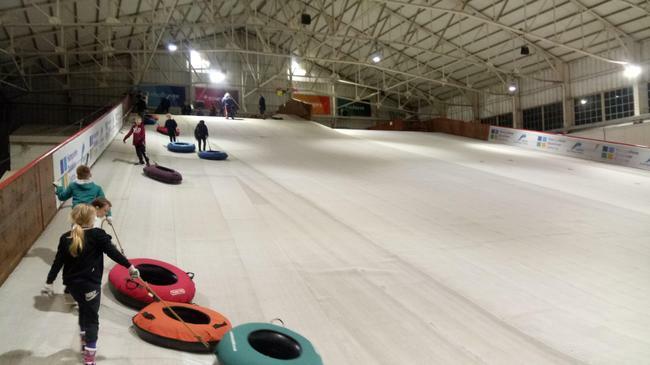 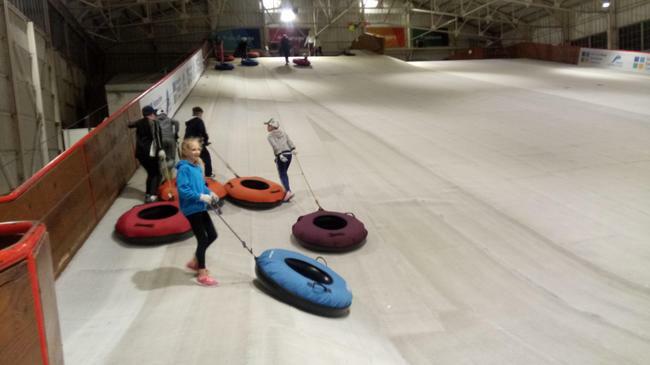 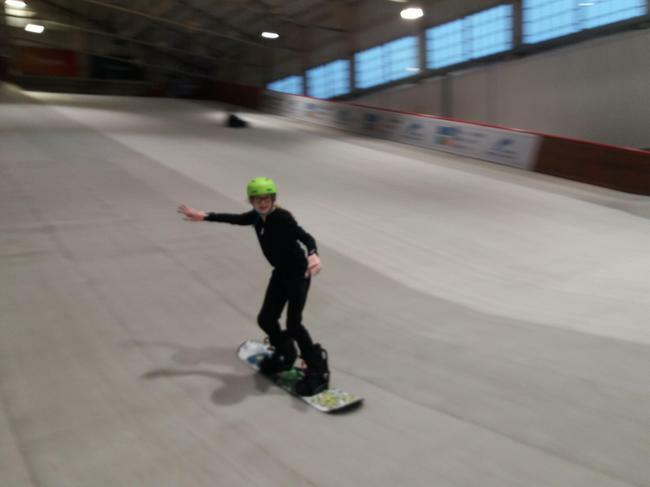 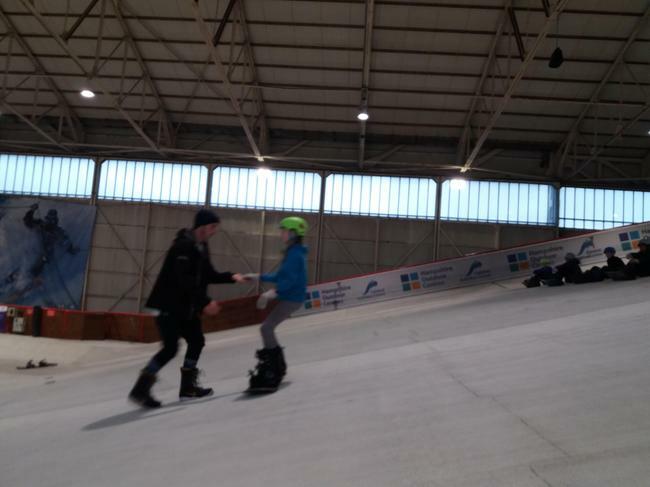 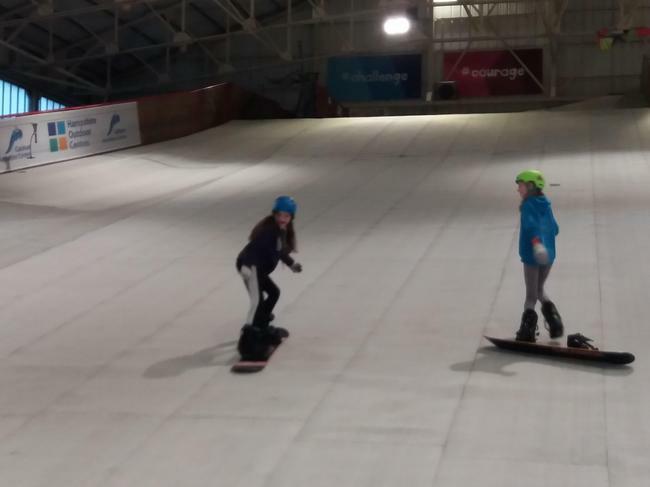 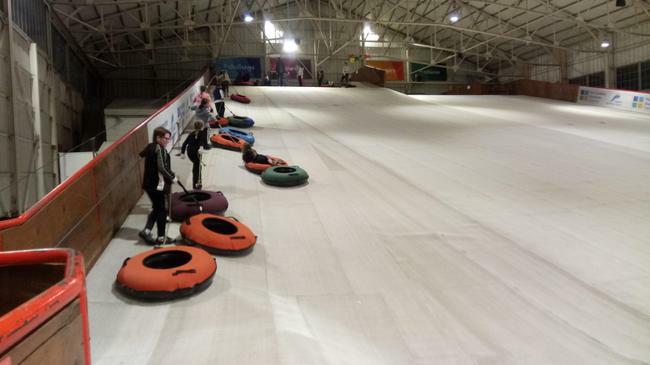 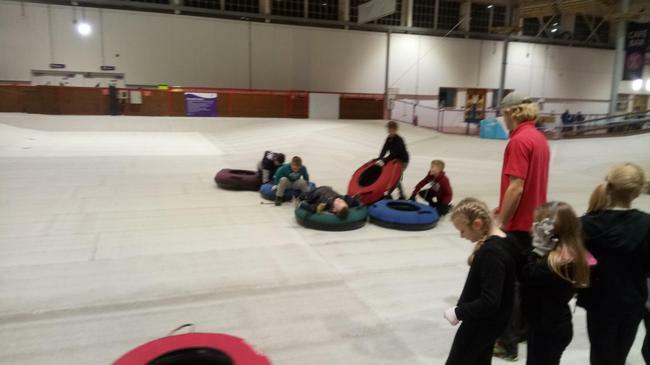 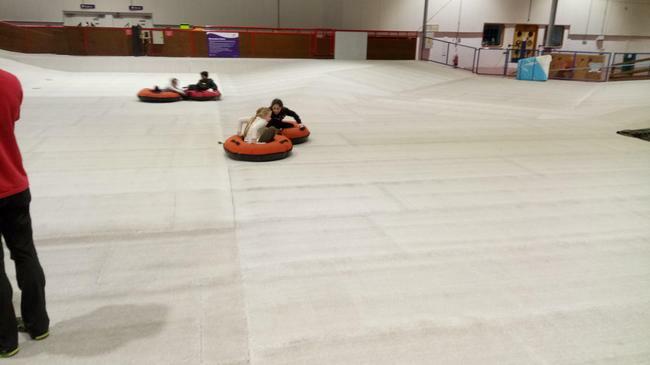 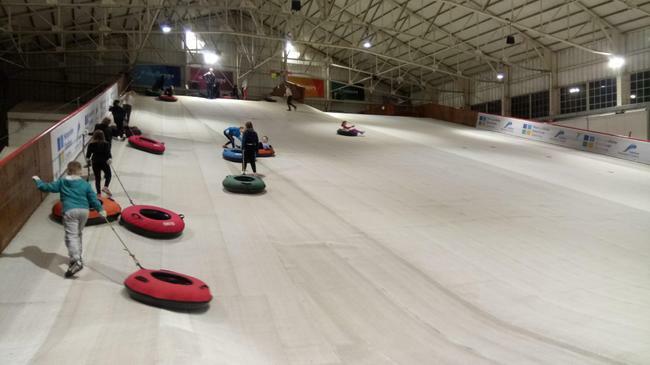 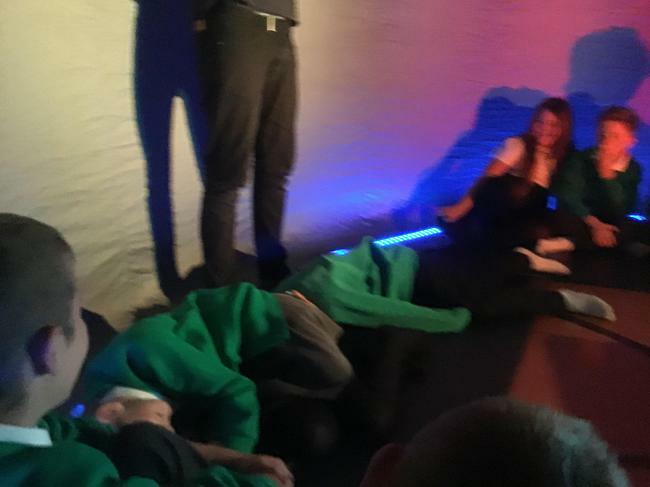 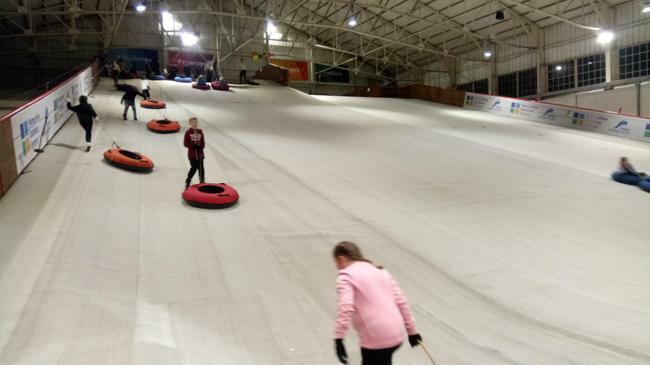 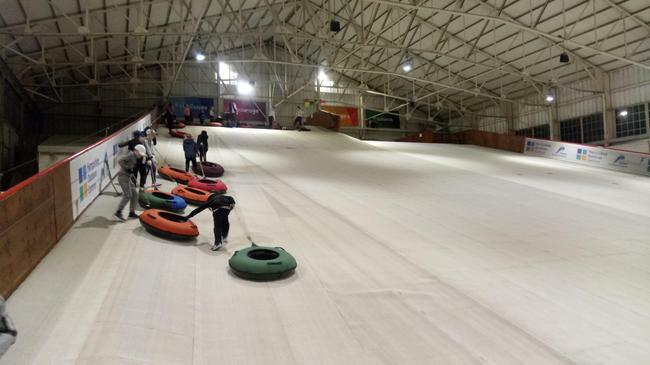 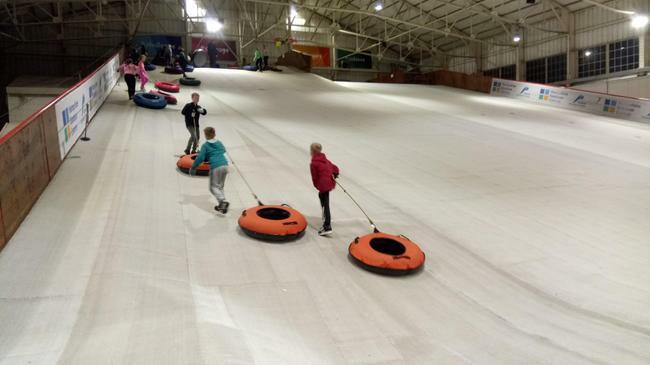 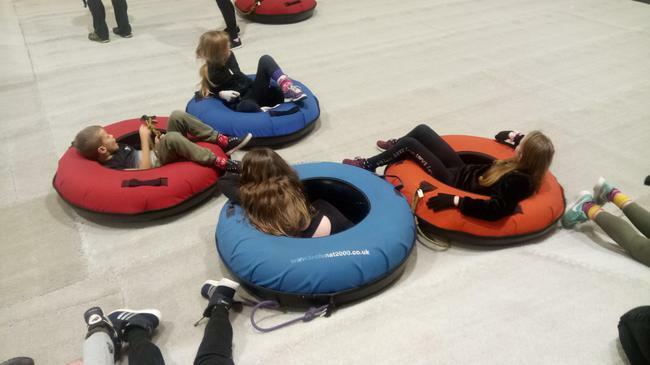 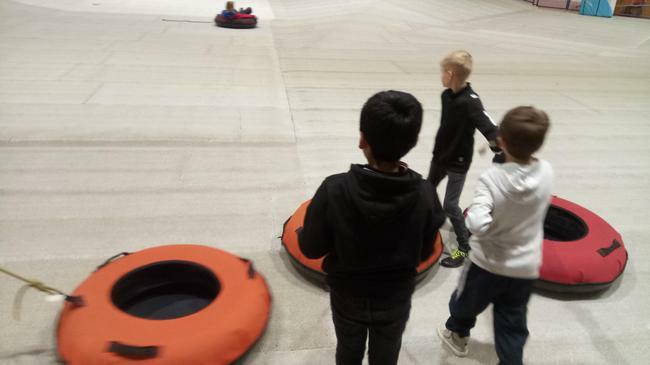 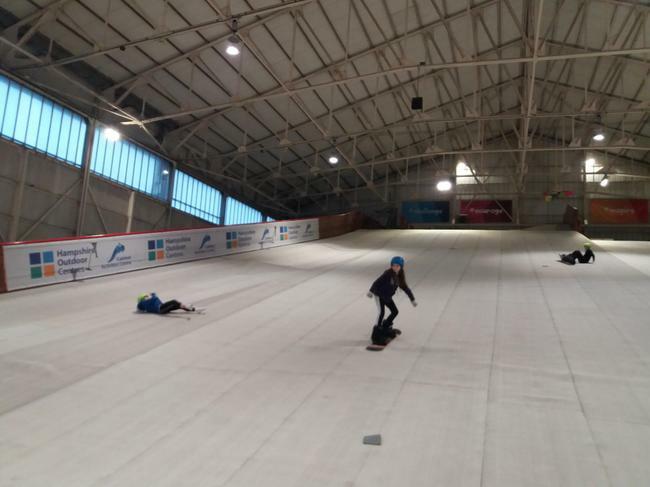 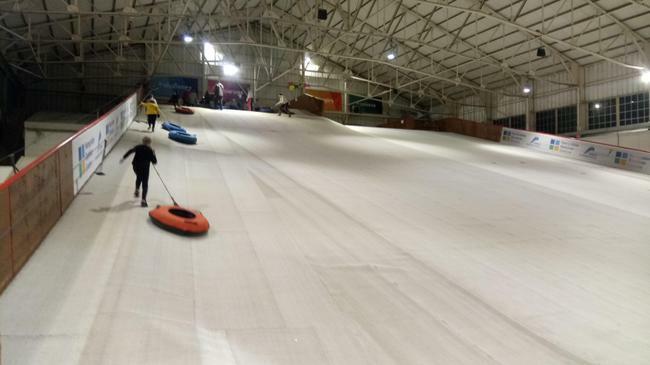 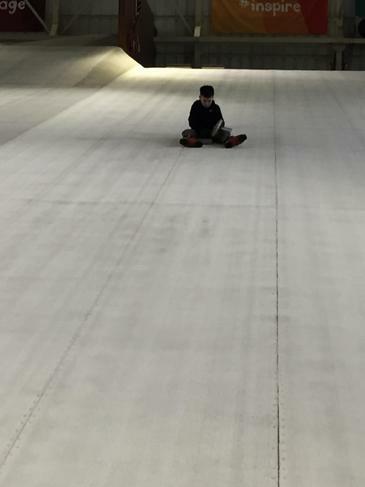 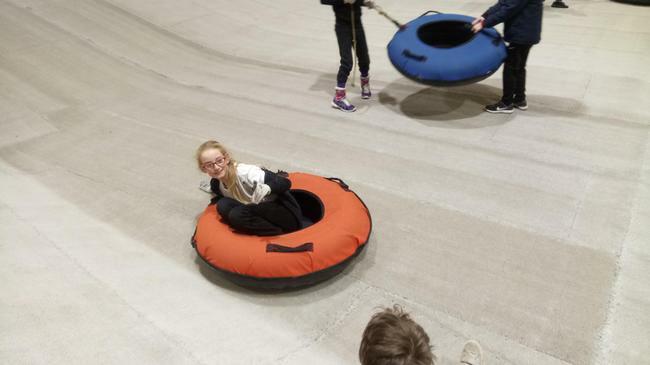 In the evening, pupils enjoyed the Ringos and being spun down the slope. 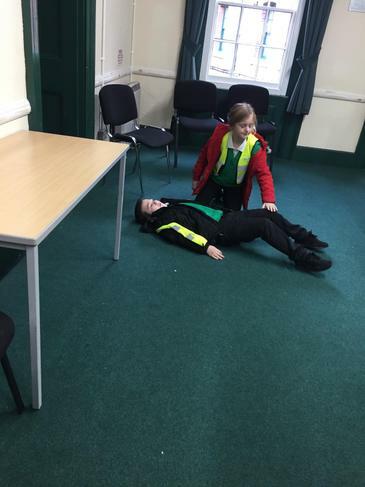 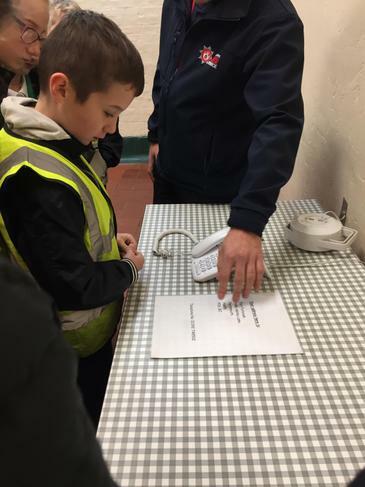 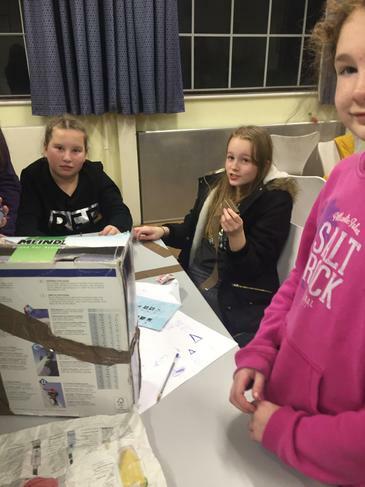 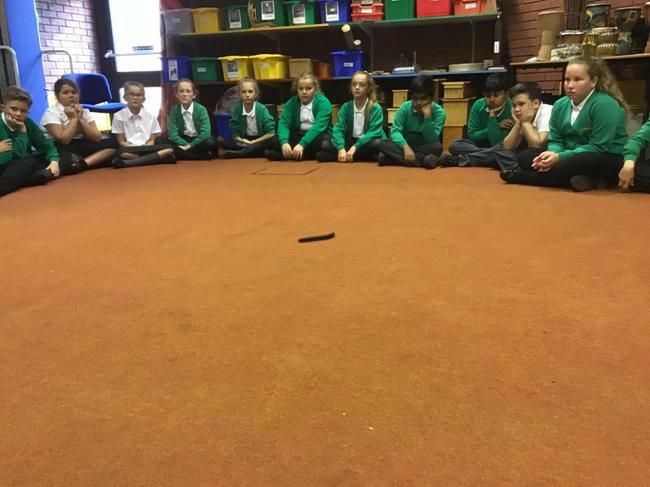 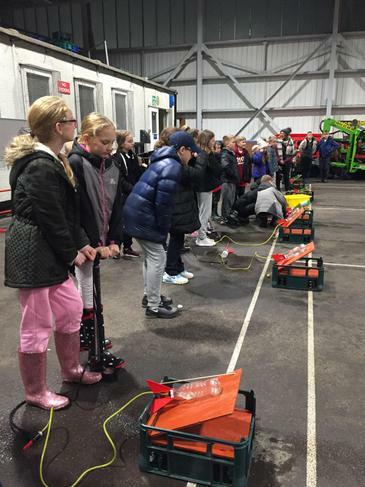 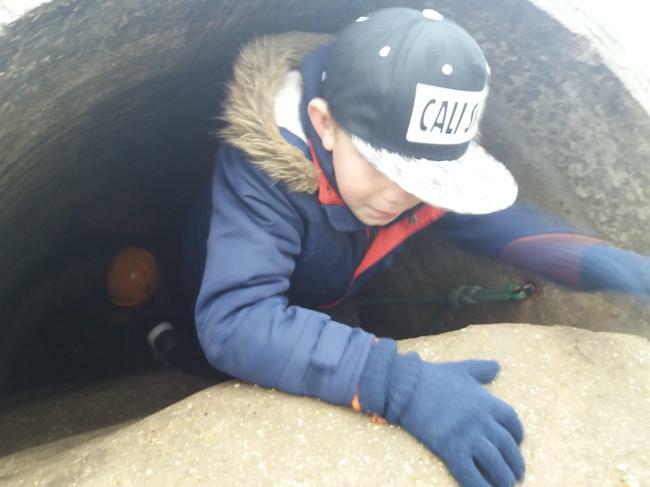 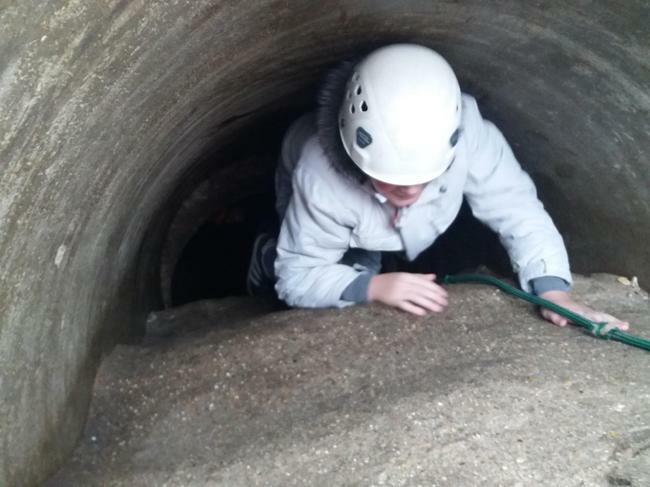 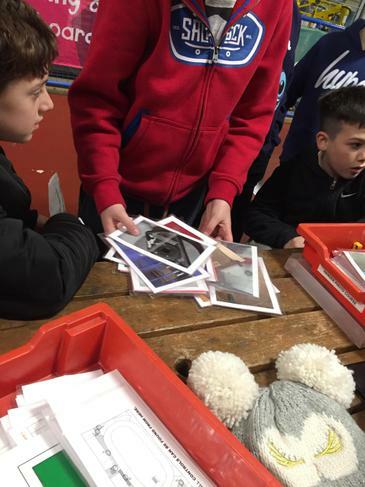 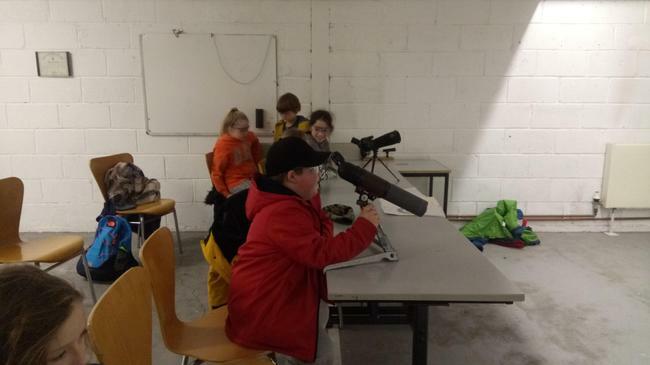 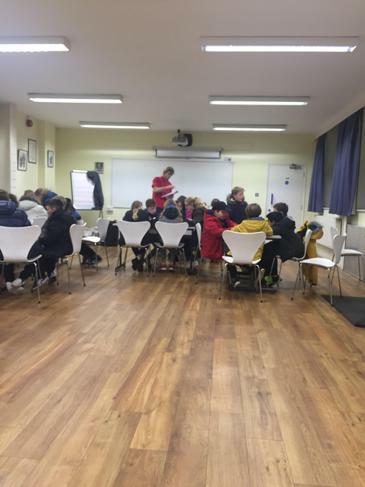 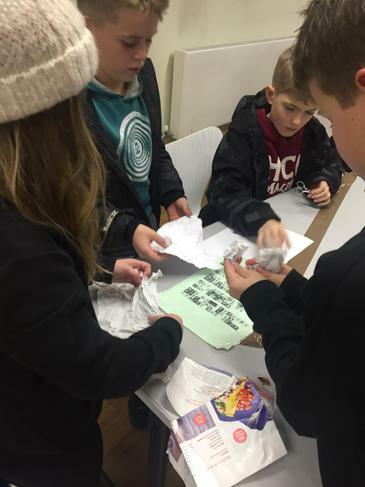 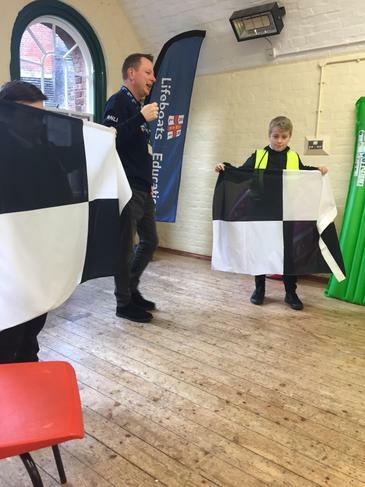 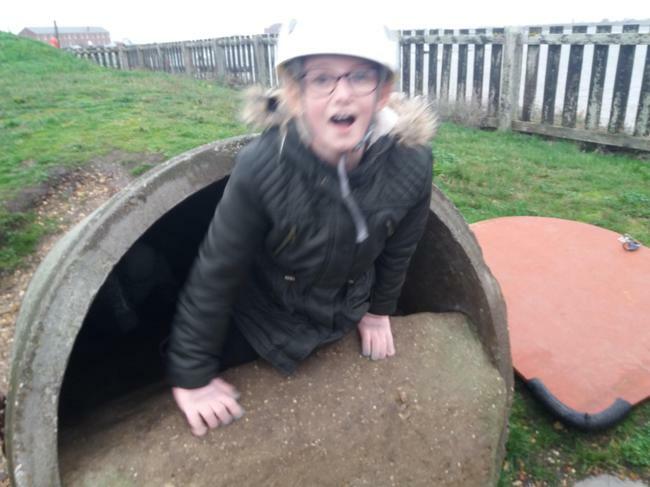 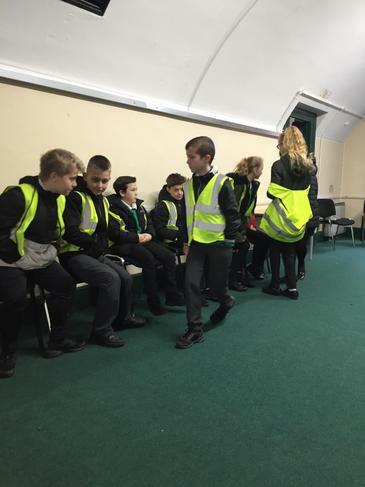 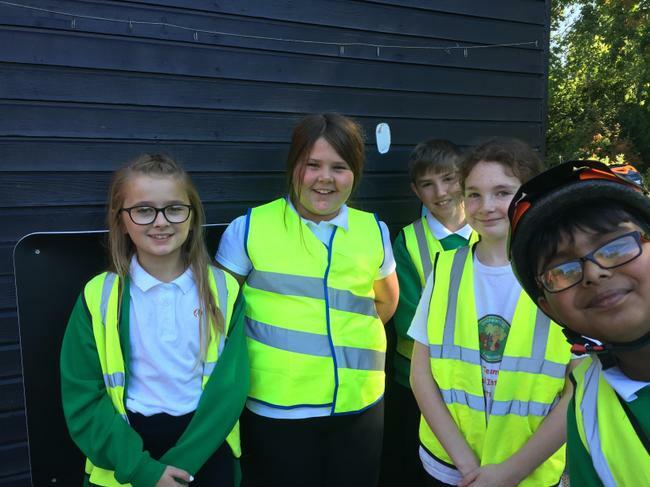 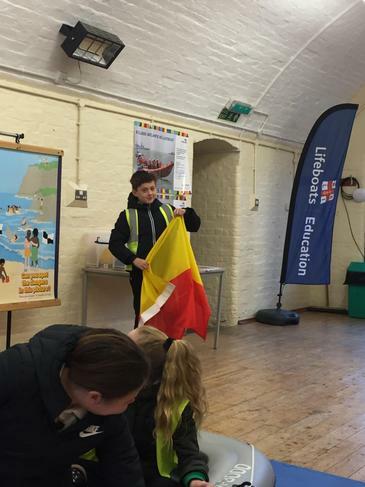 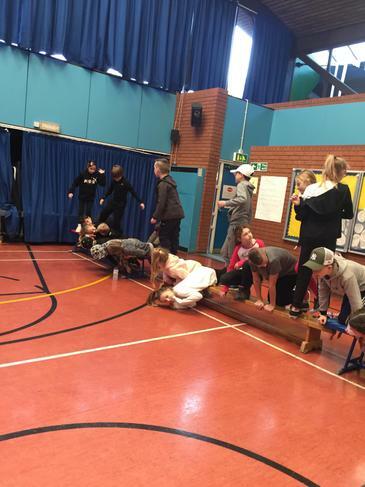 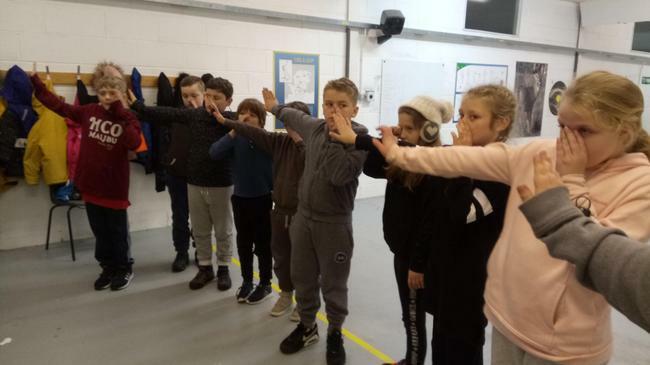 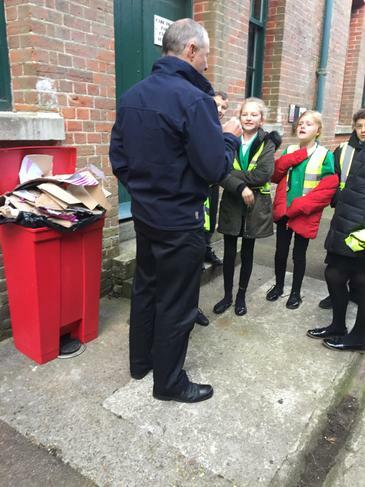 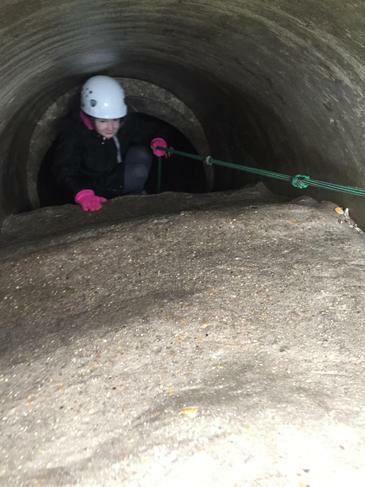 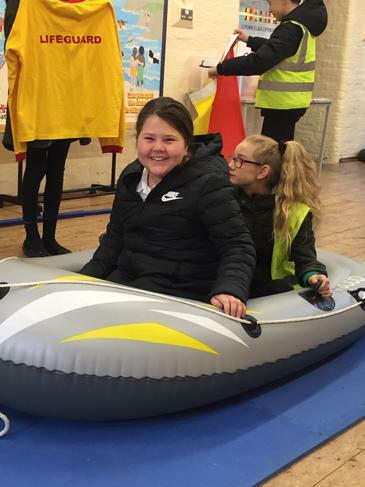 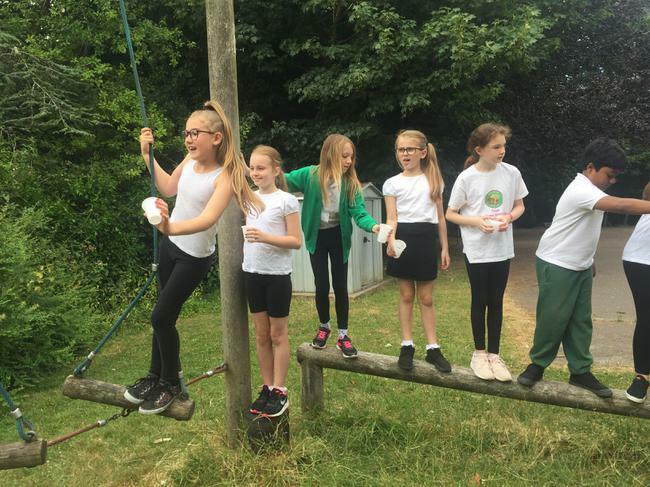 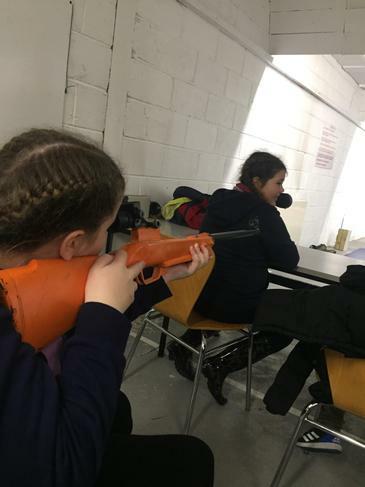 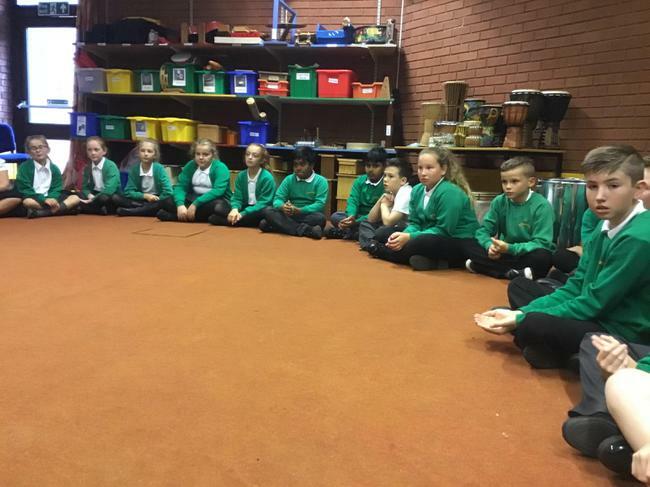 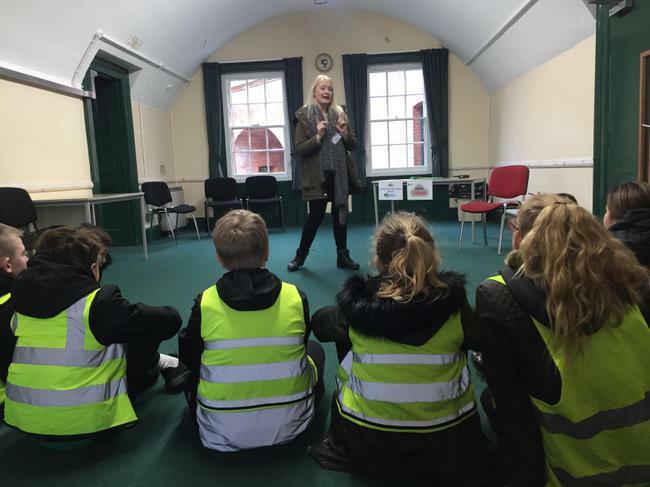 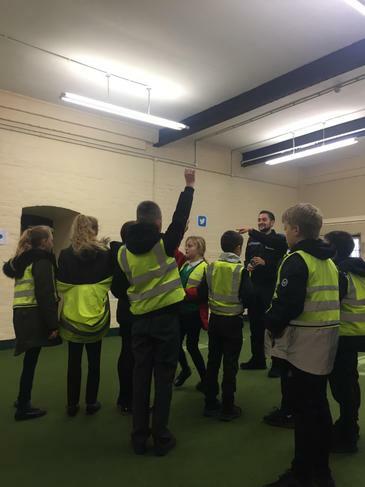 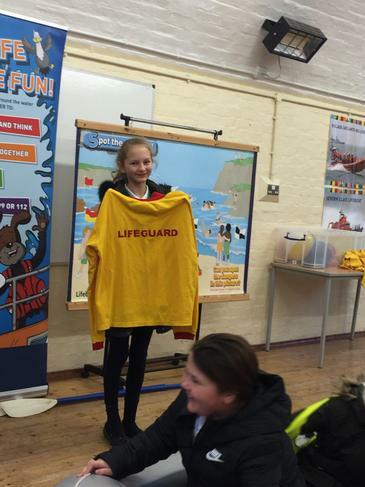 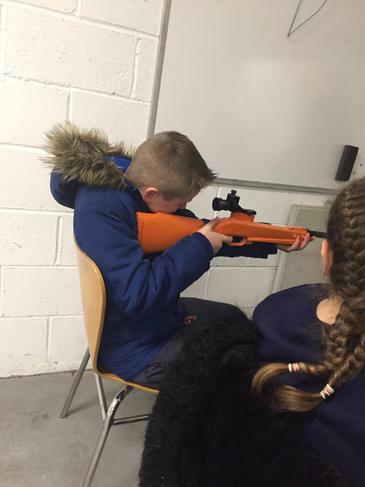 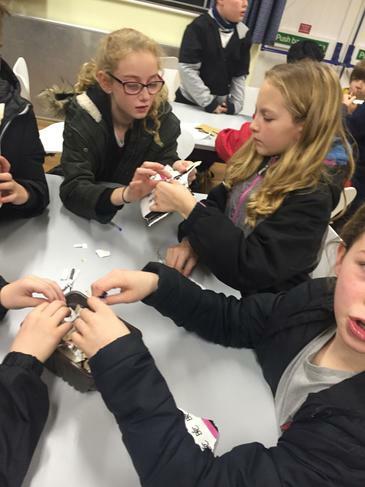 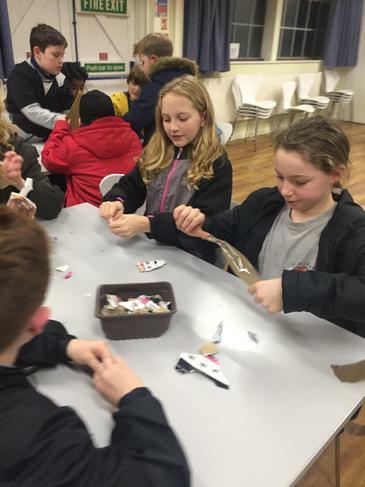 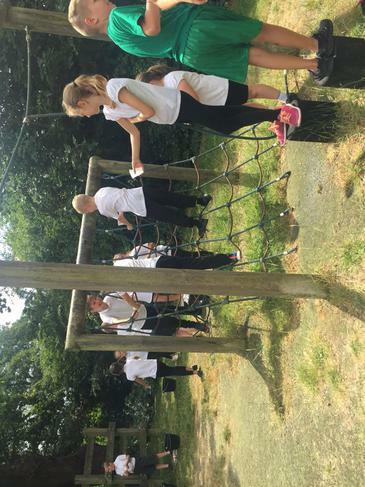 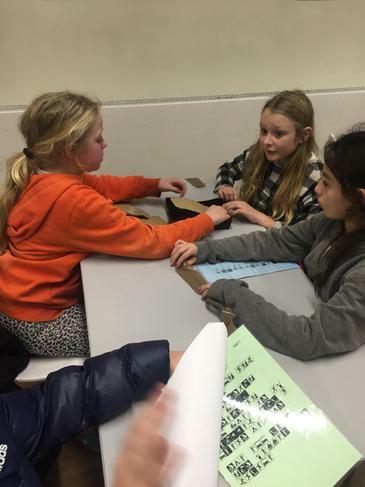 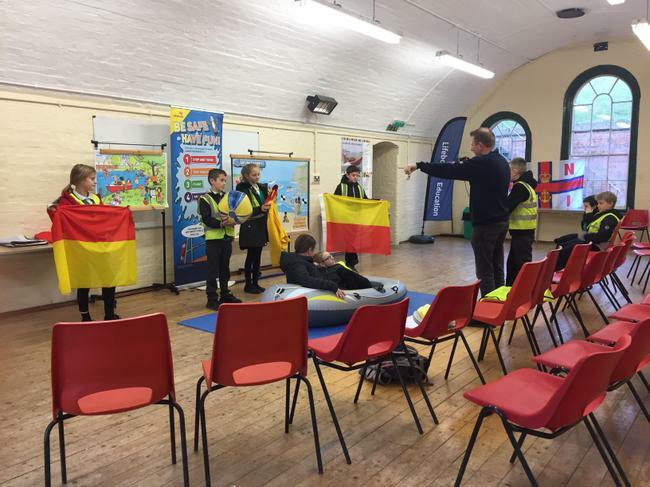 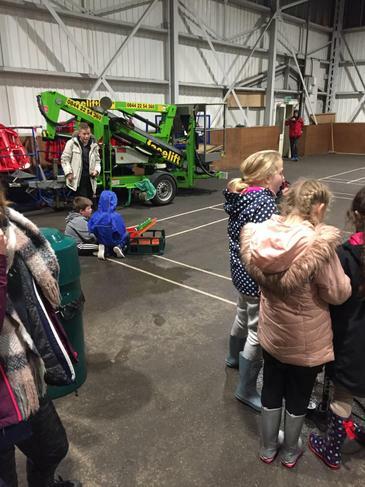 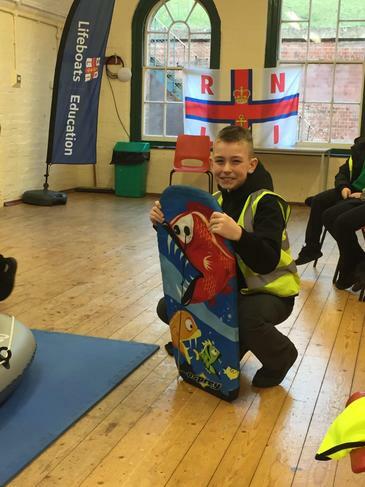 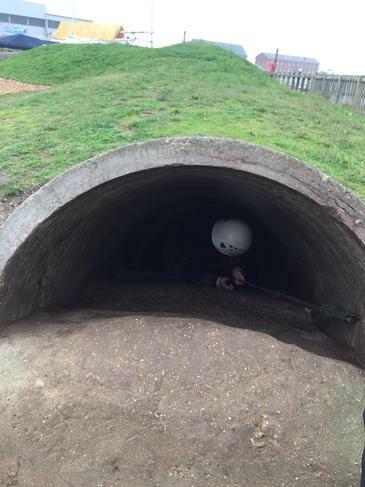 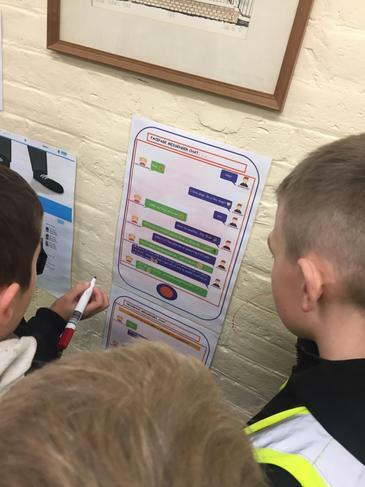 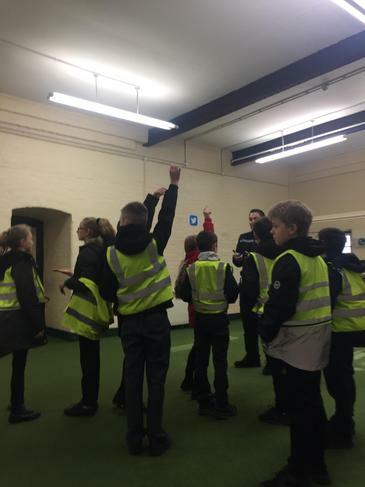 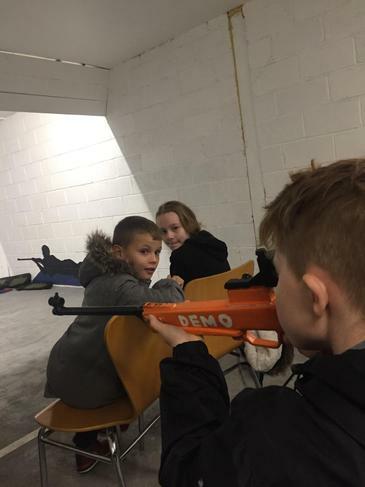 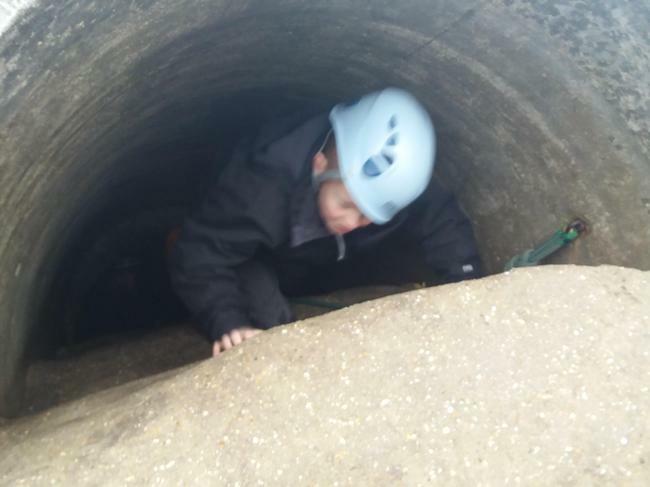 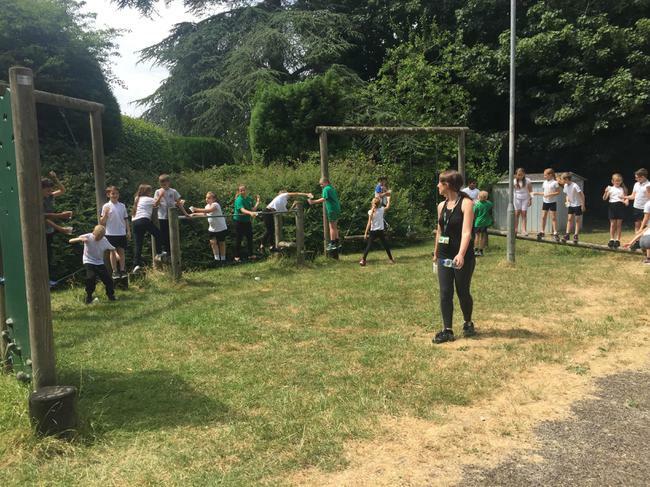 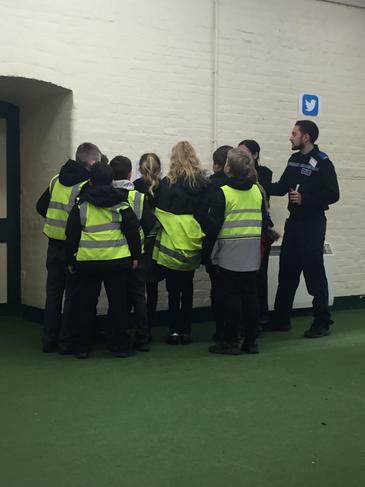 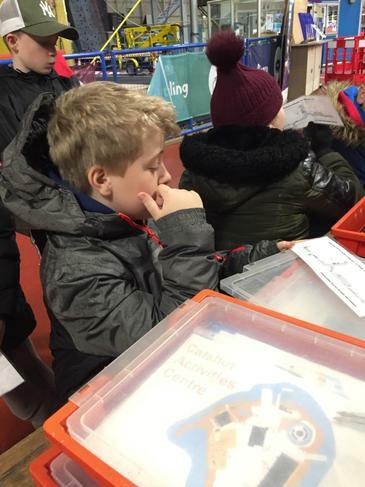 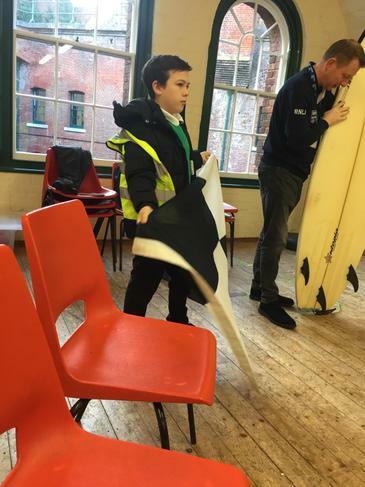 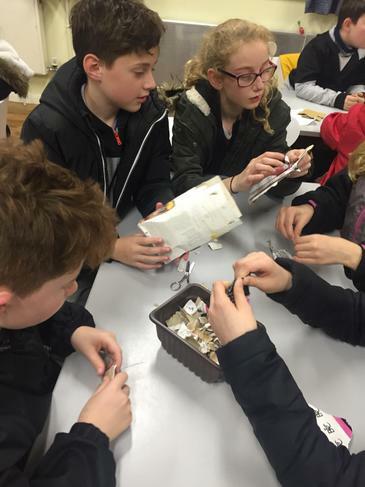 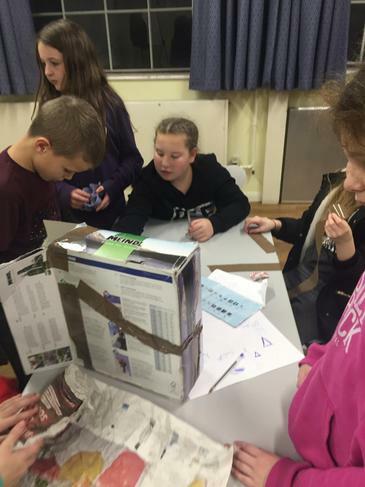 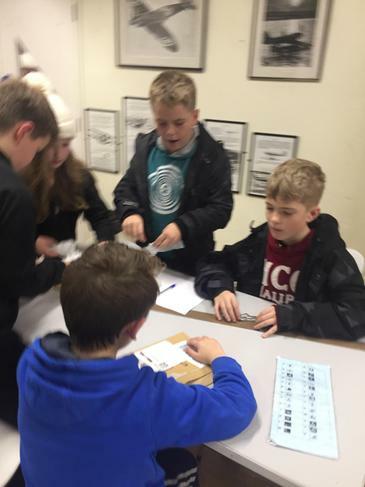 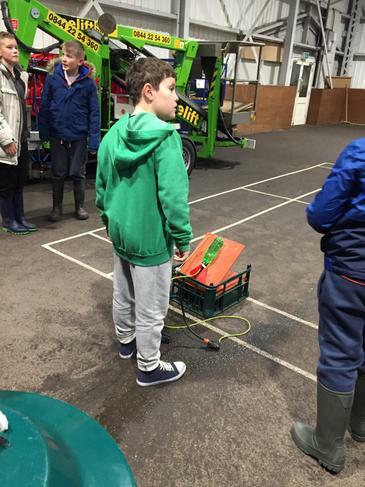 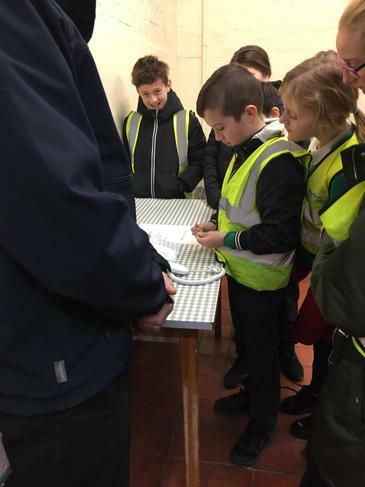 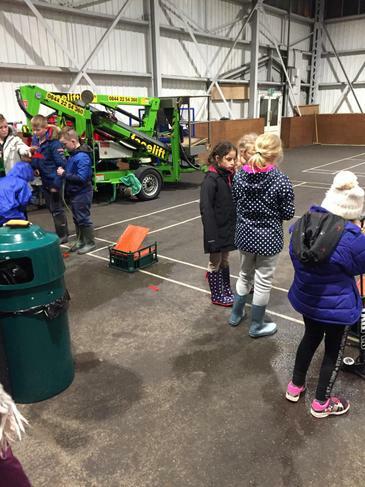 Year six visited to Fort Purbrook to take part in a Junior Citizen event. 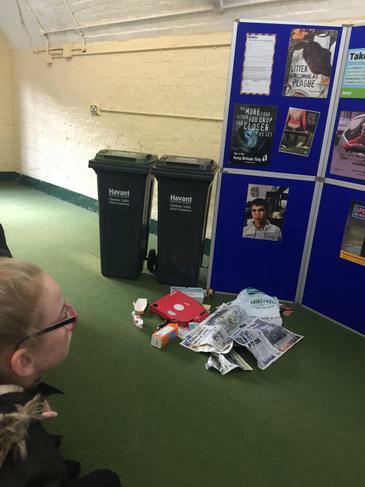 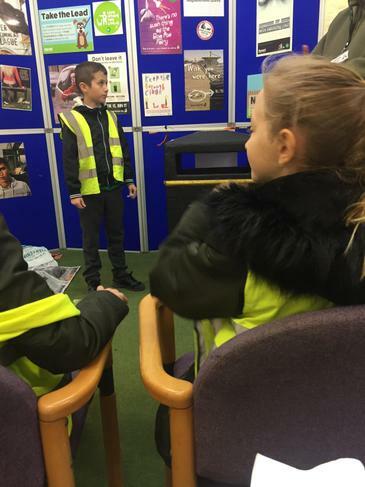 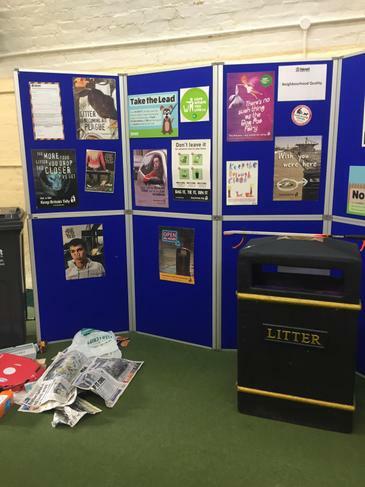 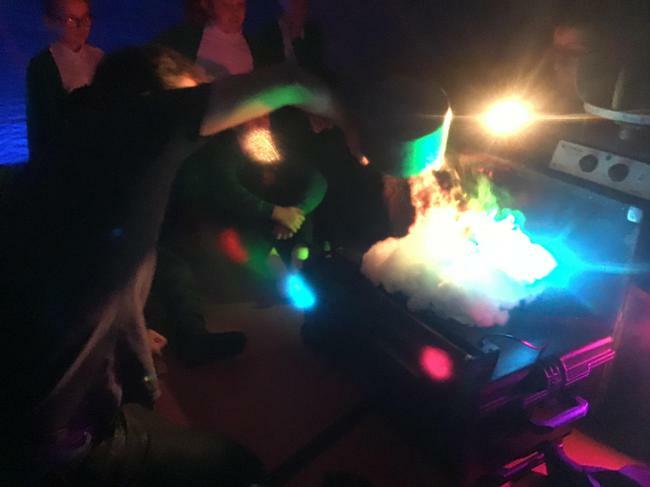 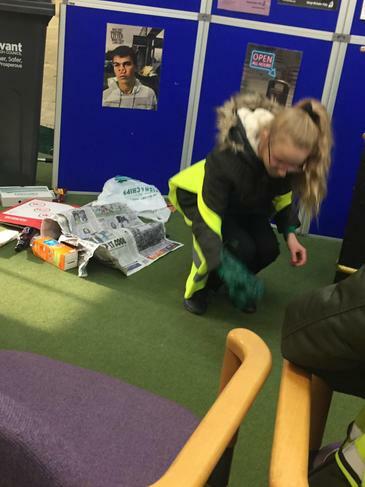 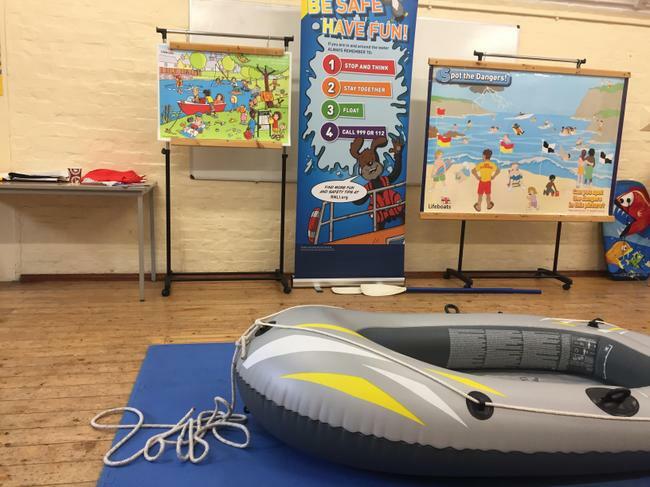 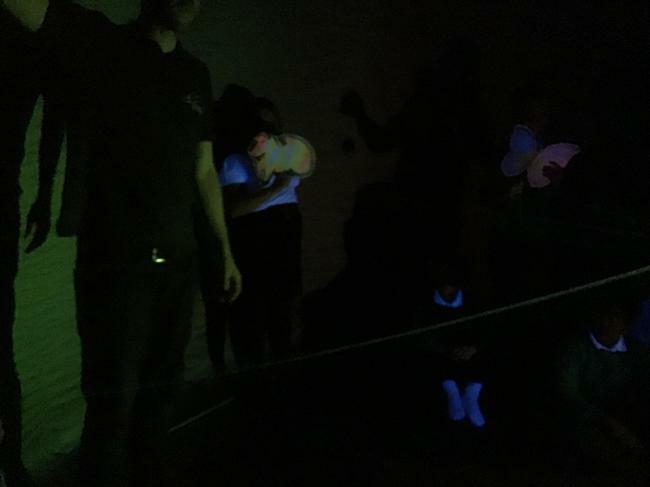 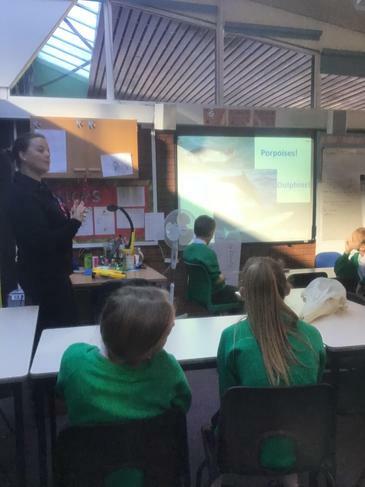 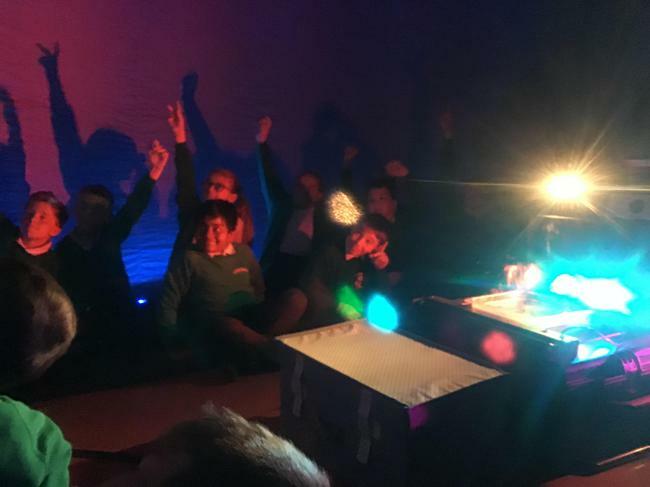 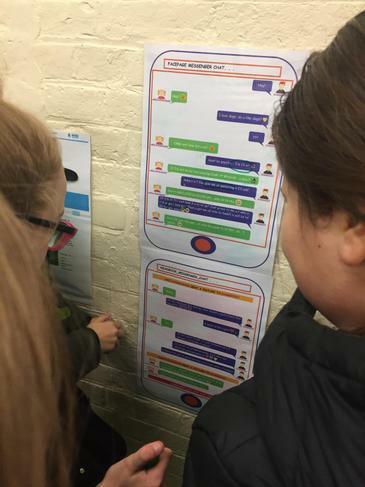 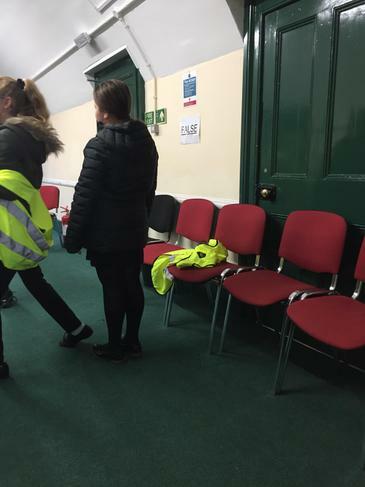 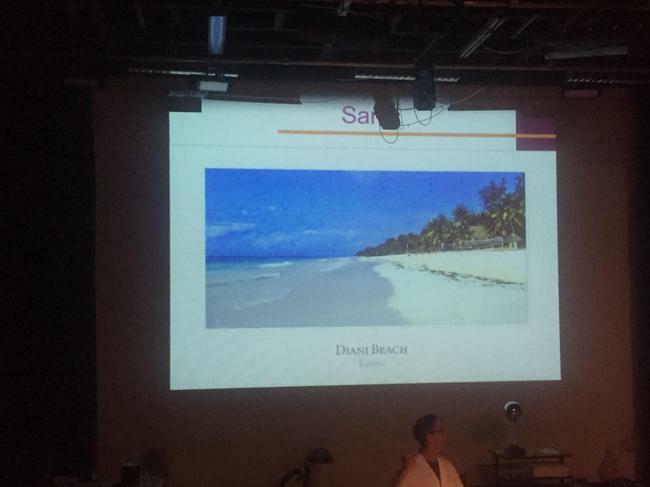 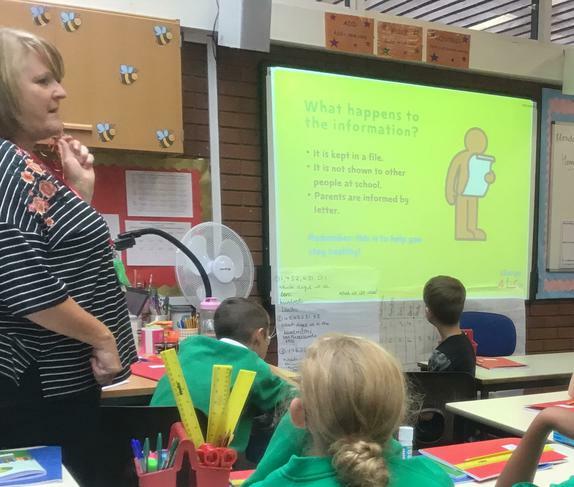 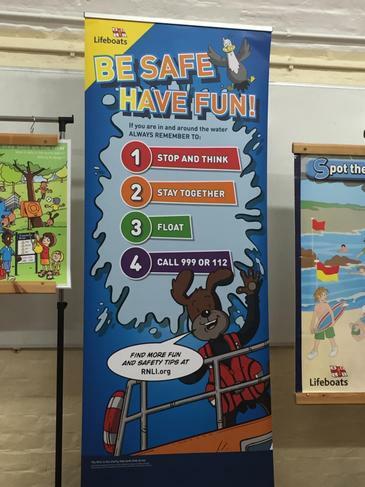 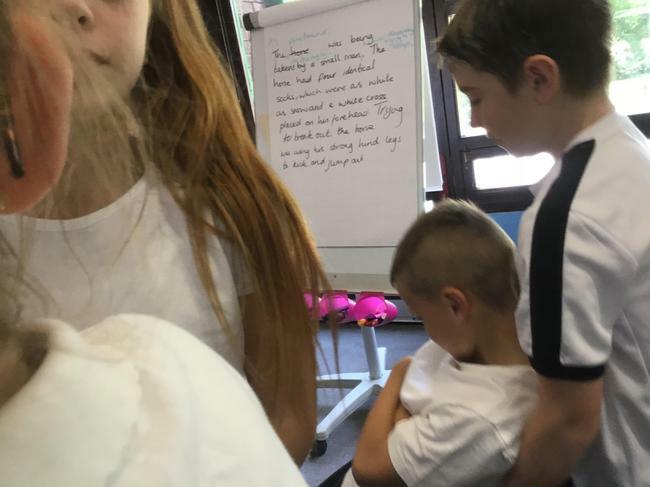 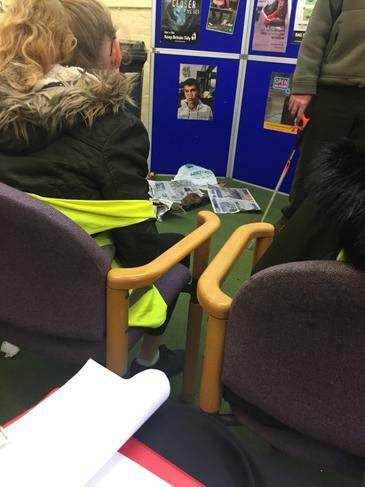 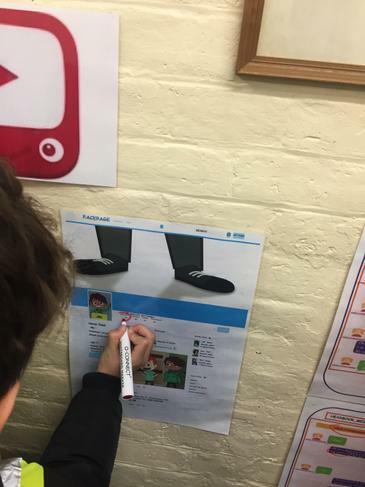 They had five workshops: Hampshire Police (keeping safe online), RNLI (keeping safe near water), Hampshire Domestic Abuse Team (how to report and who to trust), Hampshire Fire (keeping safe with fire) and Havant Council (keeping safe and tidy in the local area). 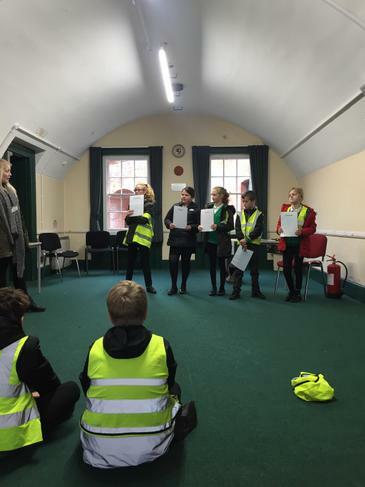 Pupils really enjoyed their morning learning new facts and have all received a certificate to state they are a 'Junior Citizen'. 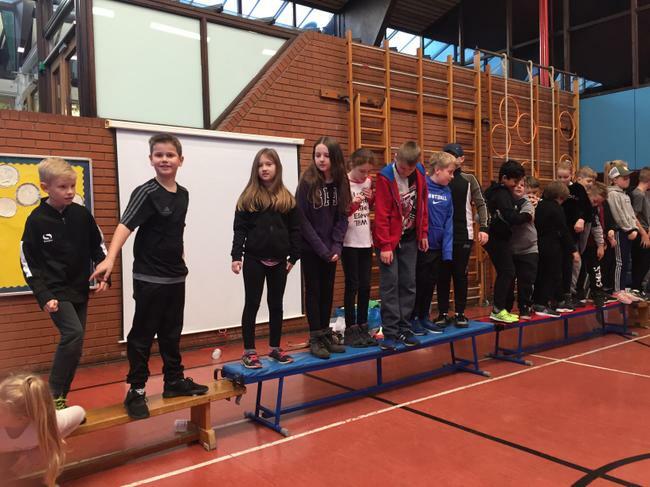 Our PE days are Tuesday and Fridays. 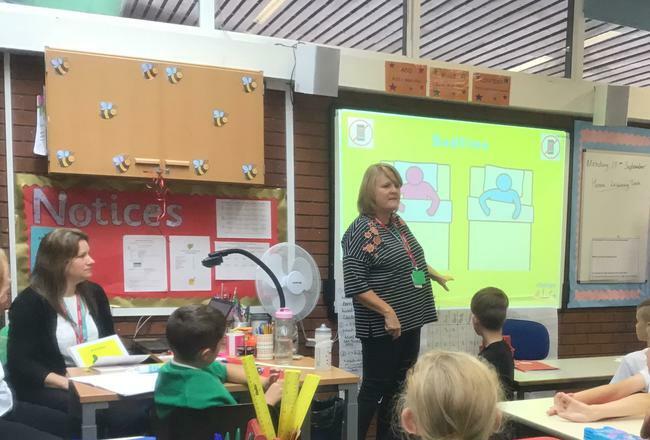 We look at both home learning books every Monday and new home learning is given out on Mondays. 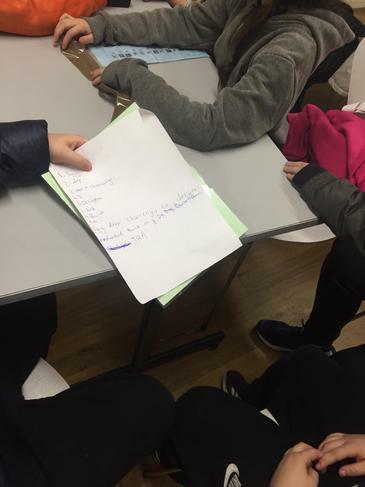 Please ensure that all home learning is recorded in diaries. 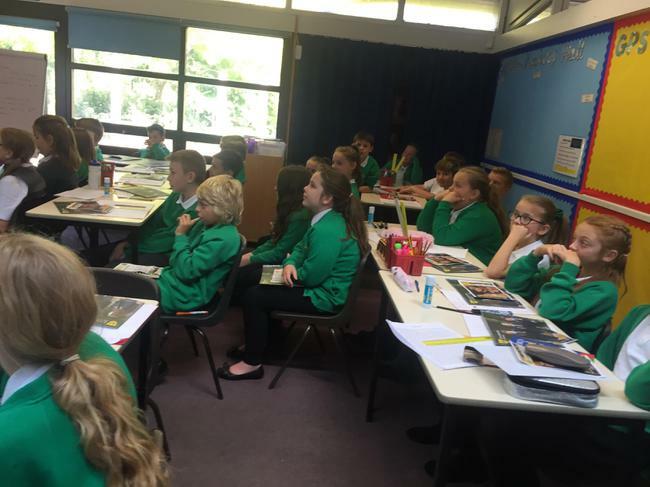 Diaries and home learning reading books (currently Private Peaceful and Oranges in No Man's Land) should be in everyday. 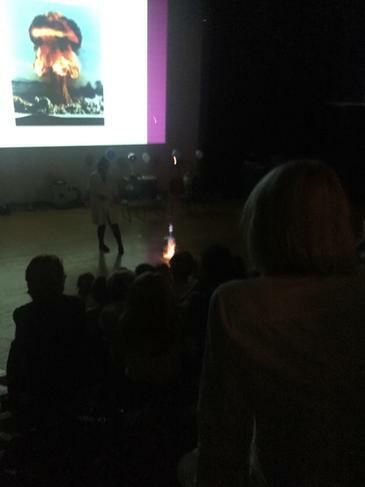 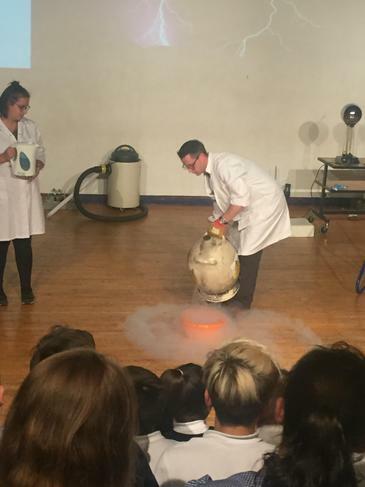 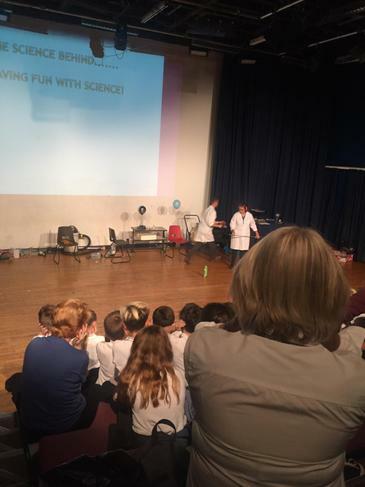 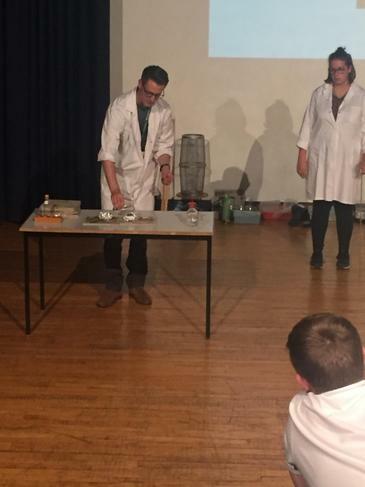 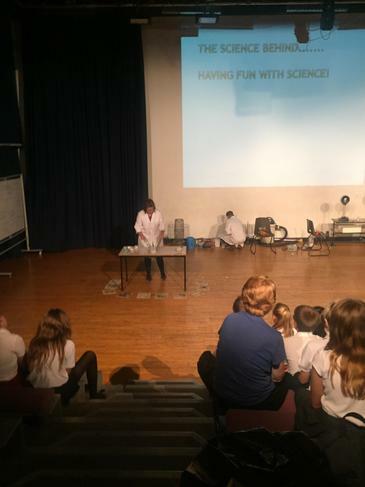 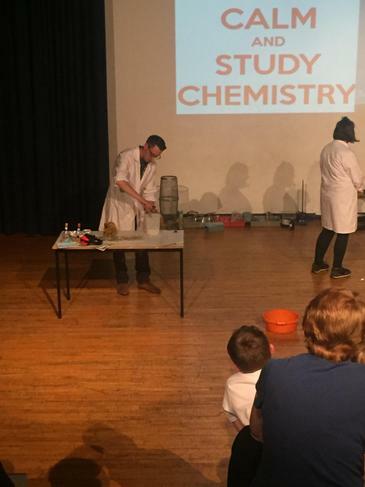 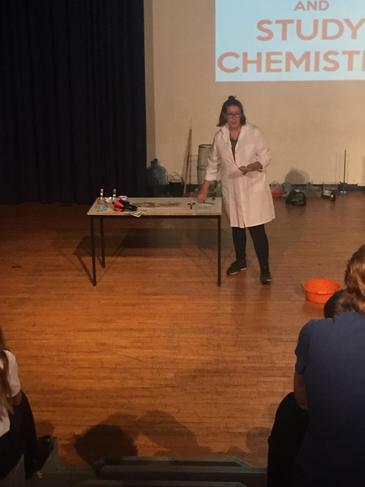 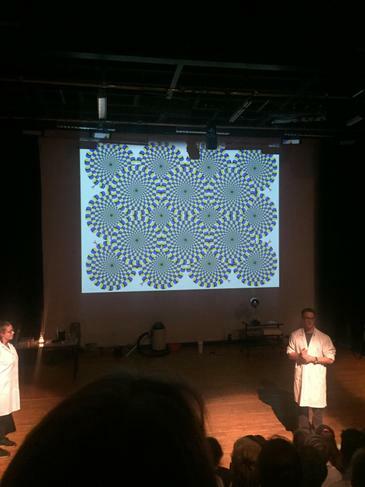 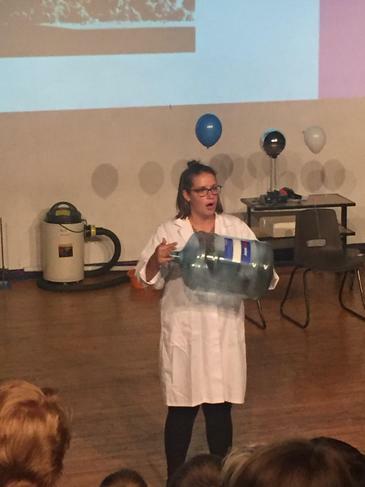 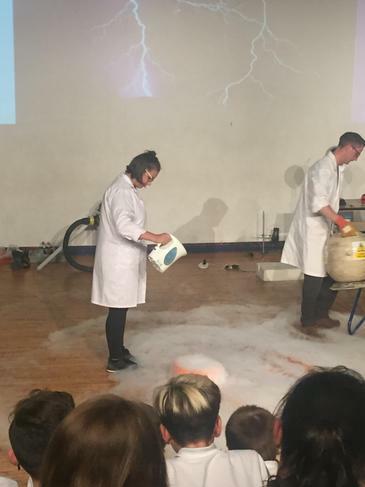 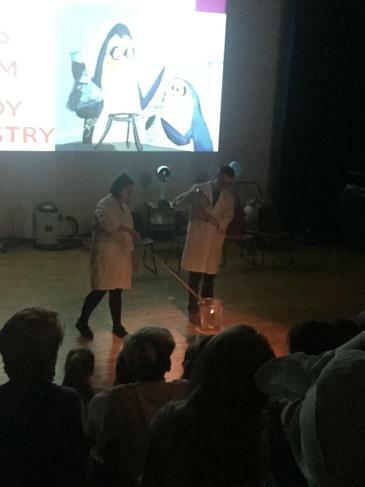 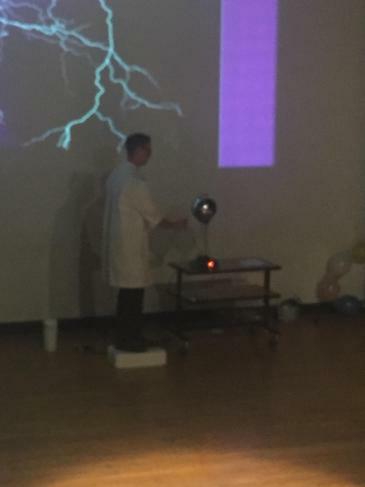 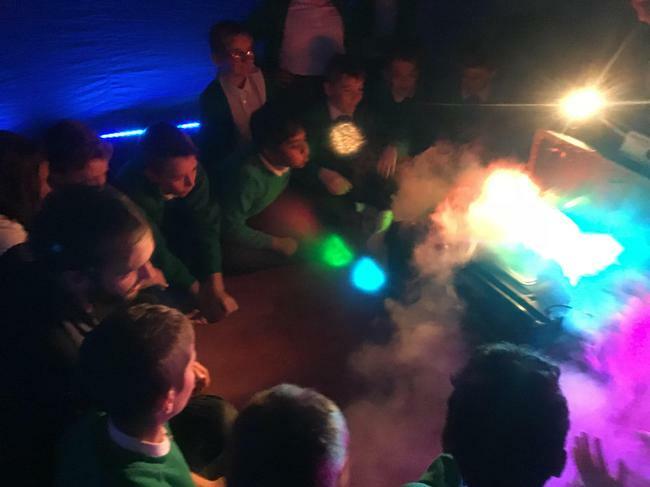 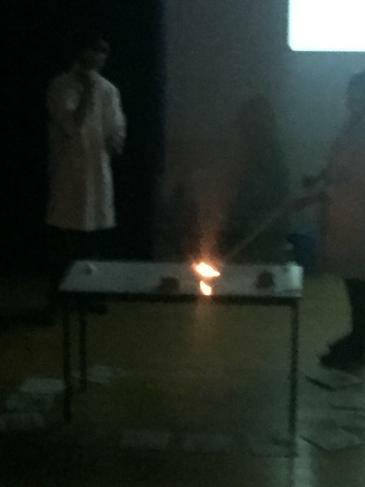 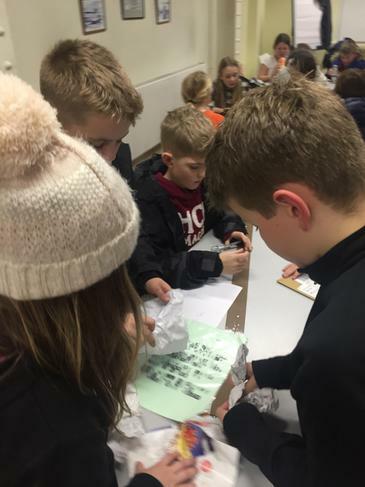 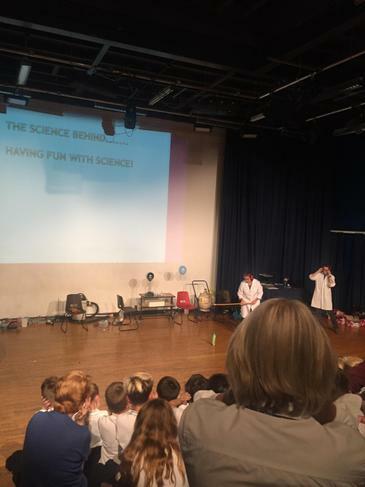 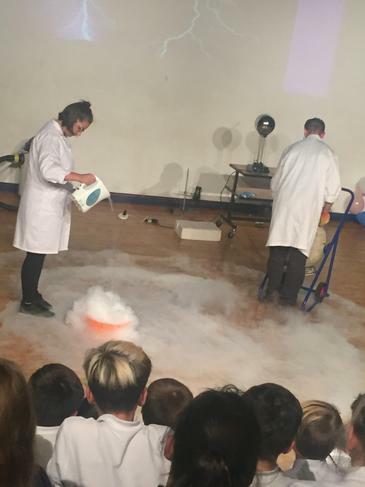 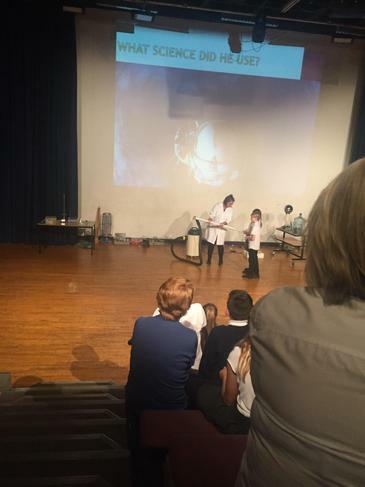 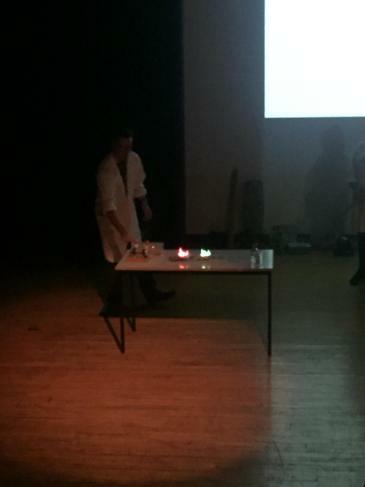 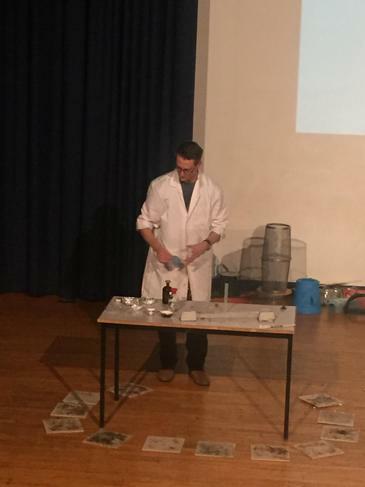 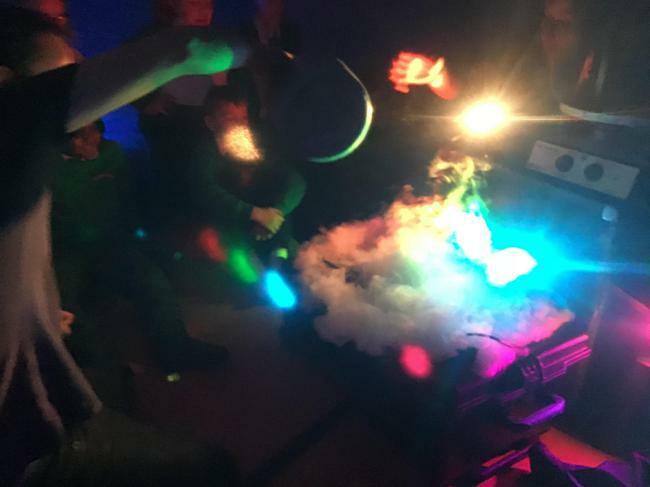 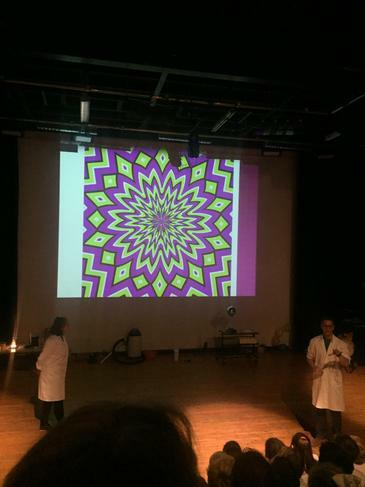 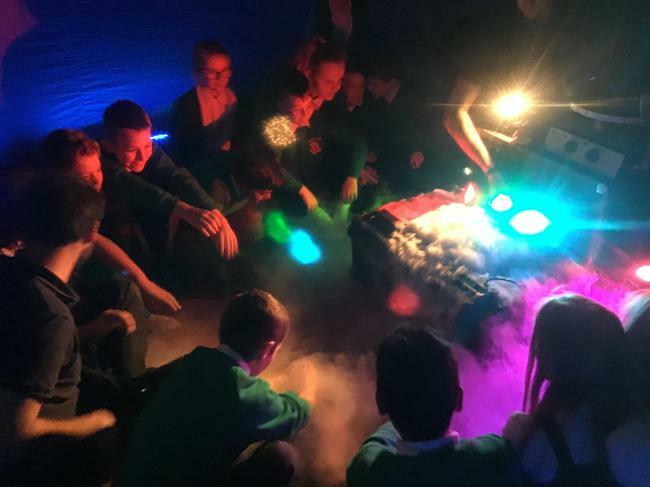 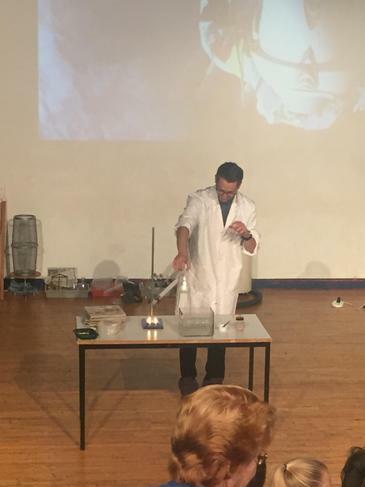 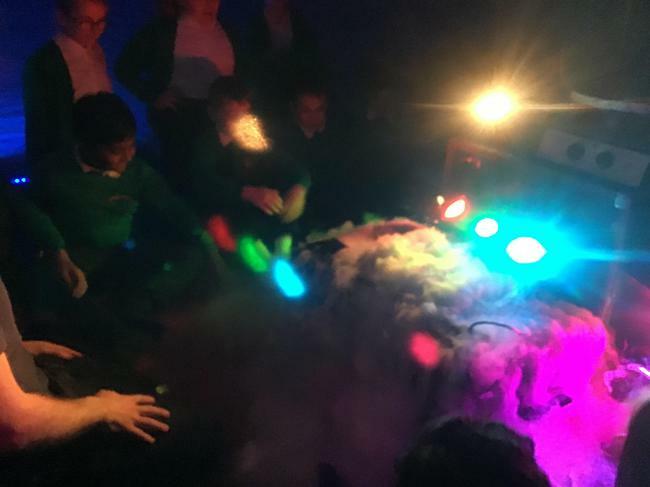 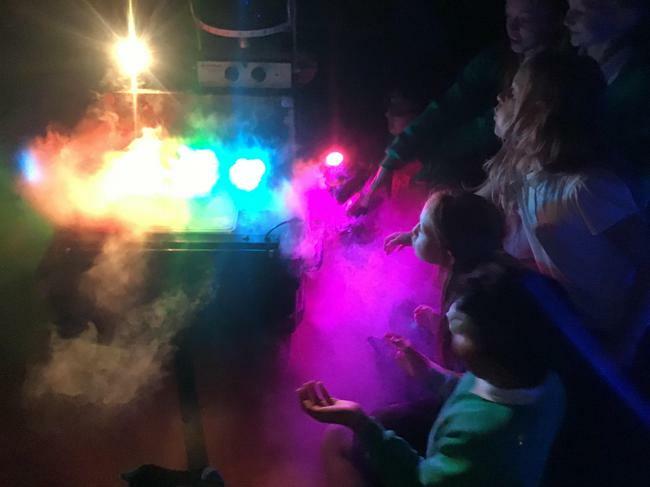 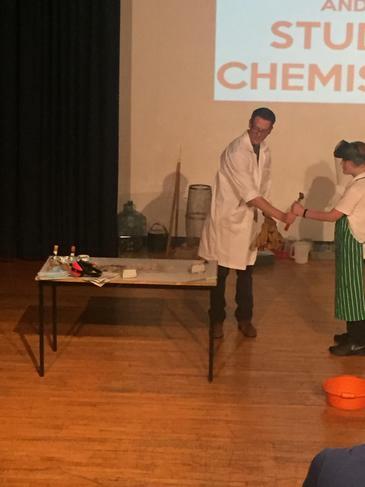 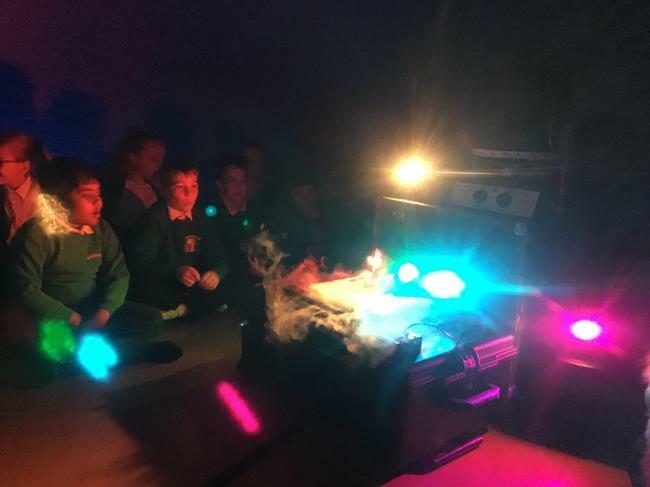 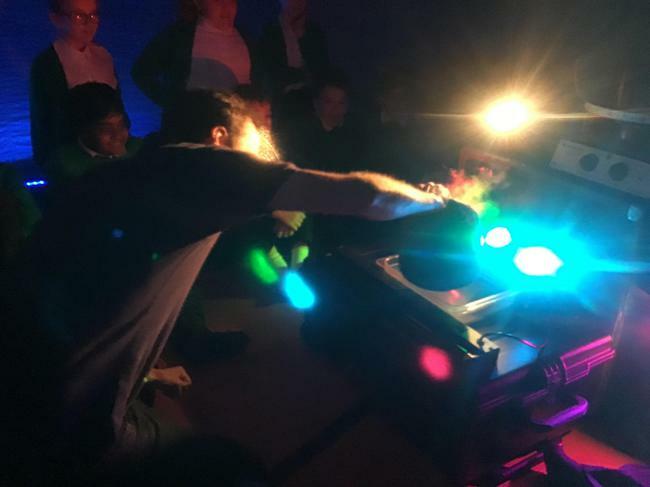 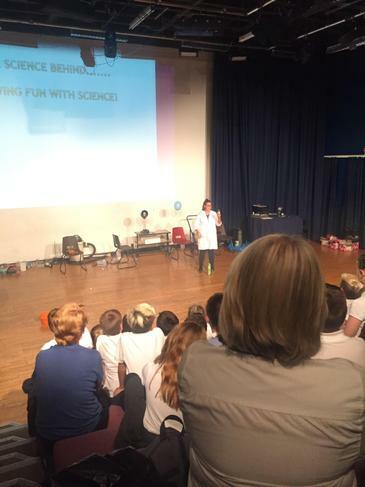 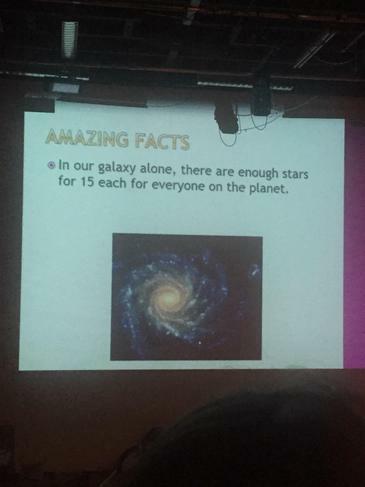 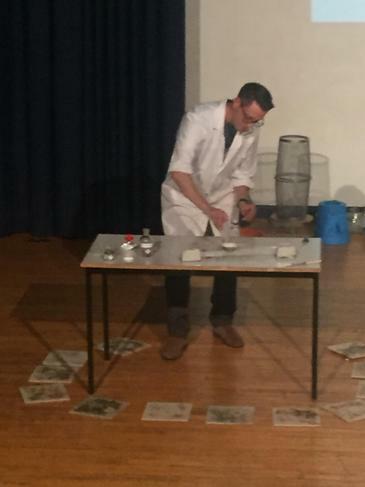 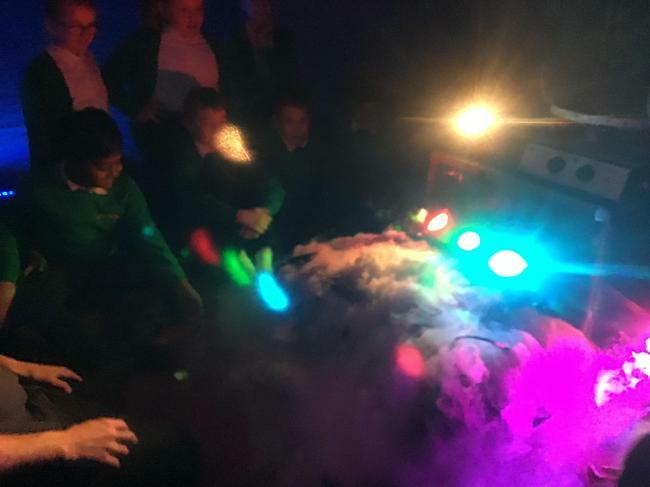 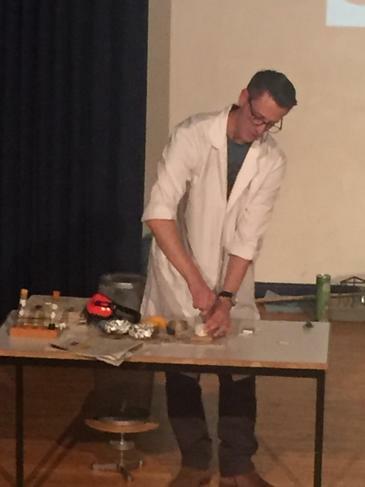 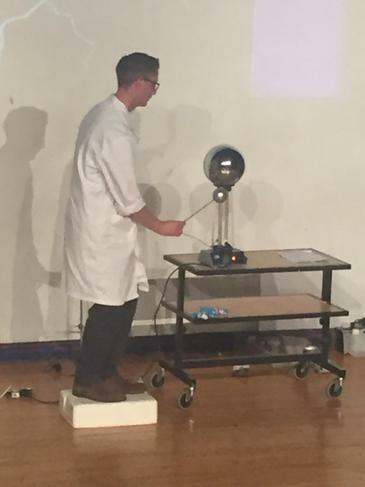 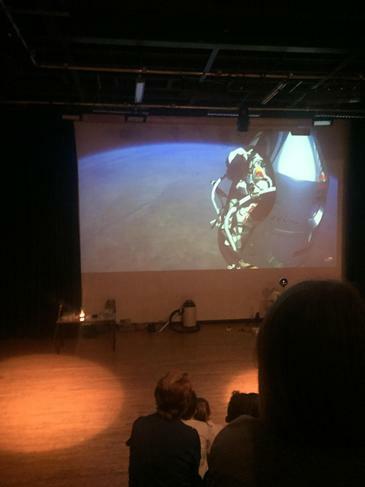 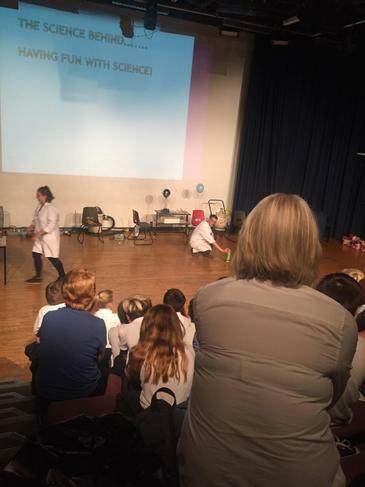 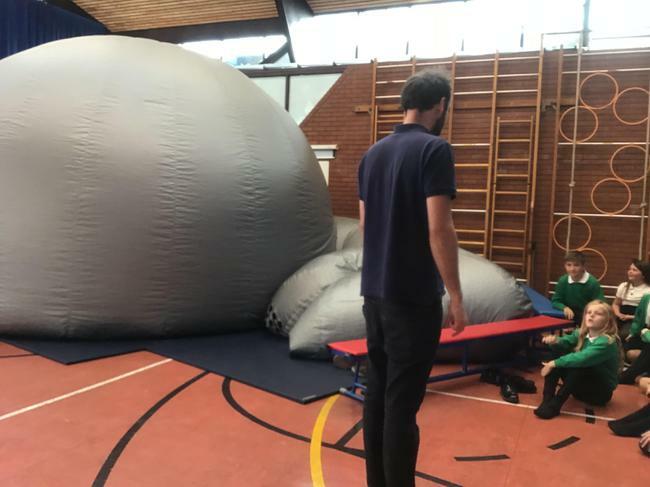 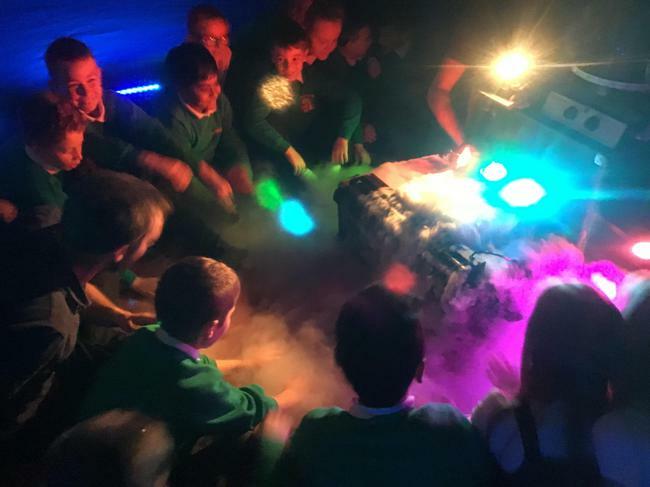 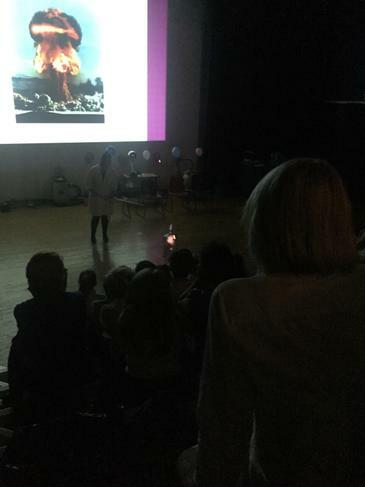 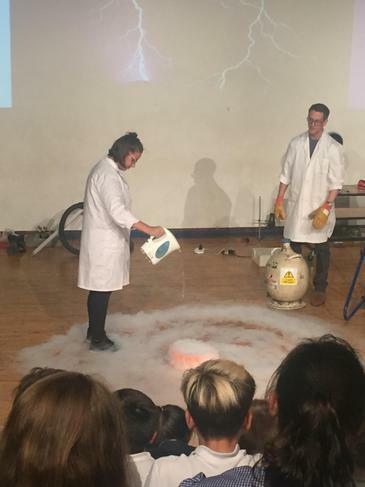 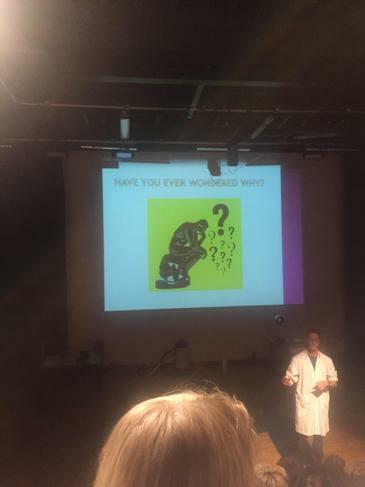 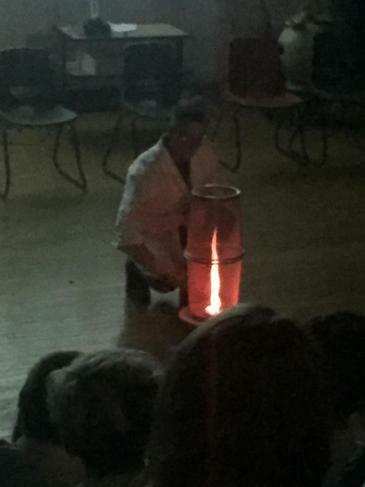 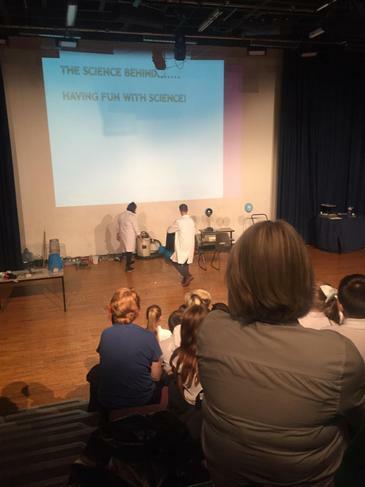 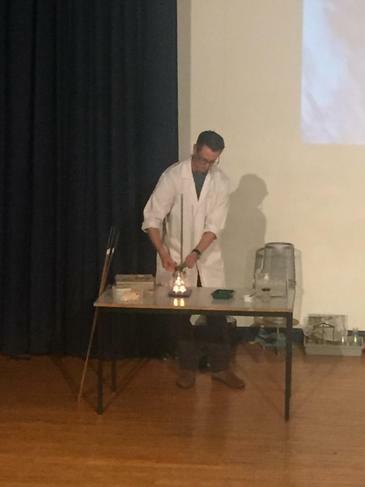 All of year 6 were invited to the Science behind the science workshop at Crookhorn. 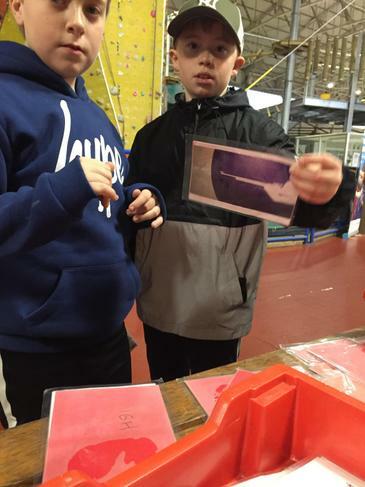 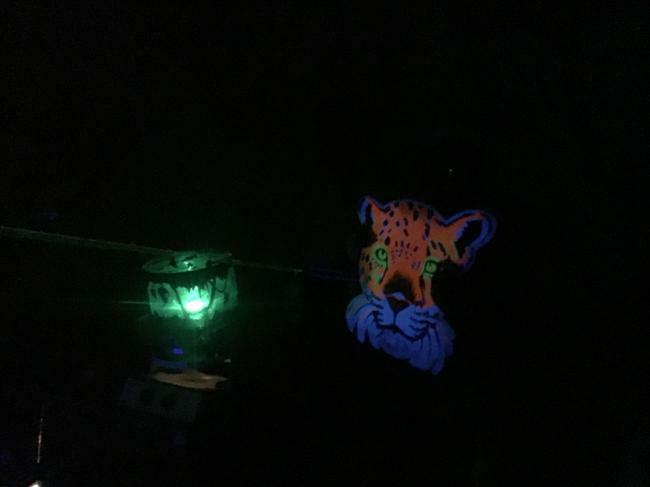 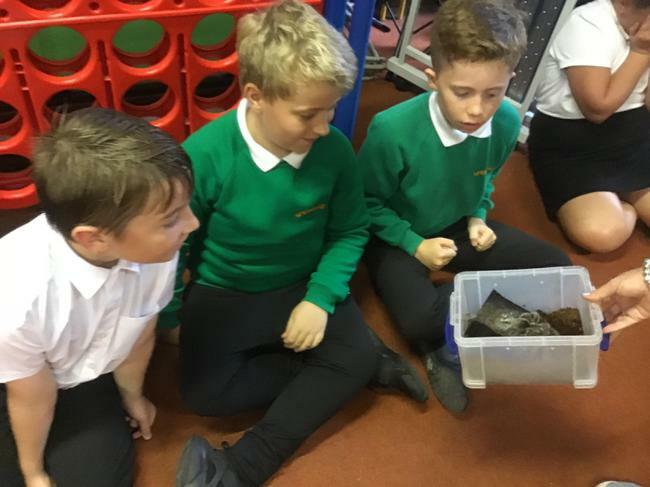 They were able to watch lots of different experiments and discuss different ideas. 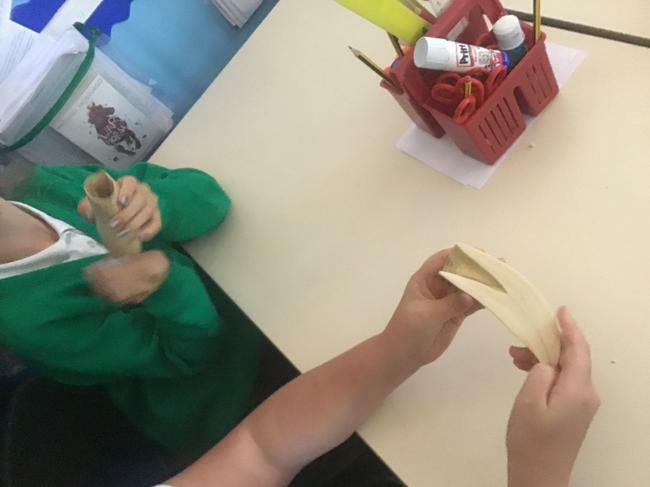 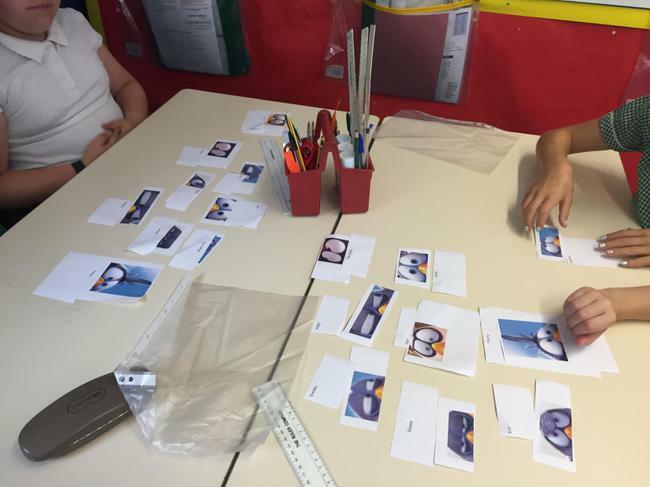 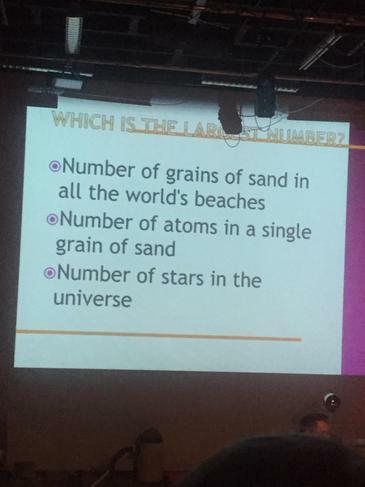 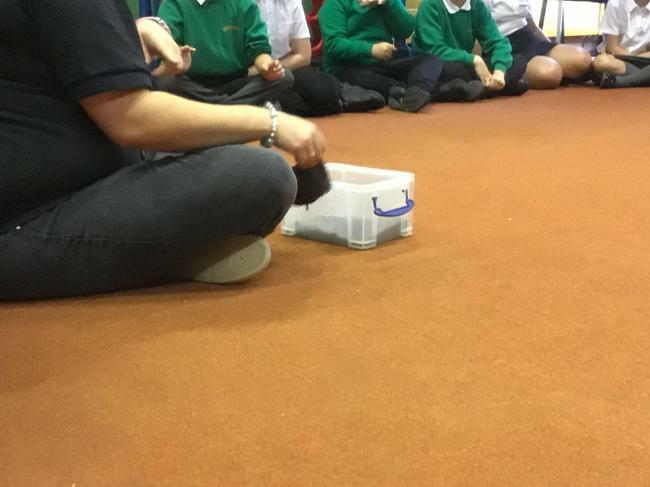 They talked about the properties of materials, using maths in science and the impact of our actions has on our planet. 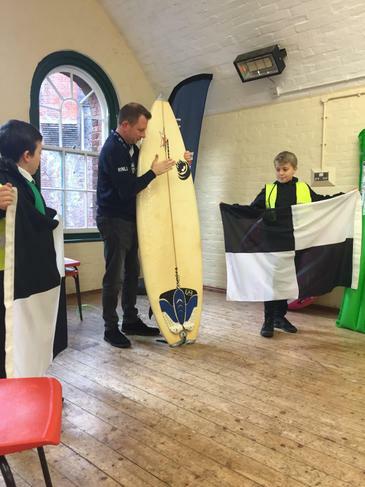 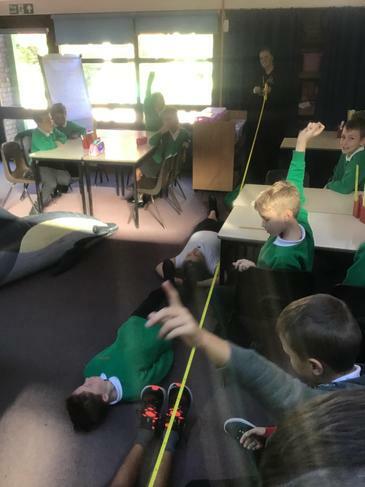 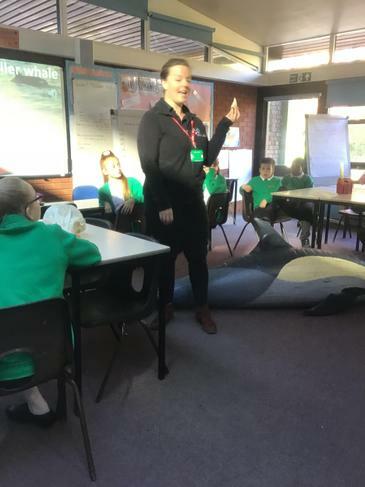 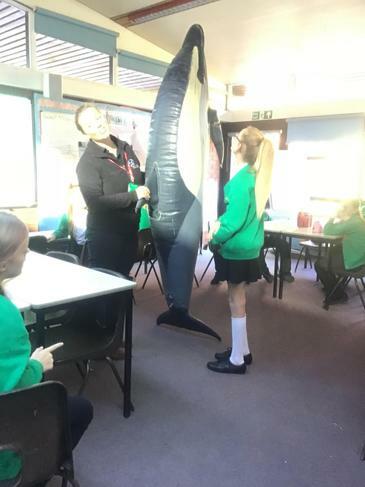 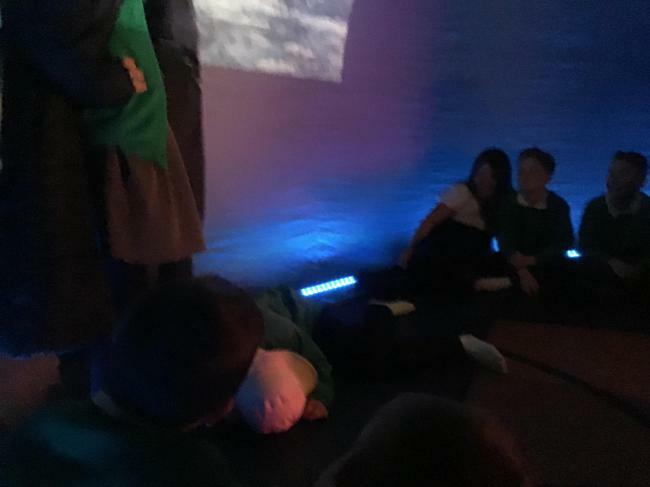 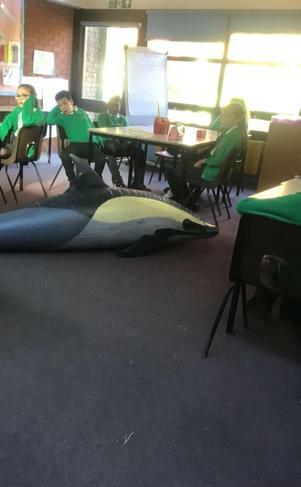 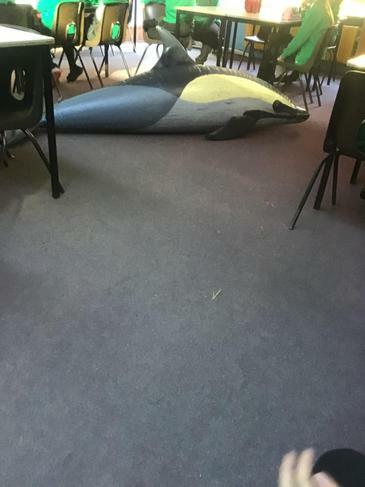 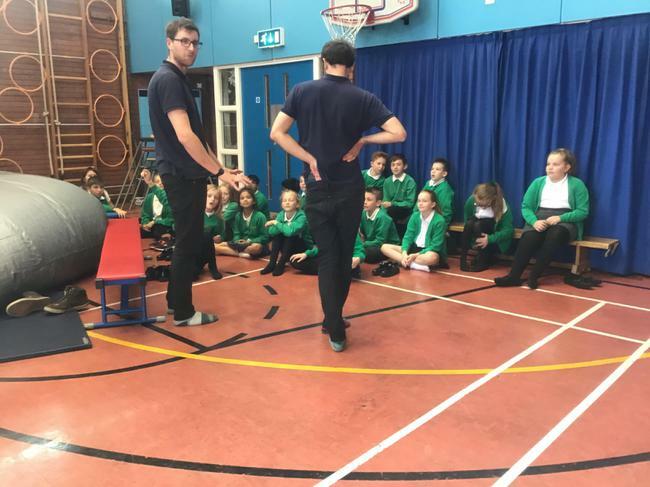 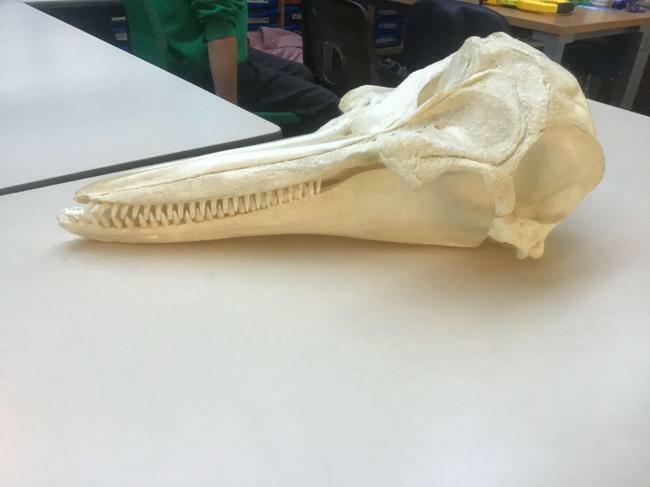 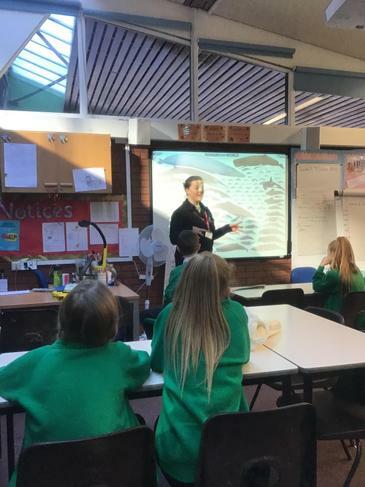 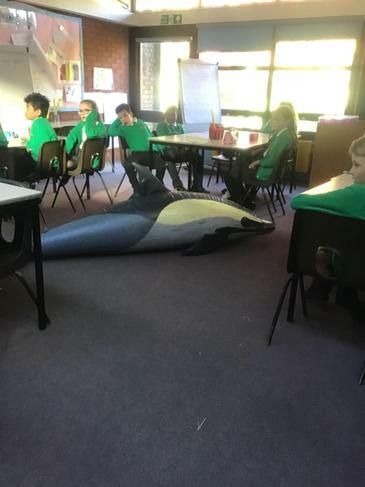 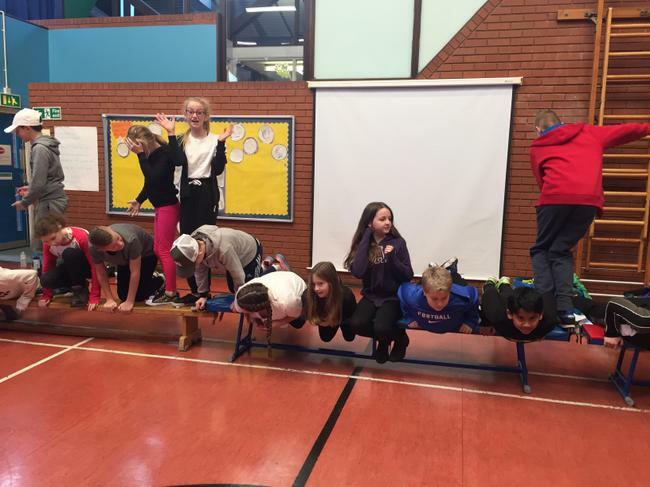 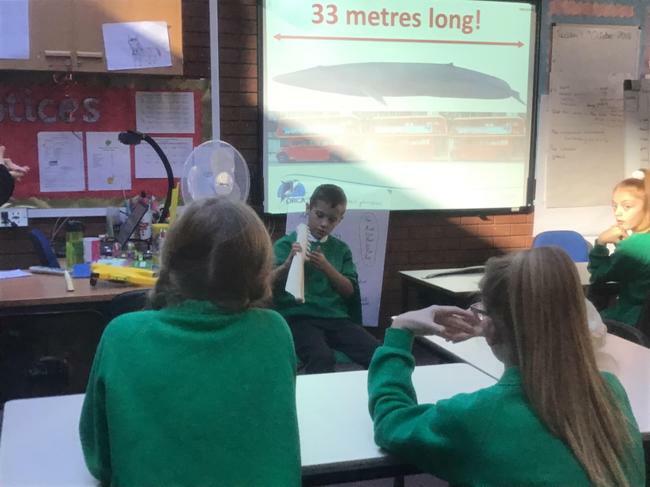 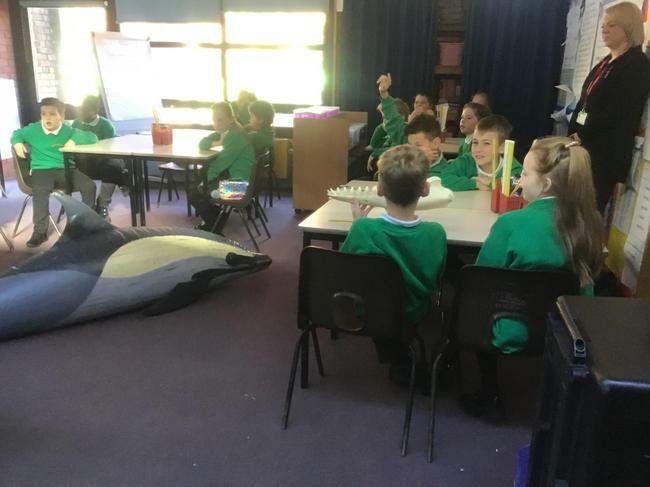 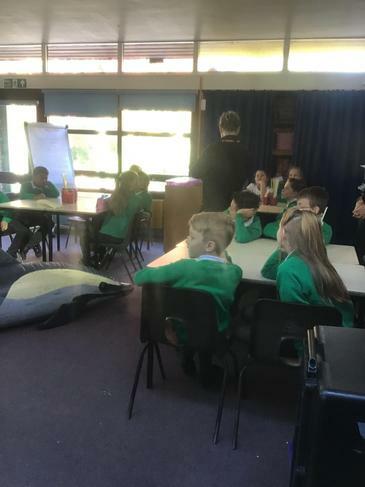 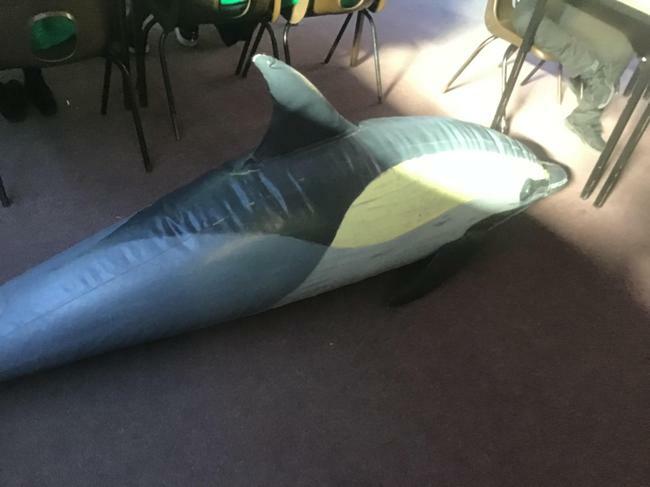 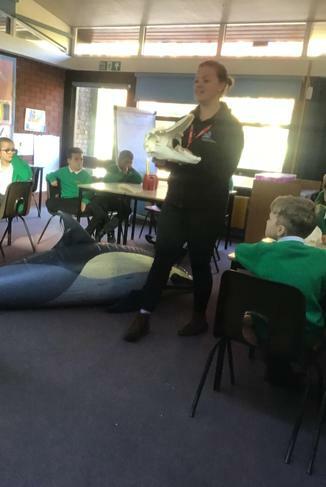 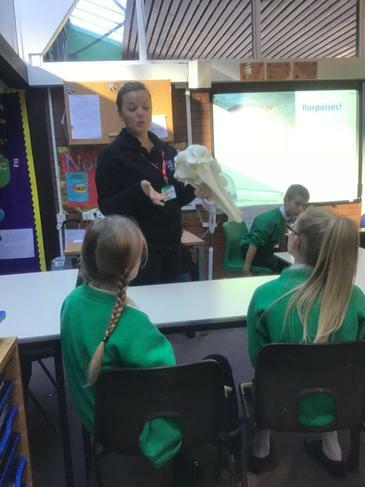 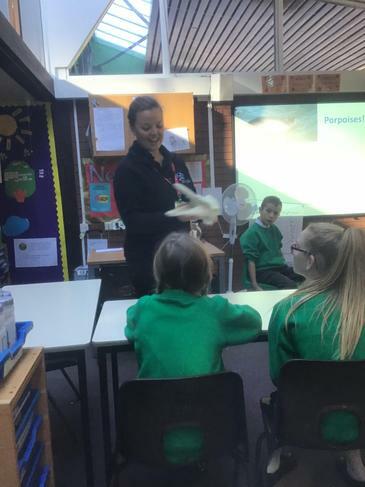 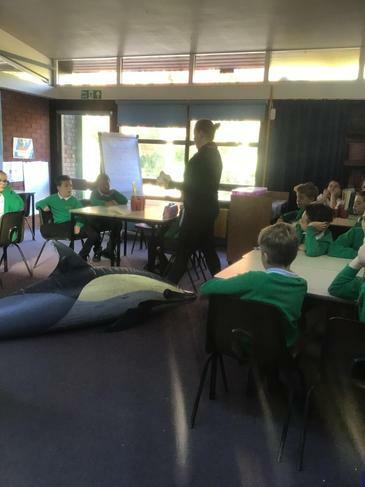 Year 6 had the opportunity to have a visit from the Orca and Whale Foundation. 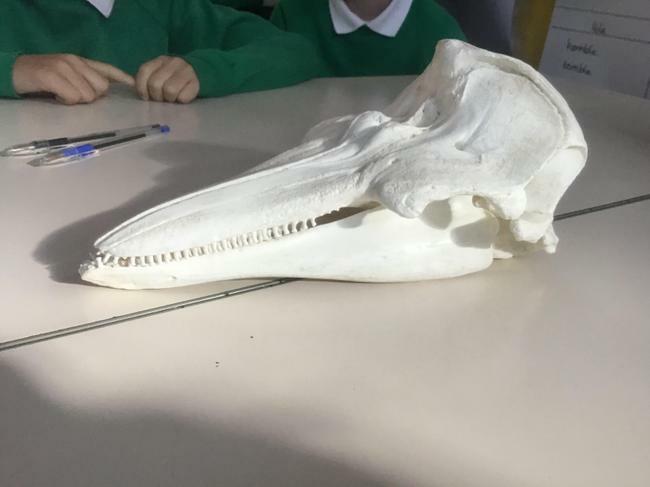 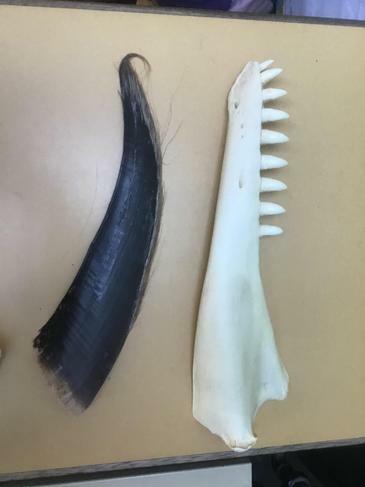 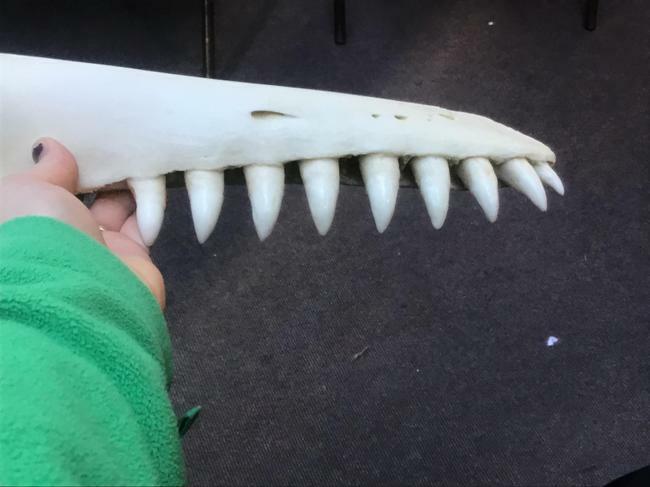 They were shown artefacts and were able to touch bones and parts of whales. 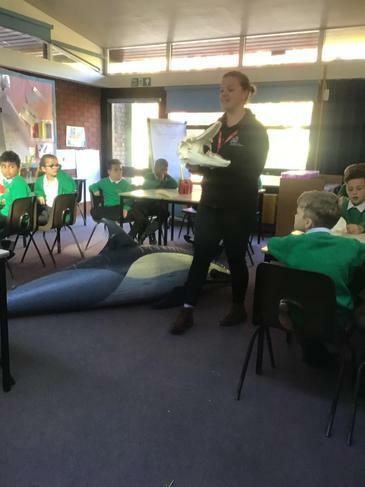 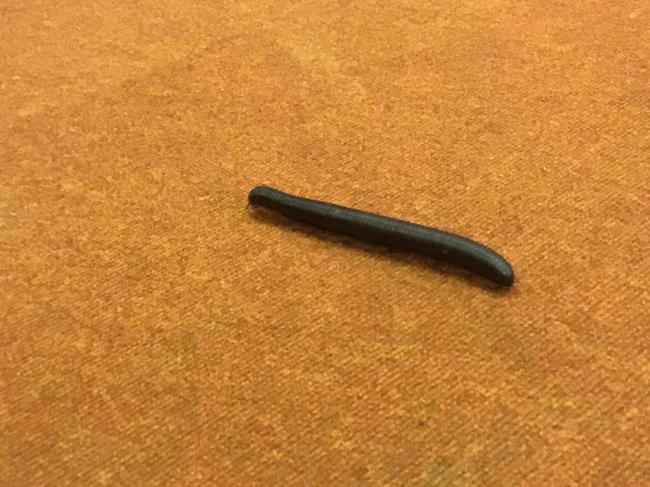 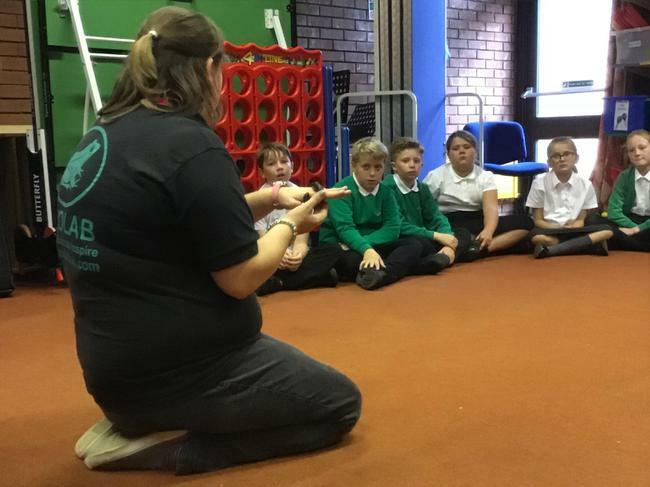 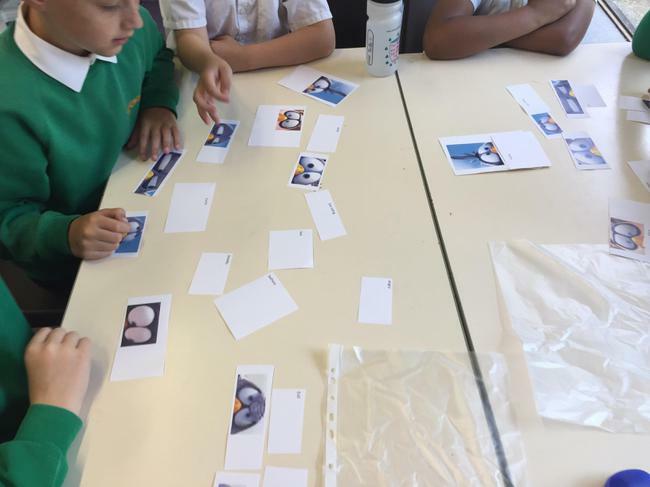 Pupils considered the impact our plastic and pollution is having on these creatures. 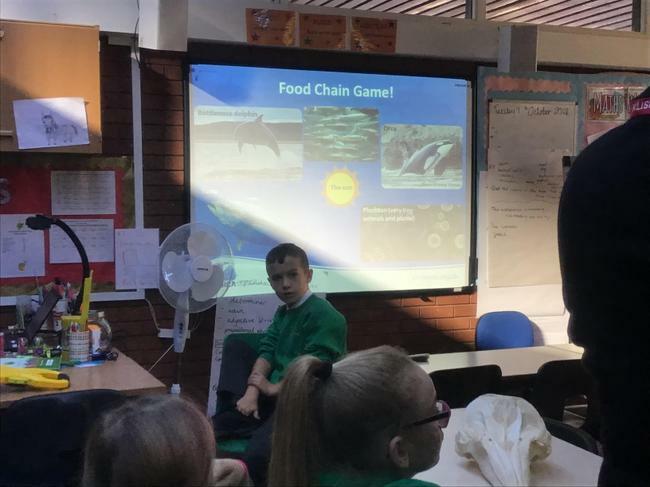 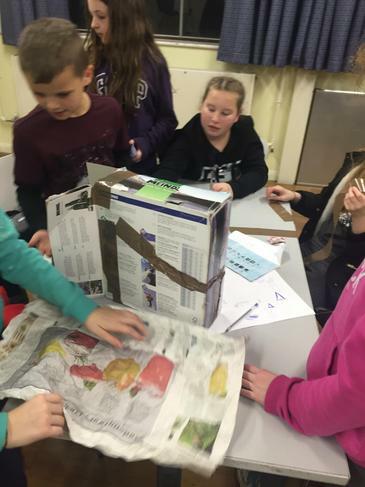 They identified that the food chain is likely to collapse if we do not change our habits when it comes to recycling. 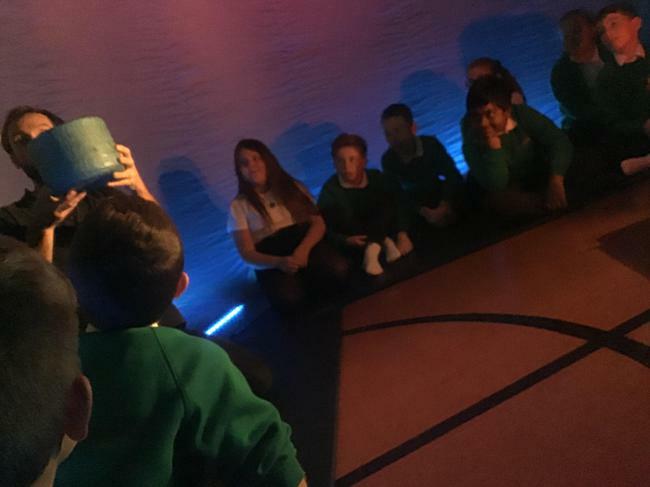 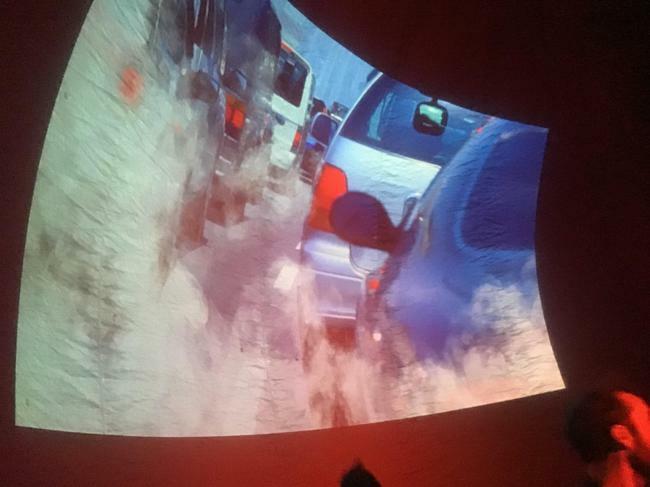 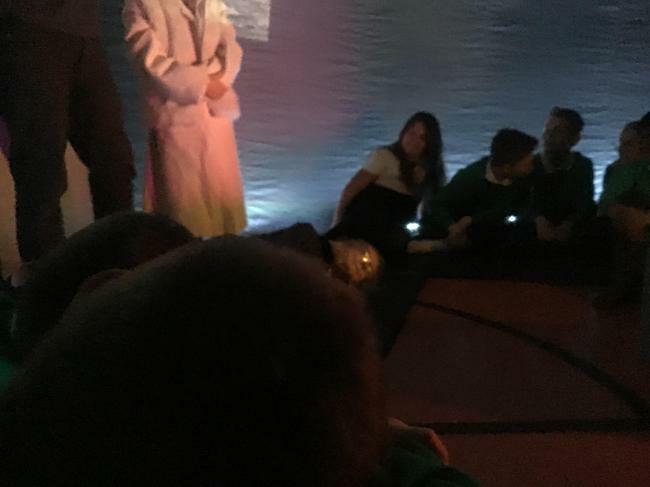 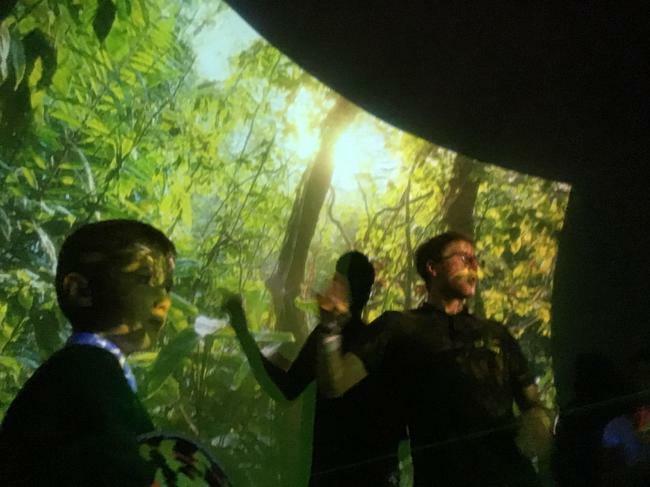 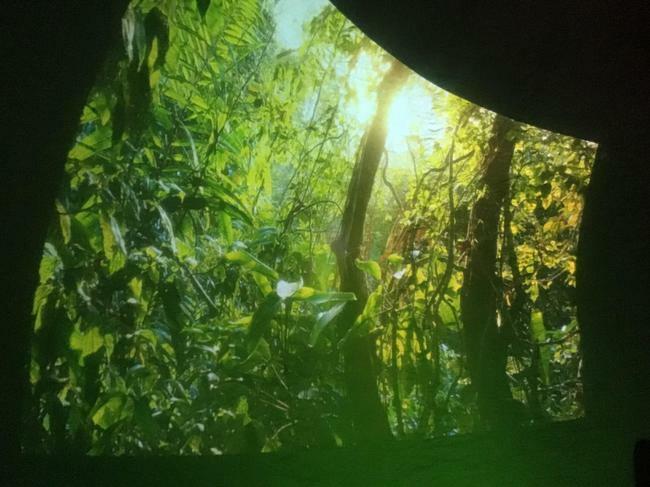 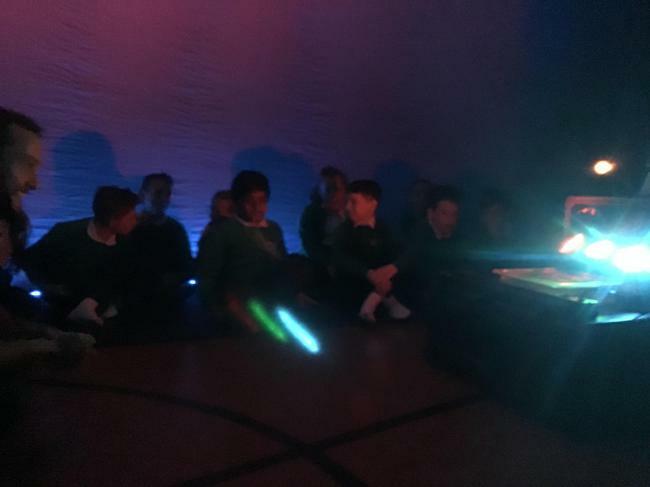 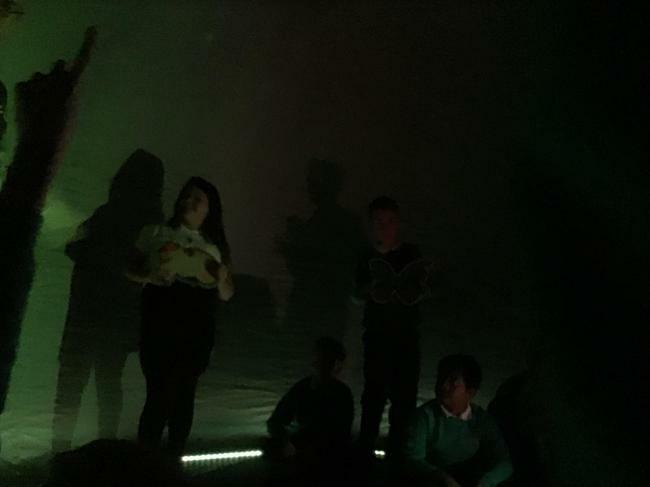 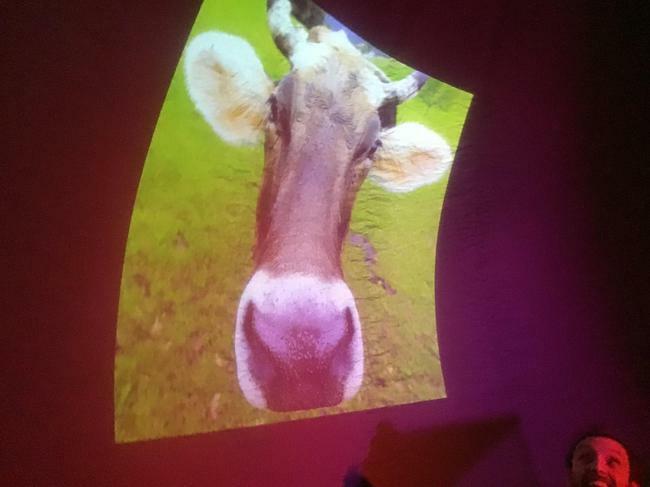 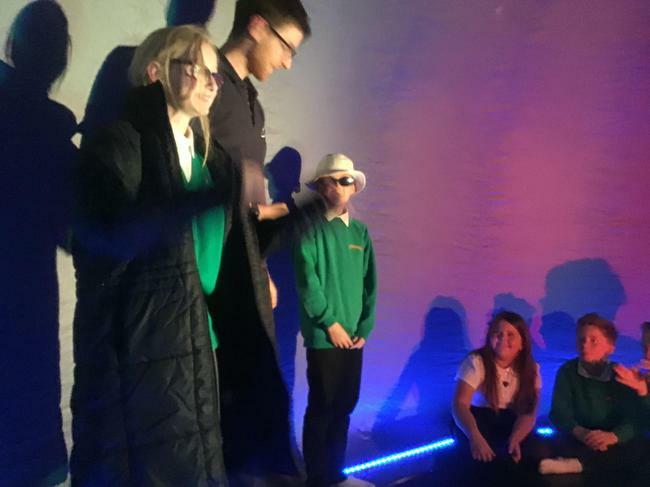 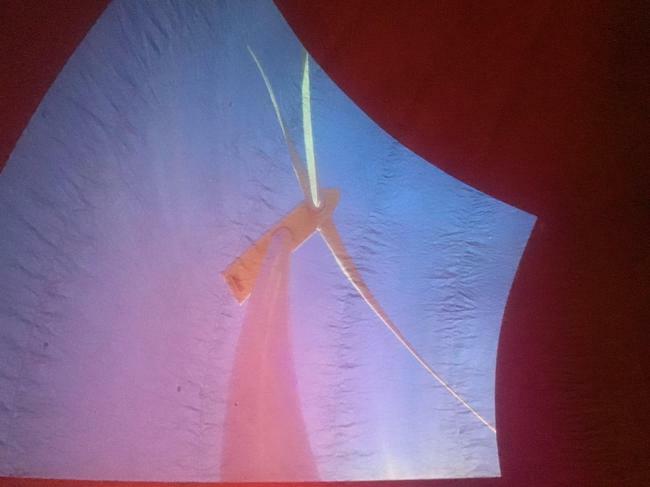 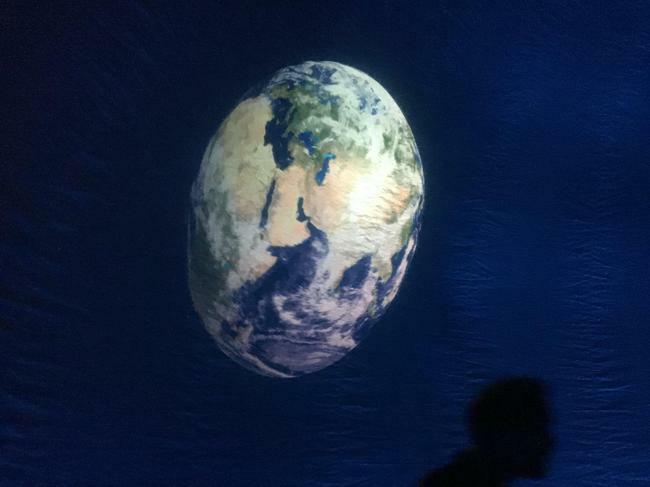 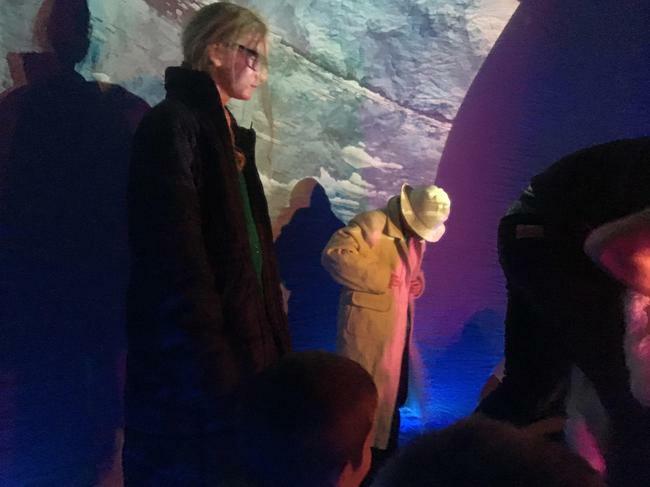 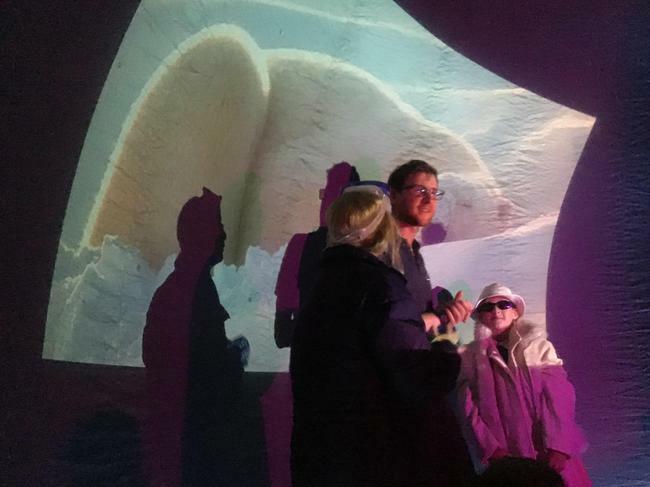 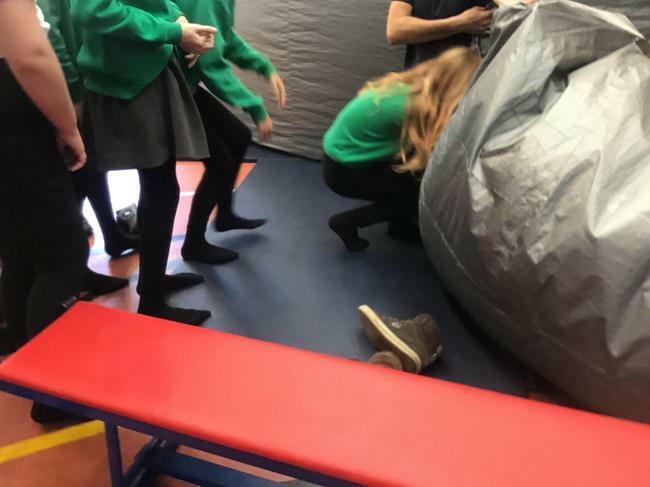 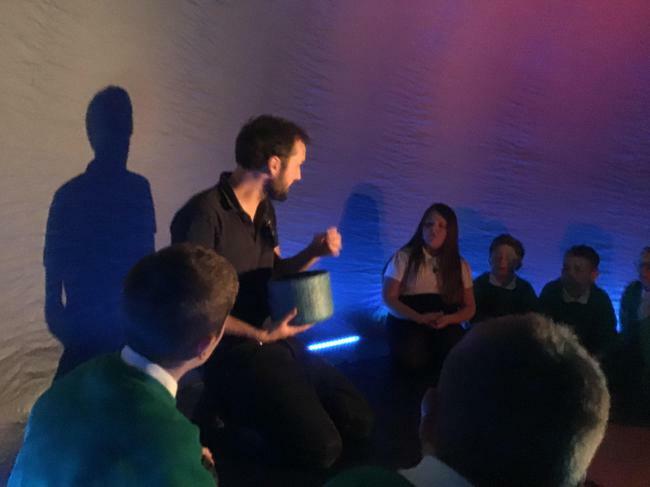 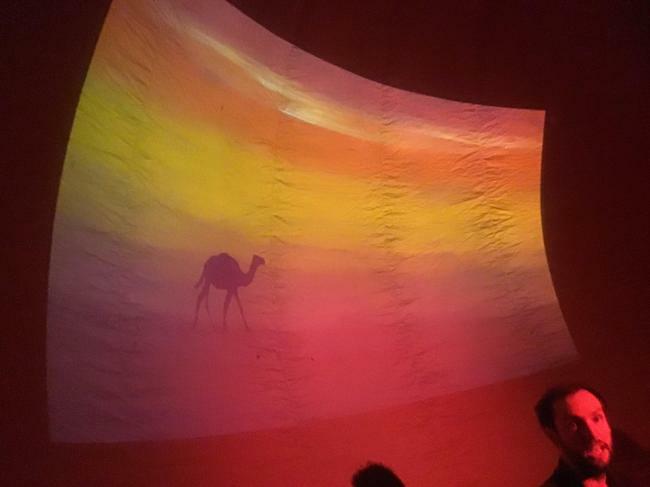 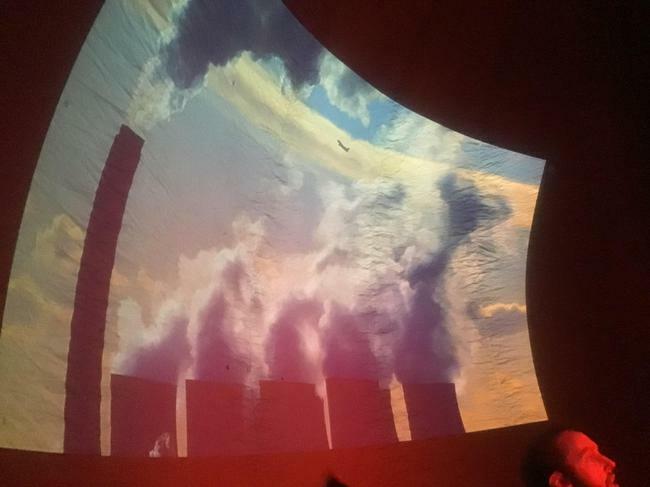 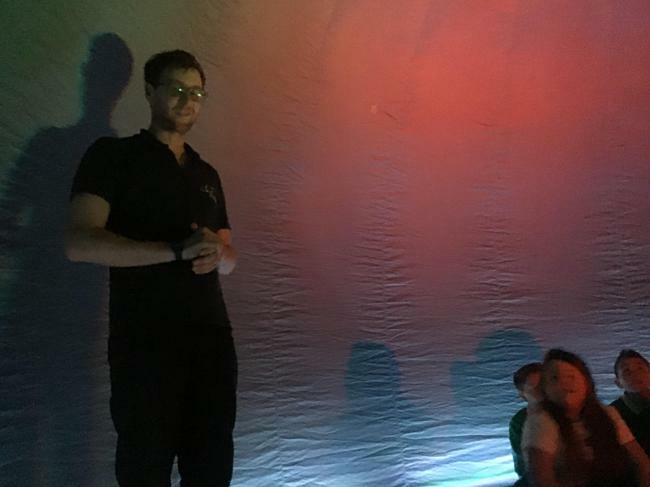 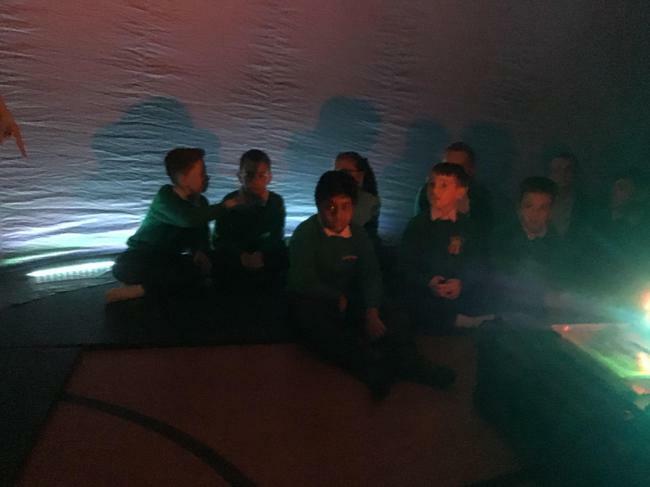 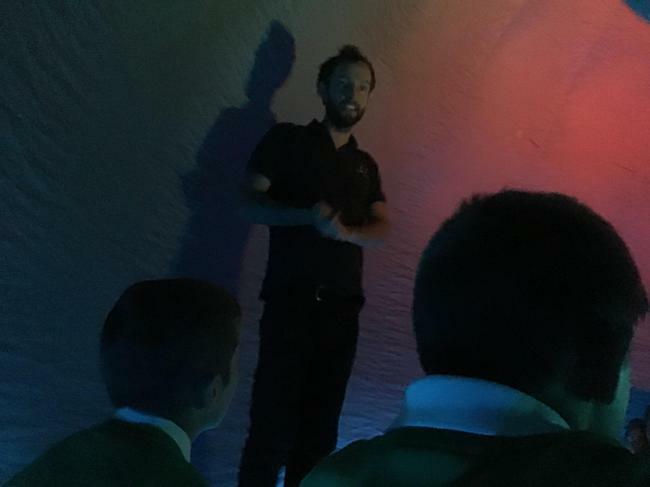 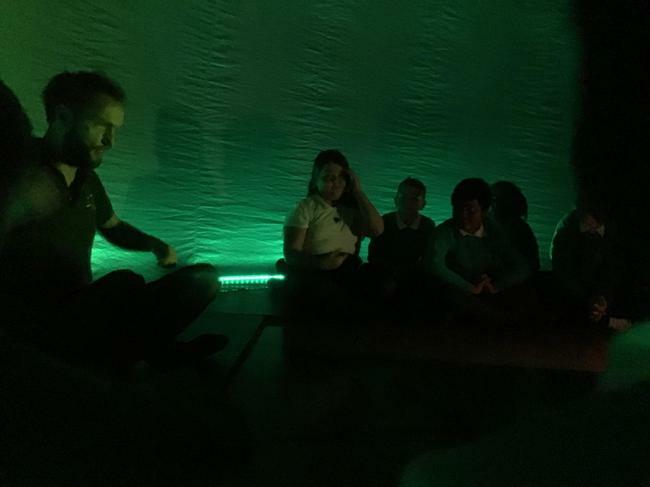 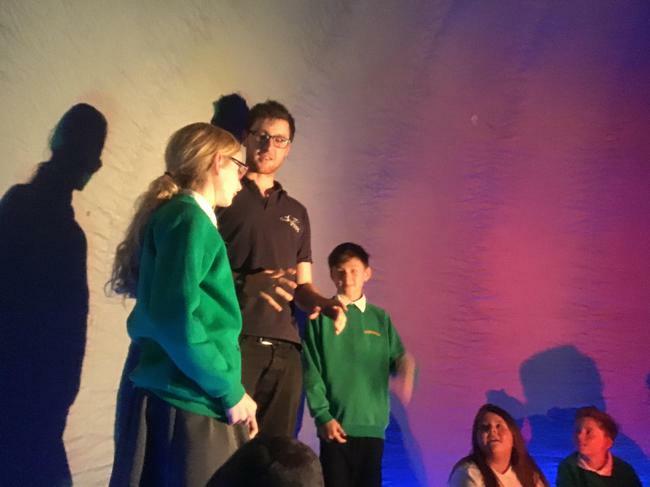 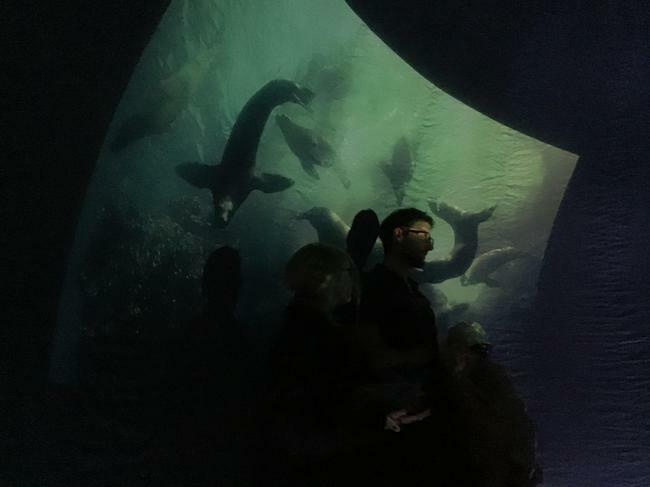 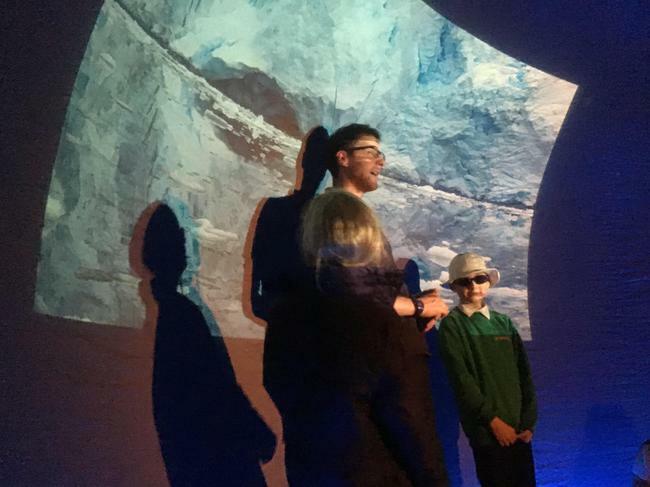 Year 6 had the opportunity to go into the explorer dome to continue their knowledge around the topic Eco Warriors. 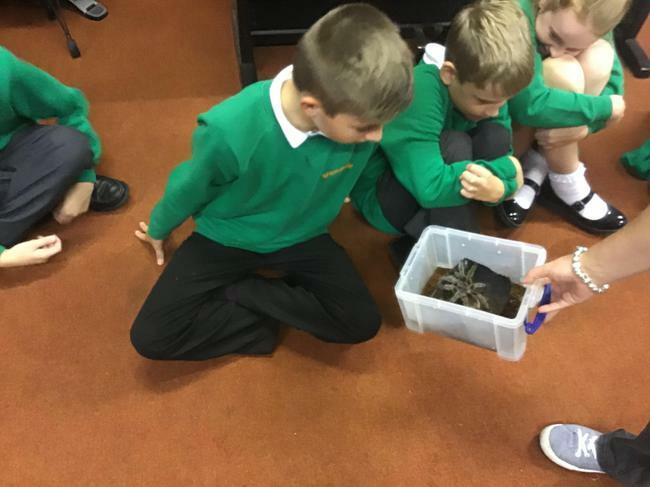 They explored the different animals that live around the world and the environment they need to survive. 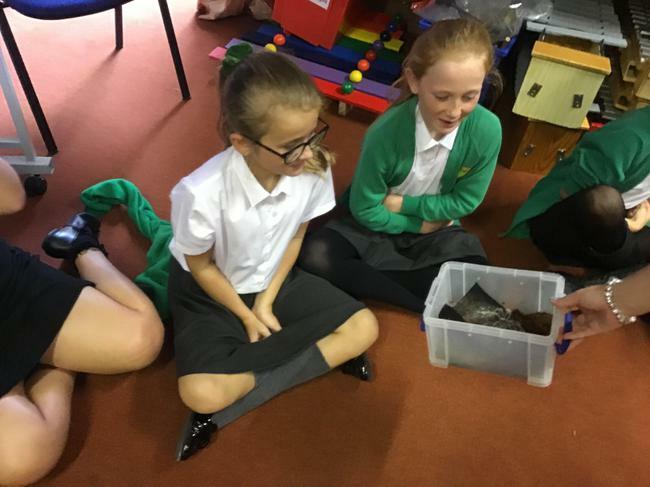 They explored adaptation and how animals have changed over time to link with their science topic. 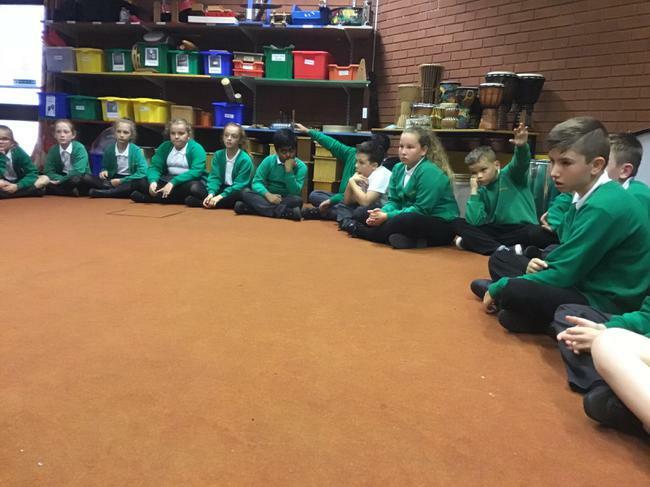 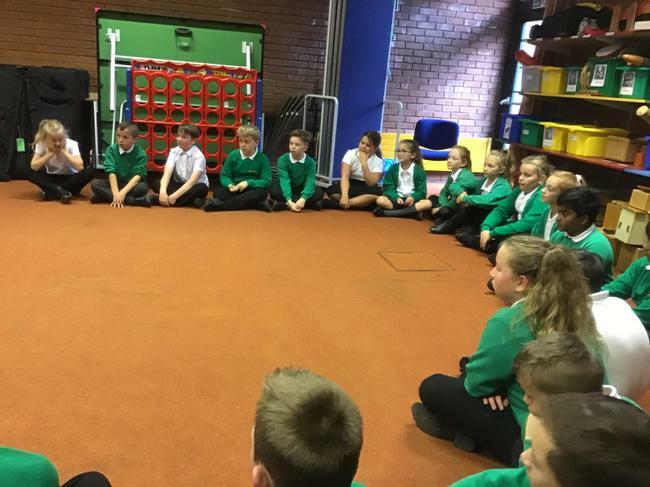 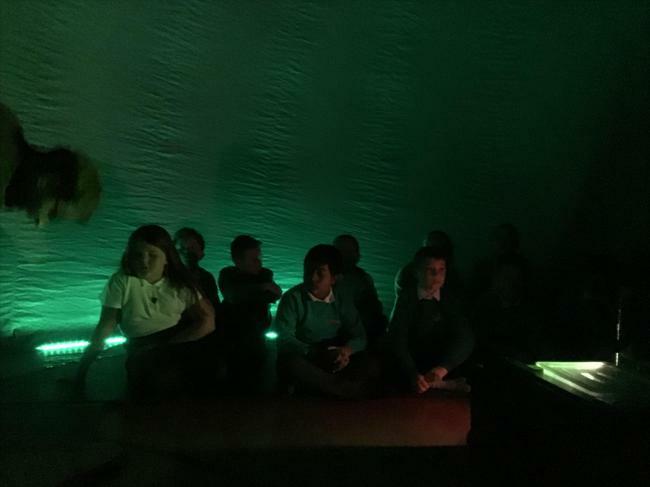 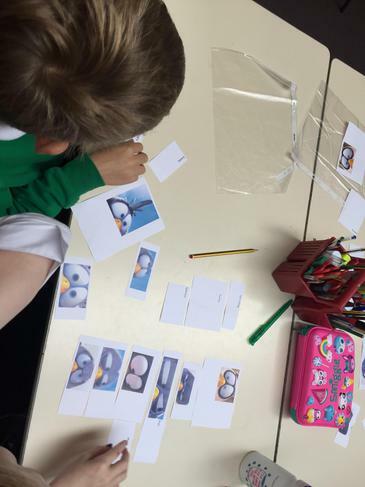 Pupils discussed climate change and deforestation and the effect this will have on our planet. 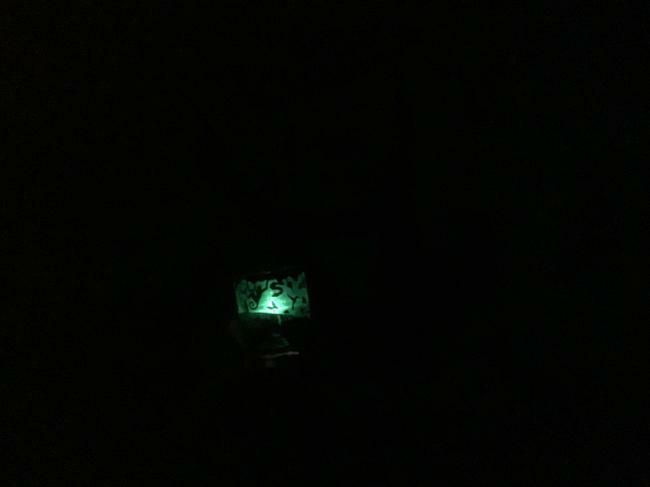 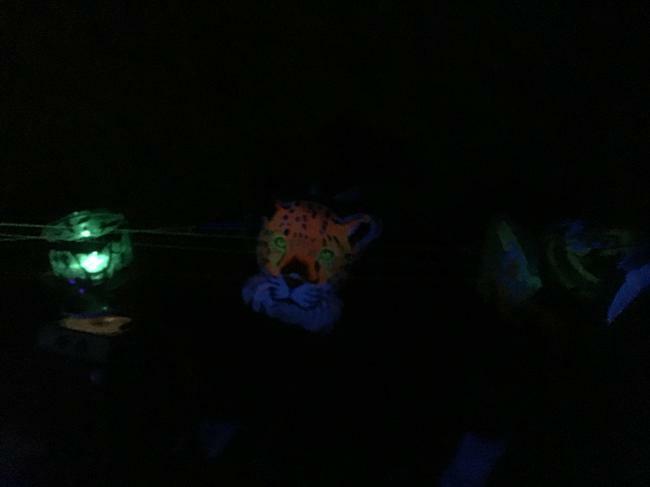 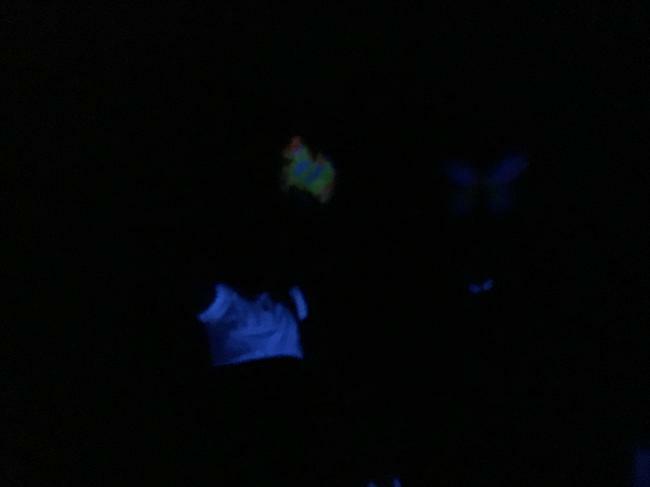 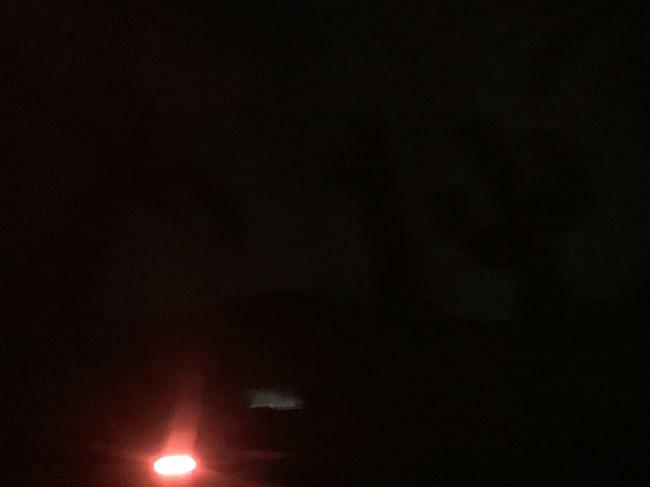 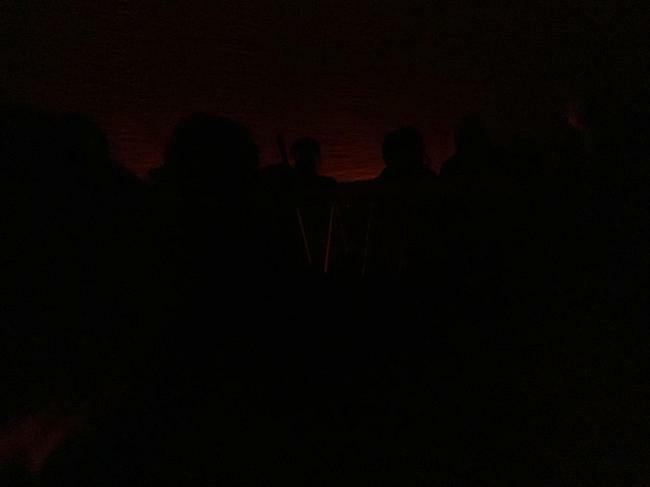 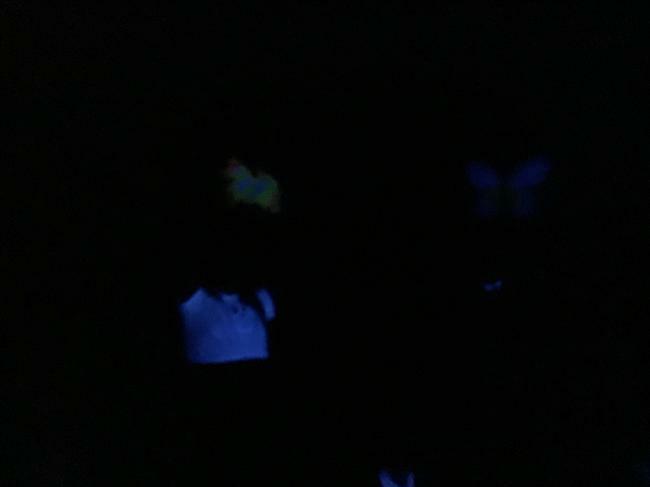 Pictures are darker than normal. 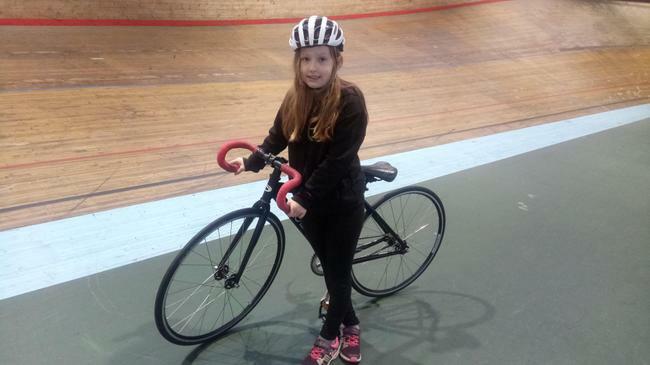 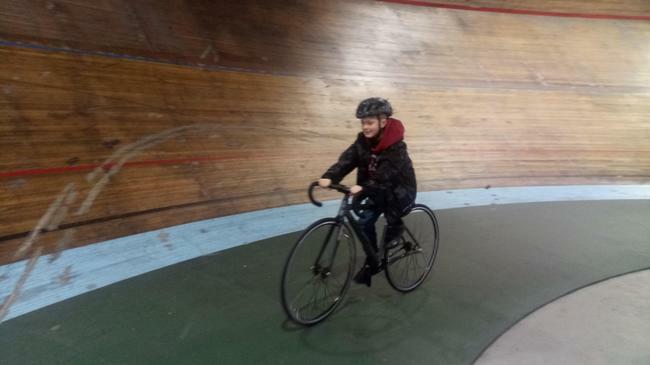 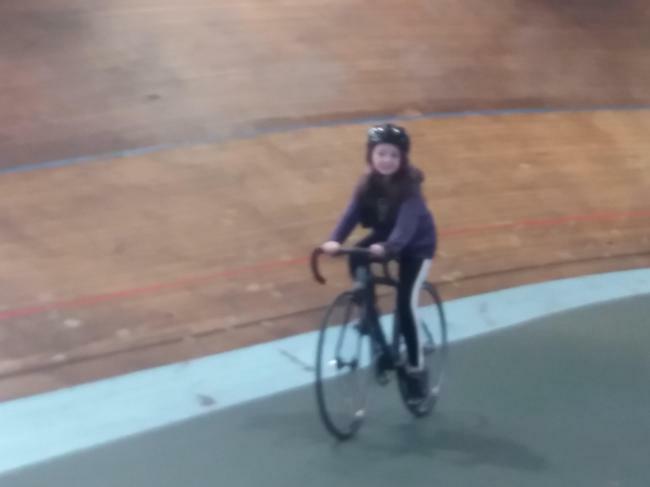 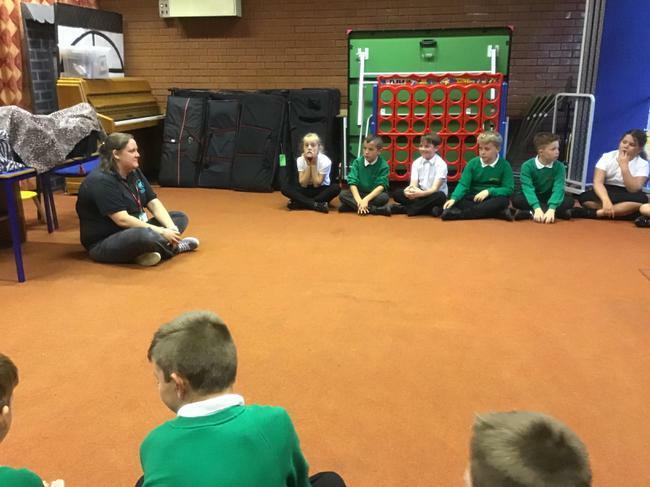 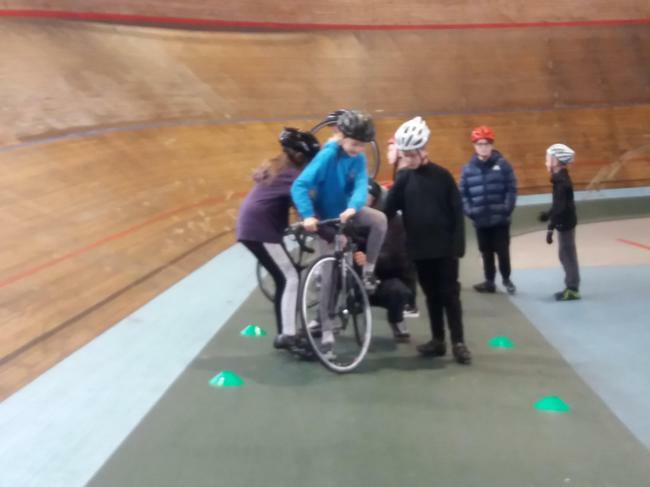 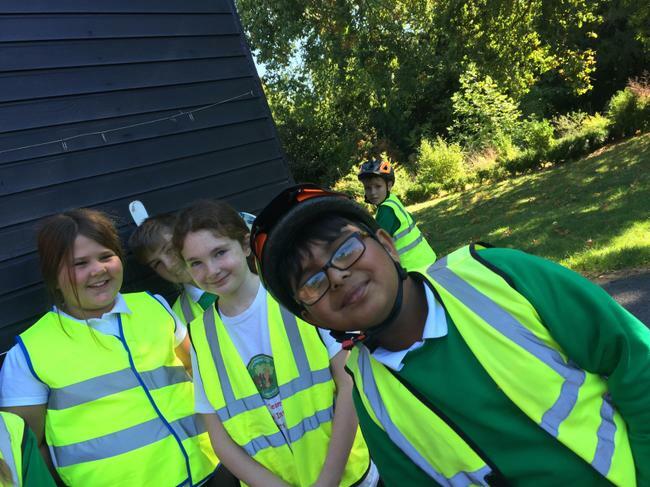 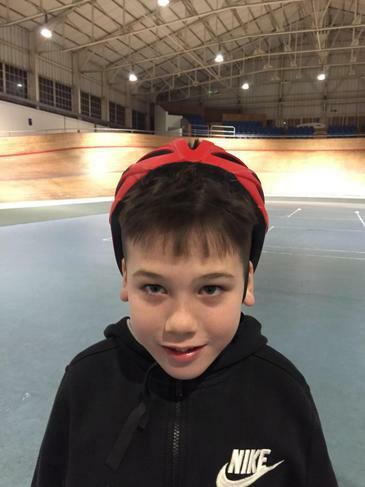 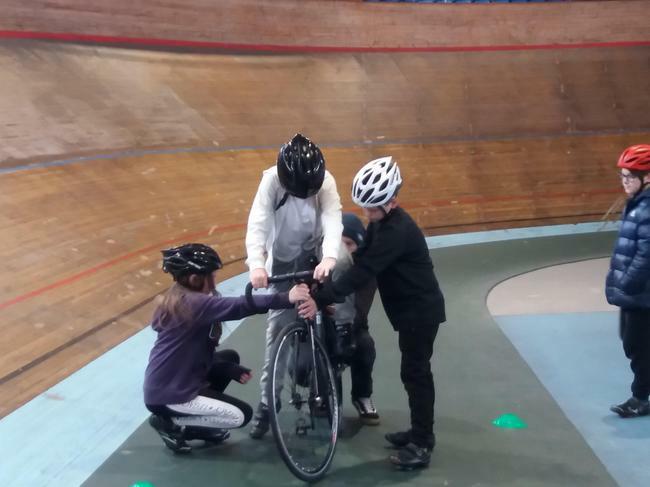 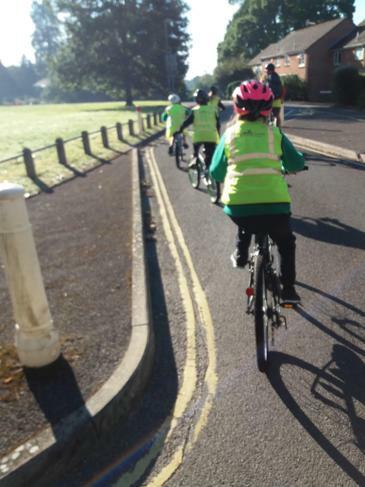 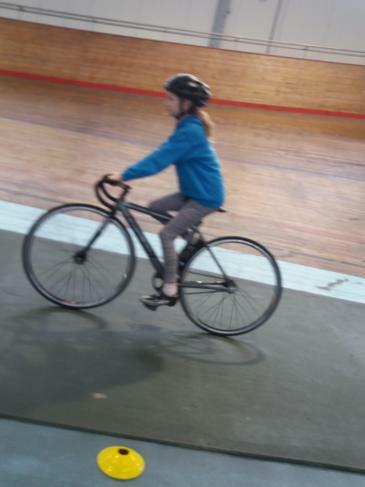 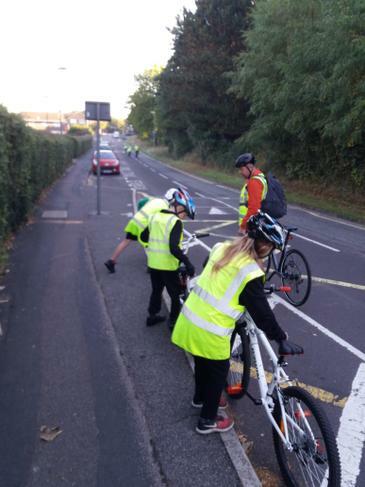 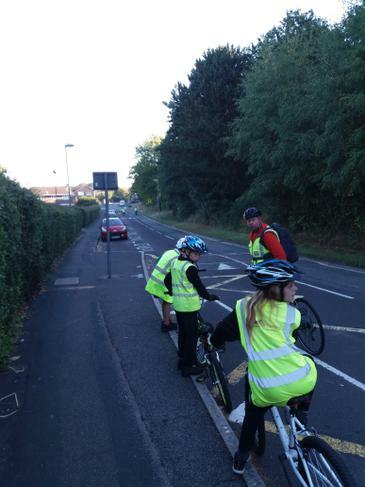 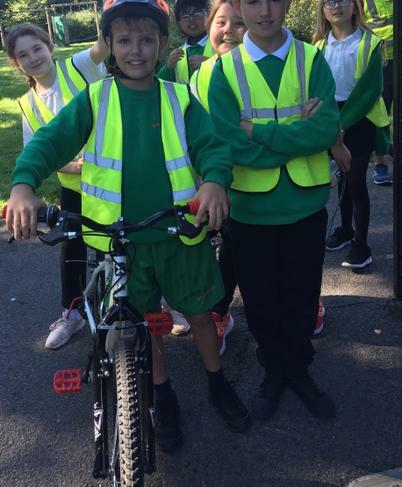 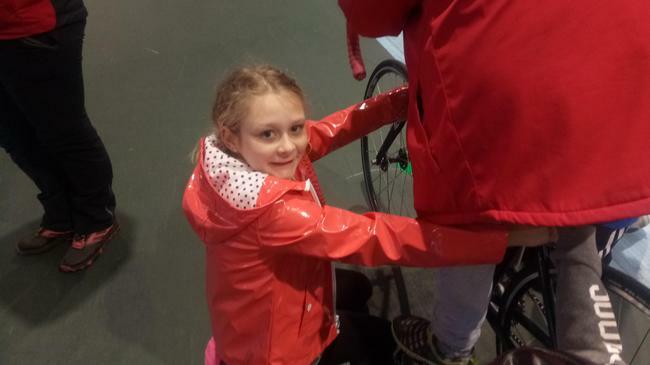 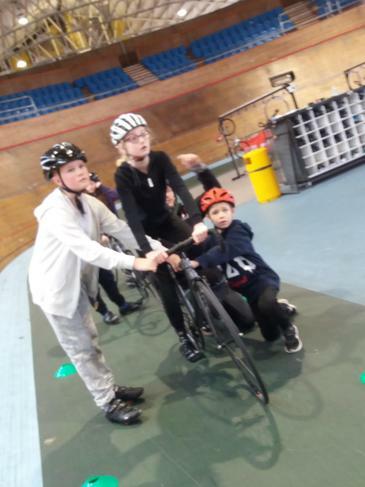 Year 6 pupils were given the opportunity to learn how to ride a bike and be safe on the road. 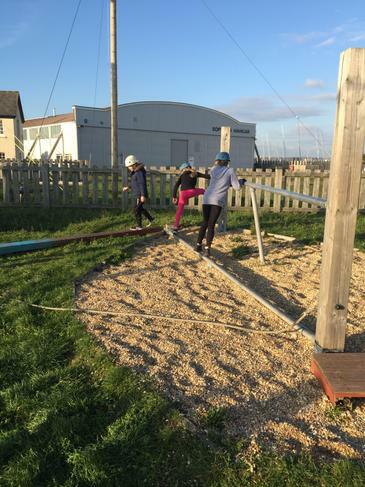 In small groups, they practised their skills on the playground before advancing near the end of the week onto the road. 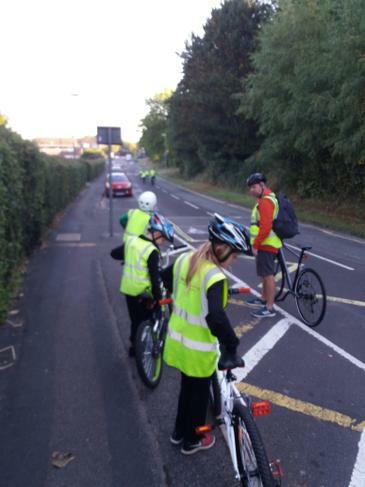 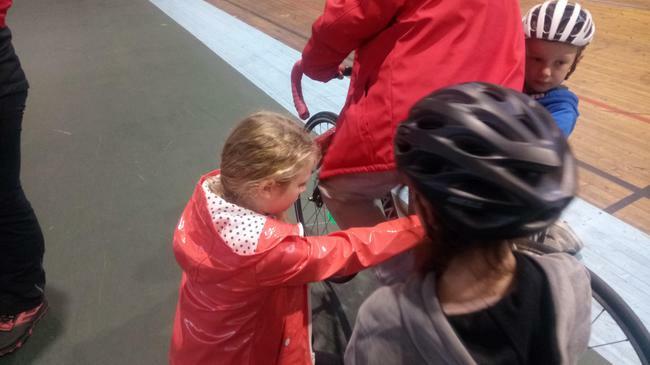 Pupils feel confident and safe now when riding home or when out with their friends. 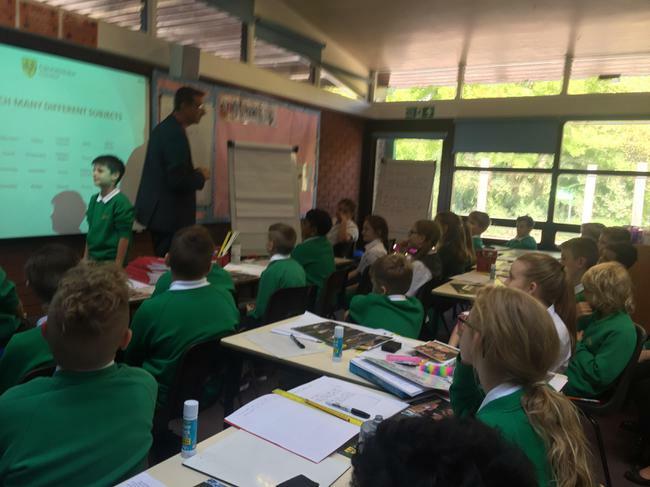 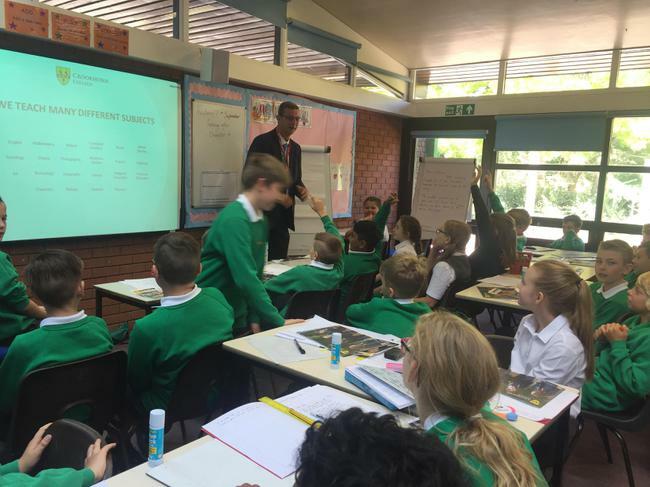 All of year 6 were invited to listen to a presentation from the head of 7 at Crookhorn, Mr Collins. 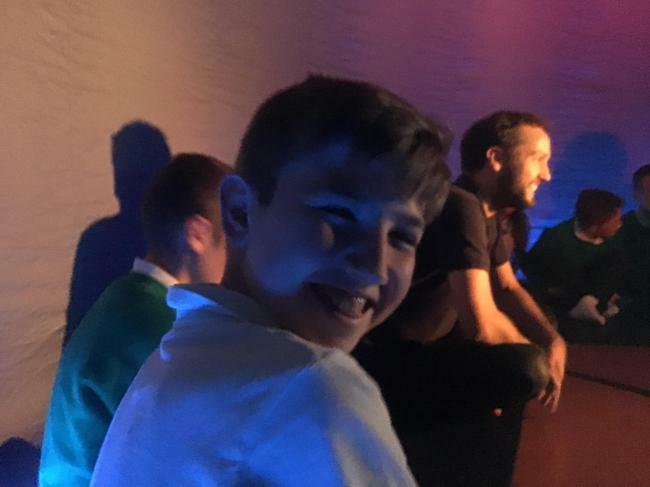 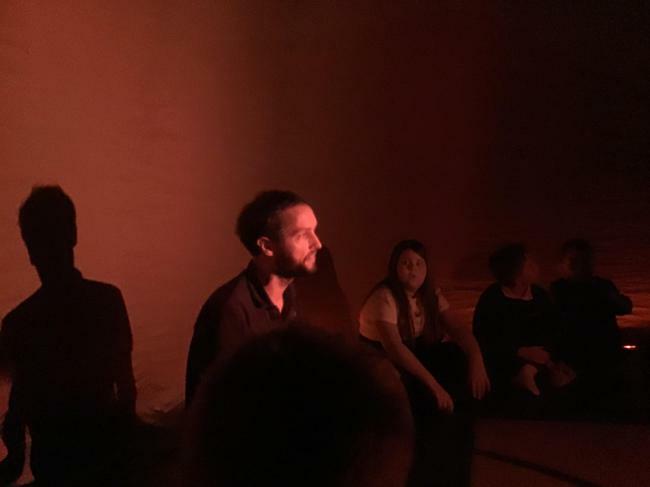 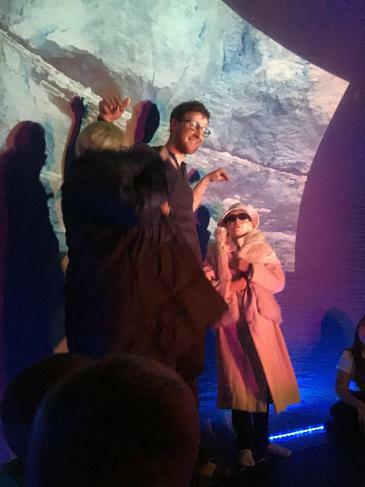 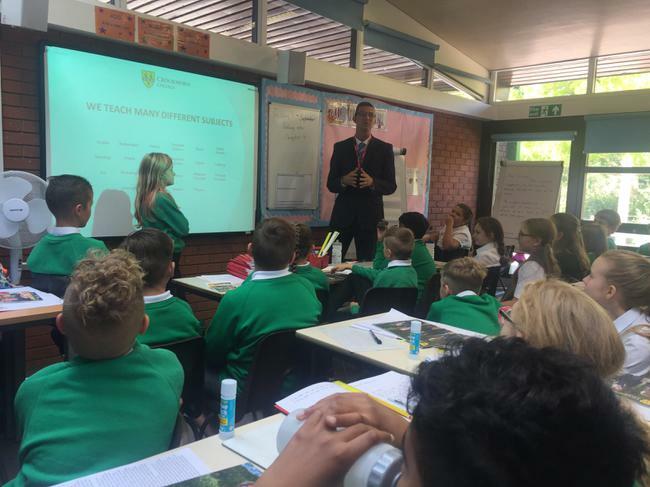 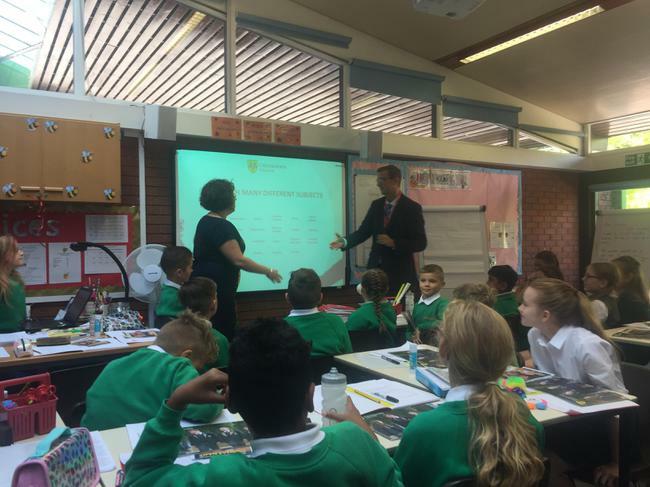 He spoke to them about the events they had been to and what Crookhorn is like if they choose to attend for secondary school. 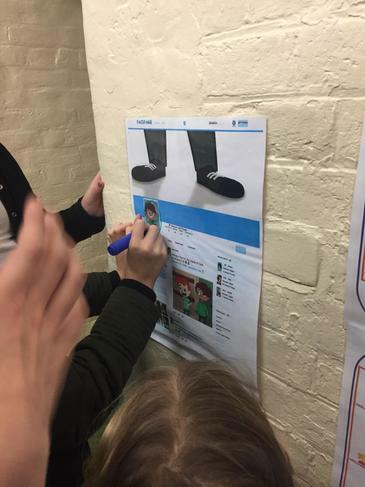 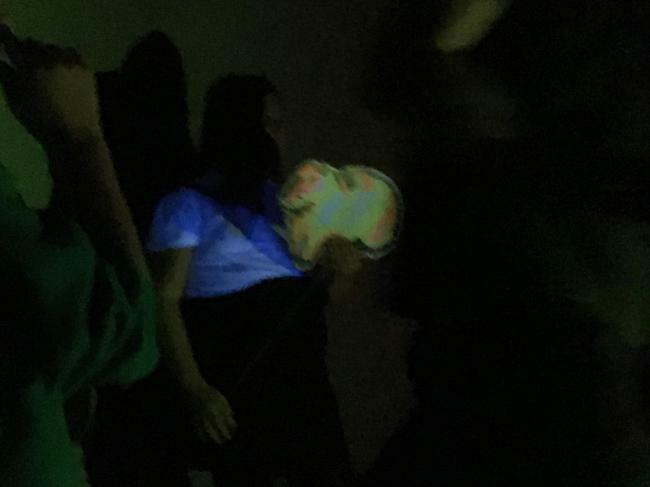 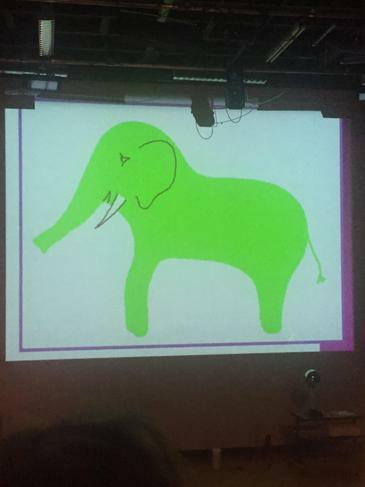 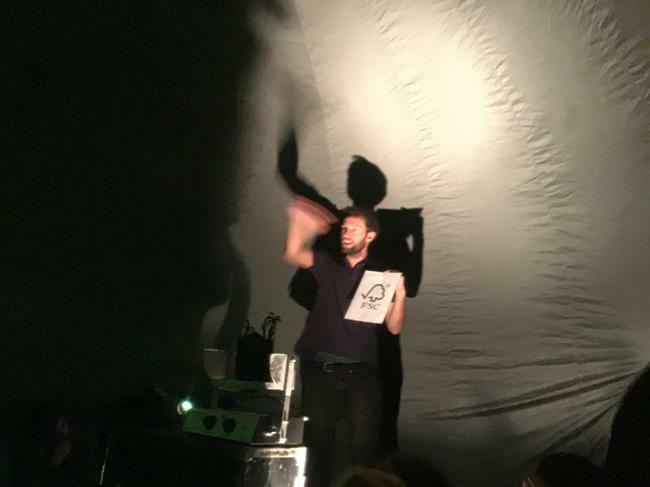 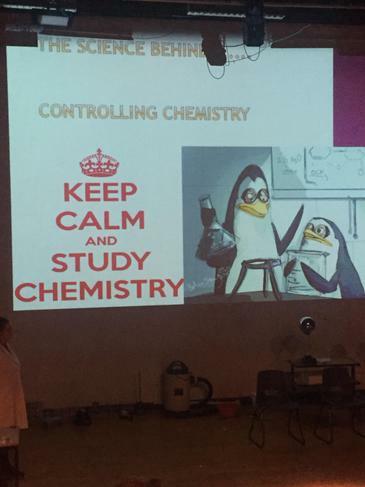 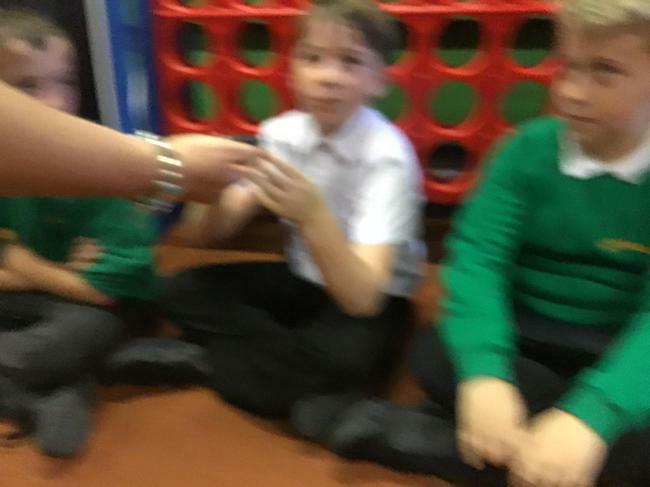 He showed off his mind reading techniques even on the headteacher, Mrs Livingstone. 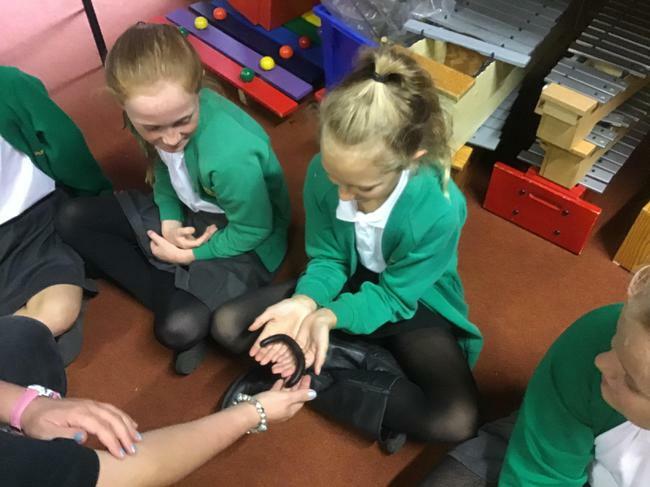 Year 6 were visited by the school nurses to discuss what keeps us healthy. 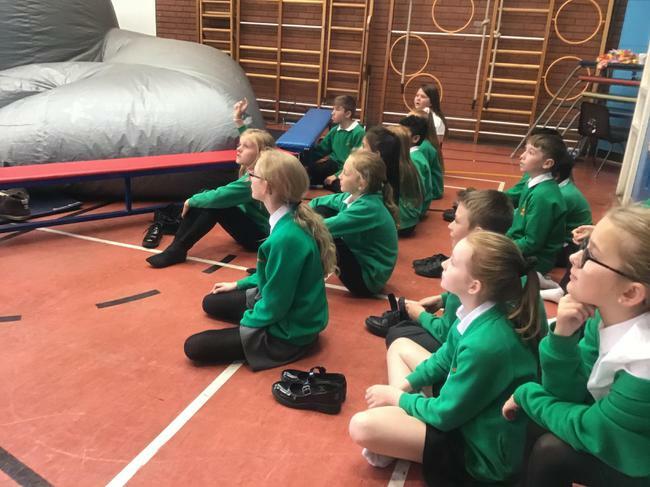 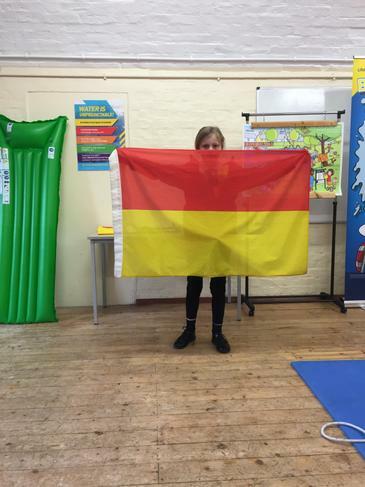 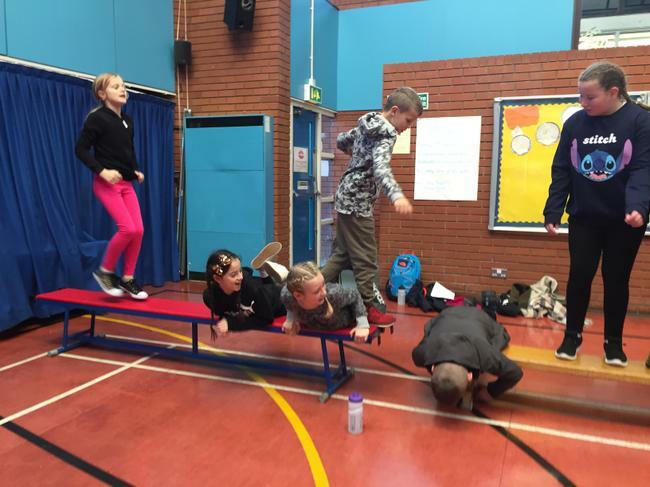 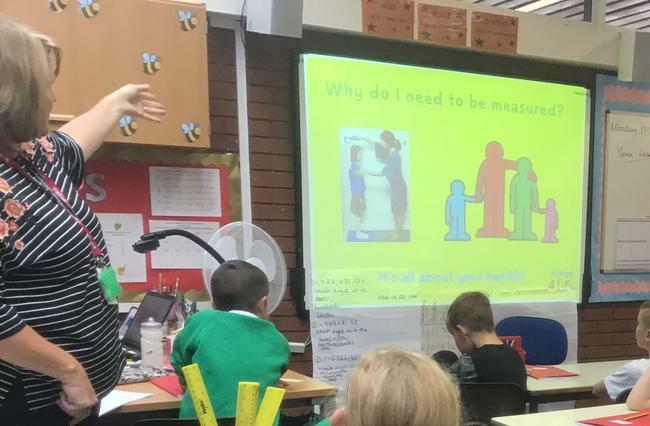 They spoke to the pupils about eating well, exercising and ensuring they receive enough sleep. 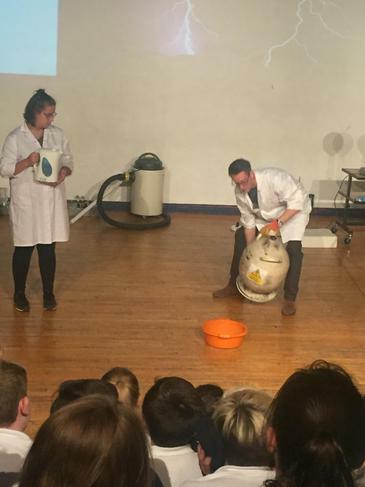 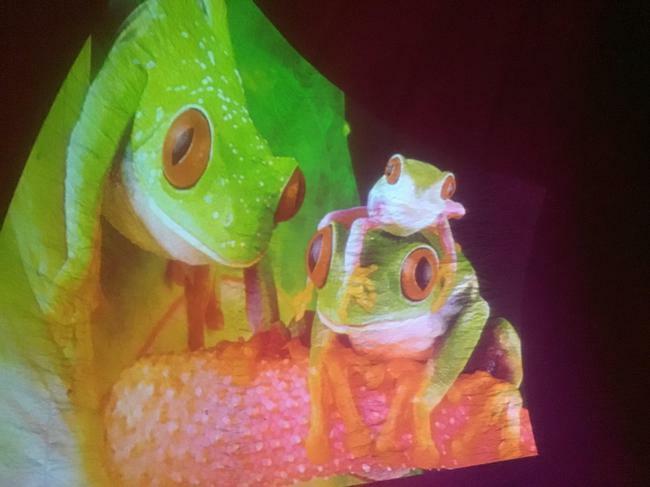 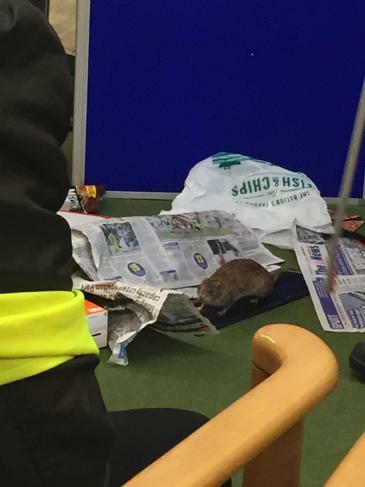 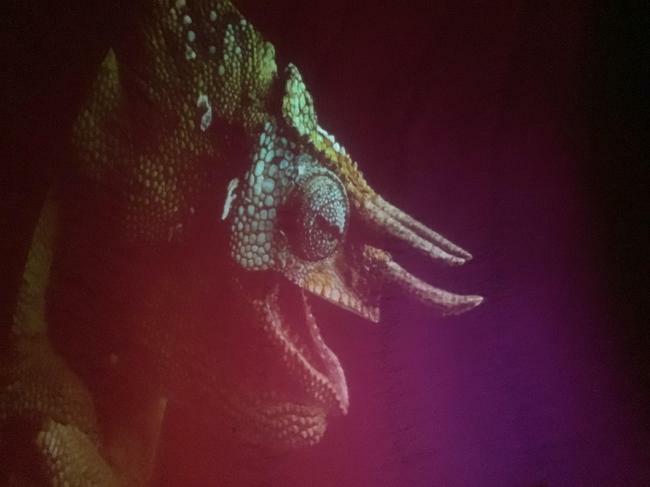 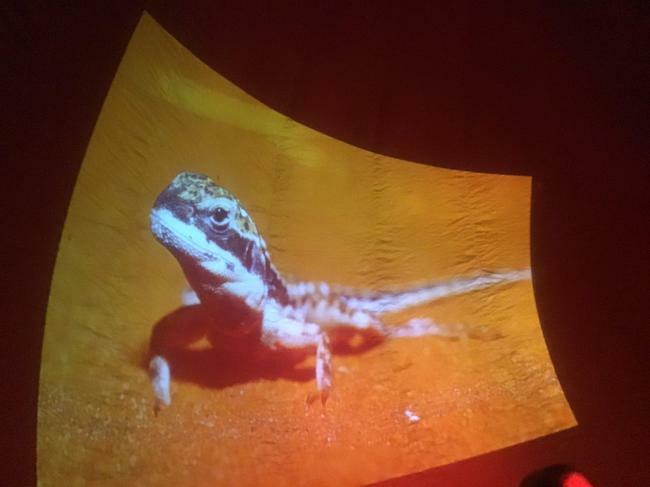 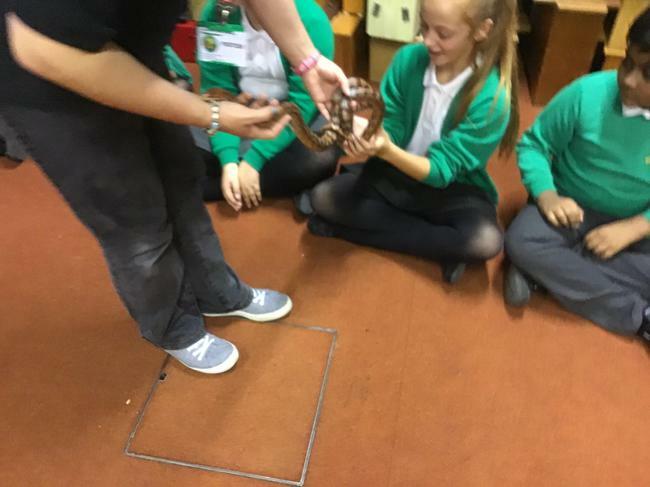 Pupils were given the opportunity to be visited by Zoolab. 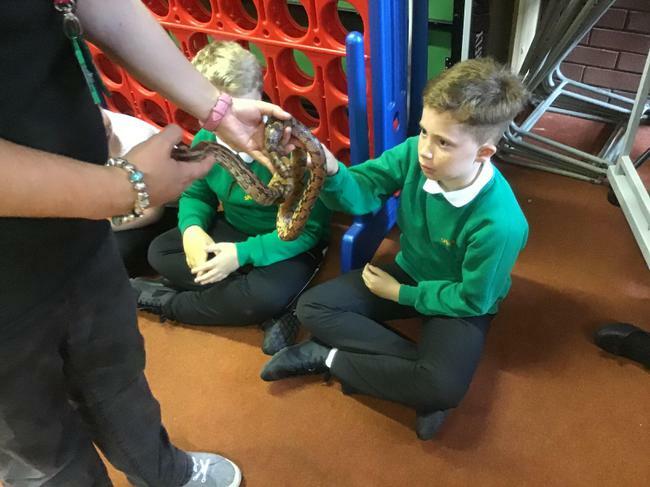 Zoolab brought in multiple animals to show the children and consider the impact of climate change, pollution and litter has on our planet. 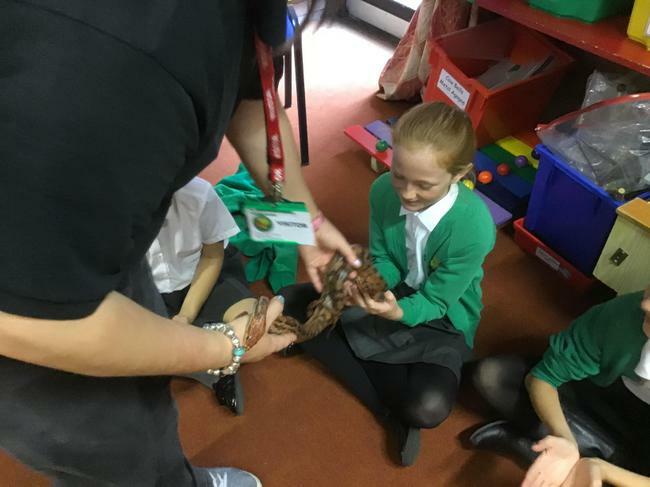 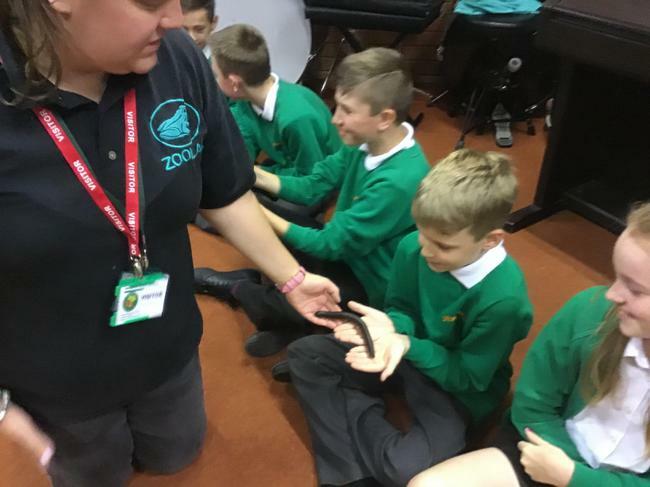 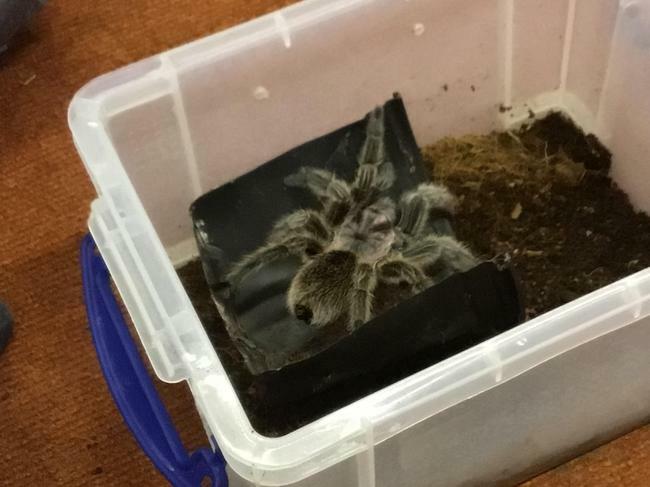 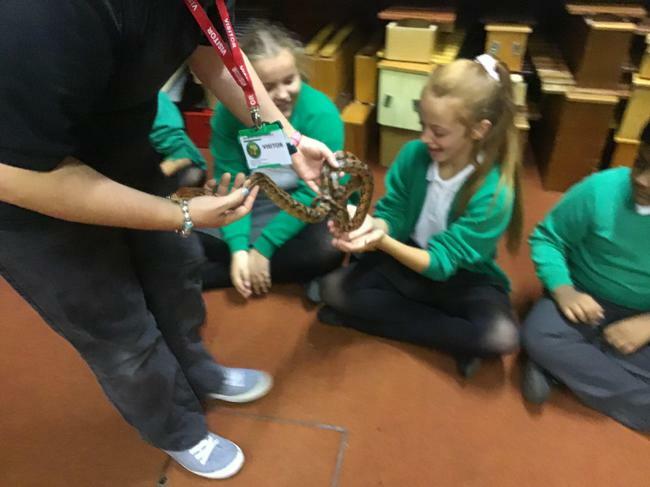 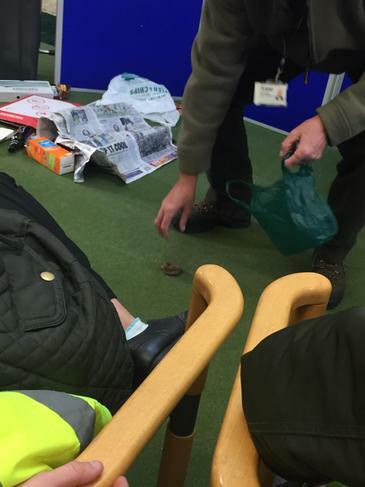 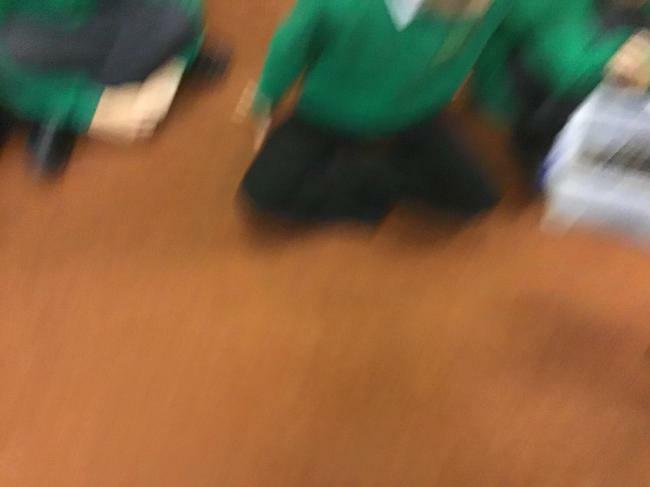 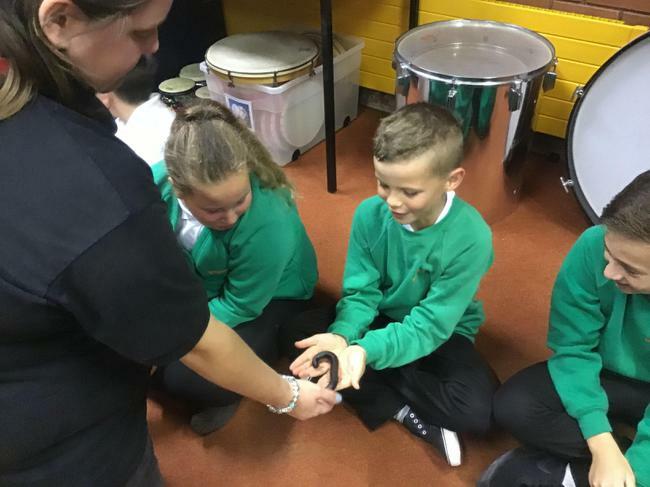 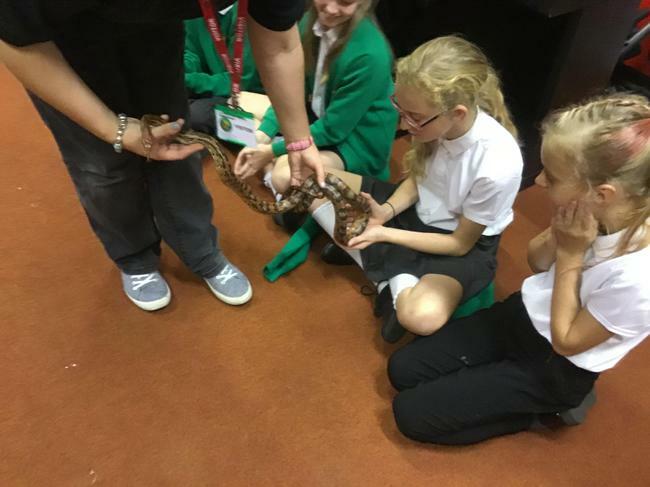 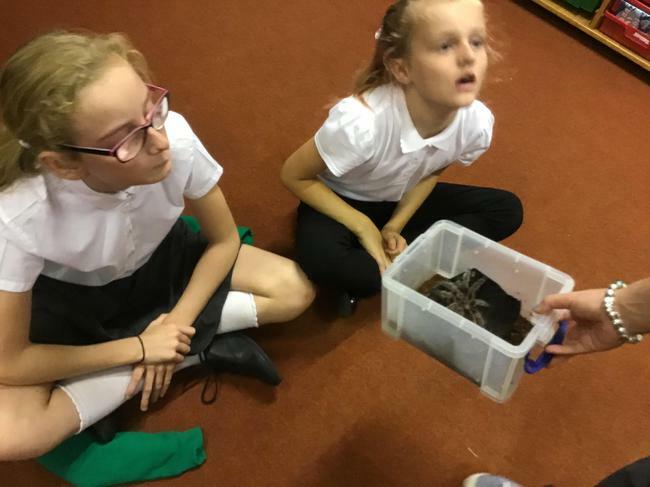 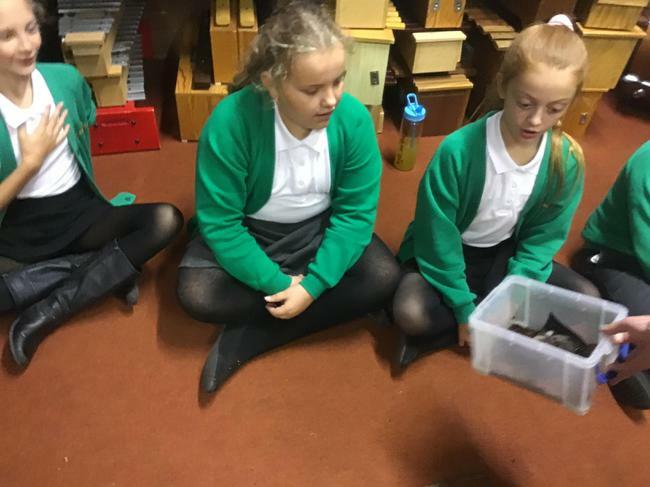 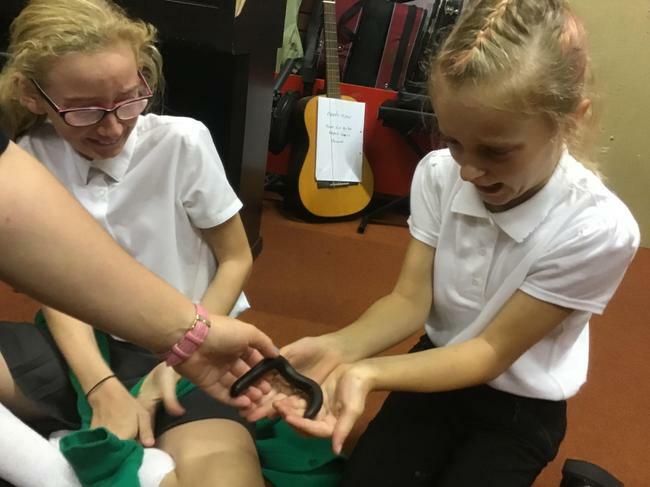 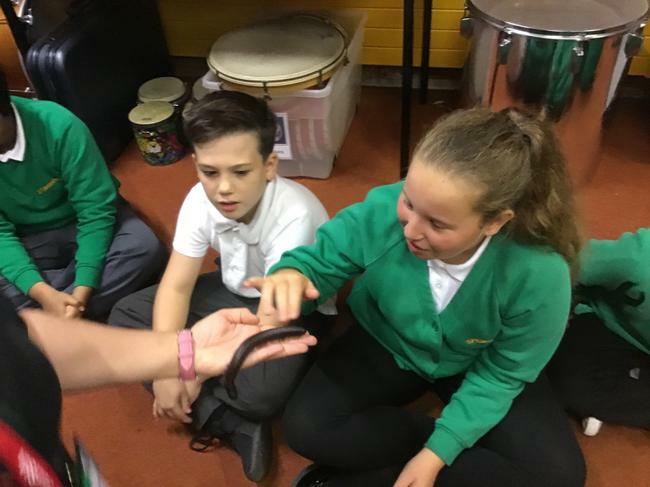 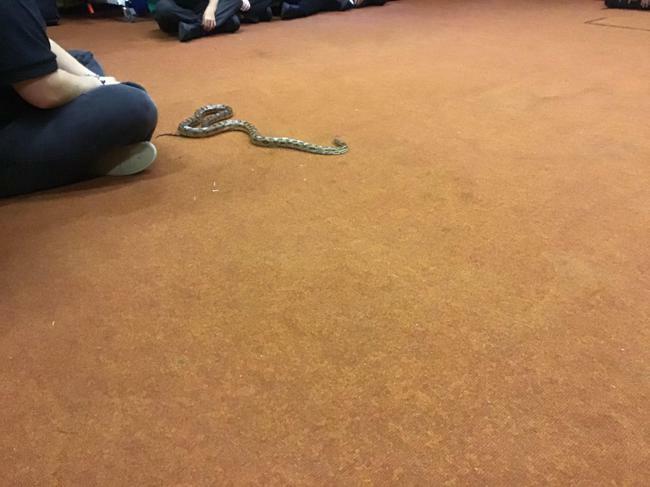 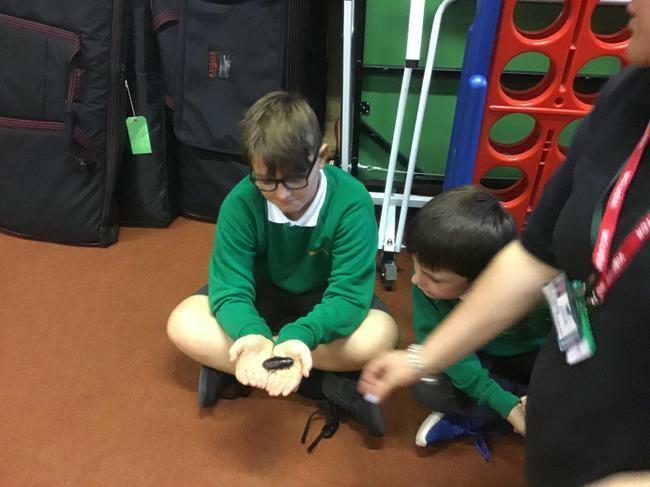 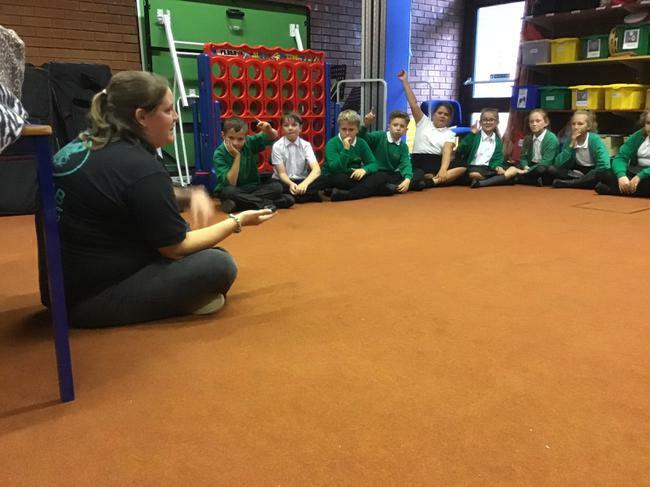 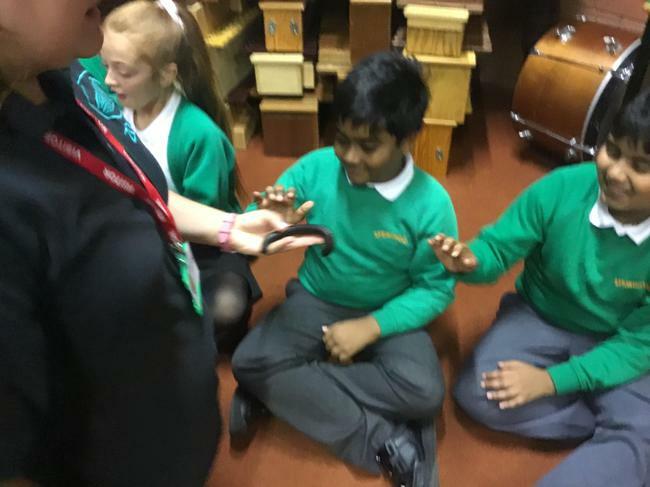 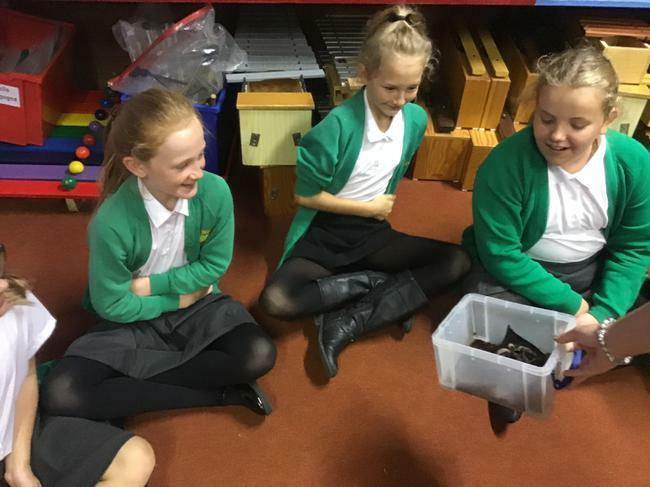 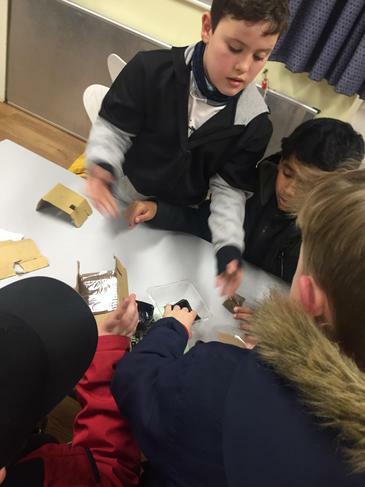 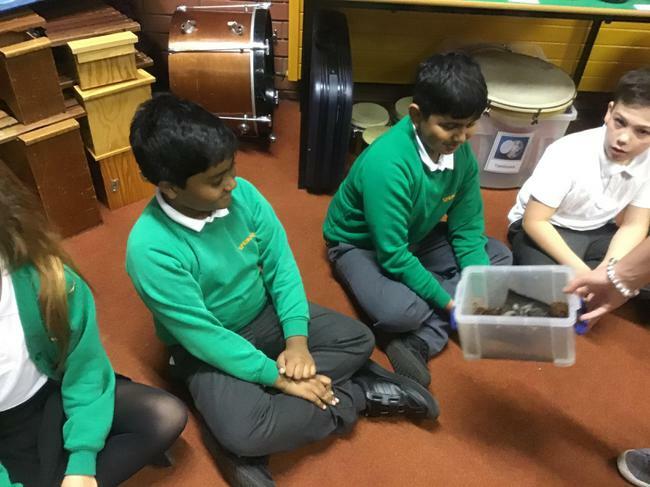 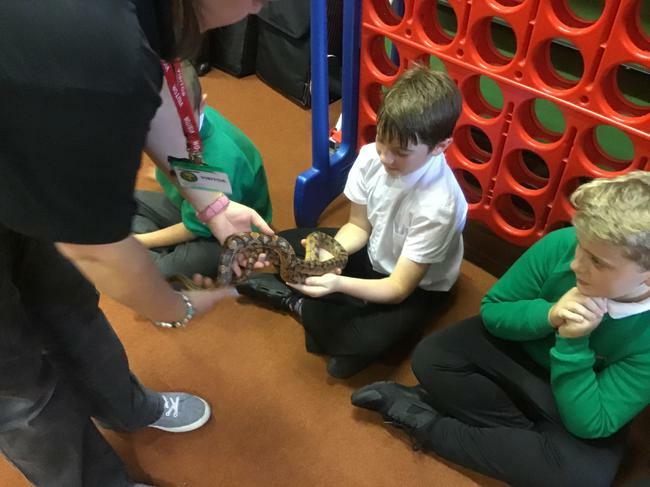 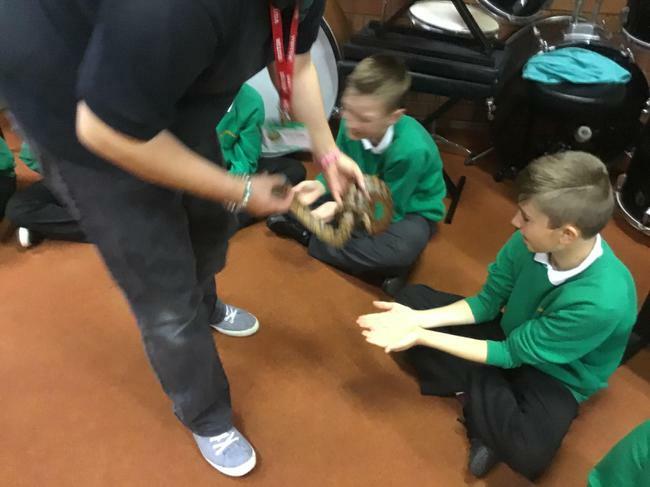 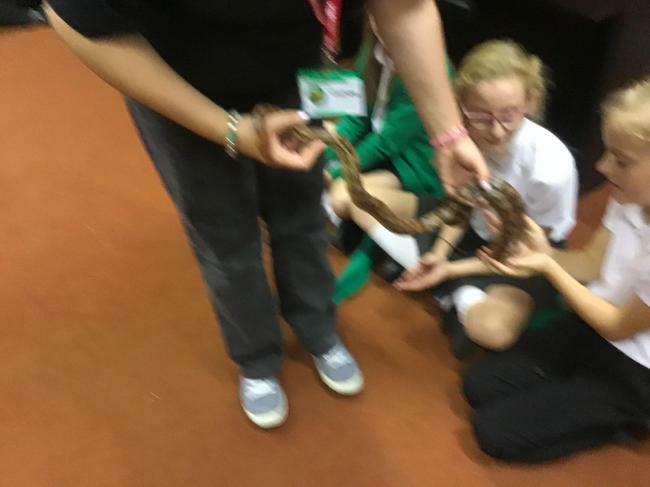 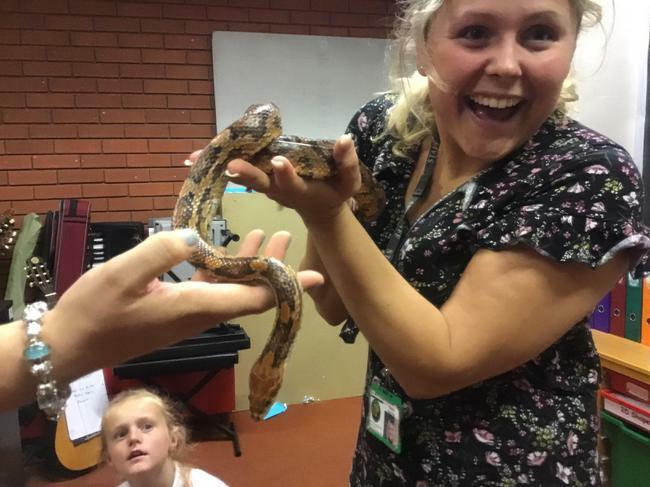 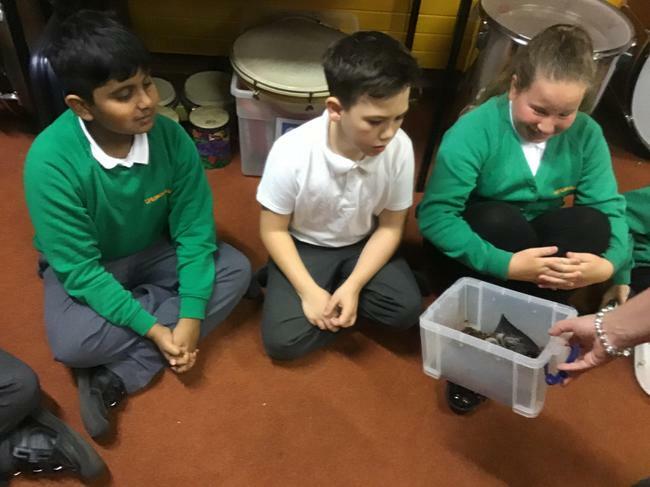 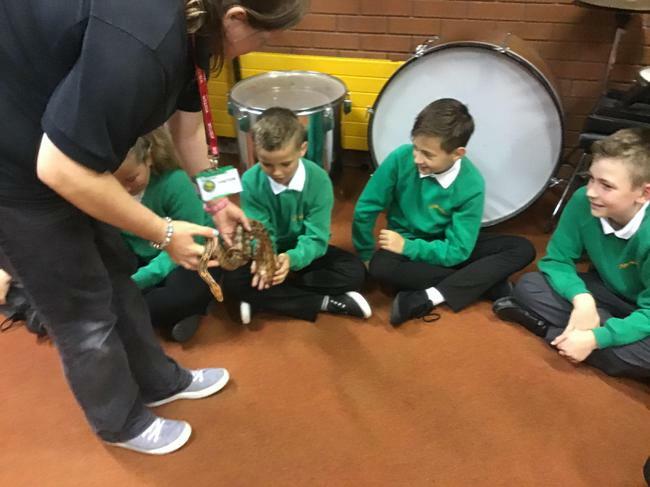 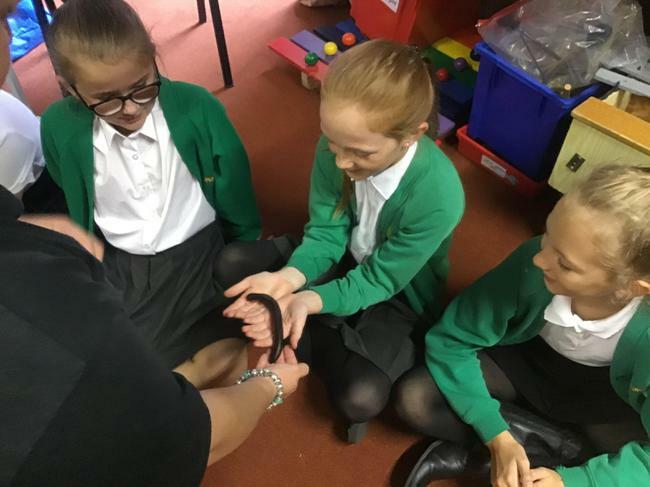 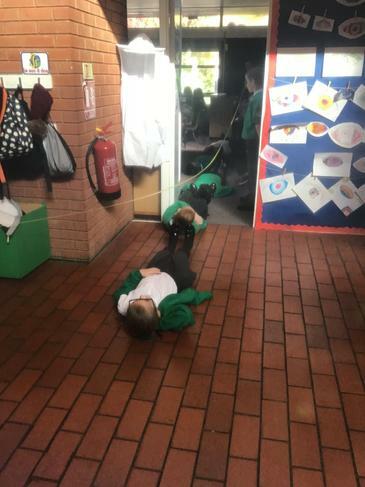 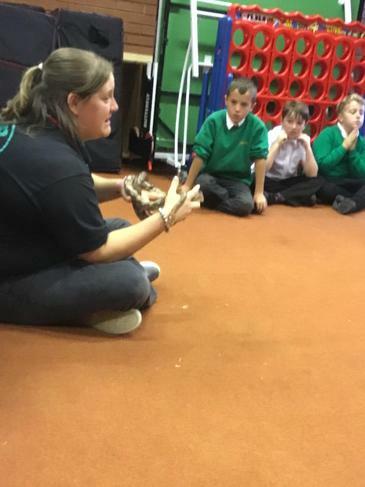 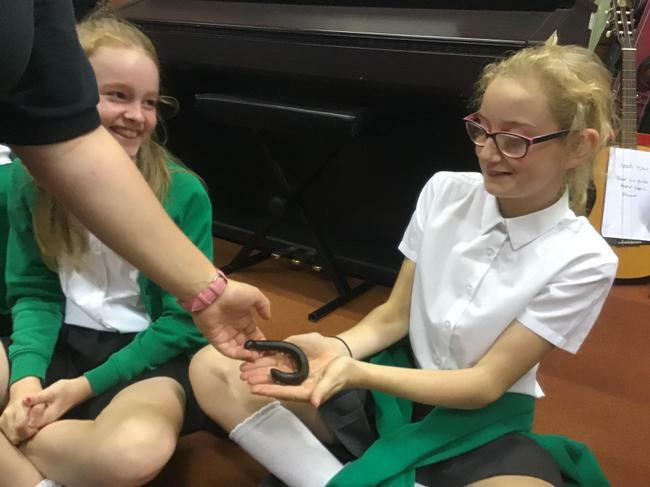 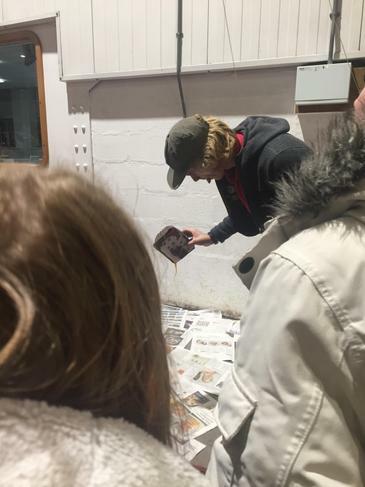 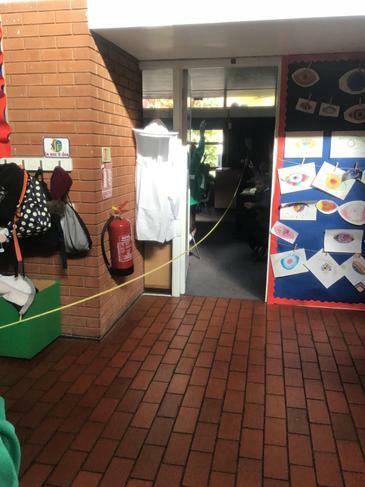 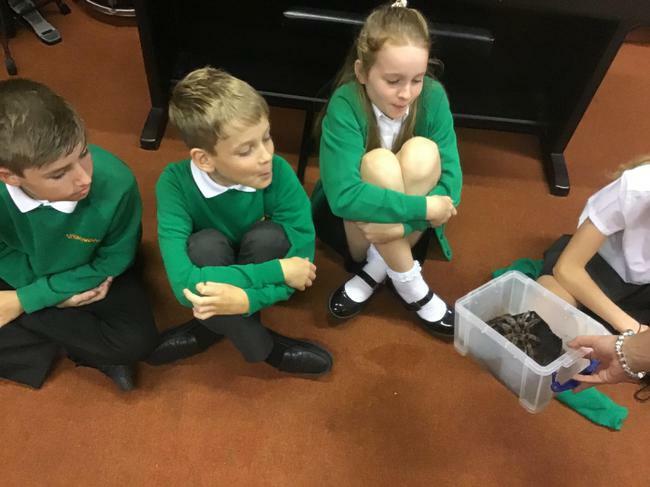 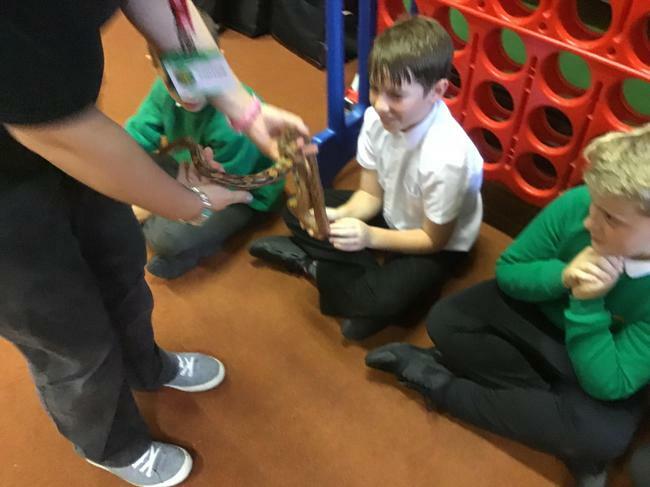 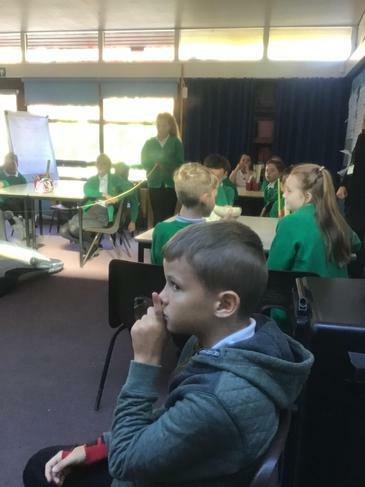 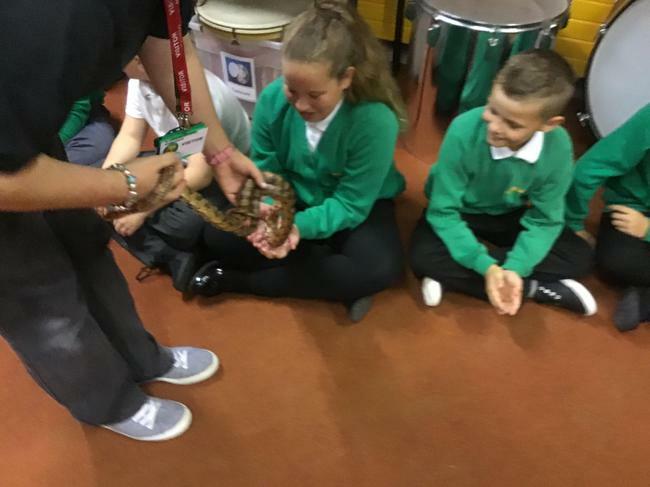 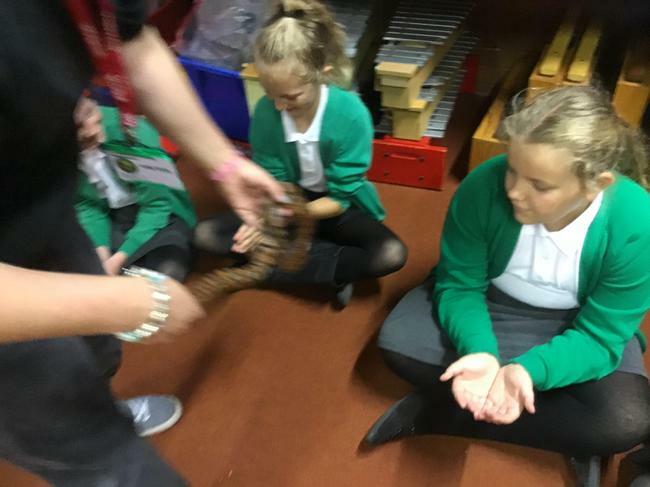 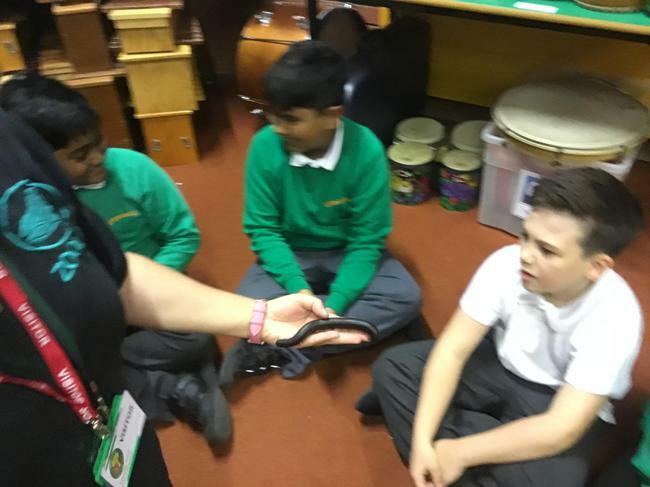 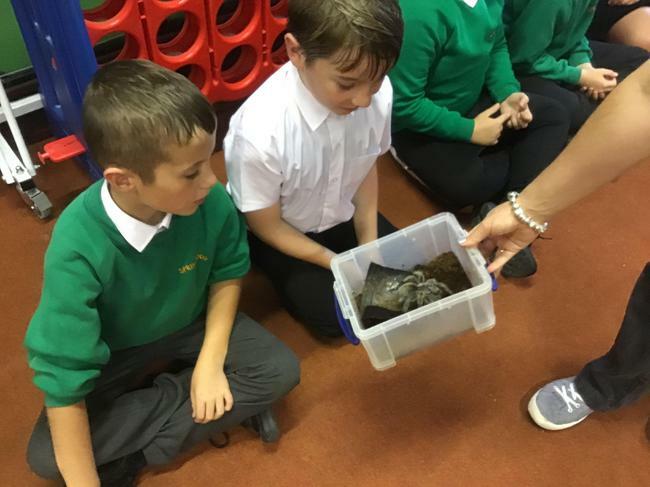 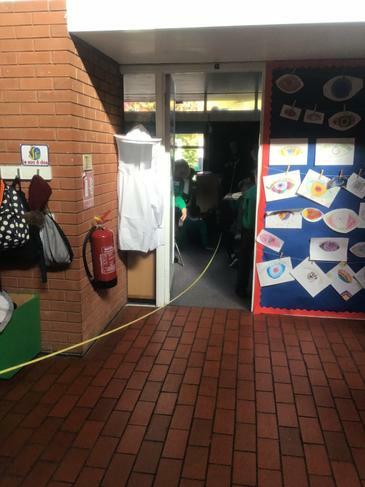 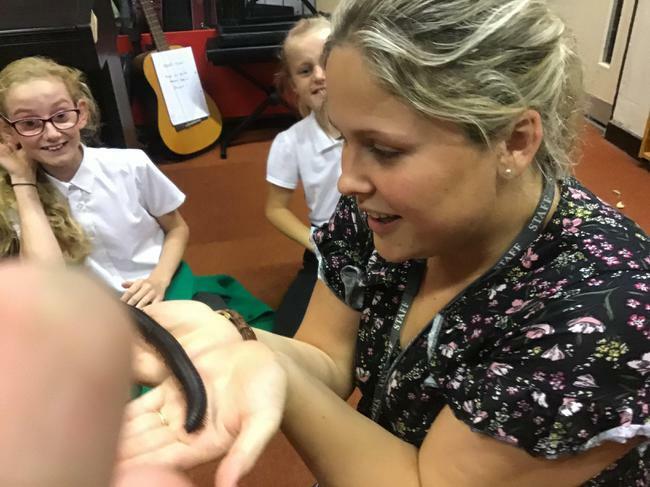 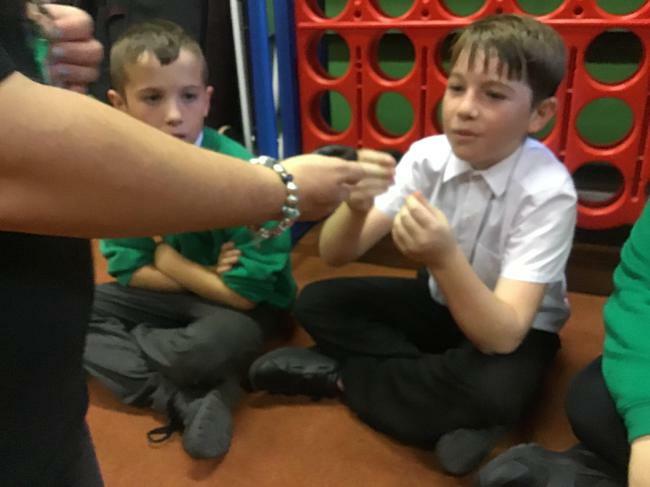 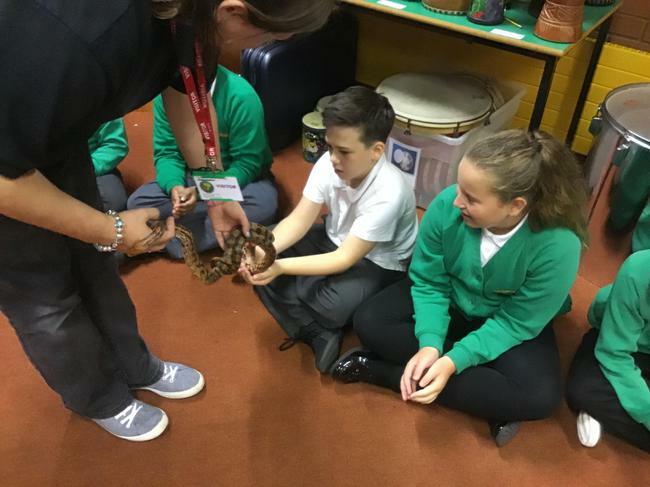 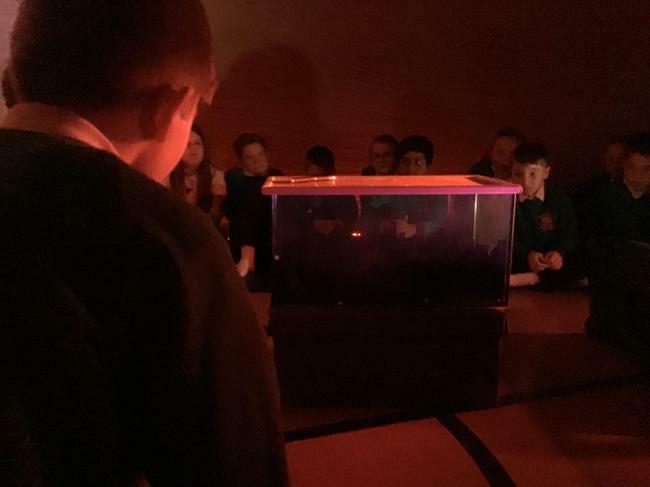 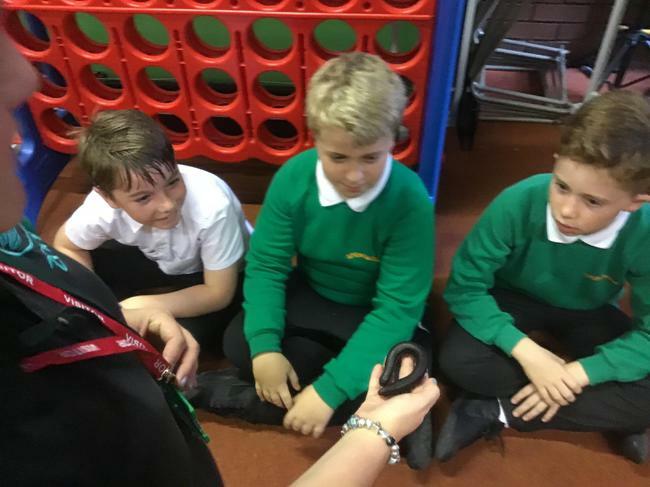 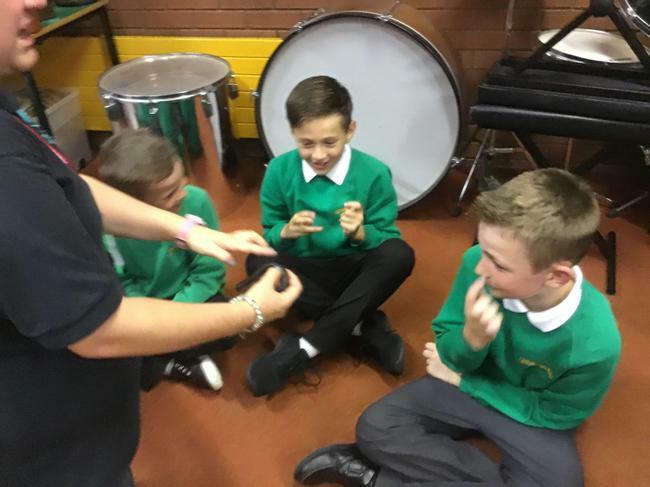 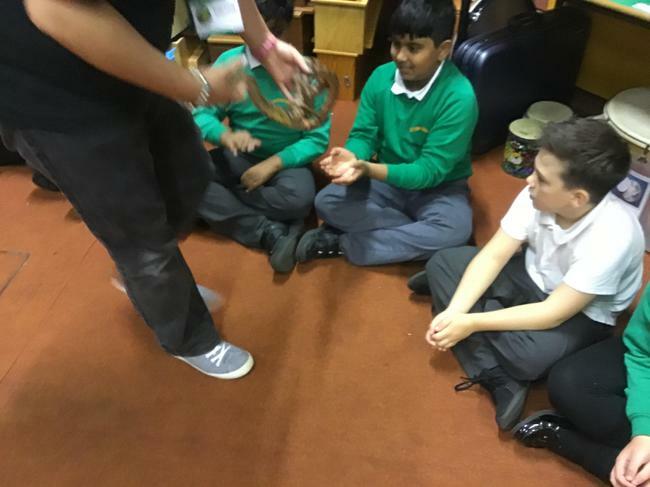 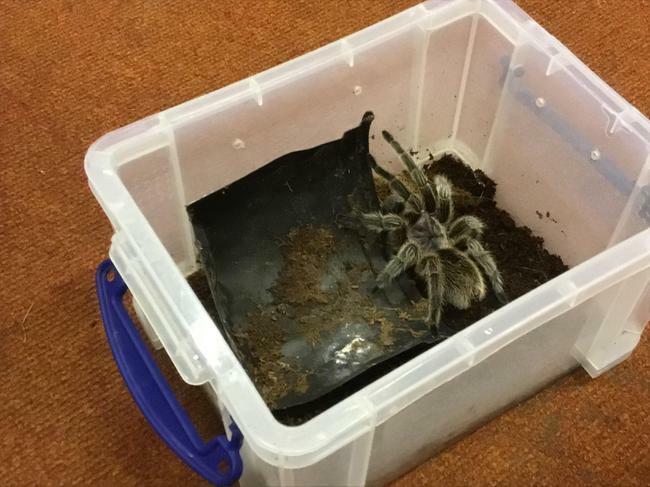 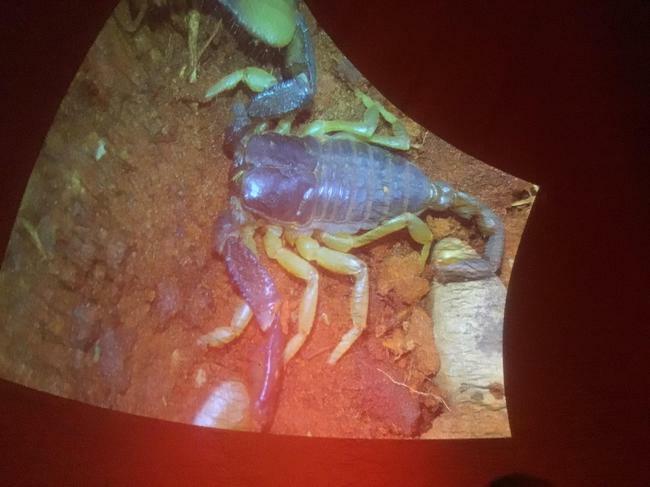 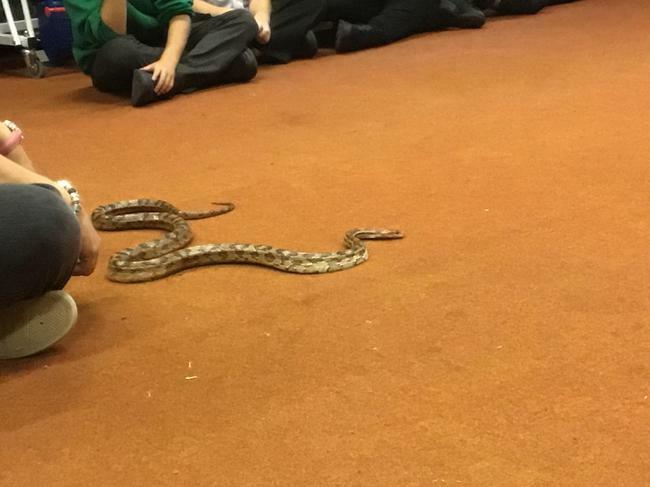 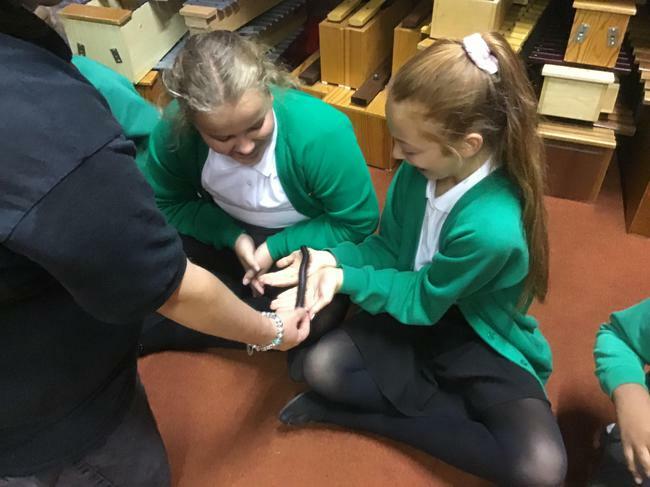 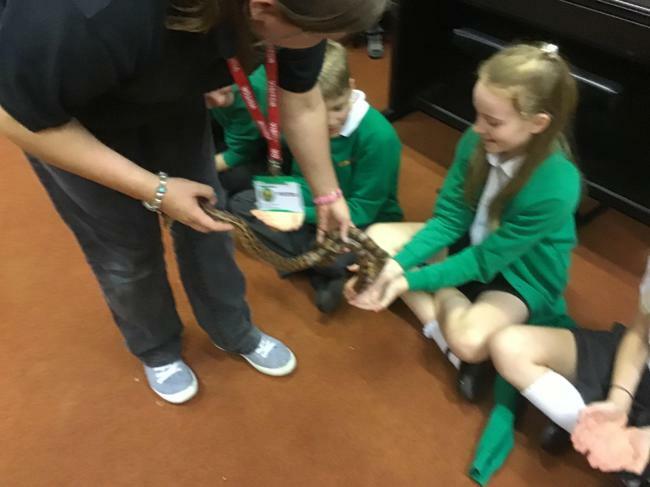 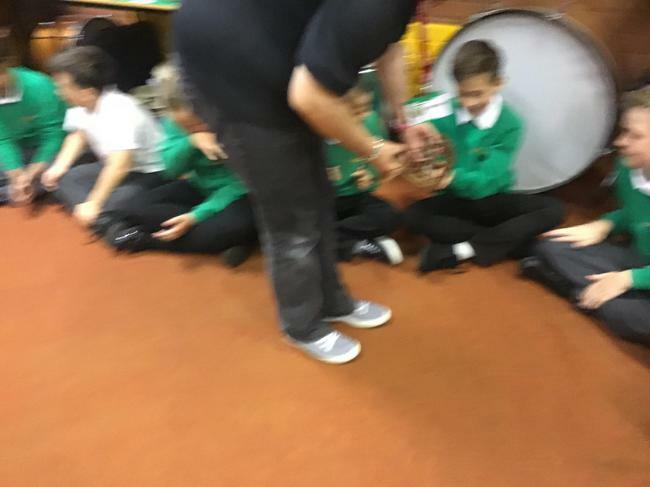 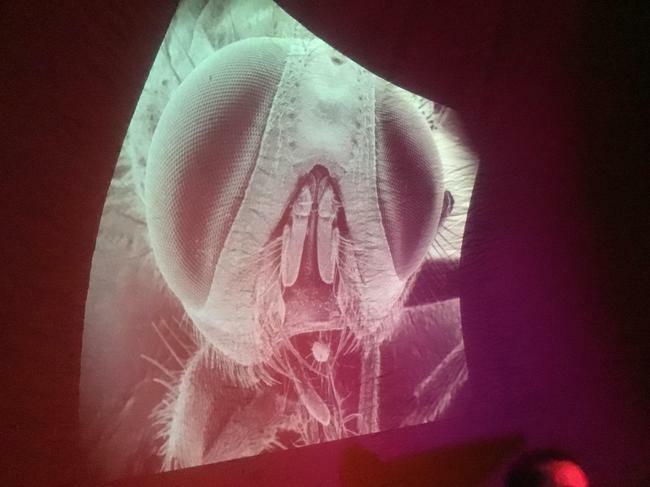 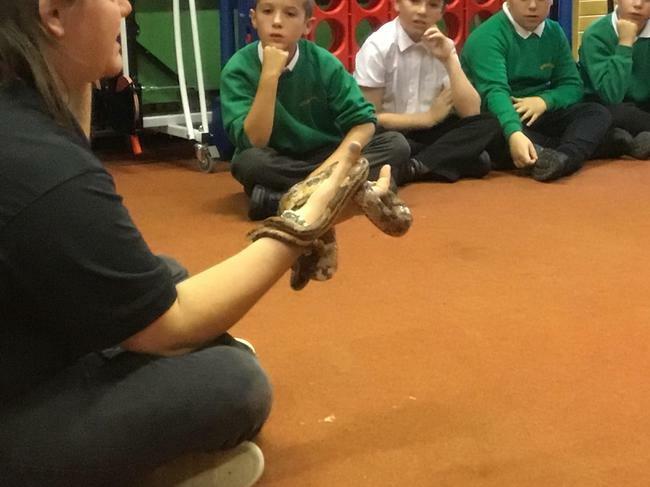 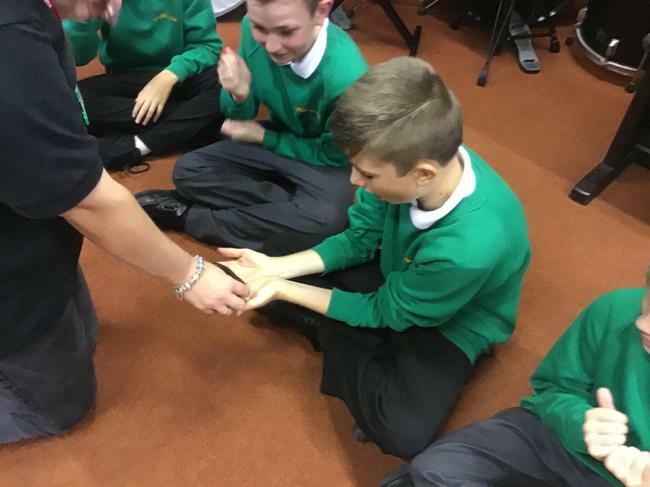 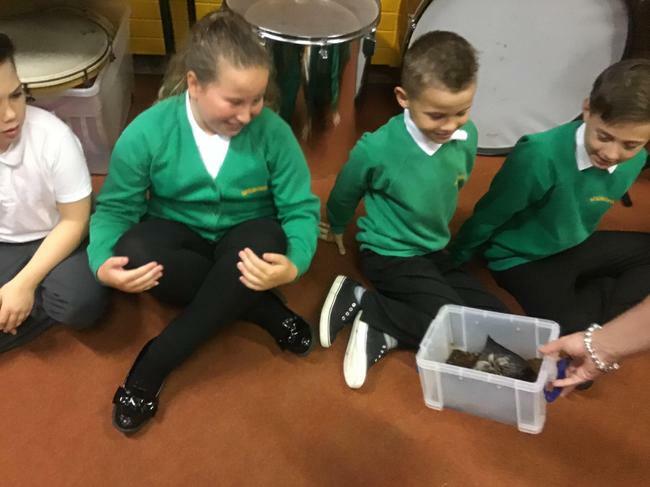 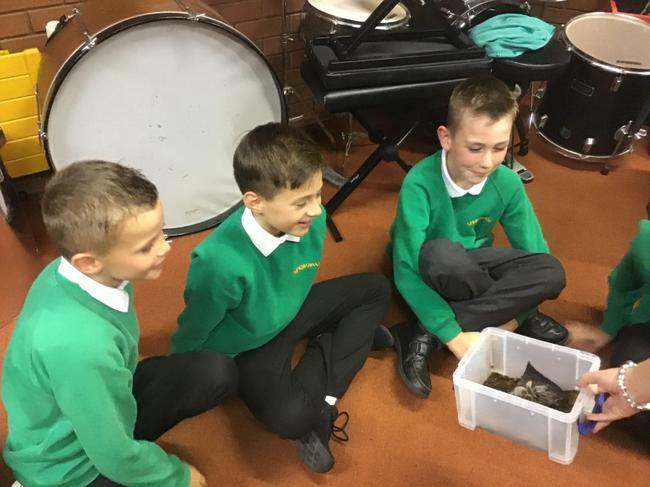 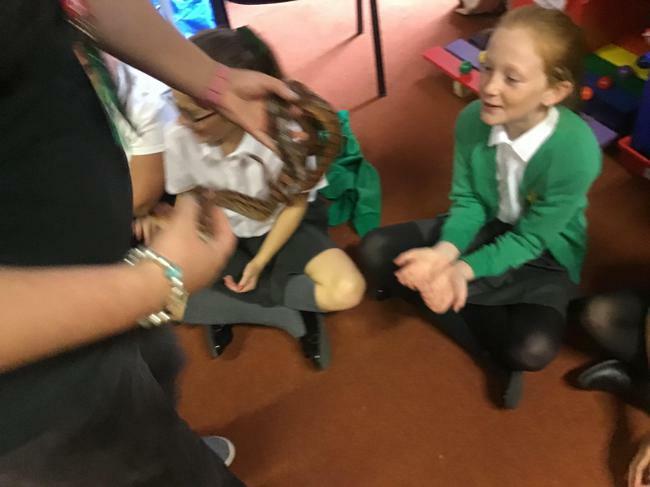 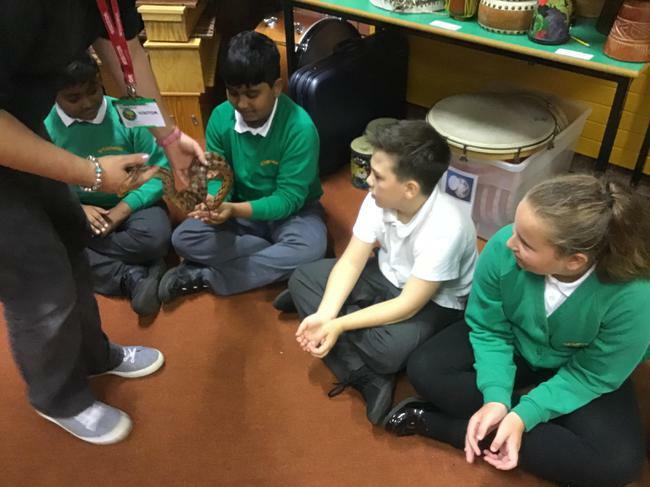 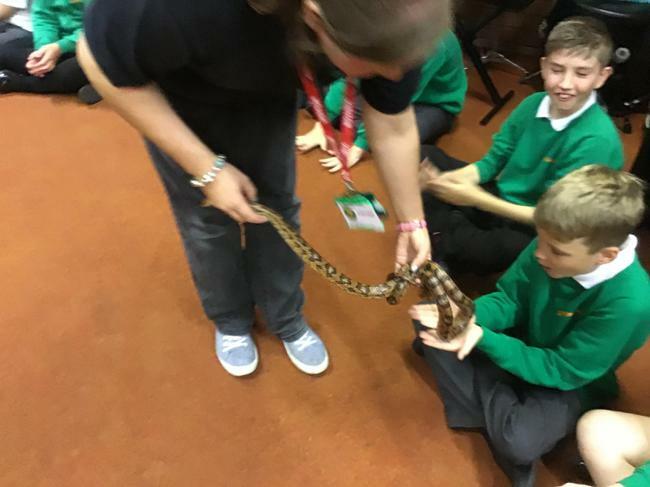 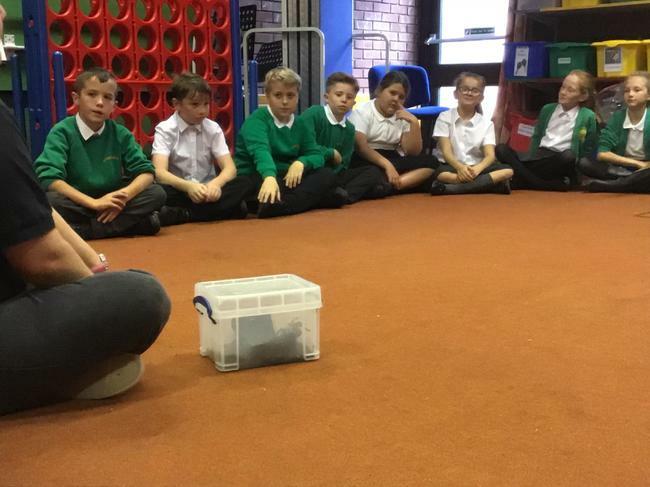 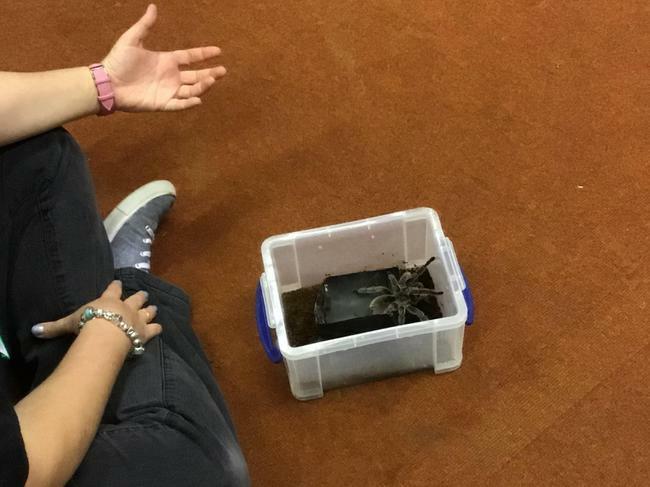 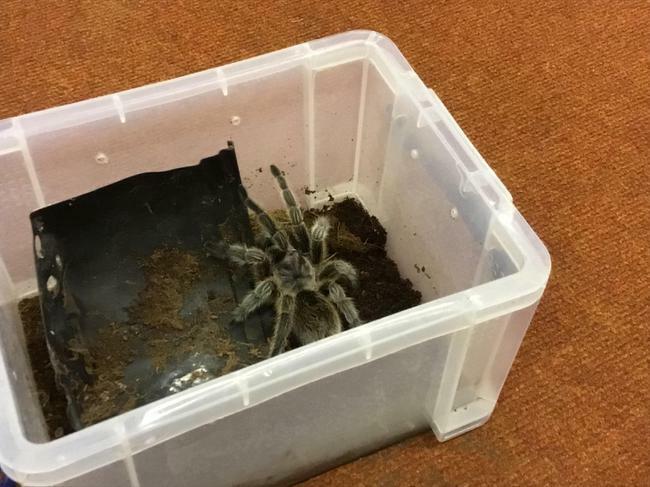 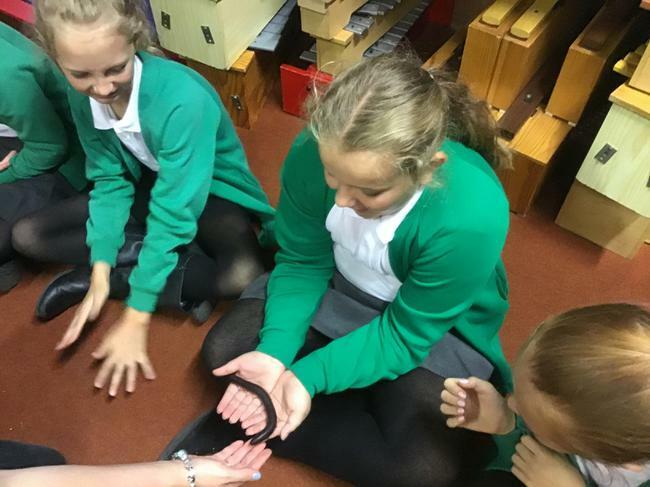 Pupils were able to see and touch some of the animals which included cockroaches, snakes, spiders, frogs, gerbils and a millipede. 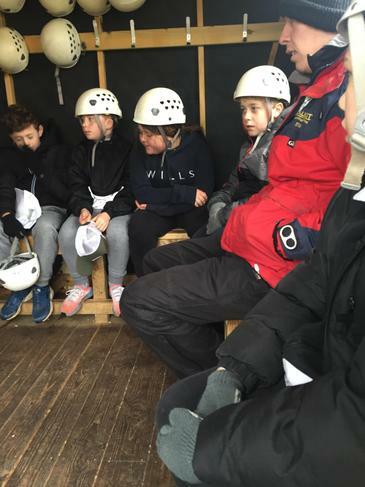 It was a fascinating and enjoyable afternoon for all. 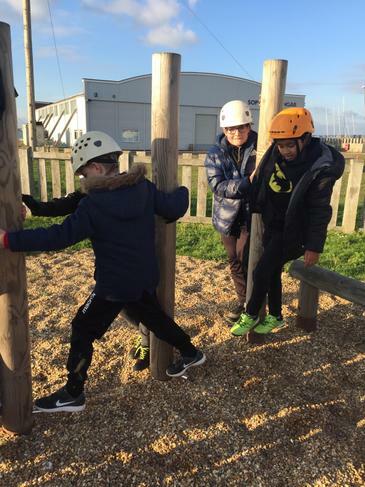 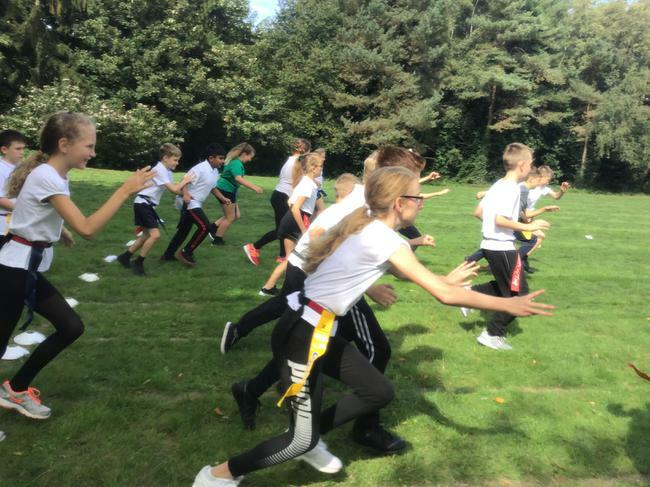 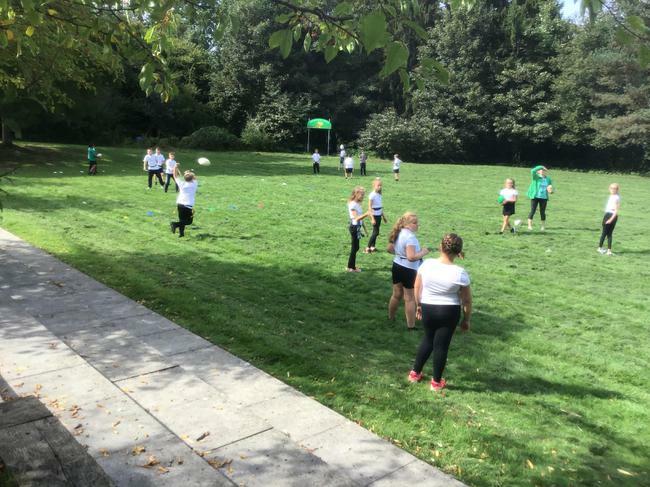 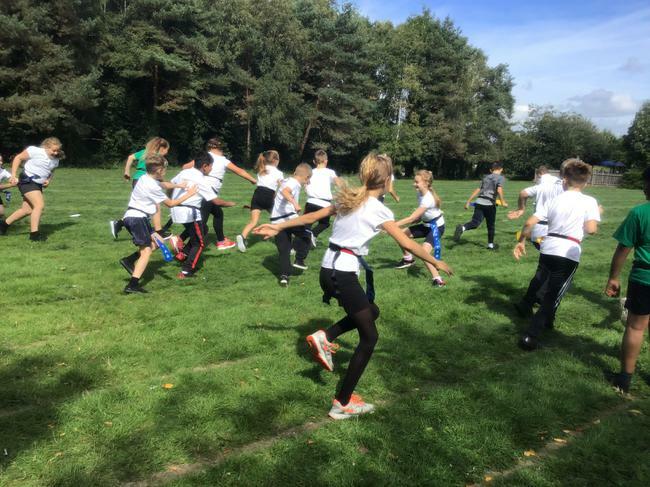 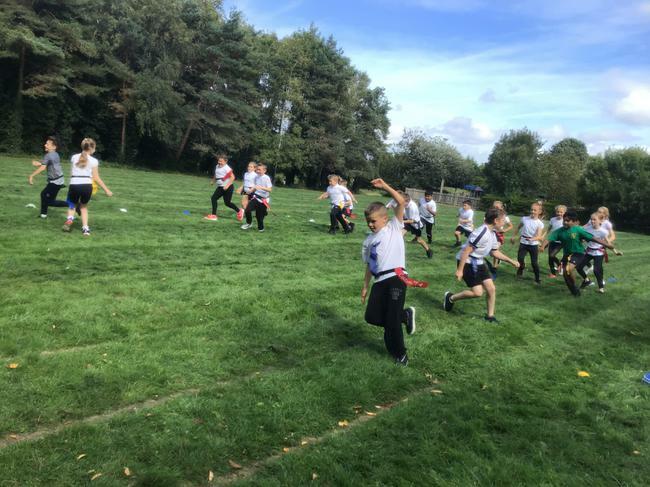 During the autumn term, year 6 will be learning and practising their skills in a number of sports. 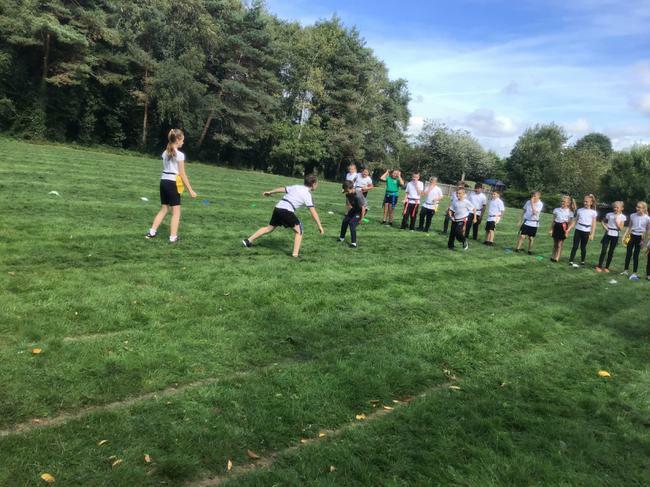 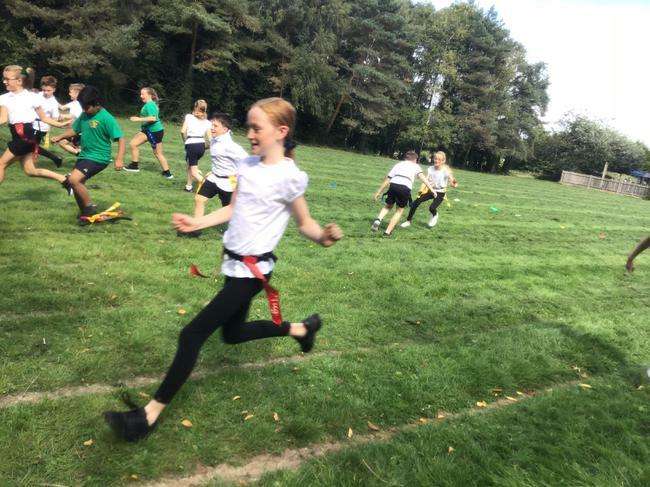 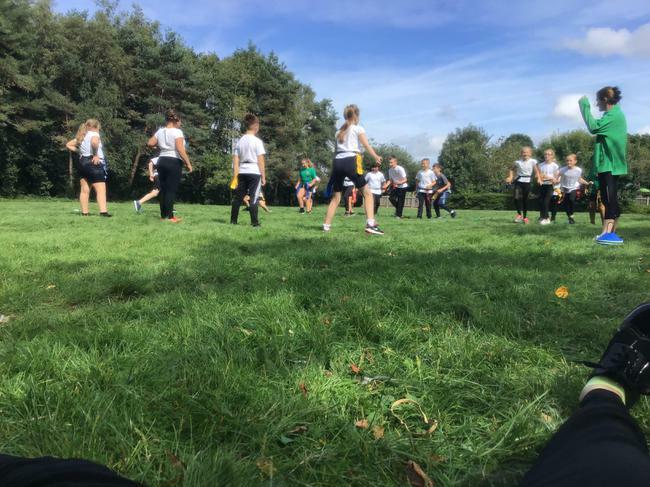 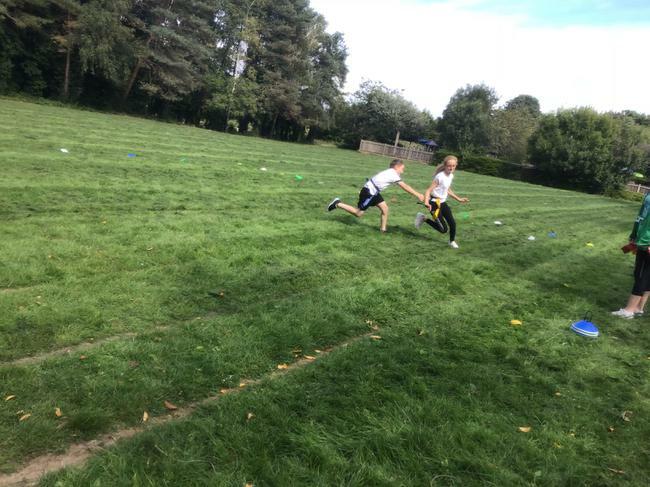 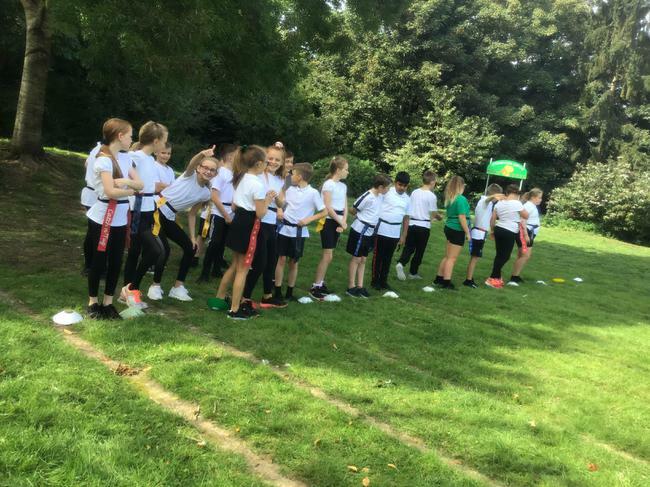 On Monday, pupils recapped the skills of tag rugby that they learnt in year 5 and reminded themselves of the rules of the game. 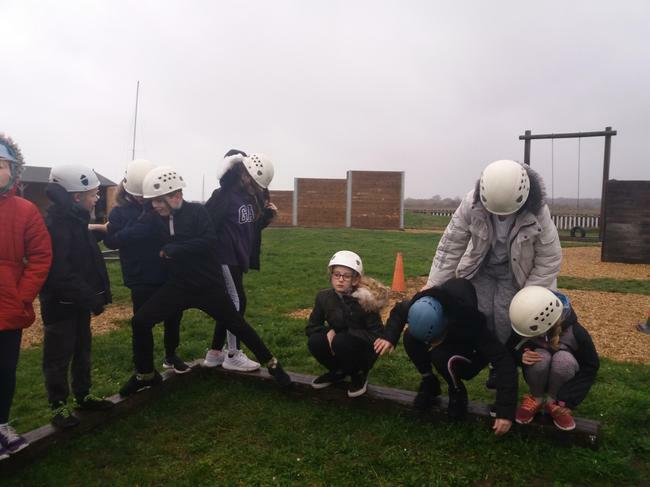 Over the term they will explore different tactics and game strategies. 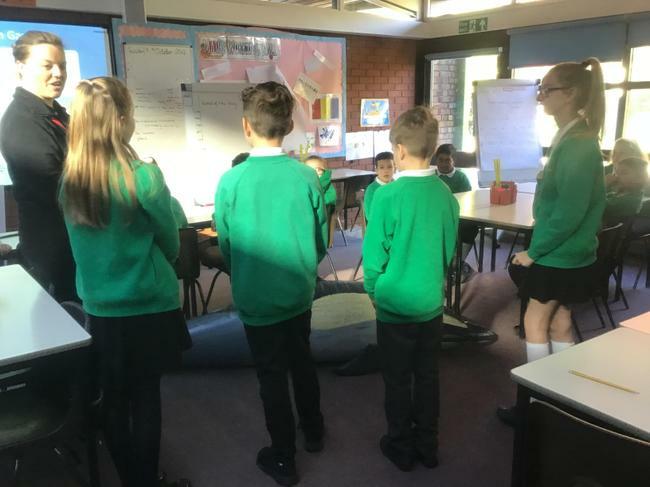 In RE this autumn, year 6 are exploring the concept of faith. 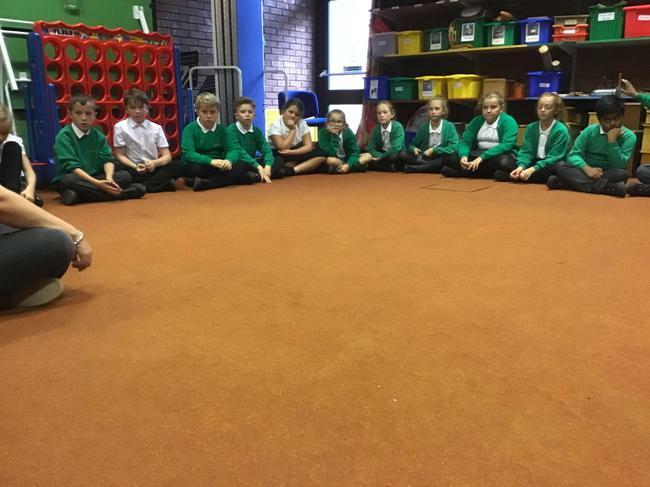 Pupils have been working together on trust and faith exercises to understand how faith can be important to people. 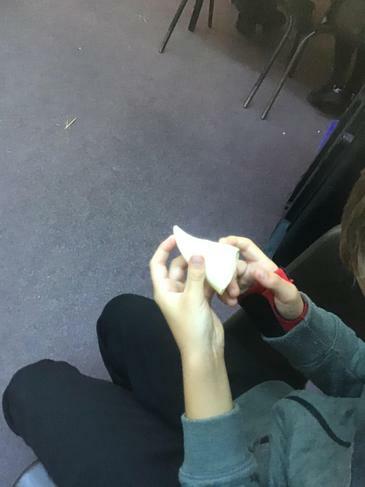 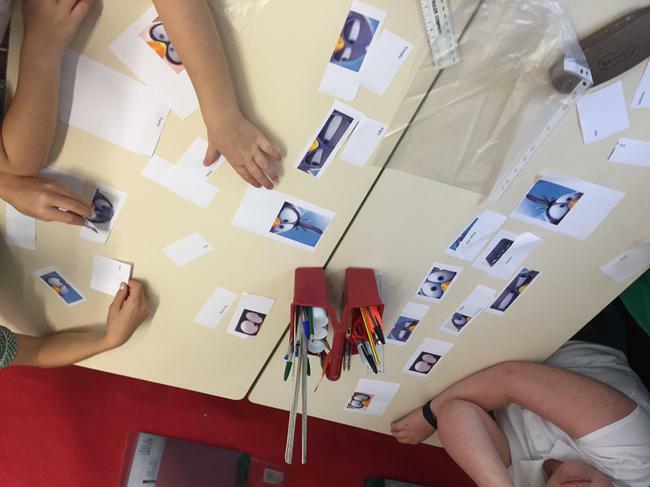 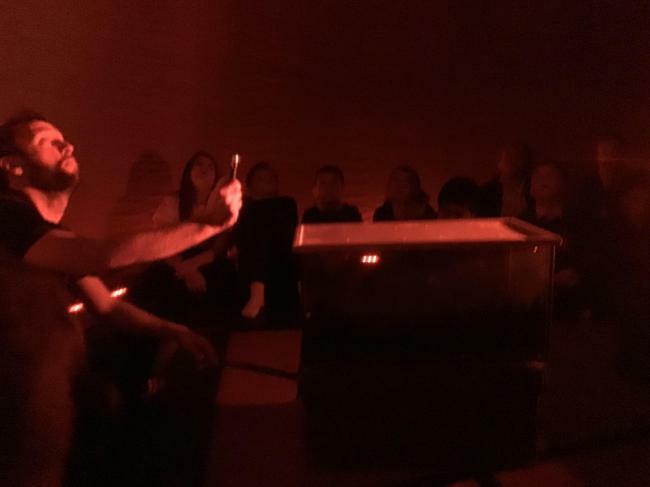 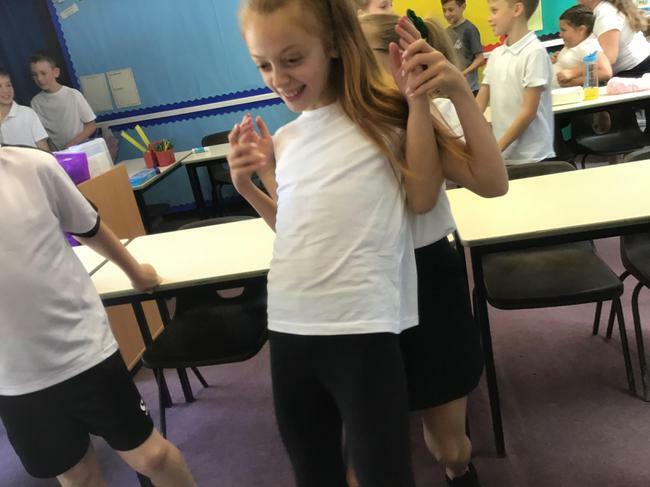 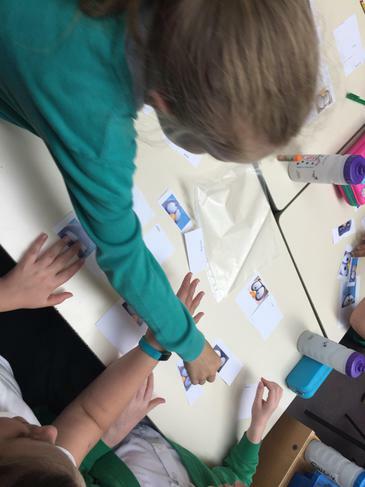 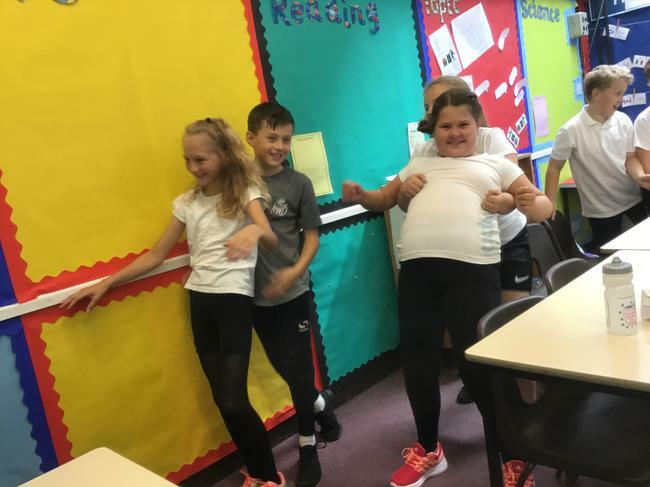 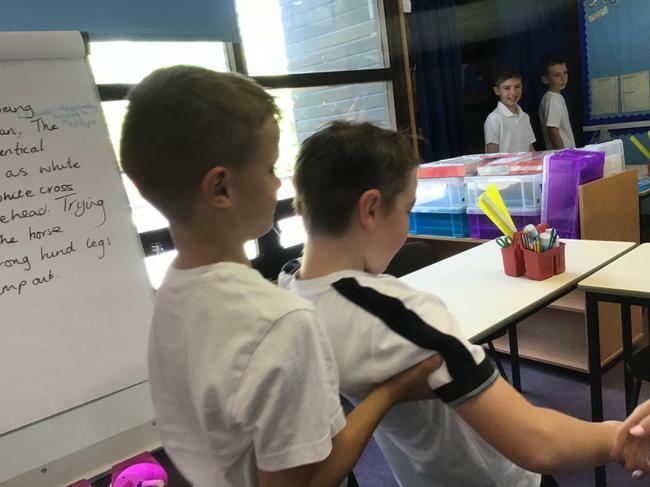 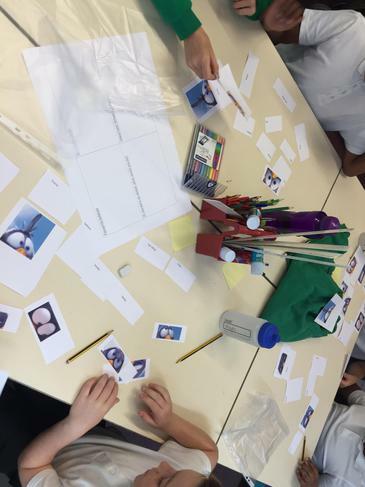 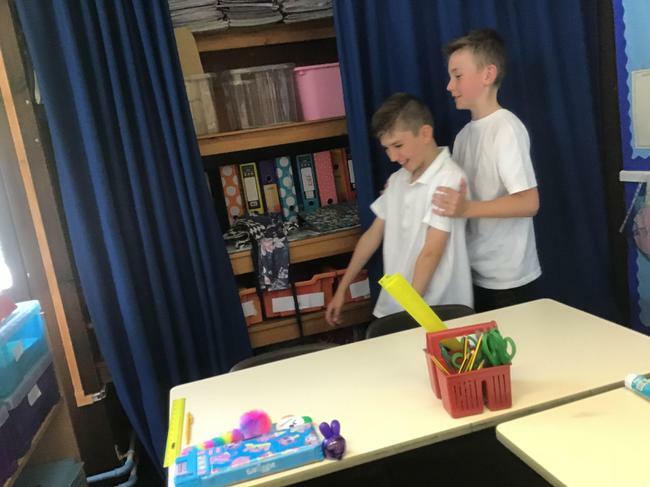 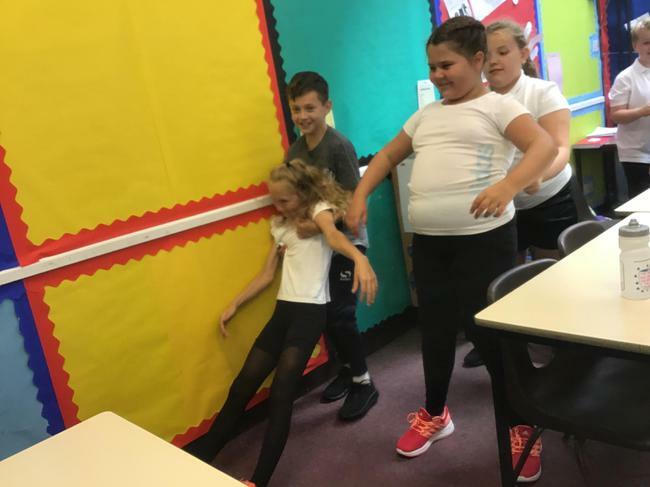 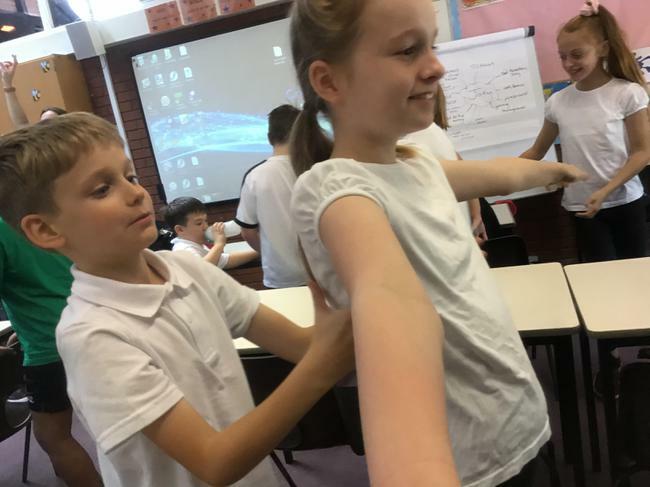 They enjoyed testing their faith of their friends and proving that they can trust one another.In RE this autumn, year 6 are exploring the concept of faith. 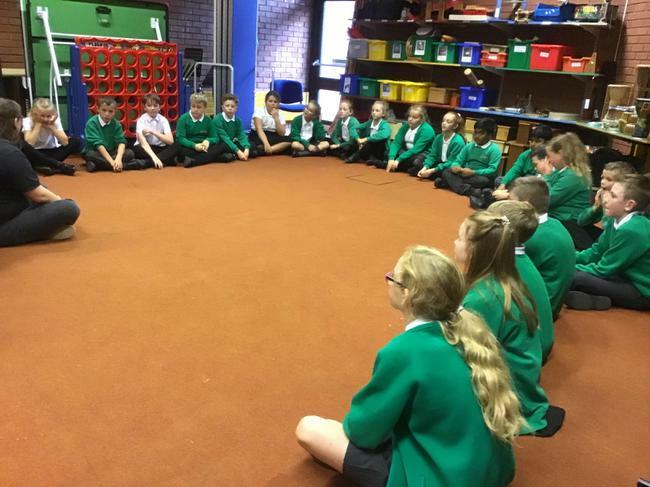 Pupils have been working together on trust and faith exercises to understand how faith can be important to people. 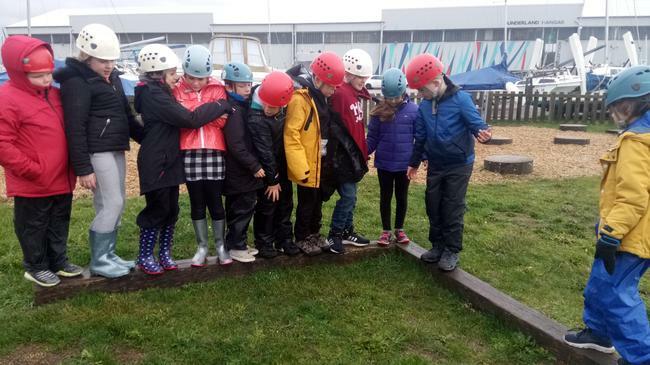 They enjoyed testing their faith of their friends and proving that they can trust one another. 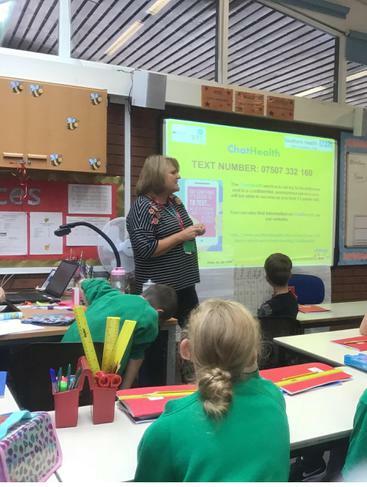 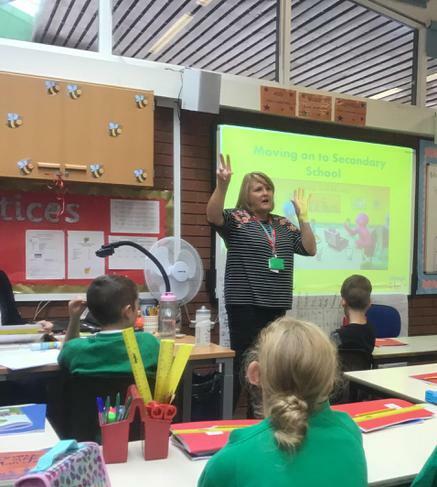 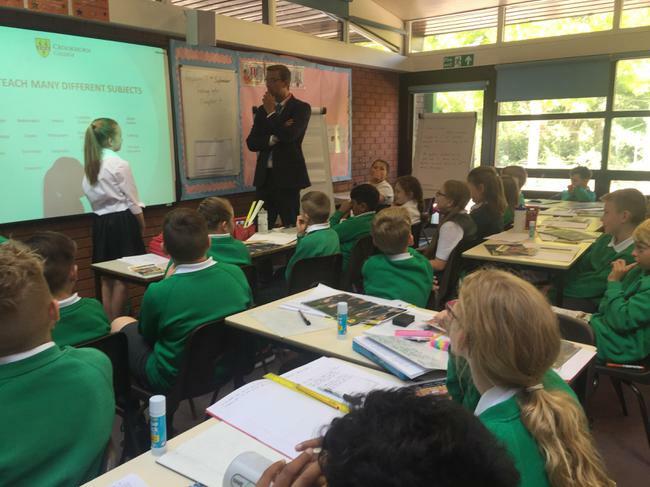 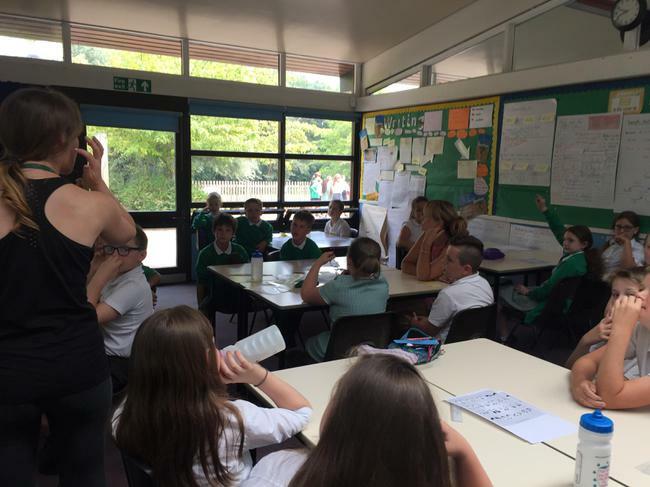 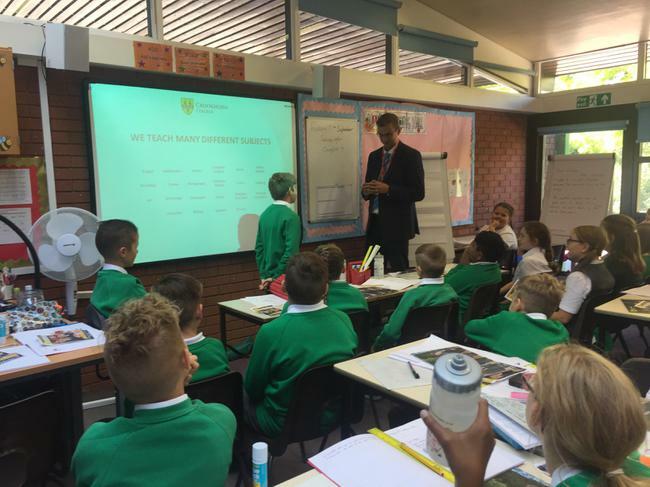 Year 6 were in for a full filled day during their two days with their new teachers, Miss Allen and Miss Hiron. 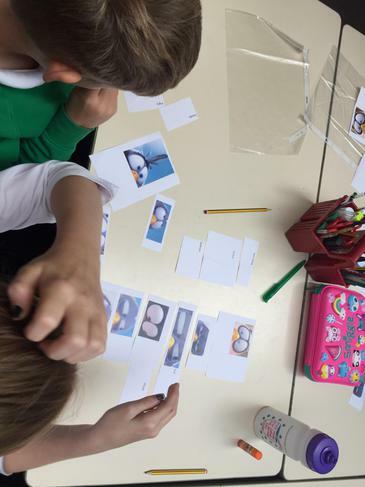 Pupils engaged in a range of art mediums working on facial features, especially eyes. 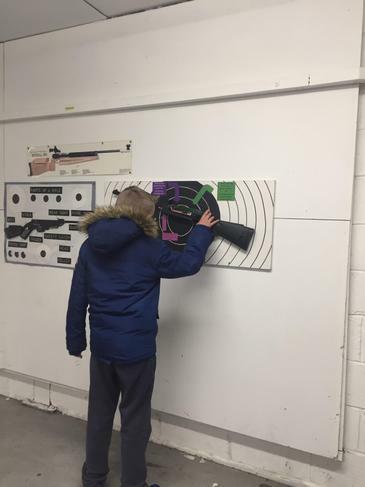 Pupils looked at how our emotion can be shown in our eyes and created their own art inspired by a local artist. 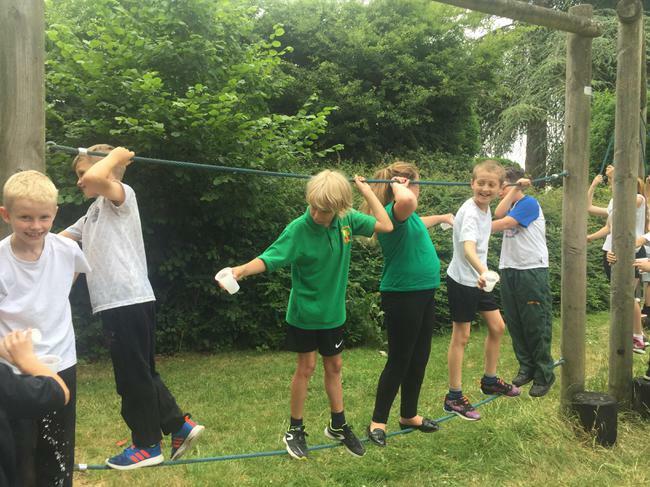 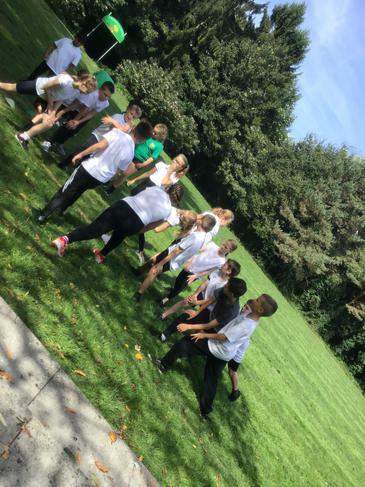 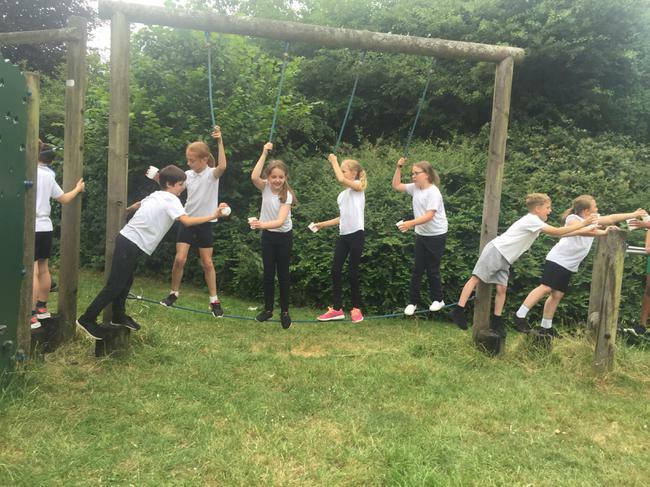 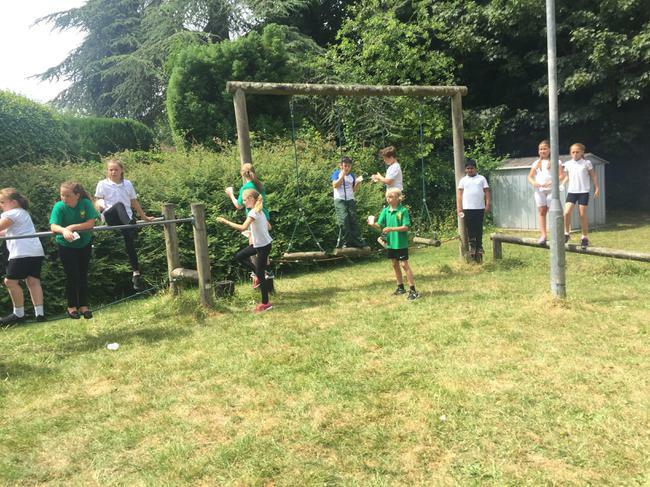 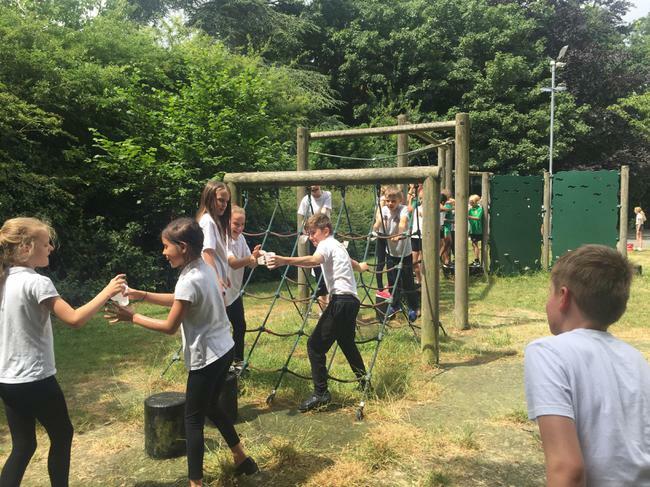 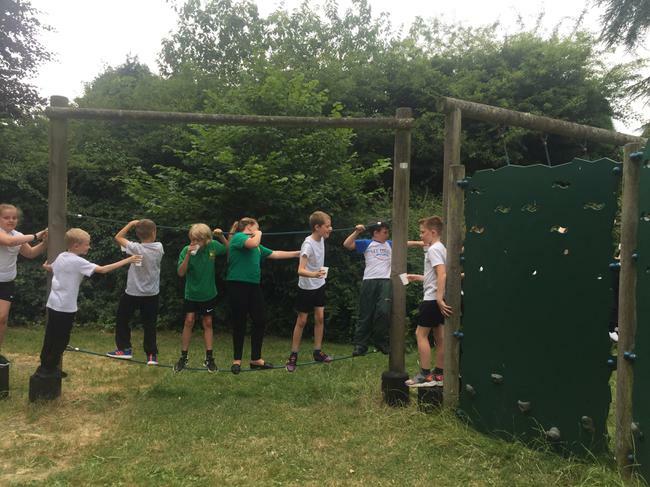 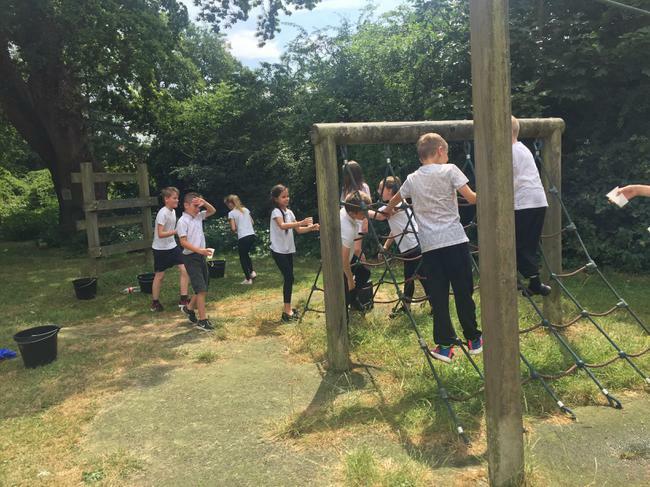 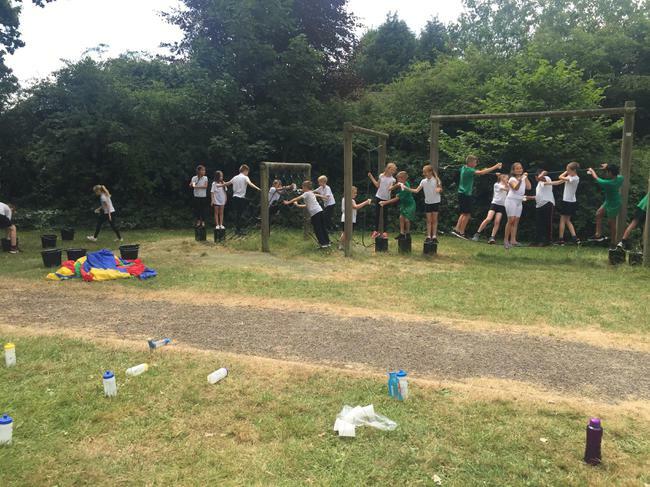 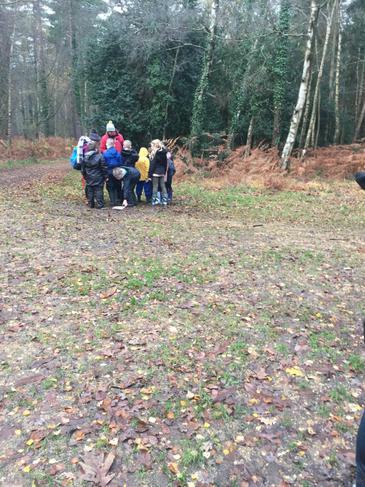 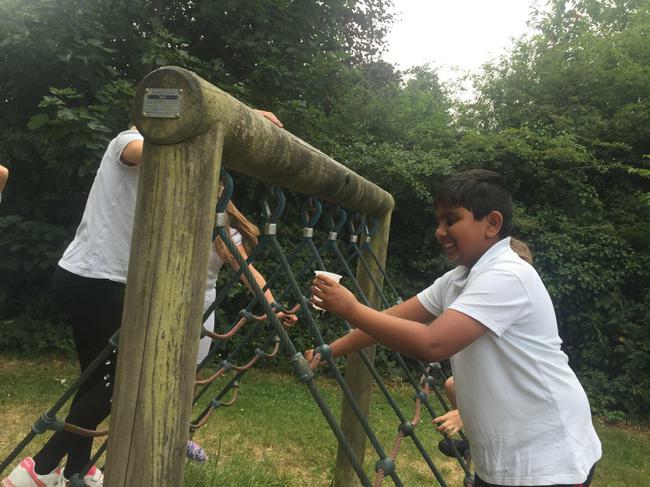 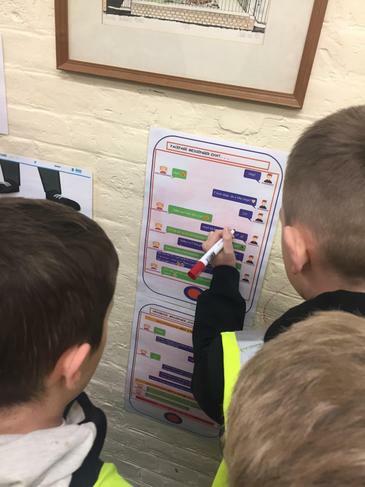 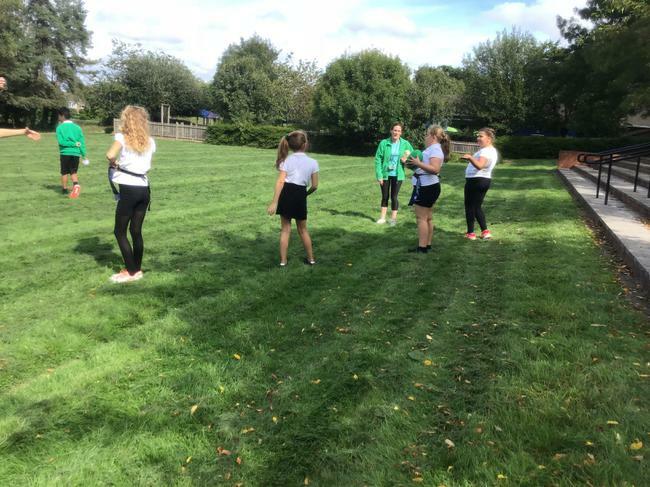 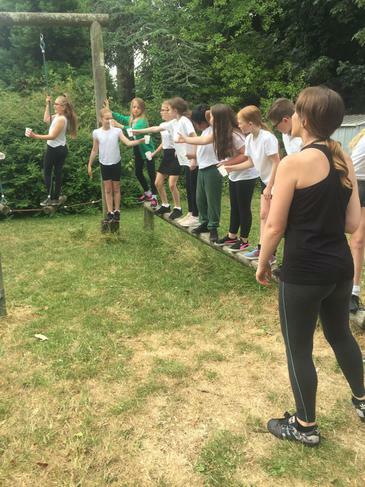 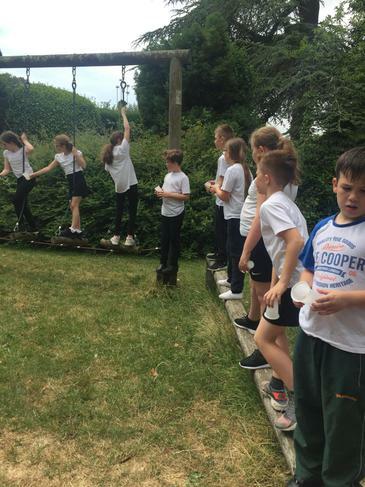 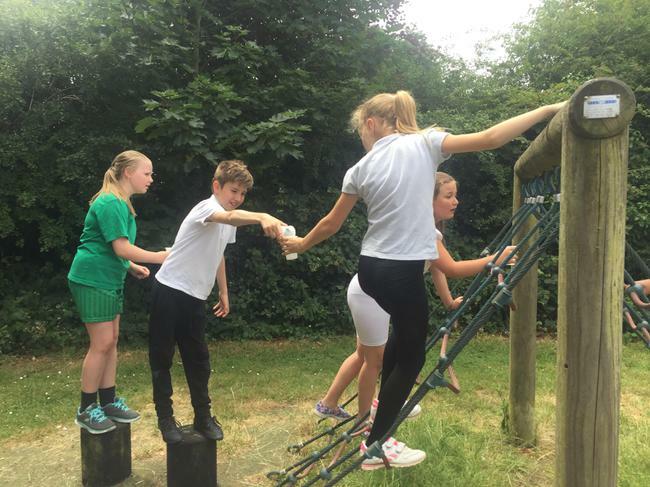 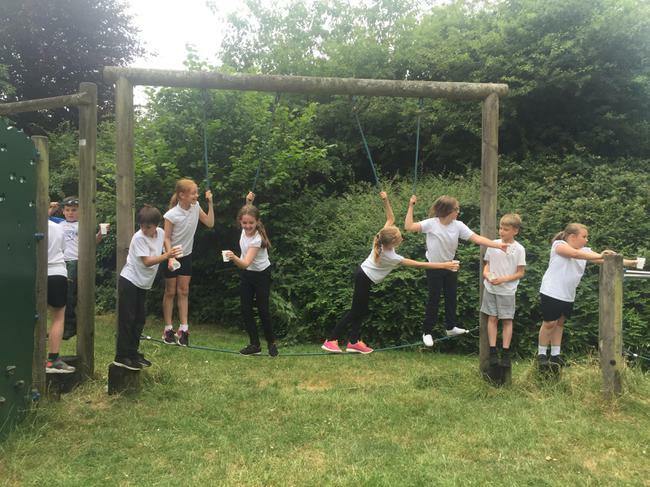 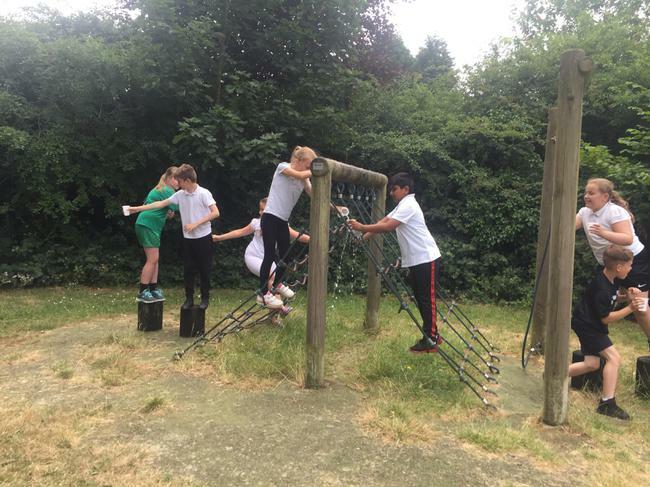 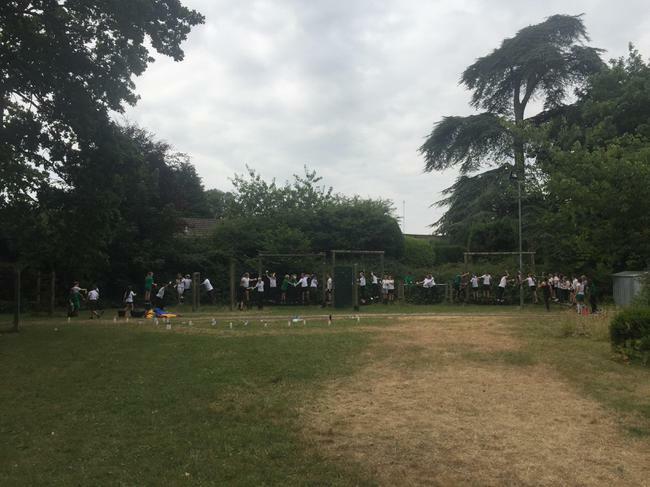 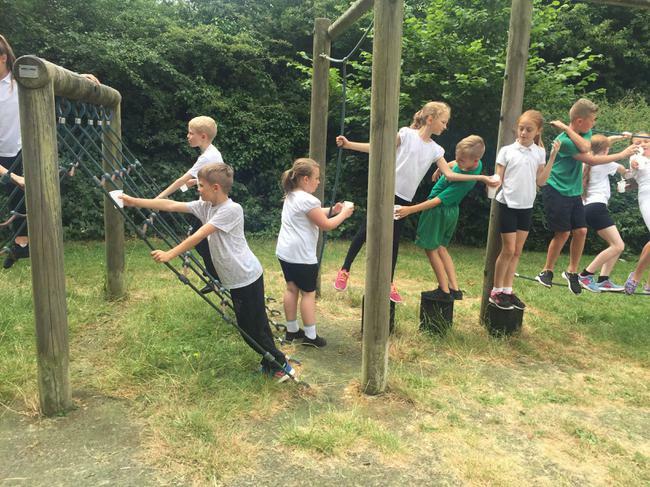 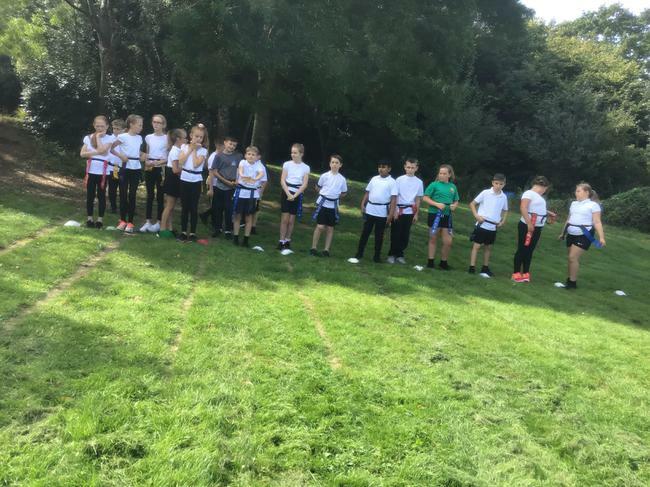 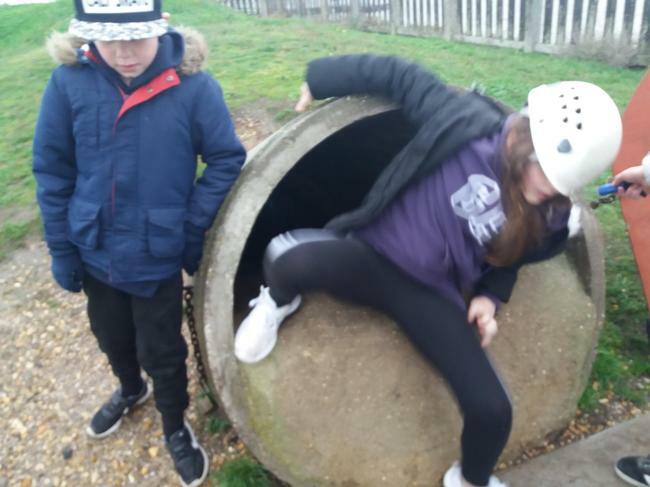 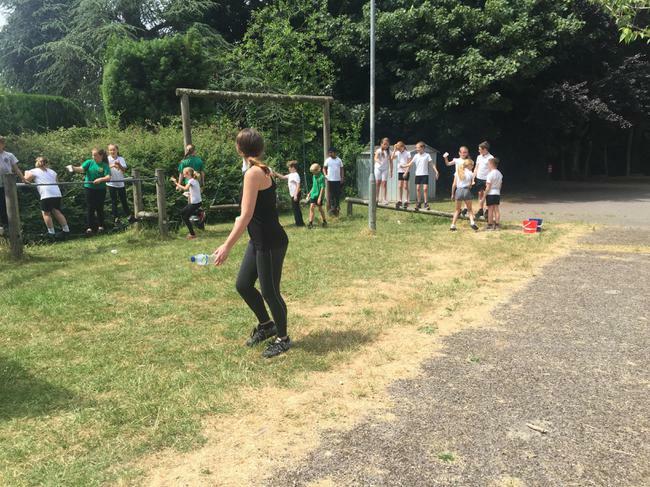 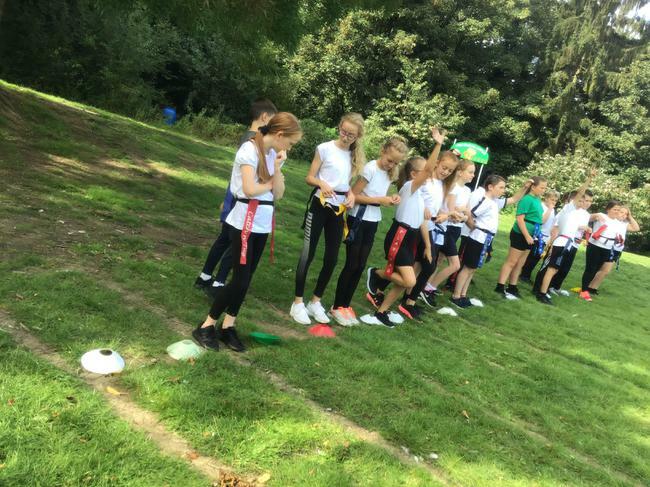 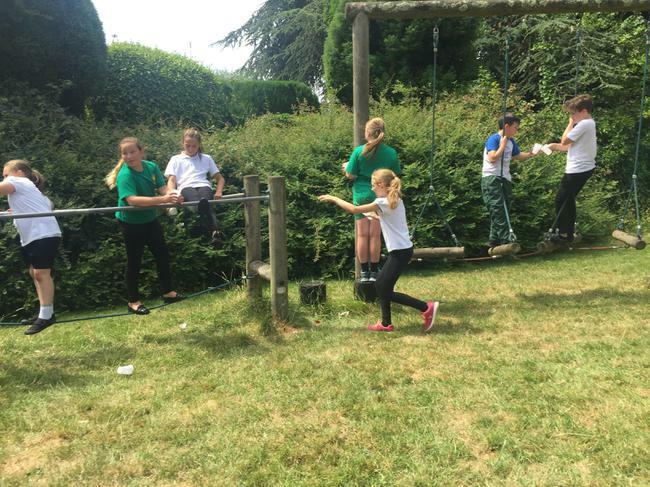 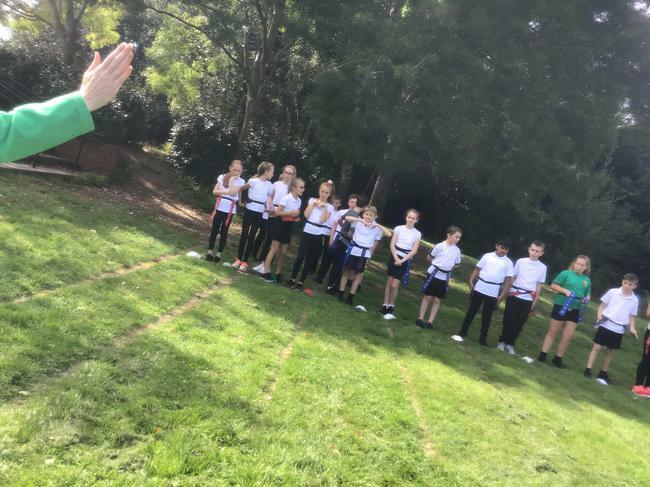 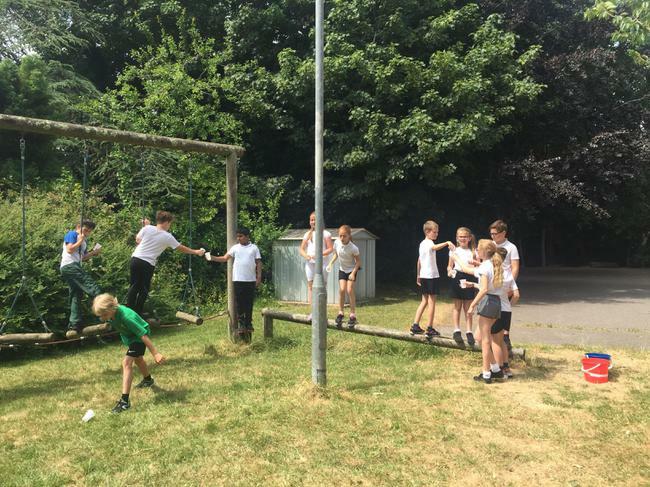 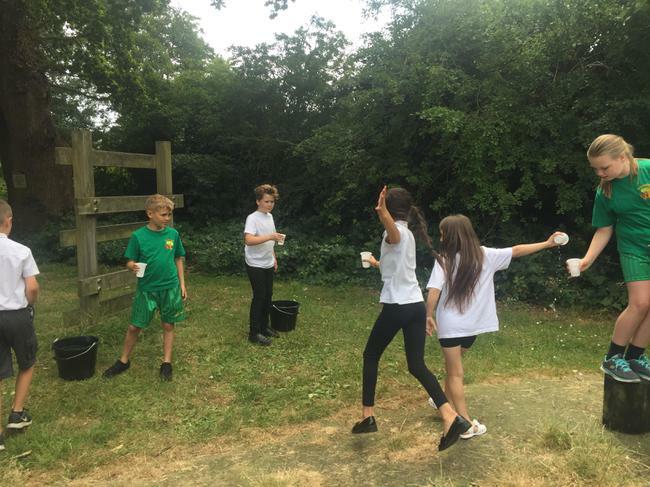 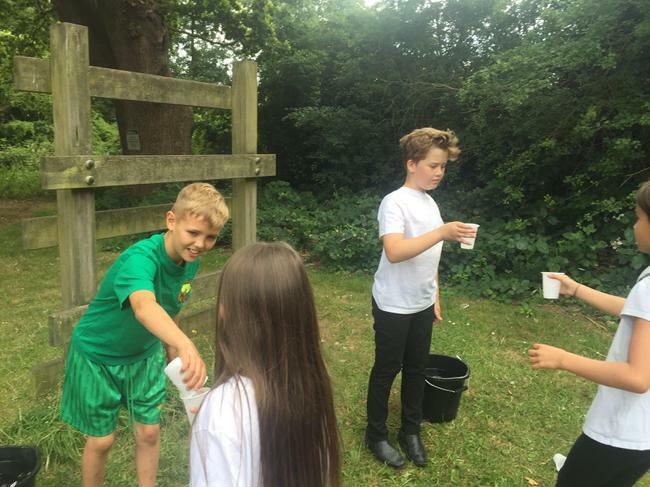 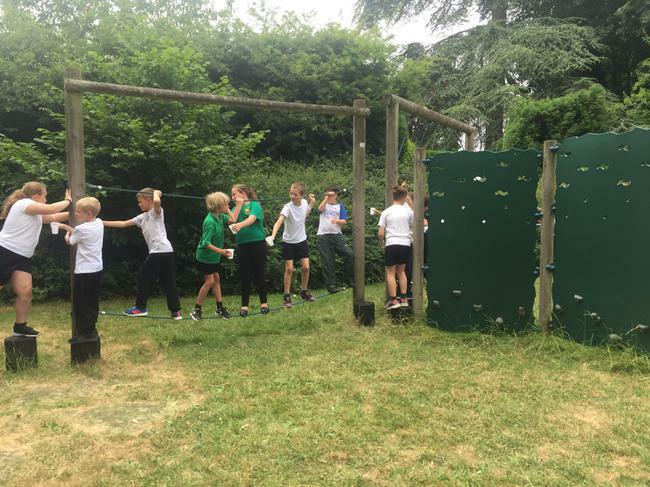 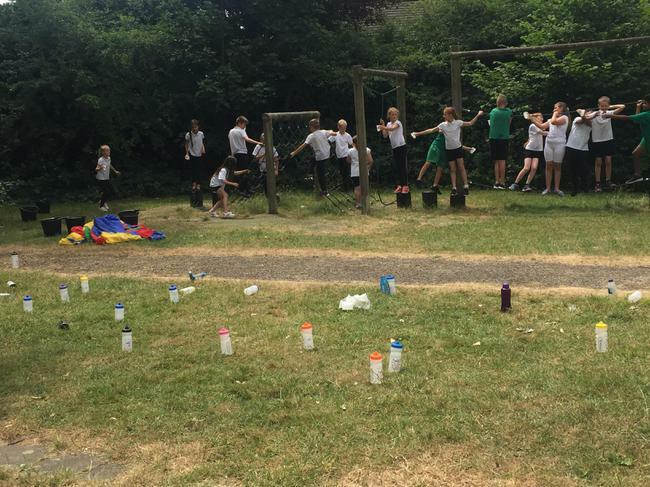 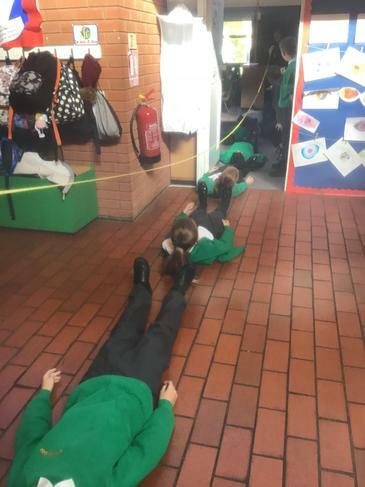 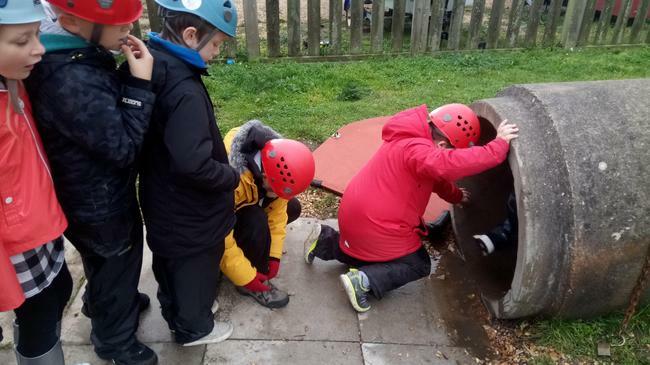 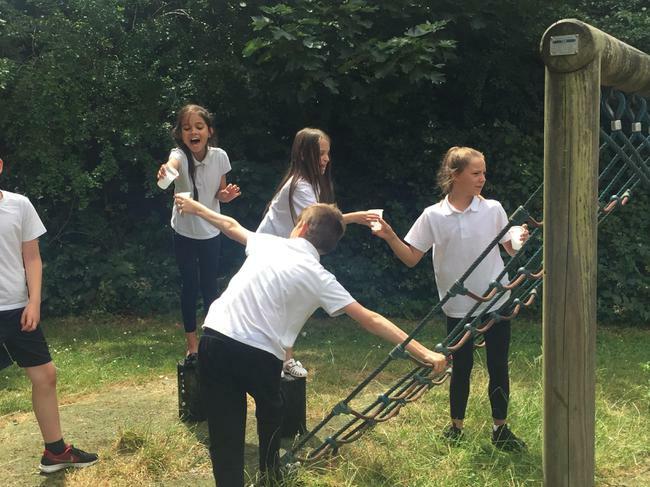 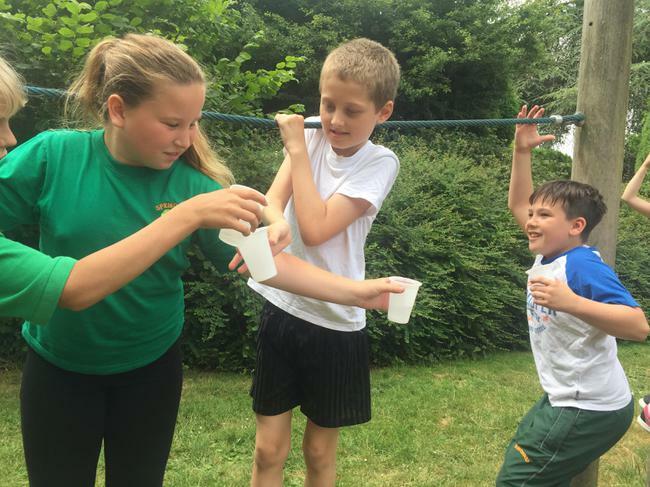 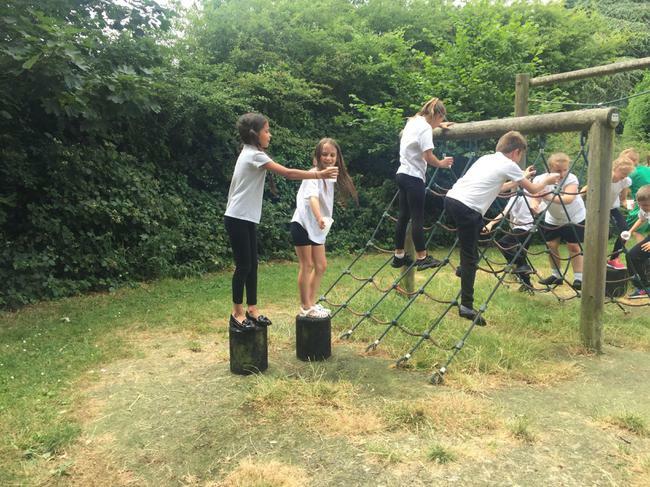 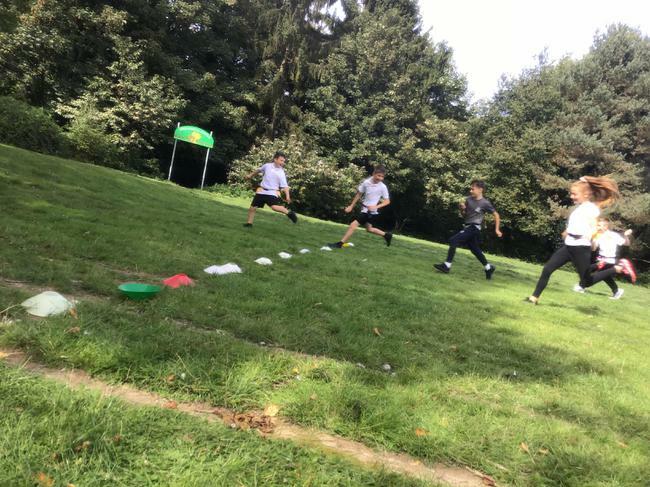 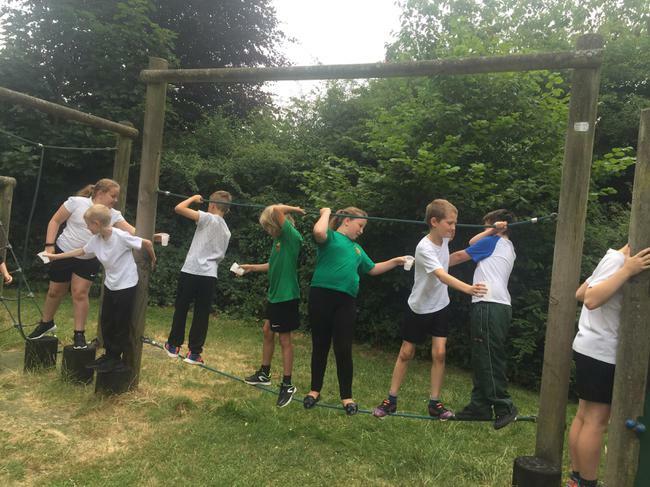 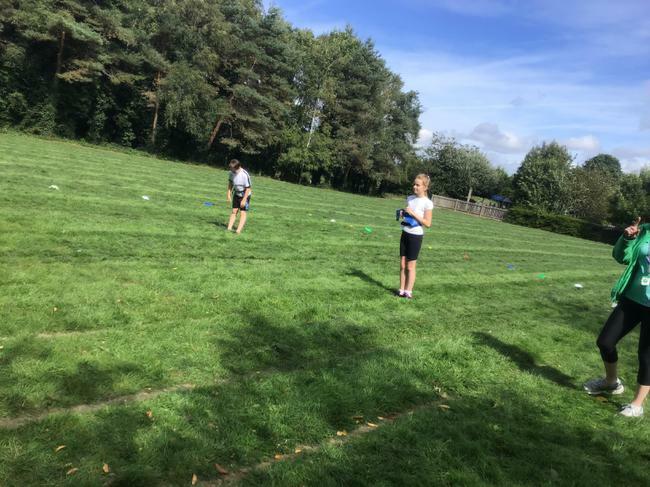 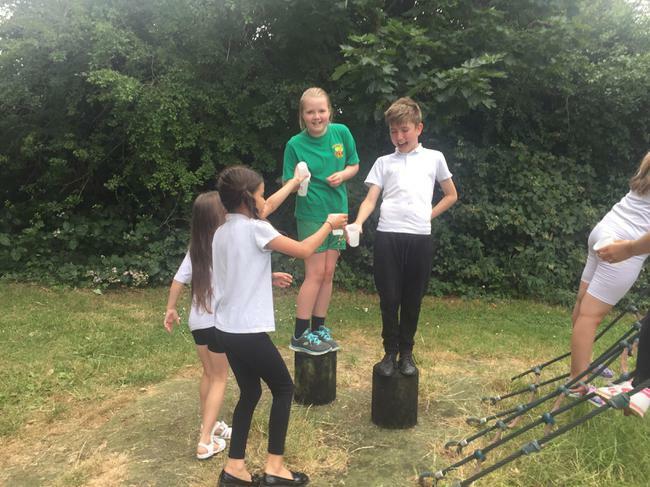 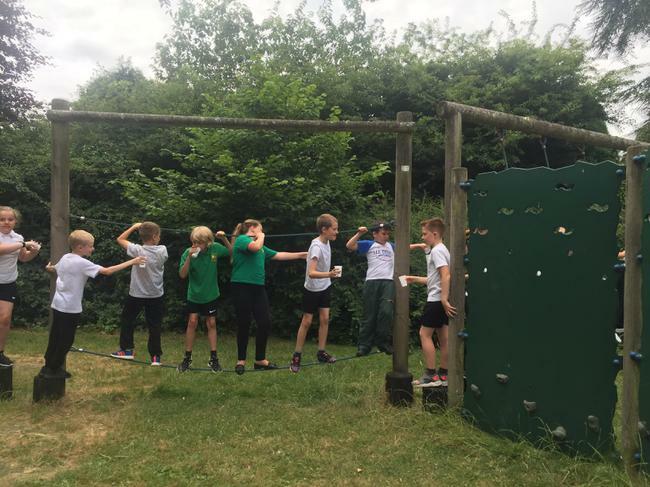 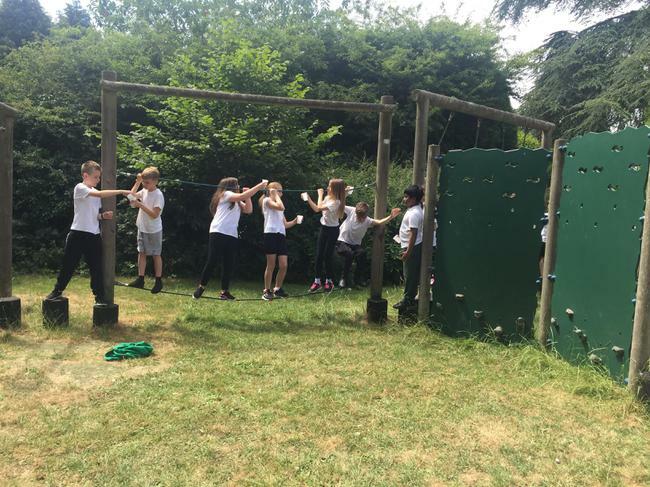 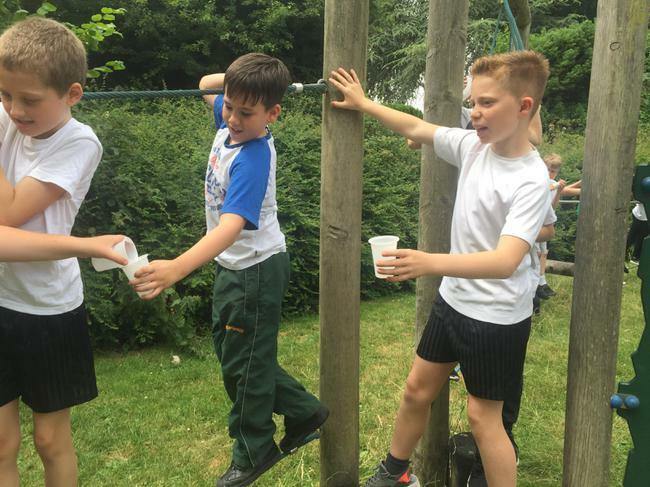 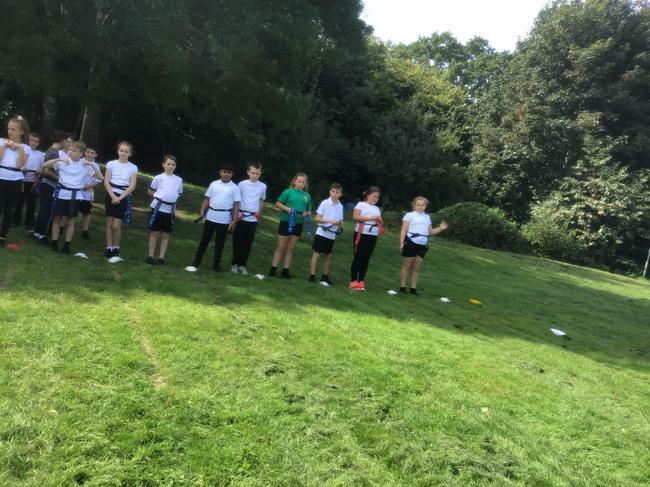 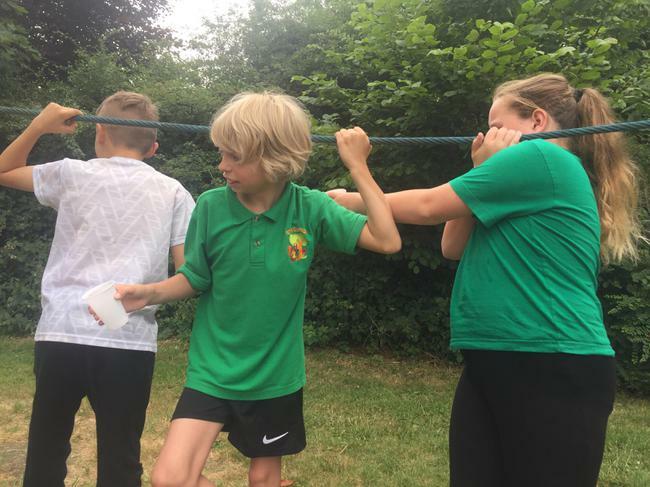 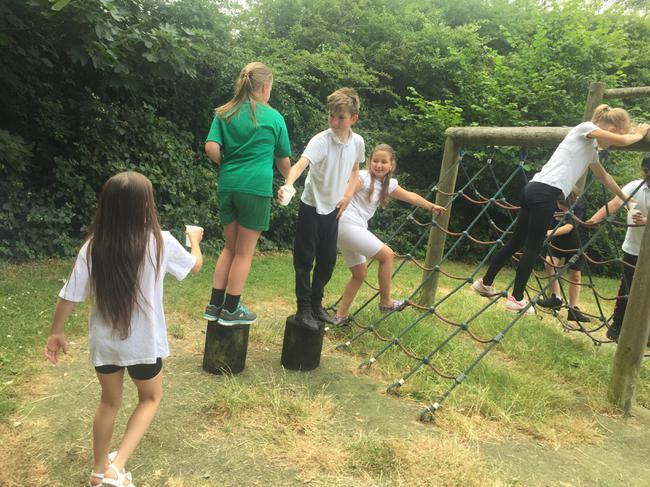 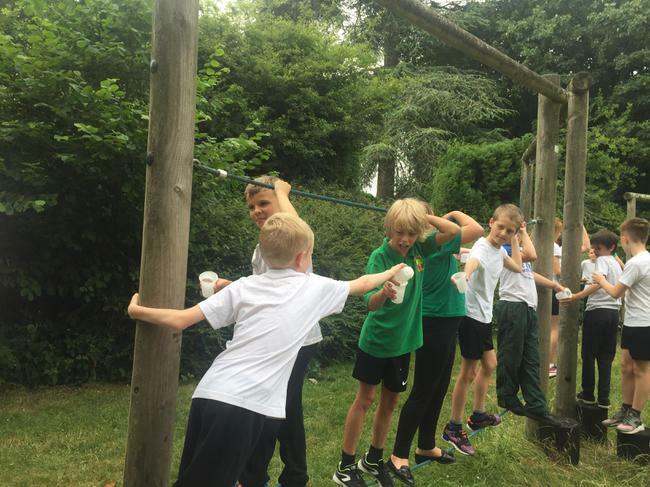 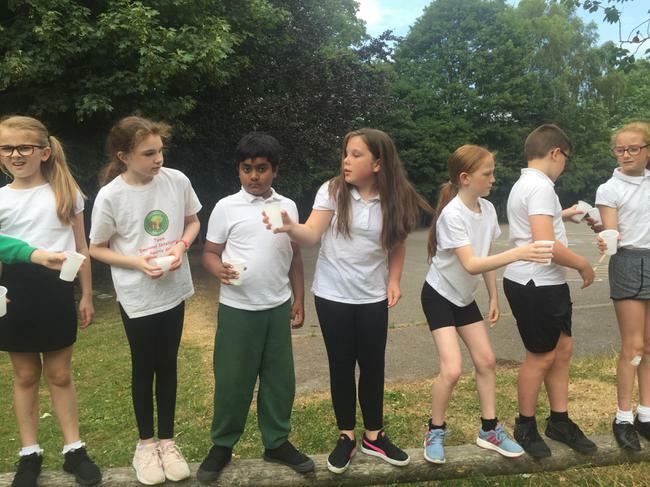 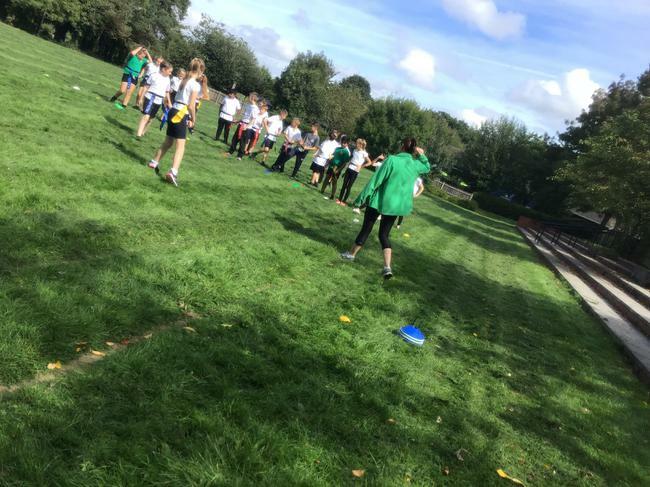 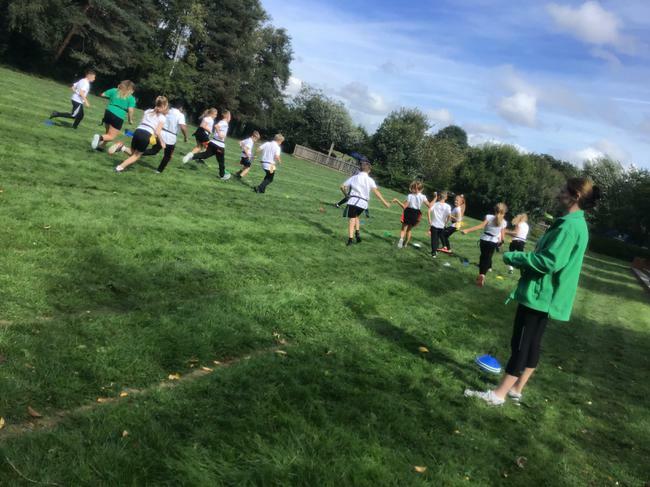 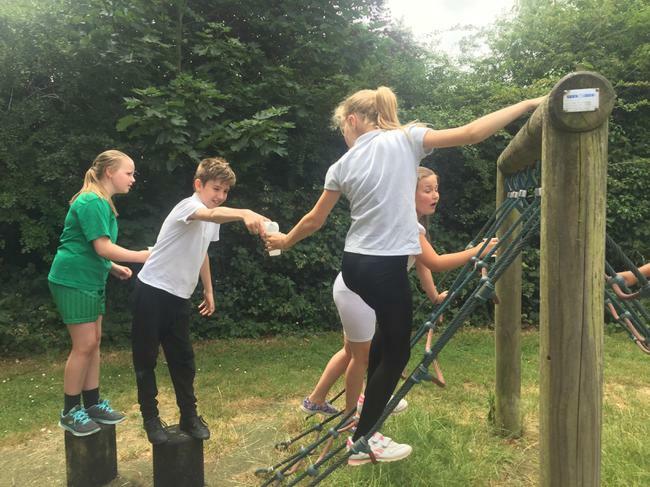 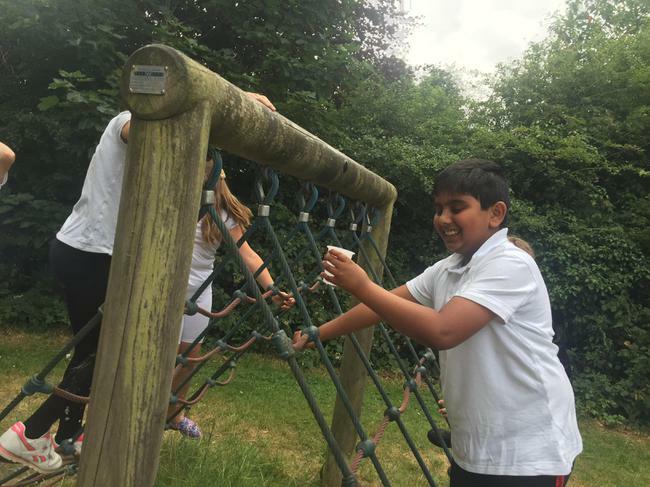 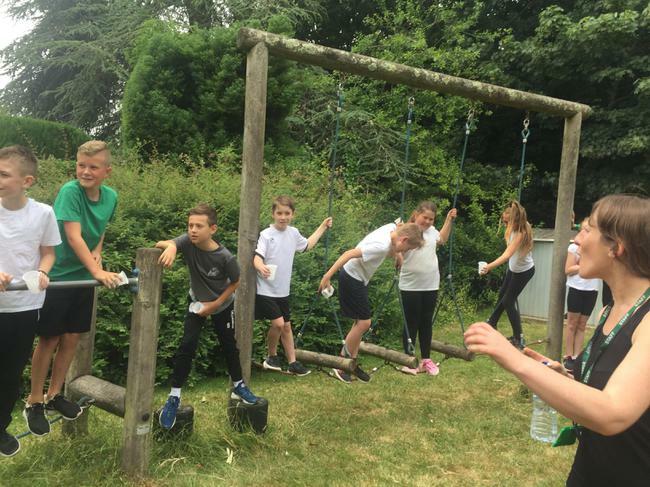 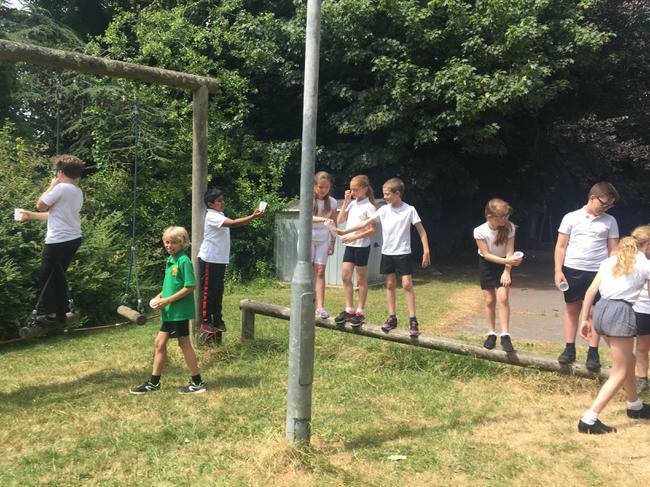 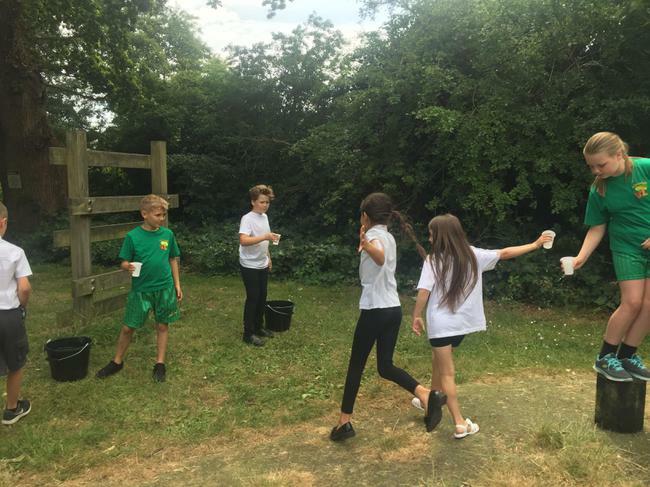 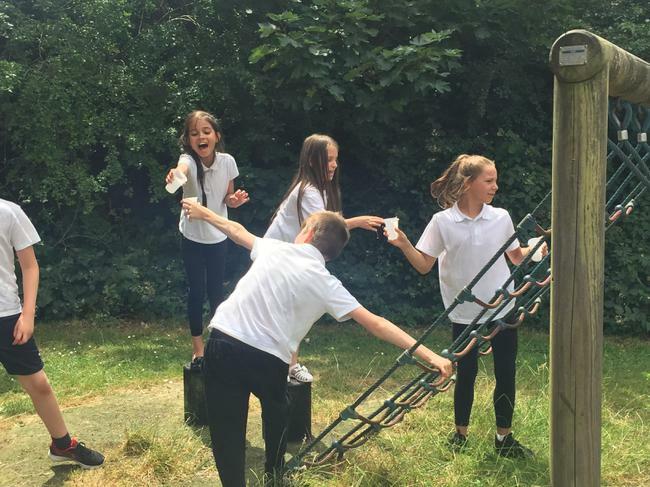 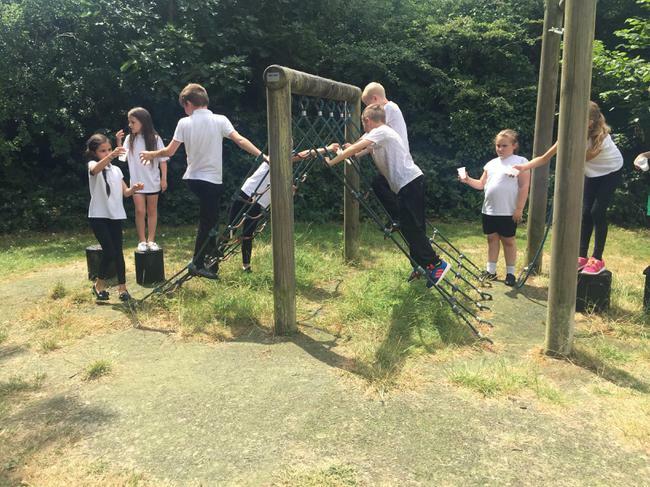 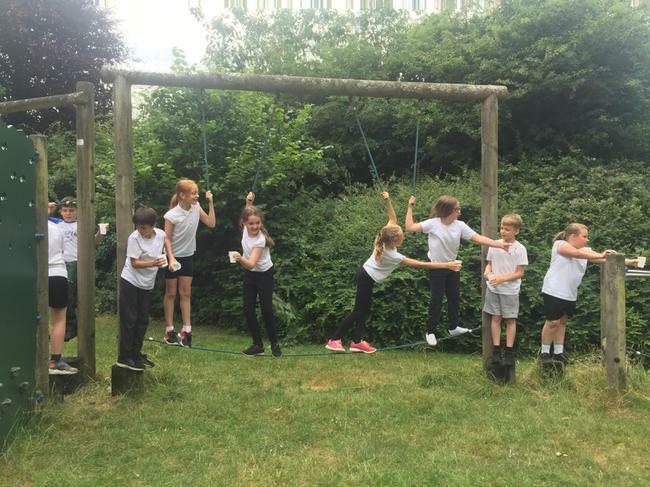 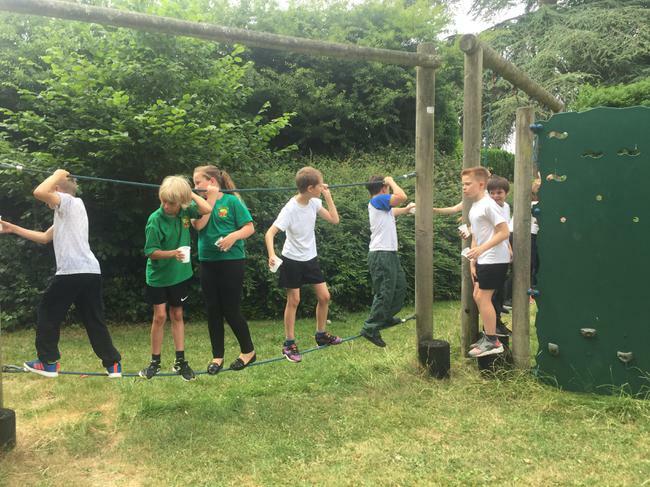 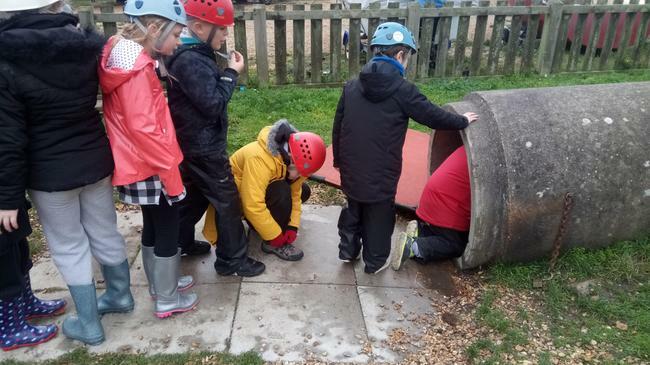 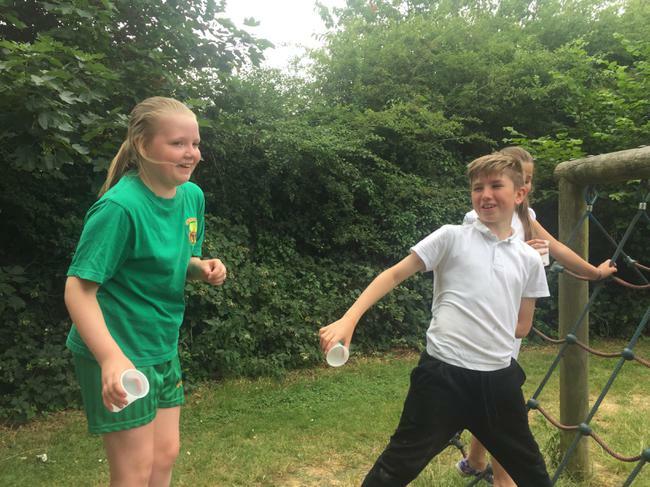 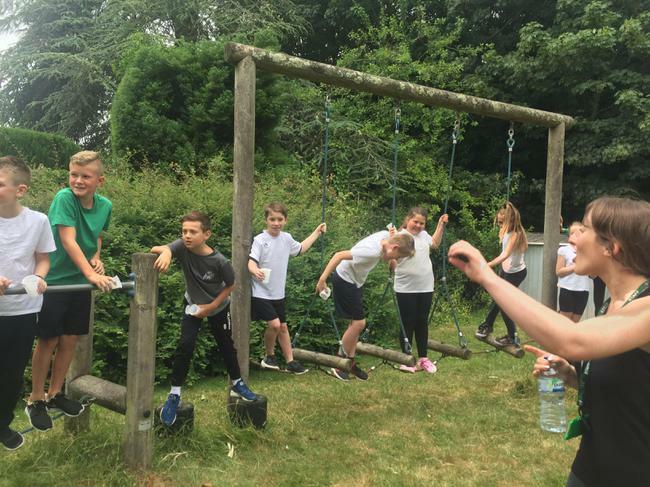 Pupils also engaged in fun team building activities on the activity trail, aiming to communicate effectively when passing water from one end to the other. 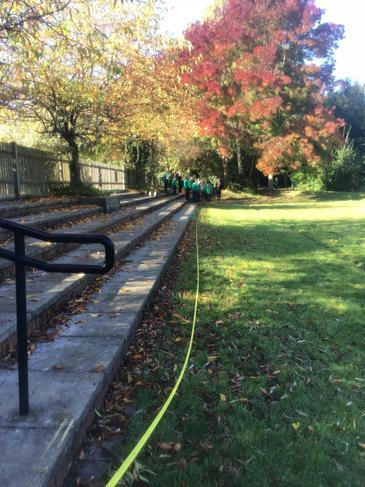 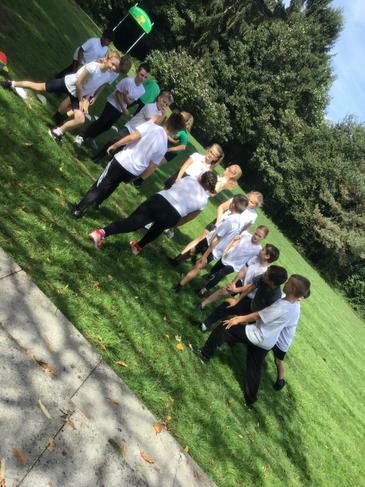 It was a glorious sunny day and all pupils enjoyed being outside working together!